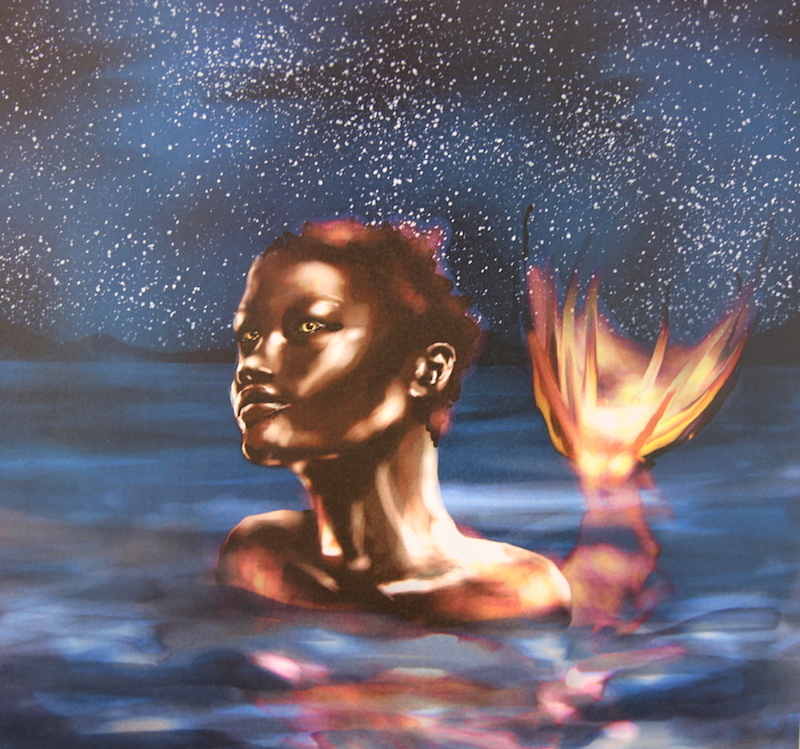 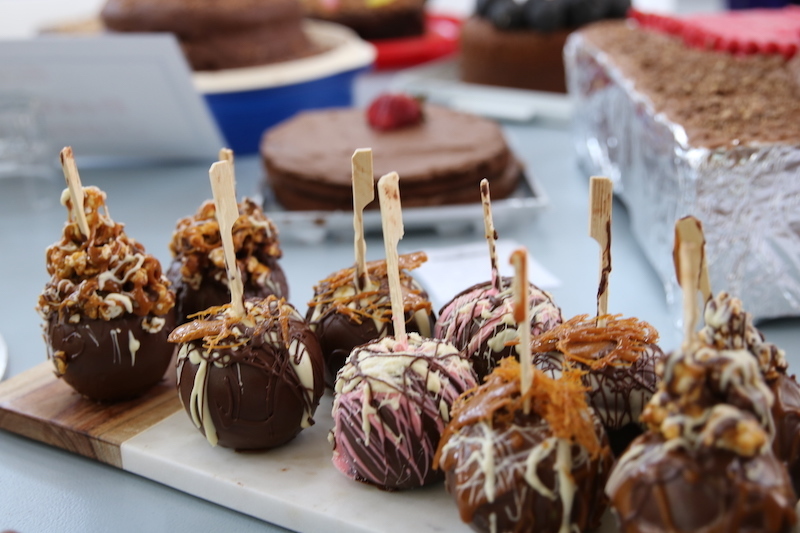 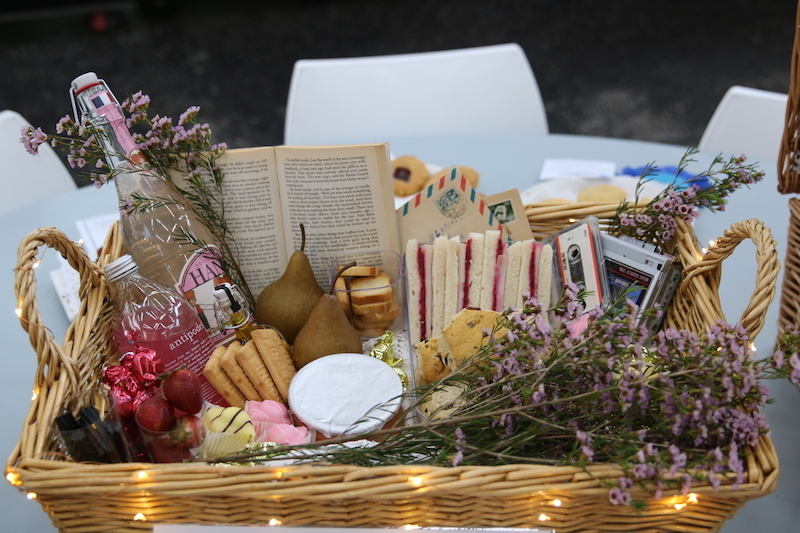 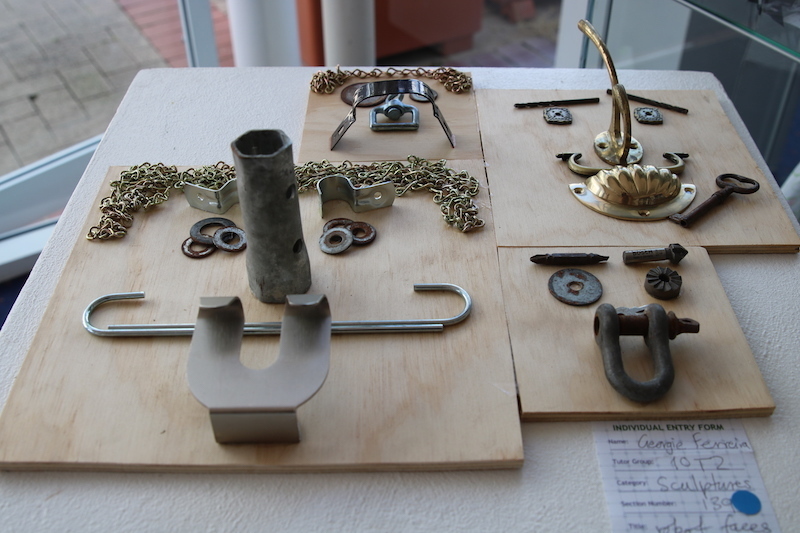 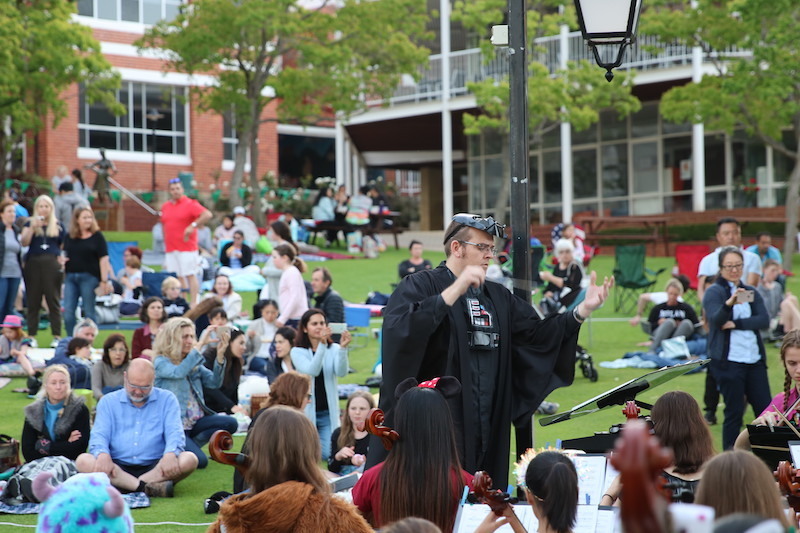 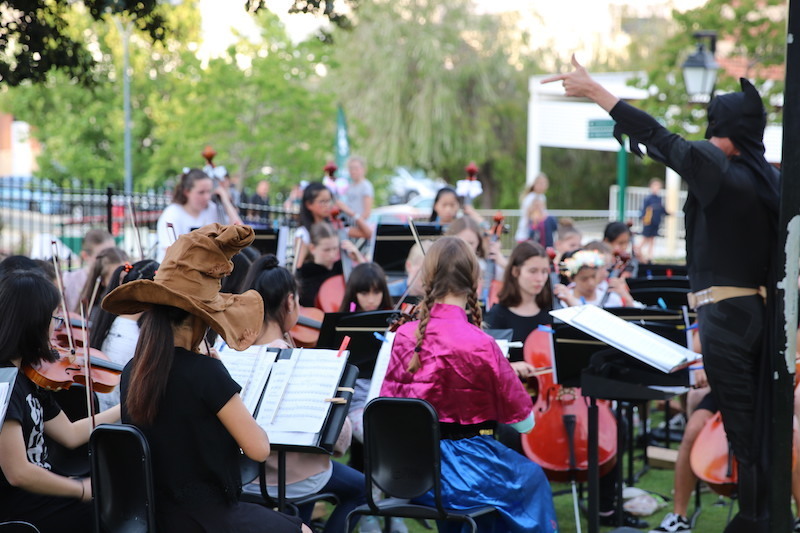 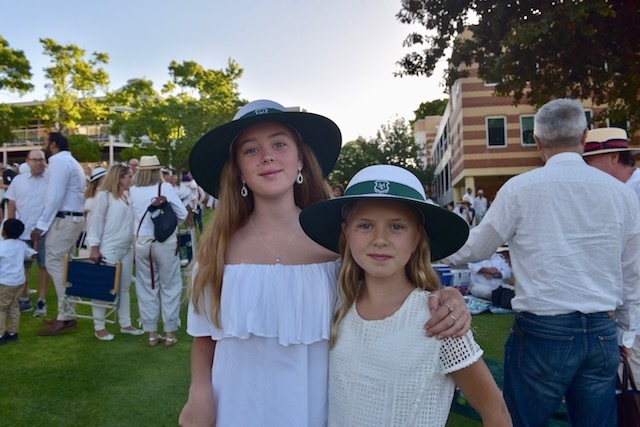 We host many outstanding and fun events and programmes for students, parents and our community. 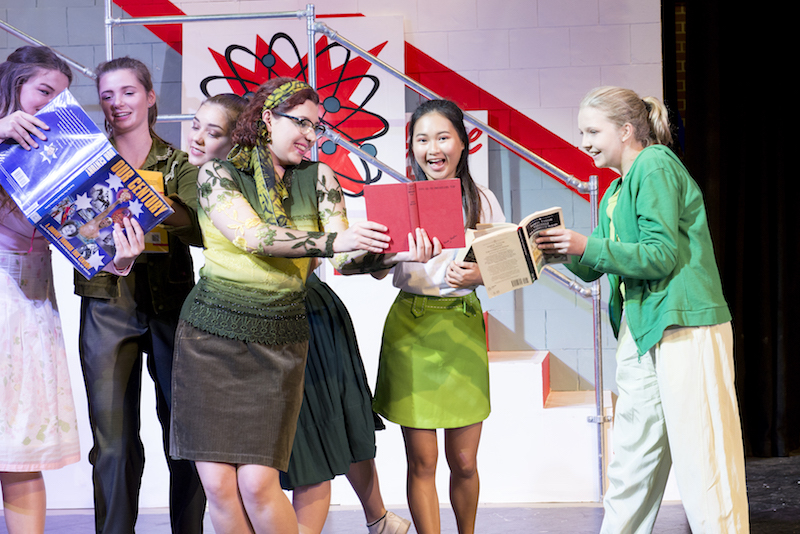 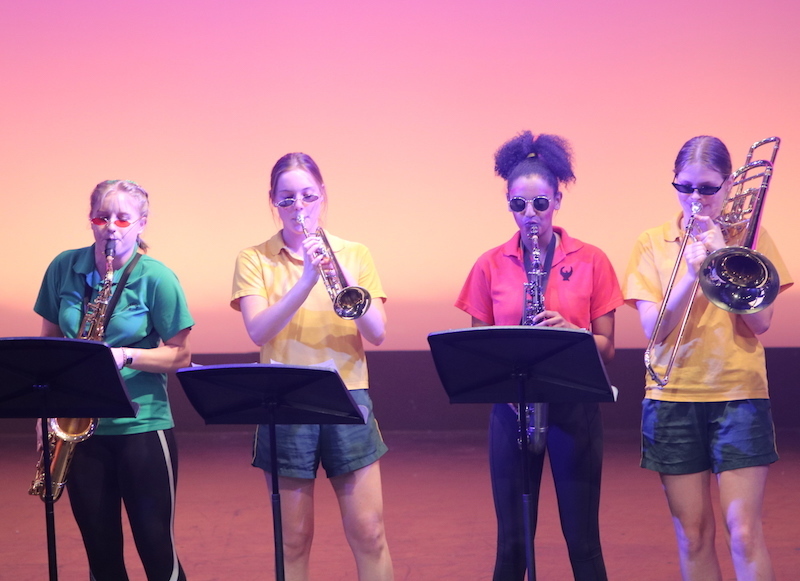 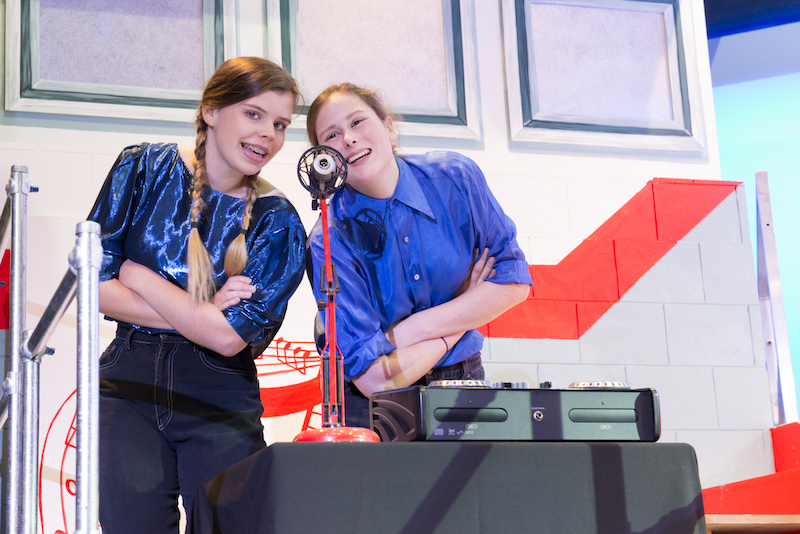 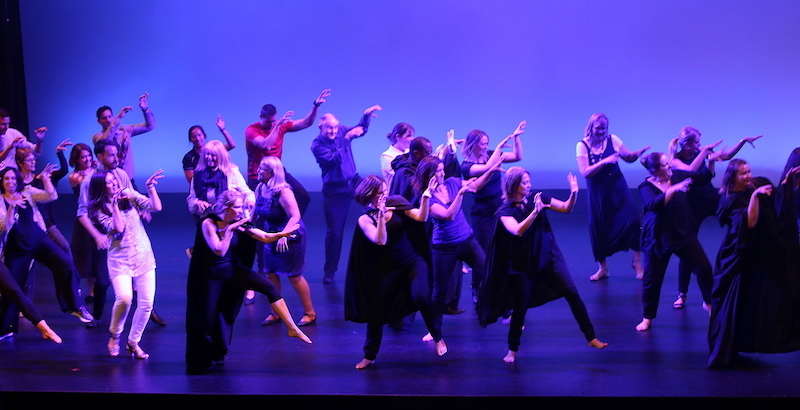 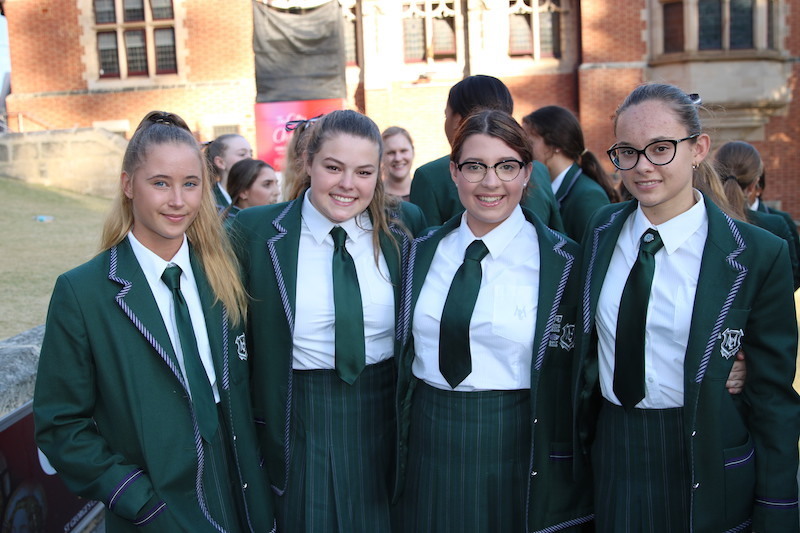 Our Years 7–12 girls immersed themselves in the arts and performed for their Houses in Drama, Choir and Mime categories. 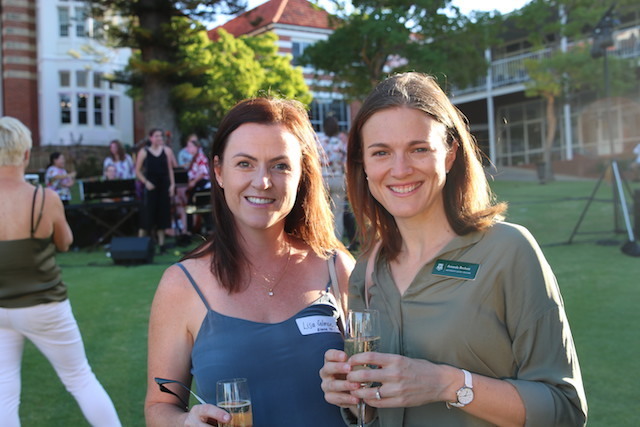 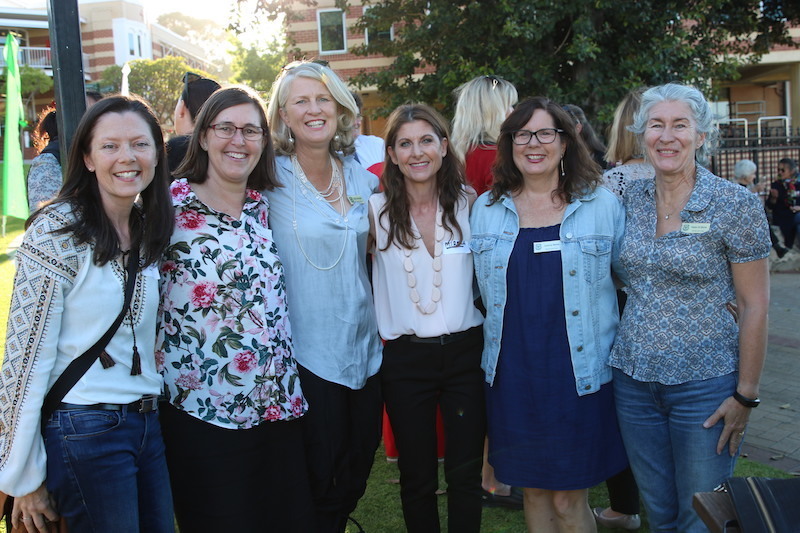 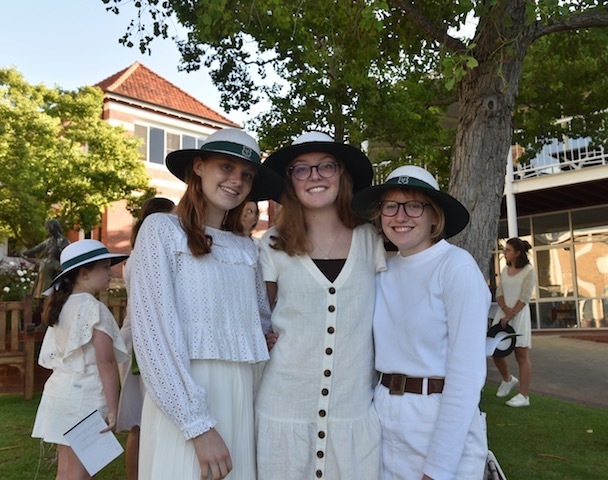 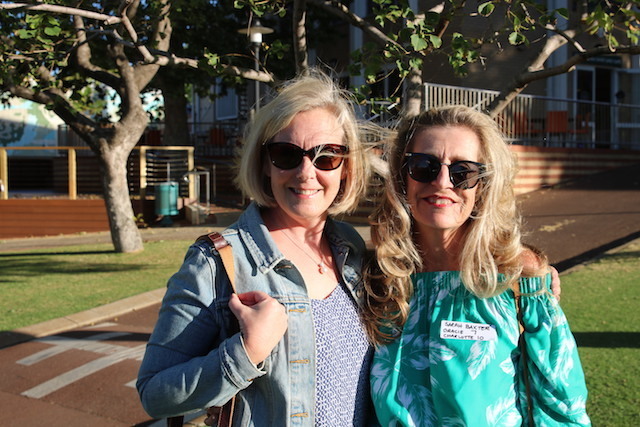 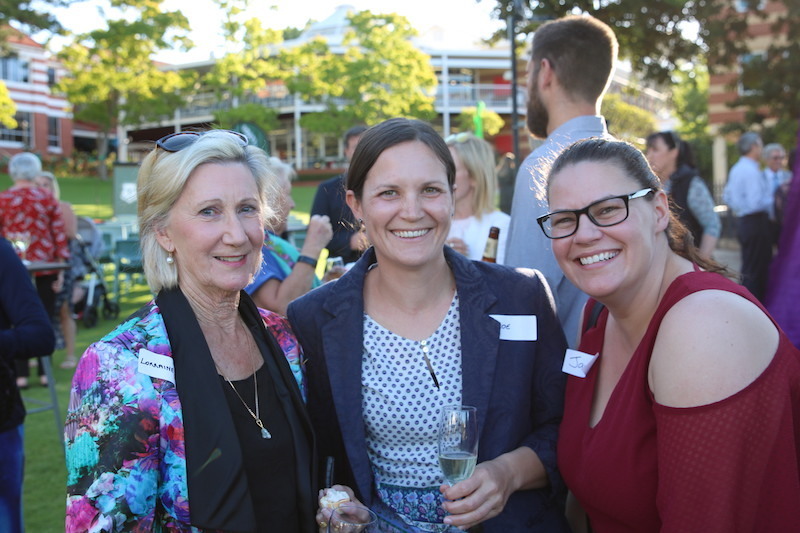 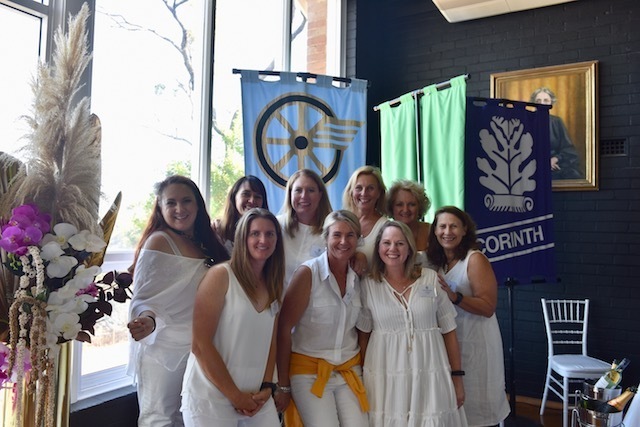 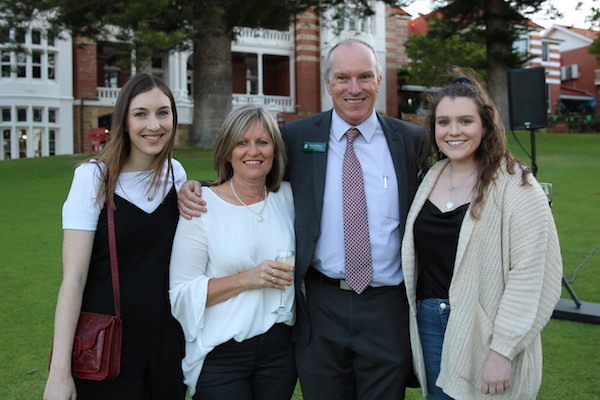 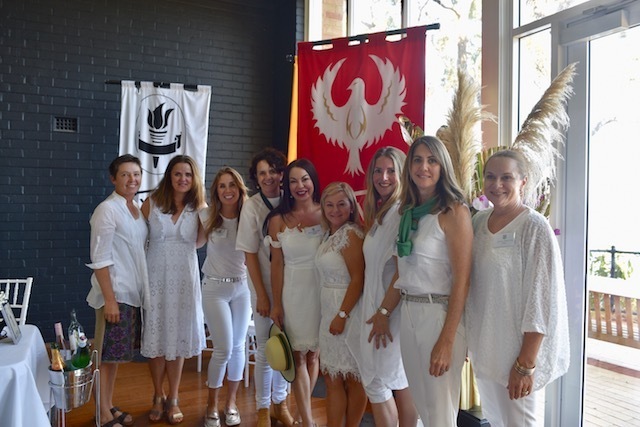 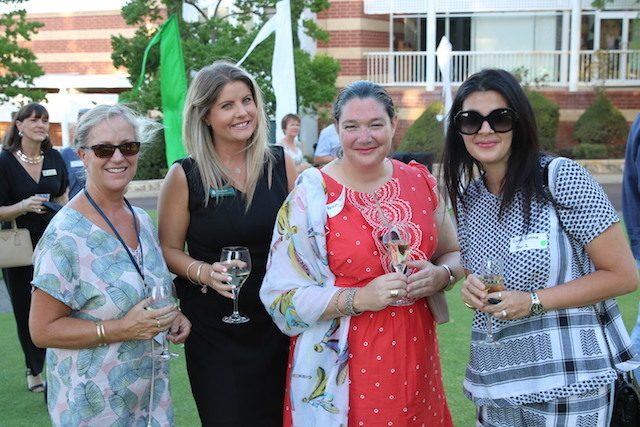 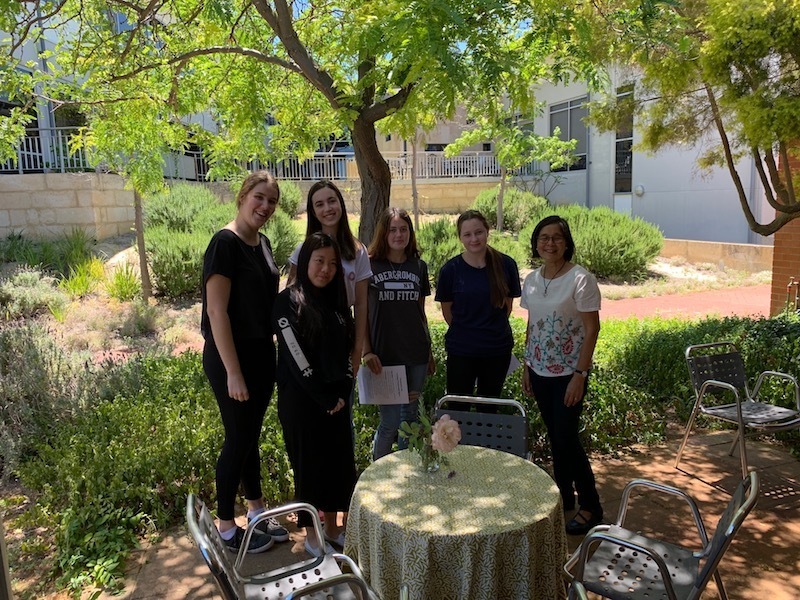 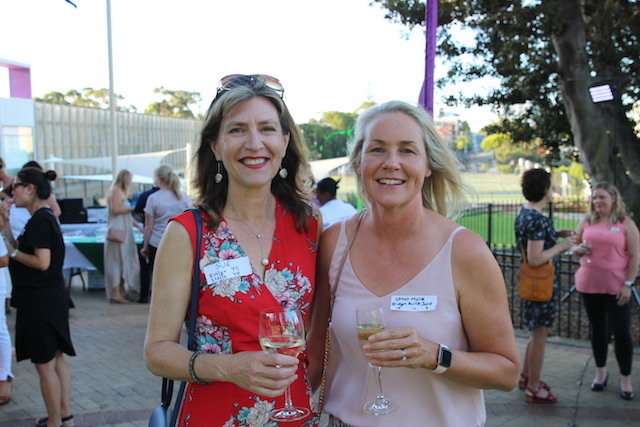 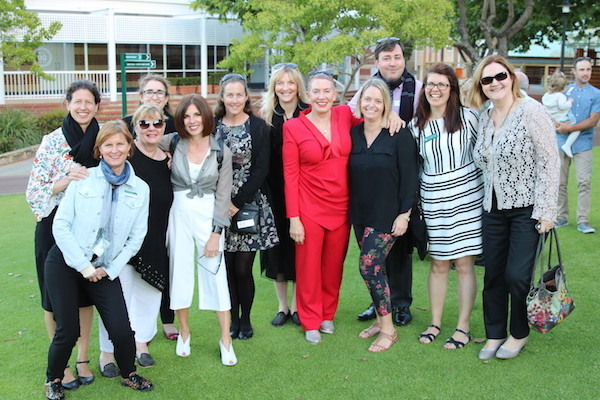 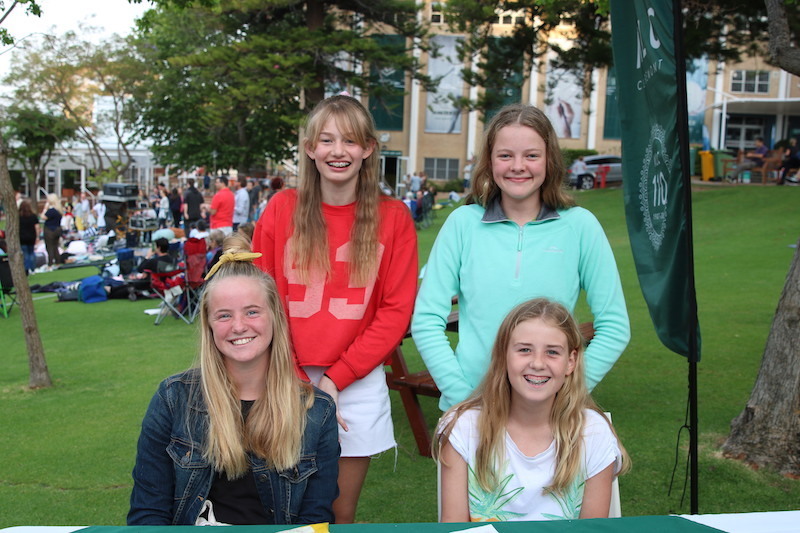 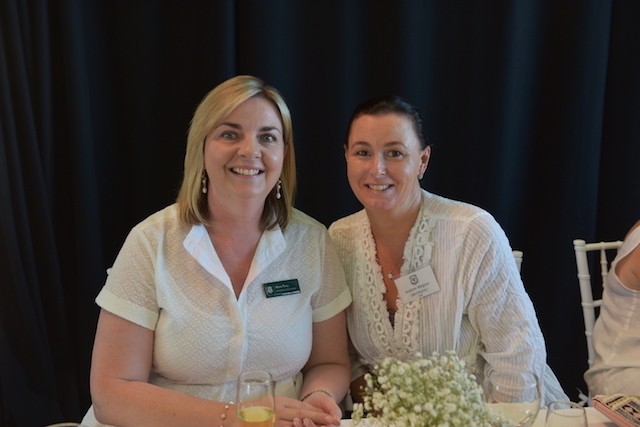 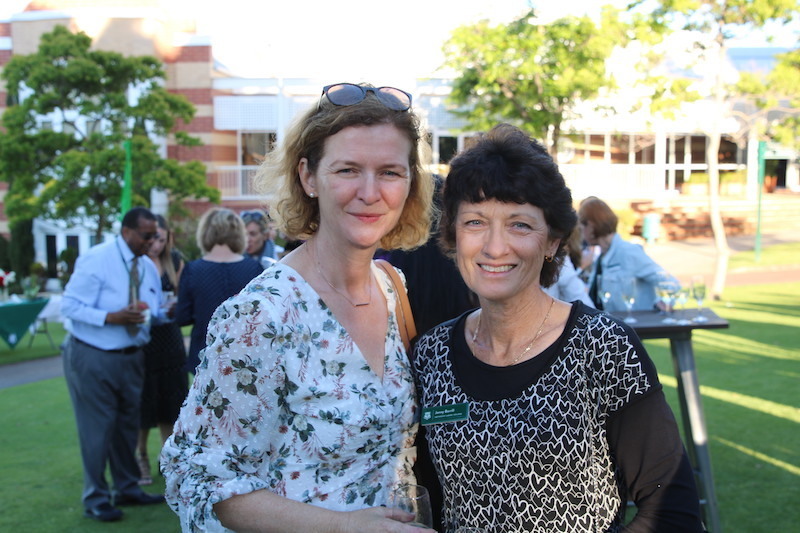 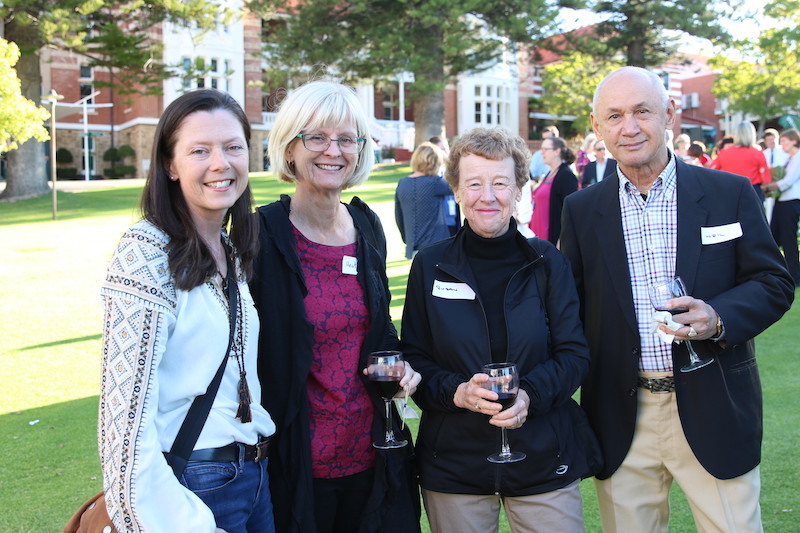 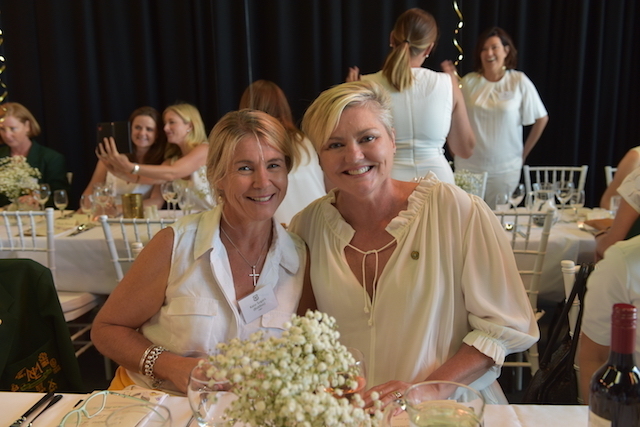 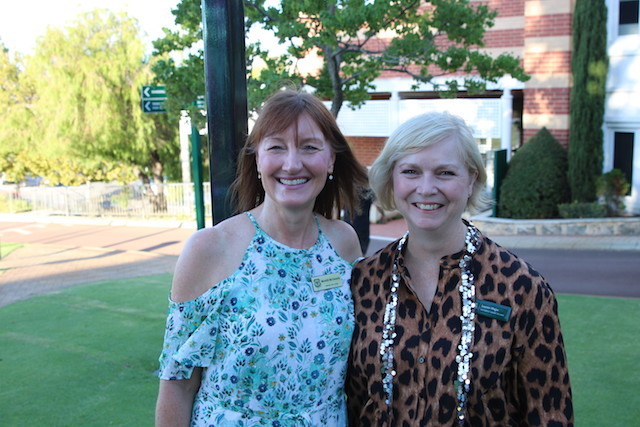 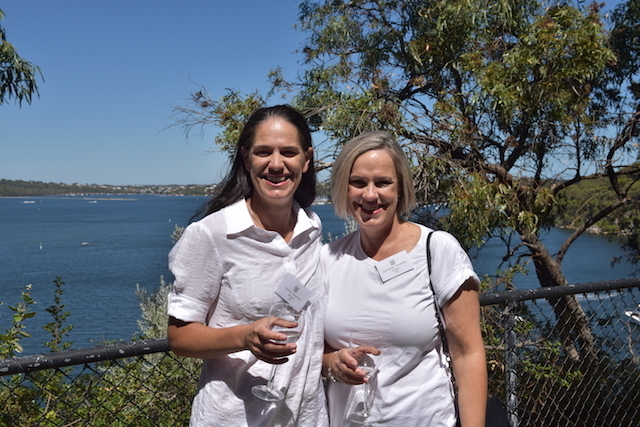 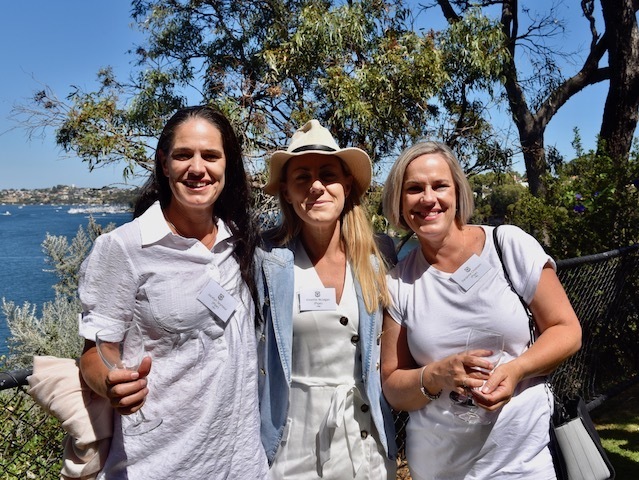 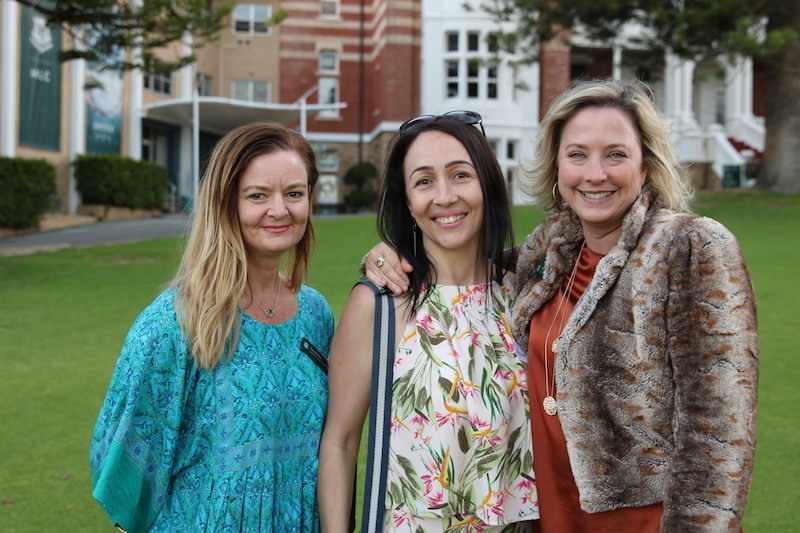 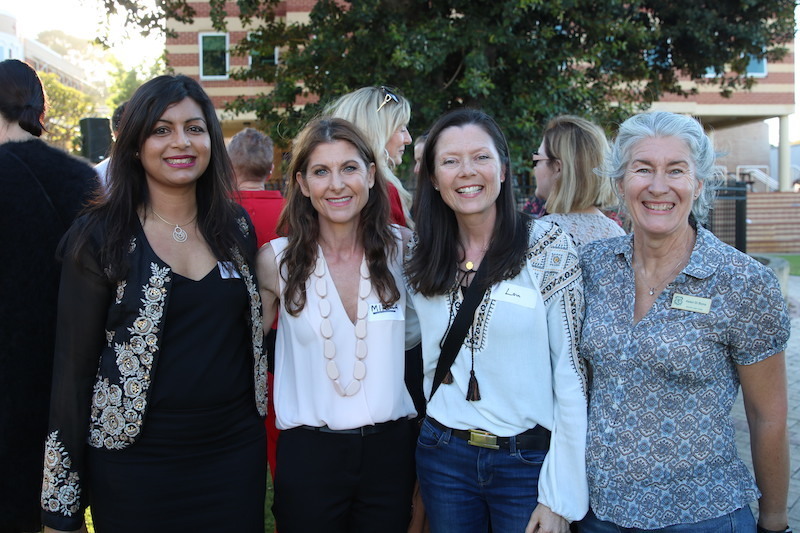 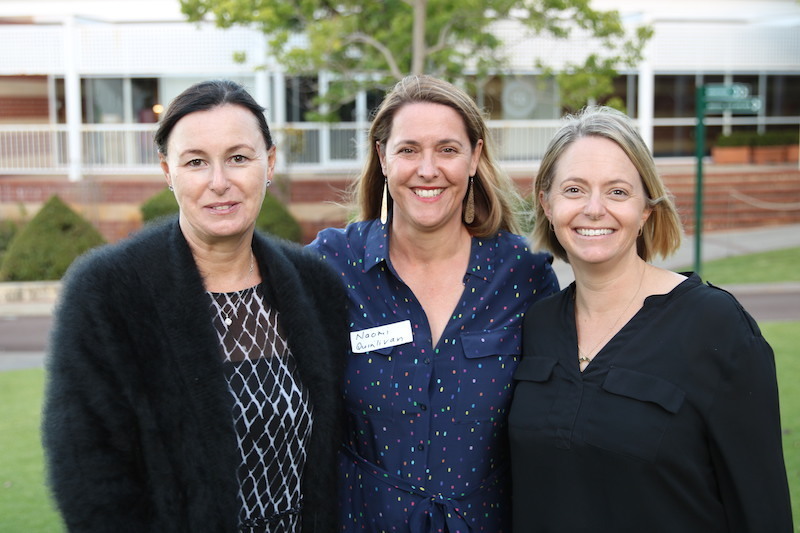 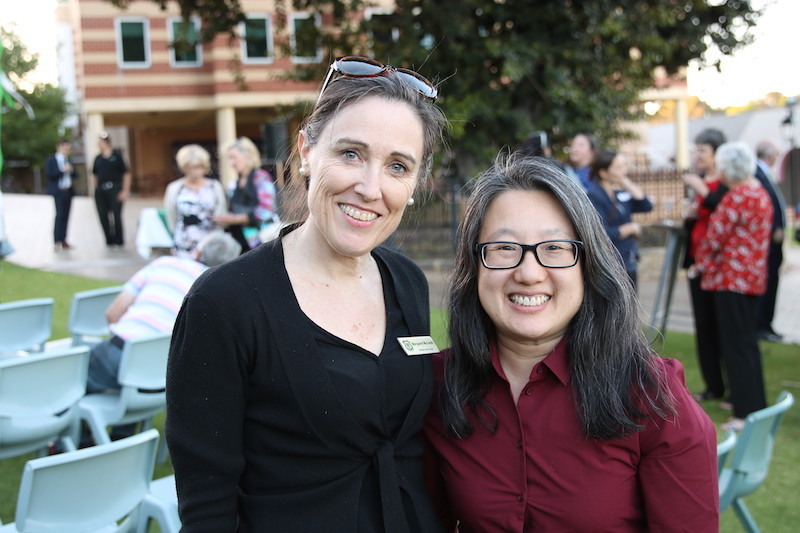 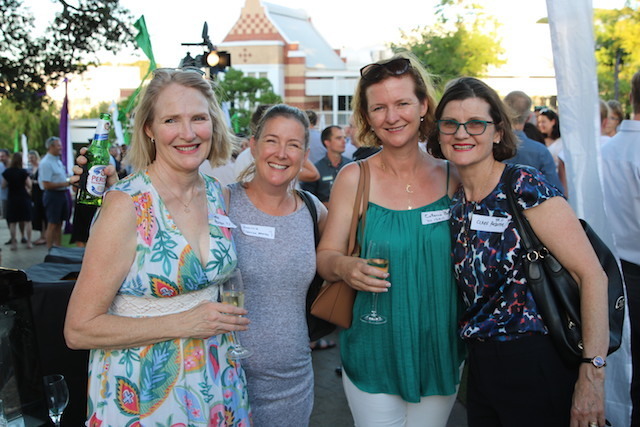 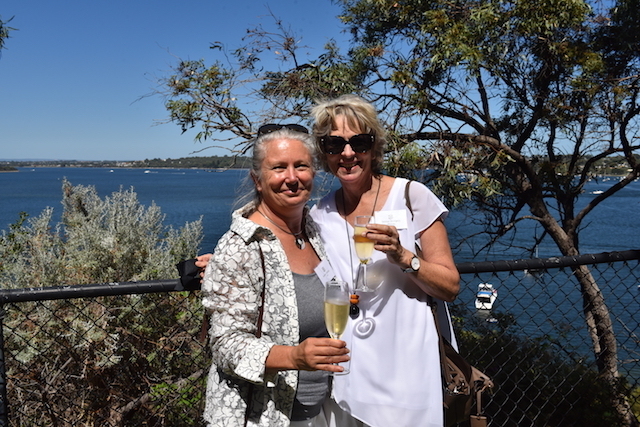 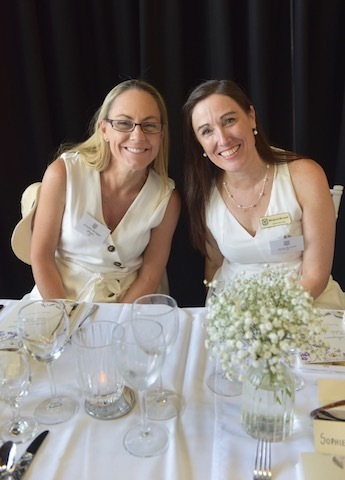 We welcomed back Collegians whose daughters and granddaughters have started their own MLC journeys in 2019. 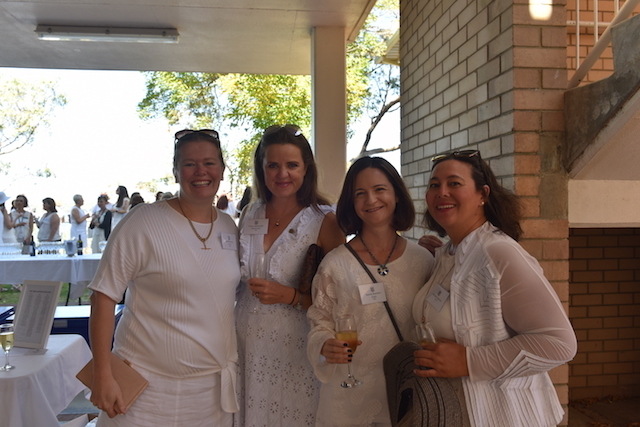 The Collegians' Association hosted a beautiful breakfast for the students to meet one another and Collegians to reconnect. 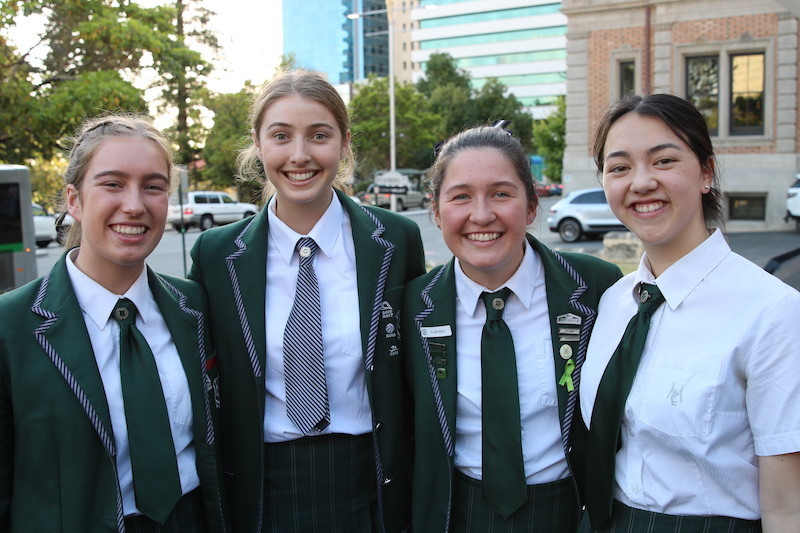 Each new student was presented with a special Wyvern pin to signify their family connection to the College. 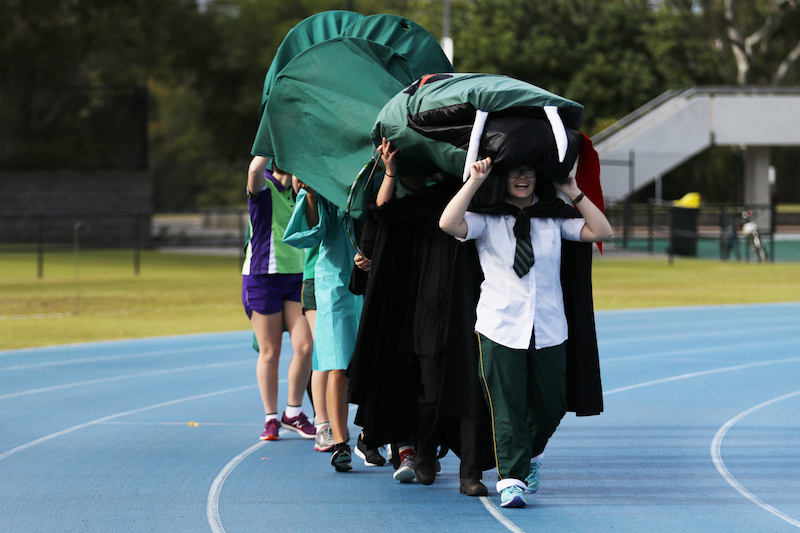 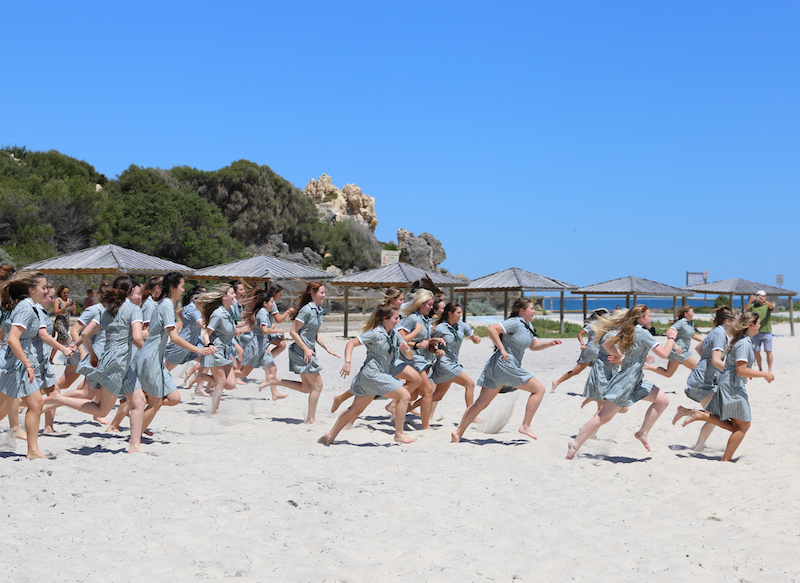 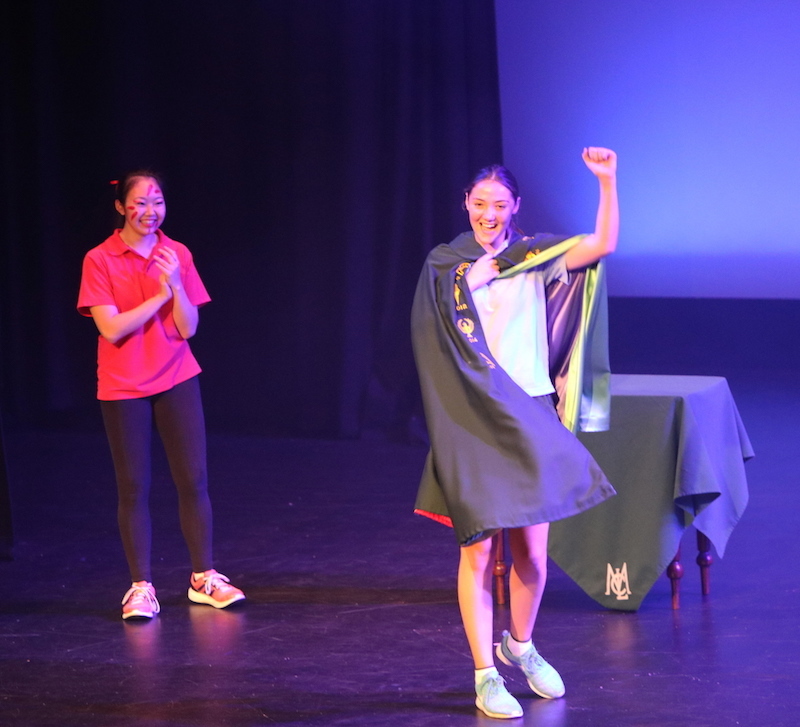 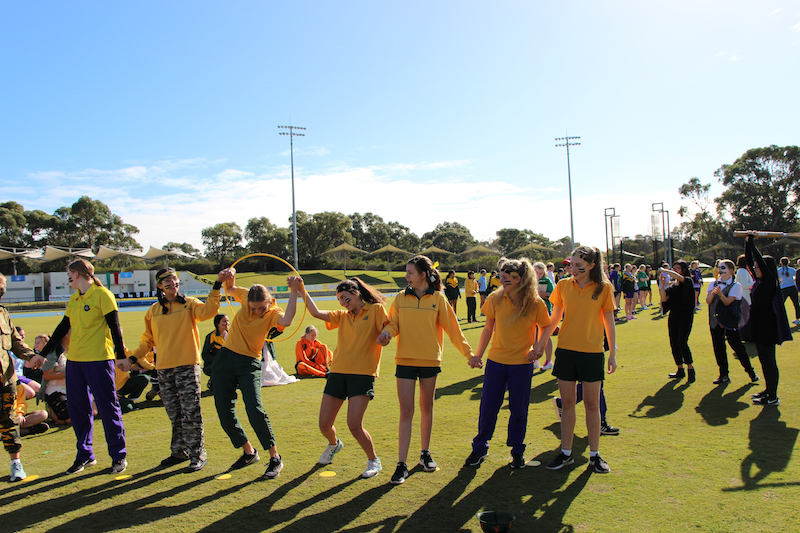 Our Years 7–12 girls participated in their Cross Country with incredible House spirit. 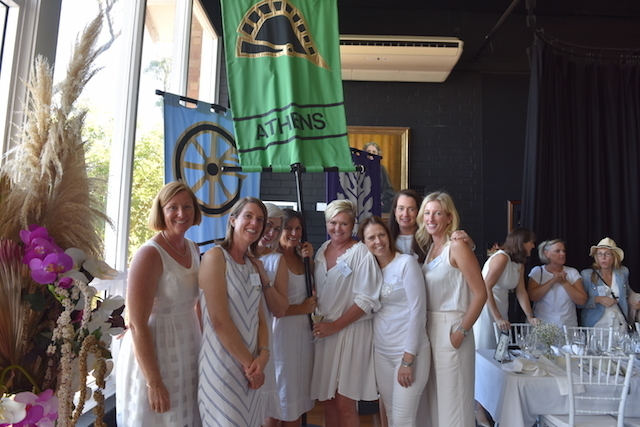 Olympia was the victorious House followed closely by Athens. 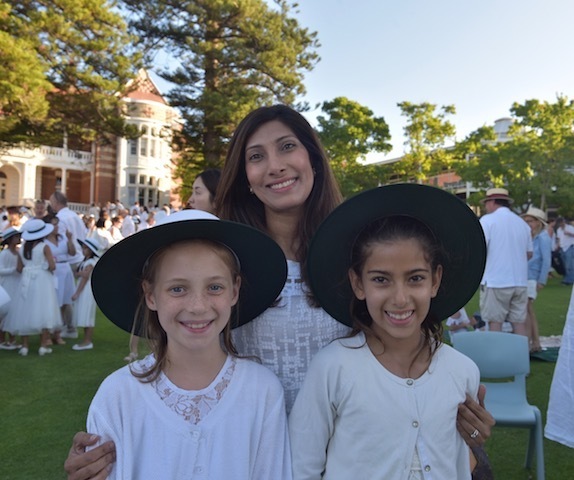 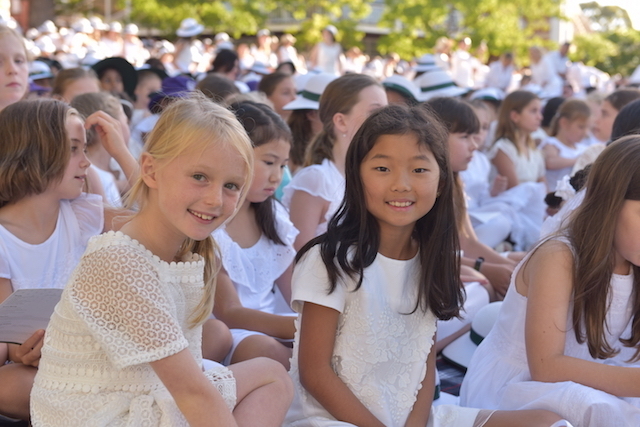 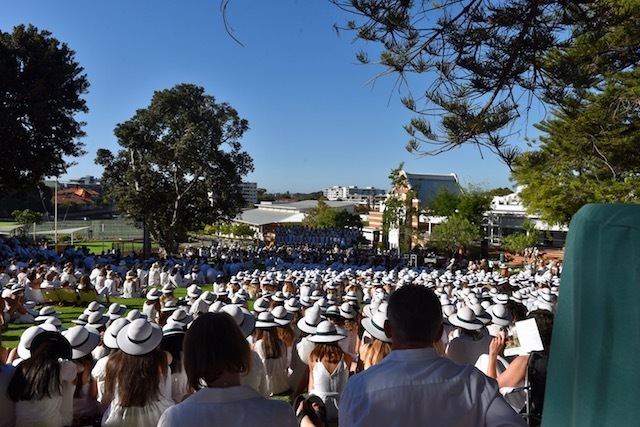 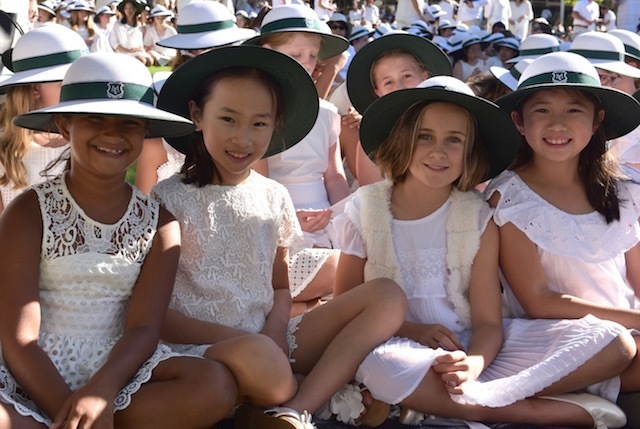 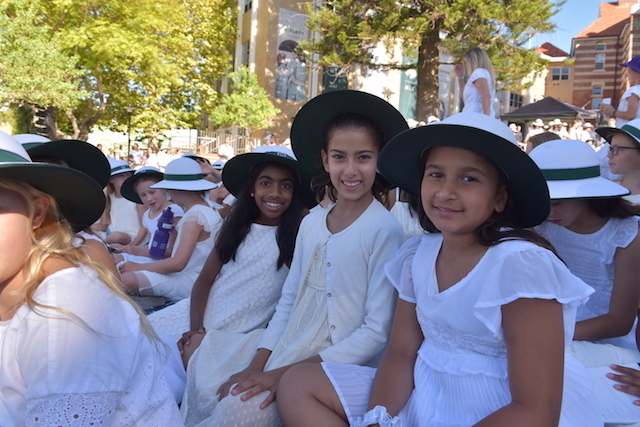 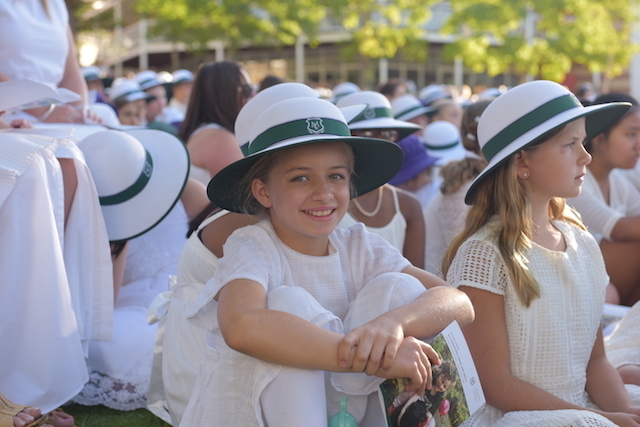 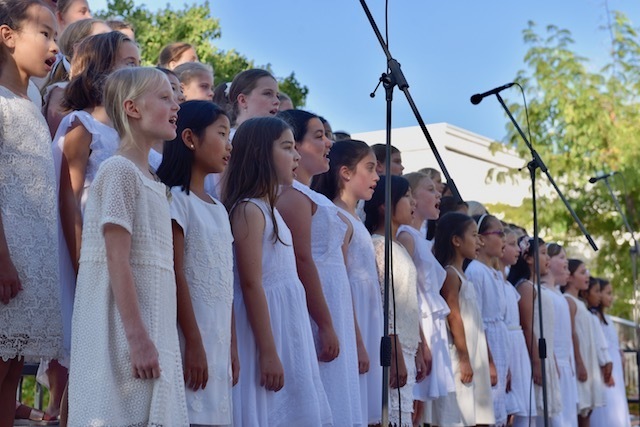 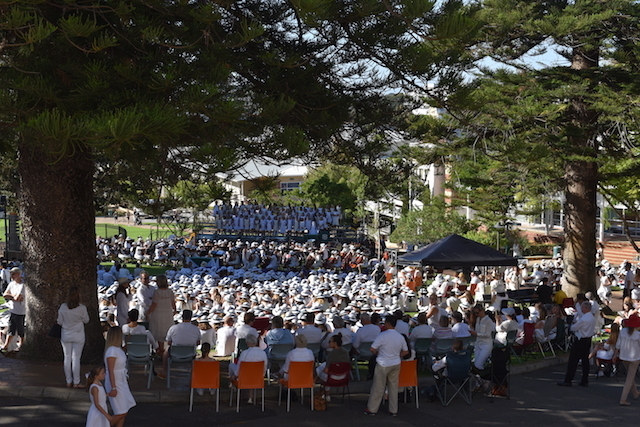 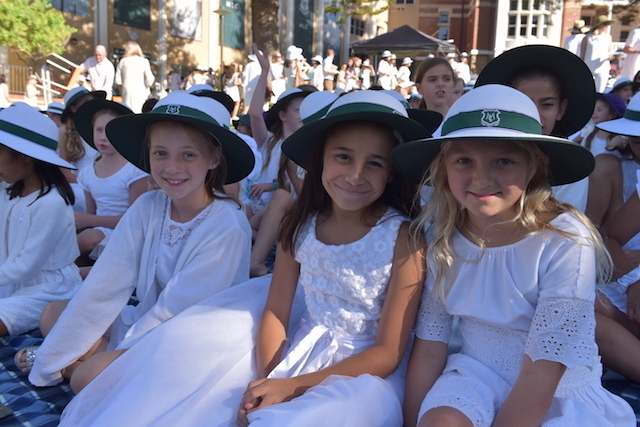 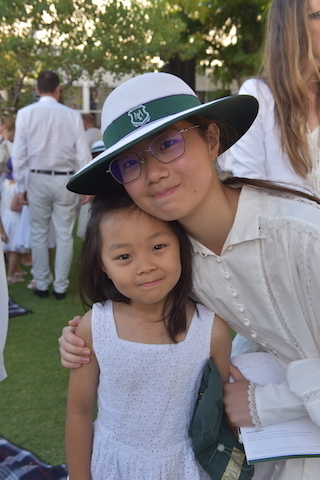 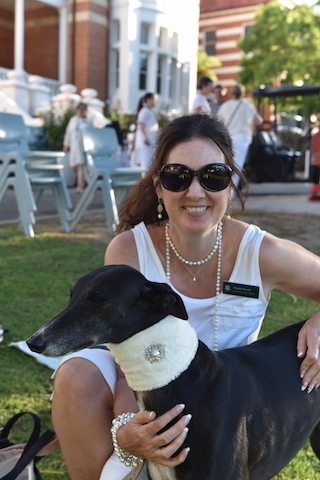 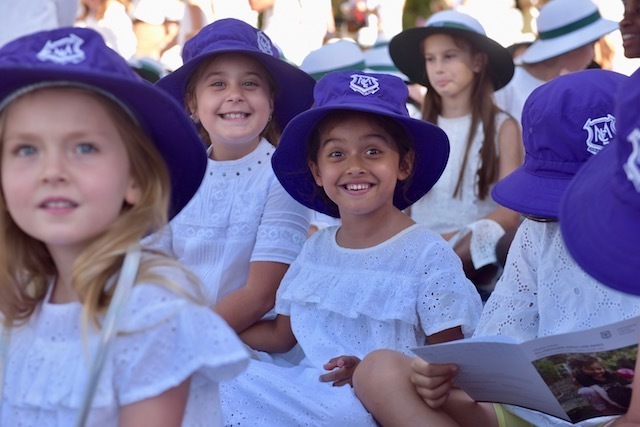 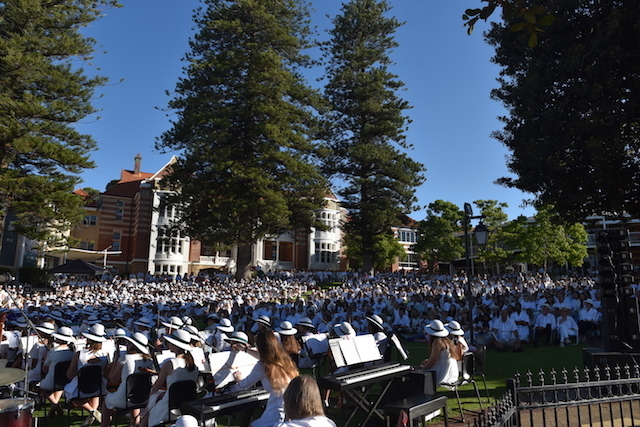 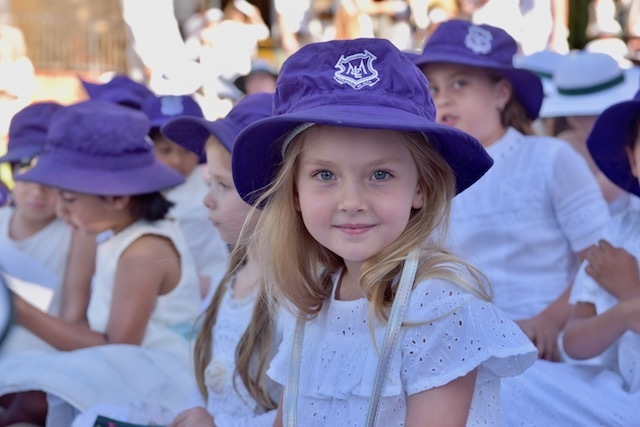 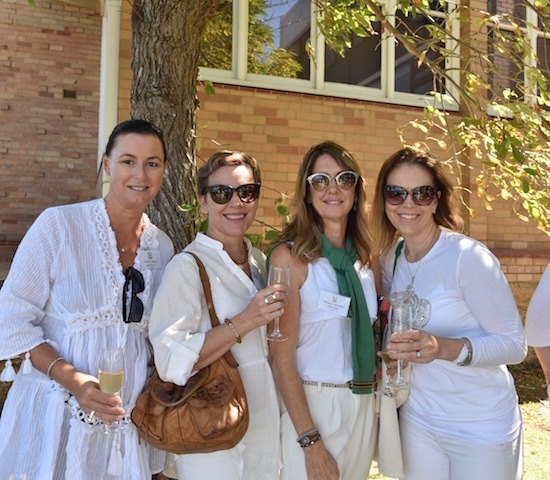 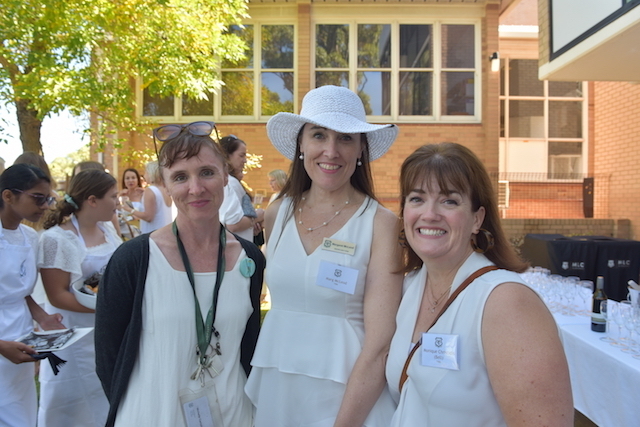 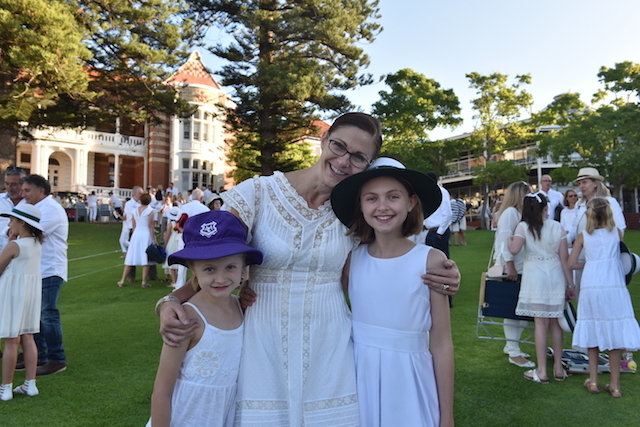 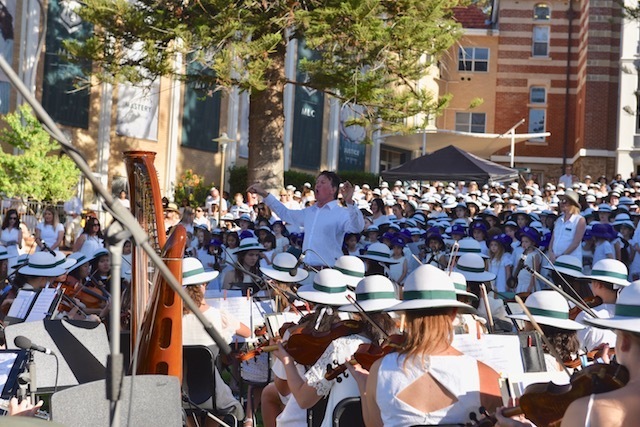 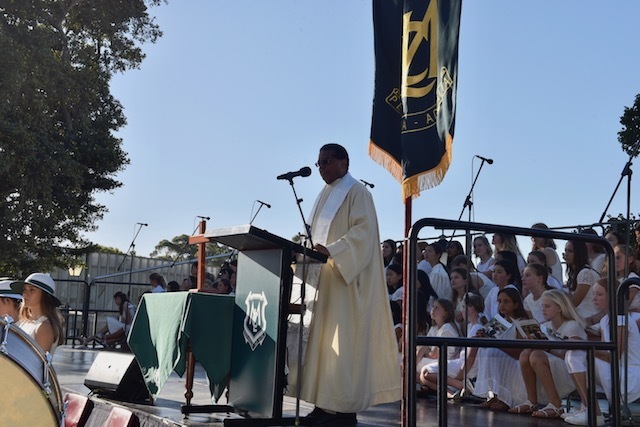 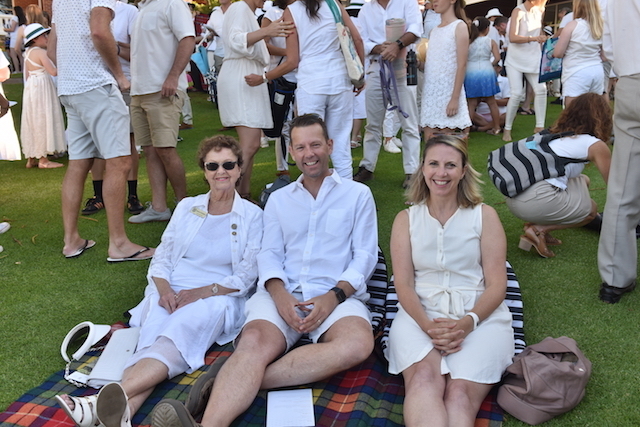 Adorned in white, our whole community gathered on the Great Court to celebrate our heritage as a Uniting Church school and give thanks. 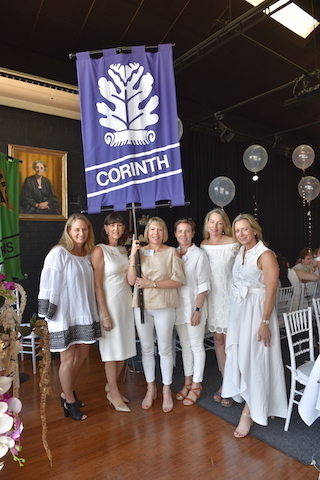 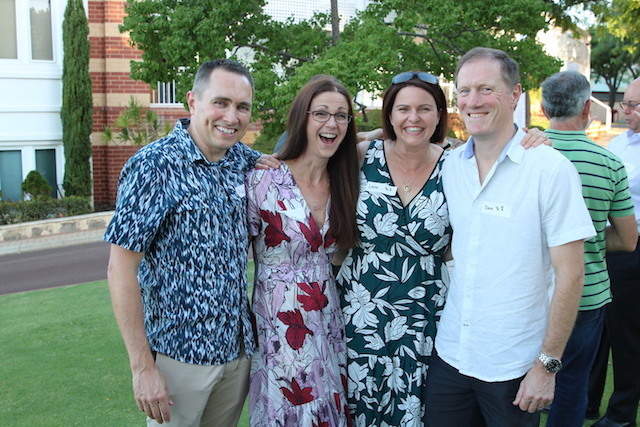 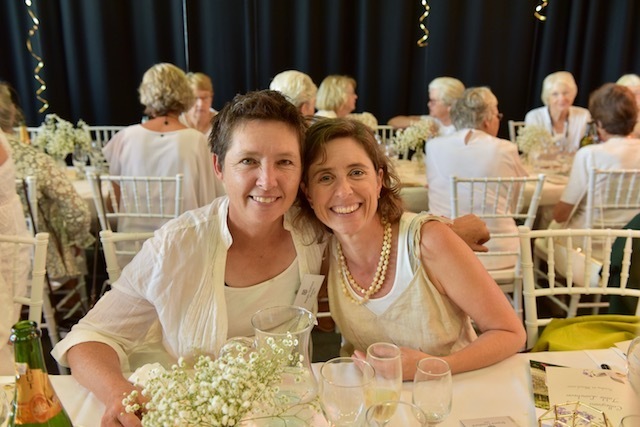 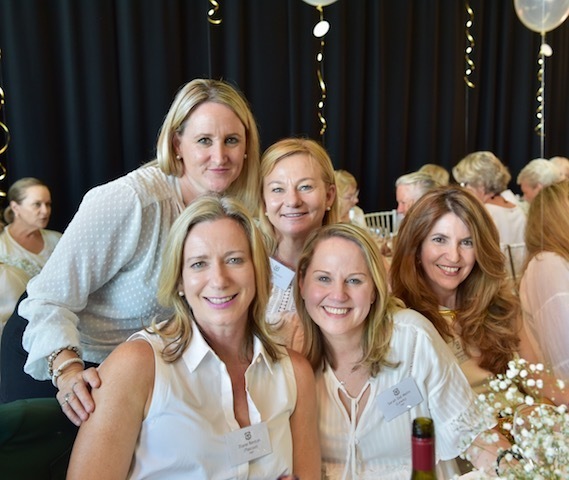 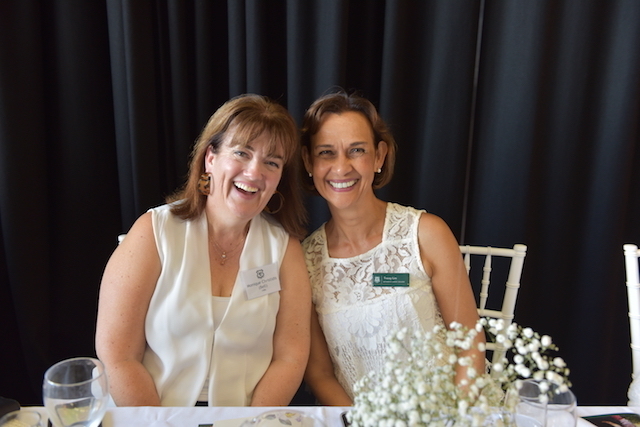 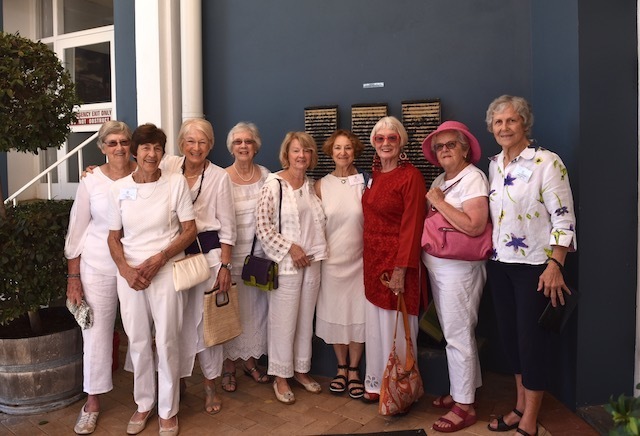 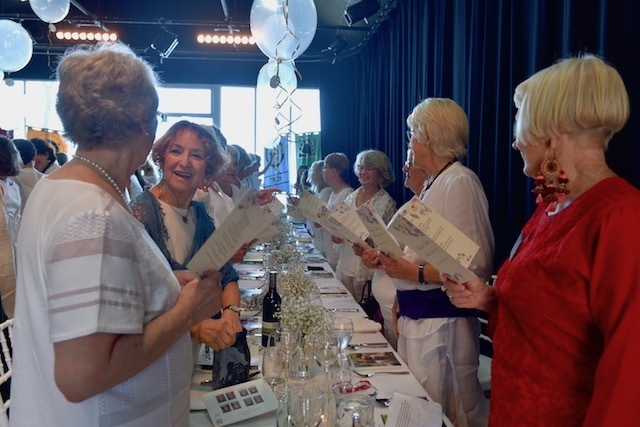 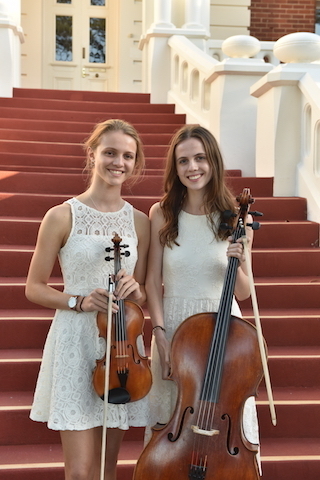 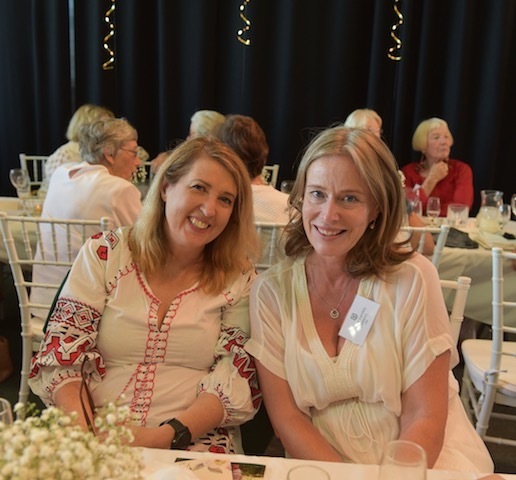 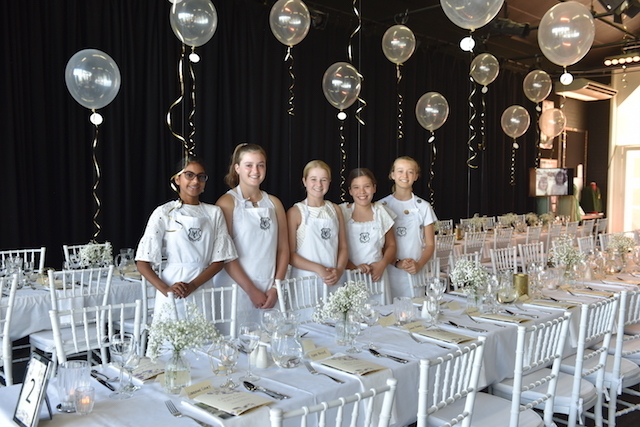 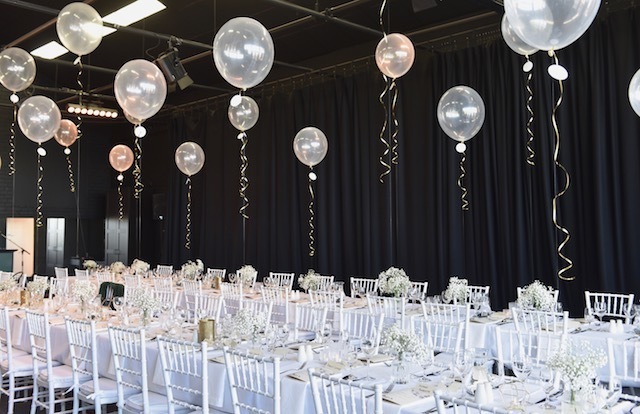 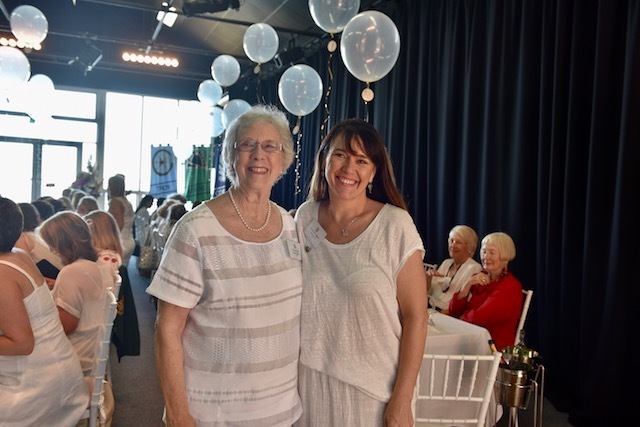 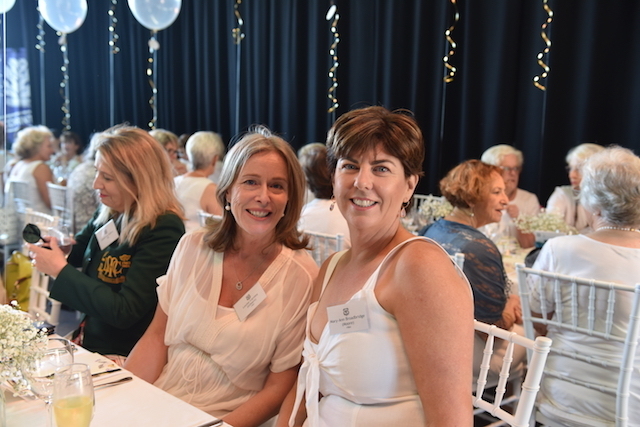 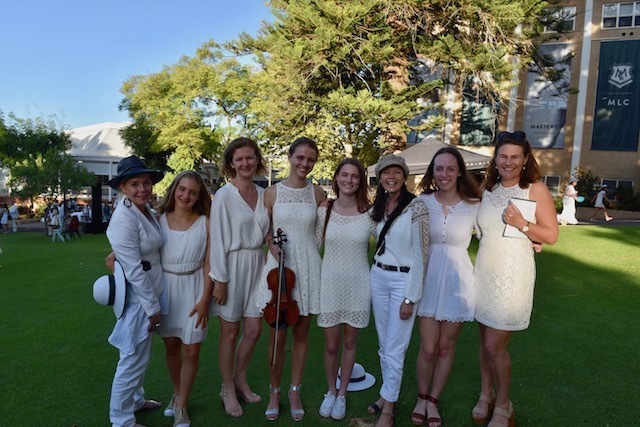 The Gertrude Walton Centre was filled with laughter and the sounds of Per Ardua Ad Alta as ninety Collegian guests travelled down memory lane and celebrated with friends at the annual Long Table Luncheon. 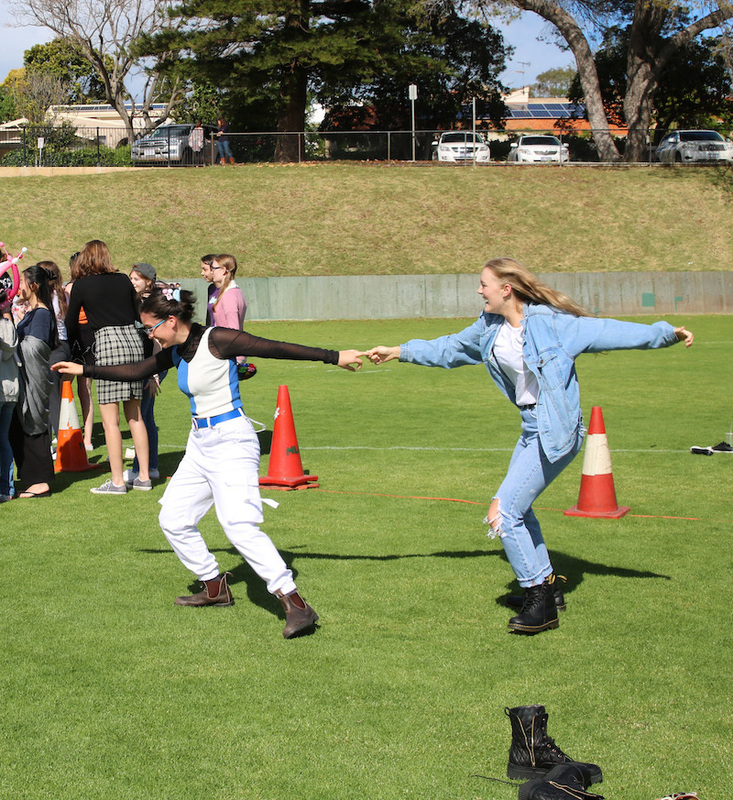 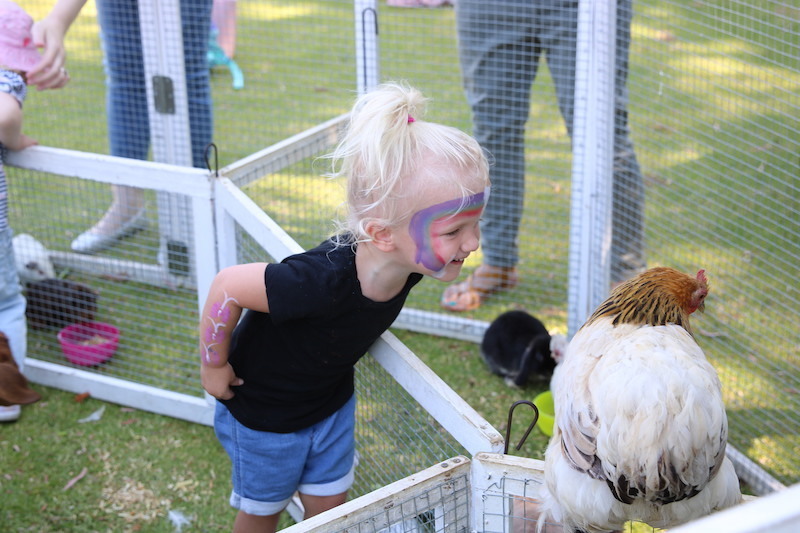 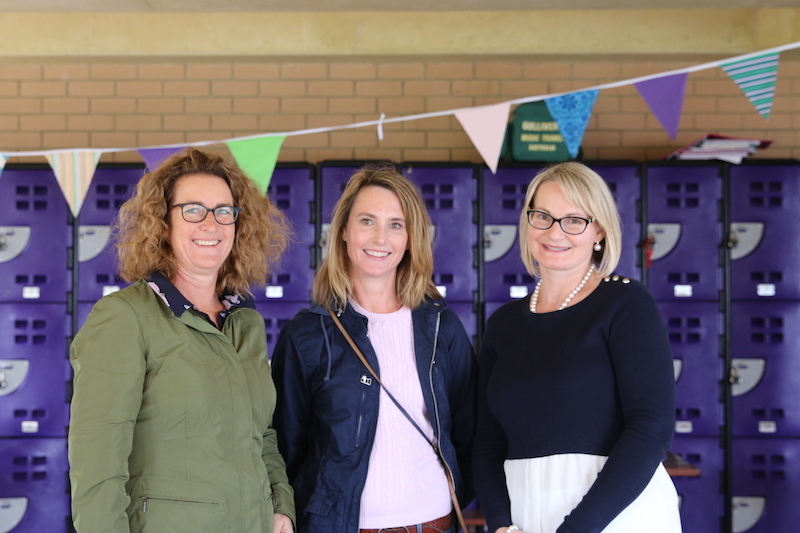 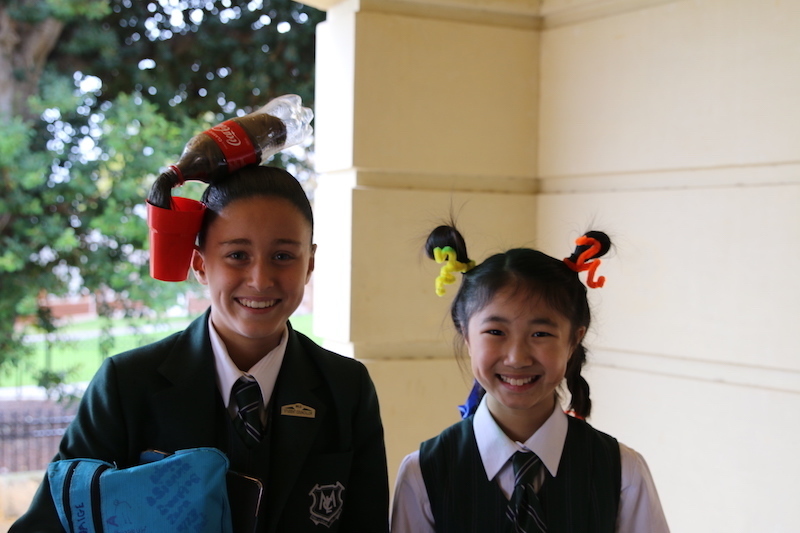 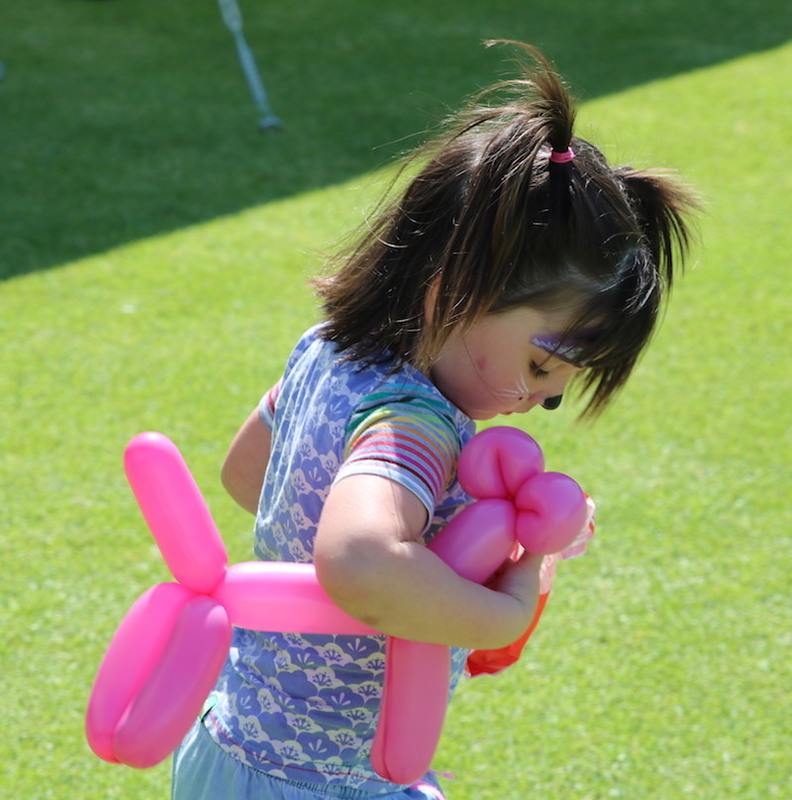 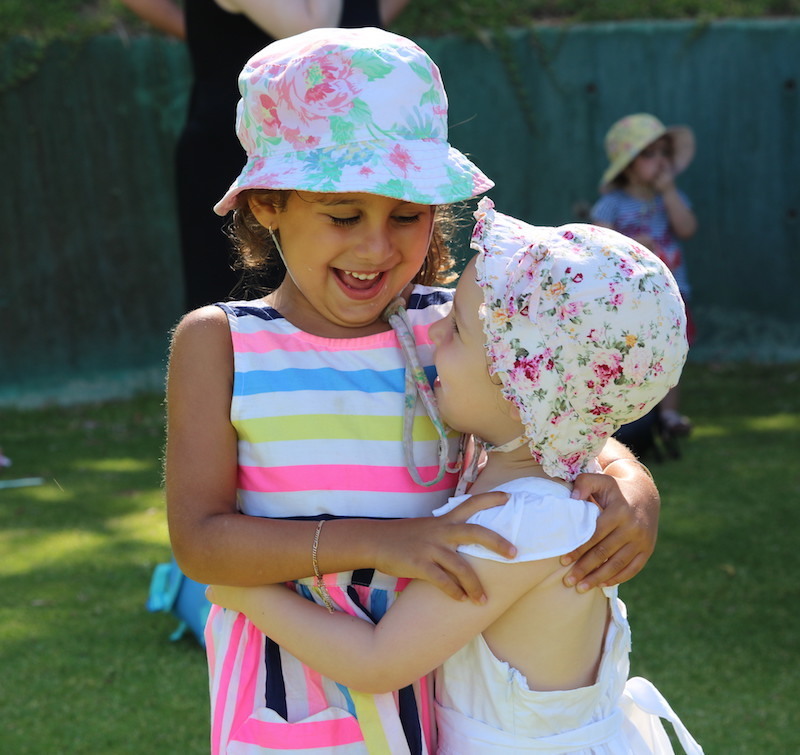 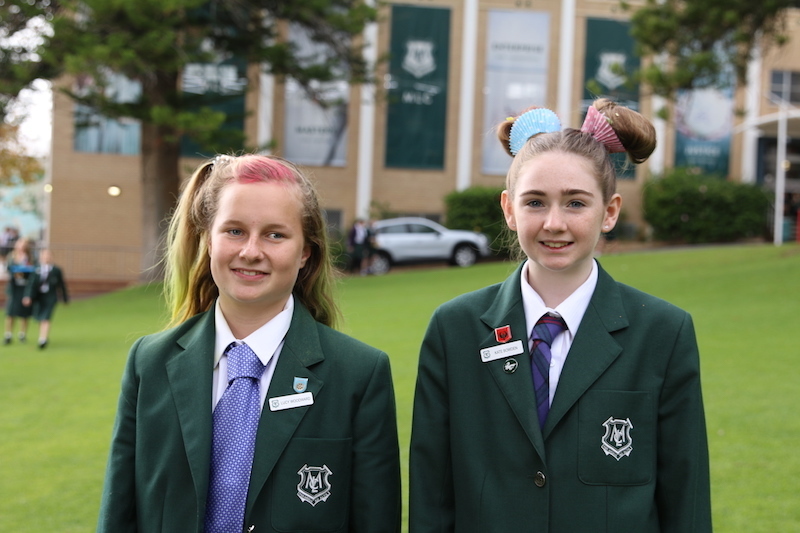 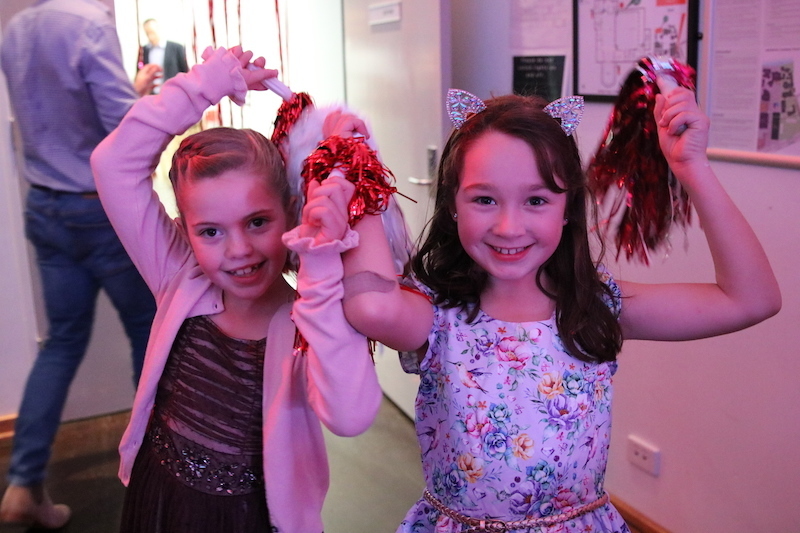 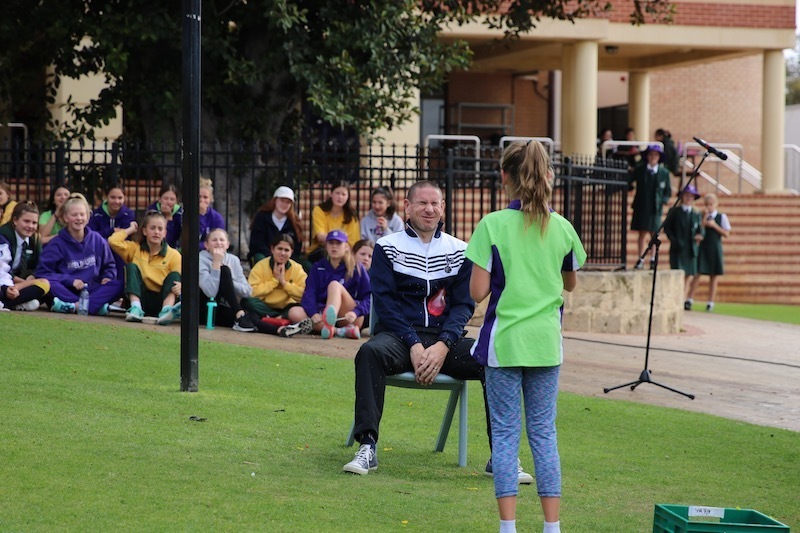 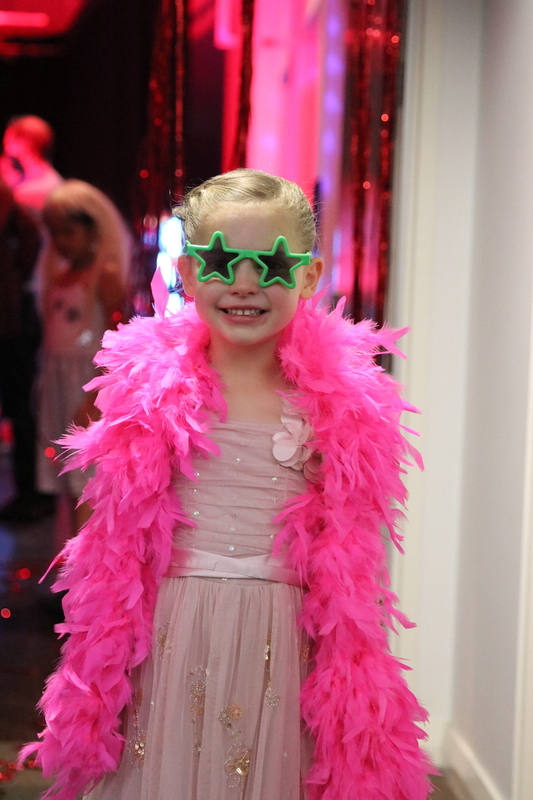 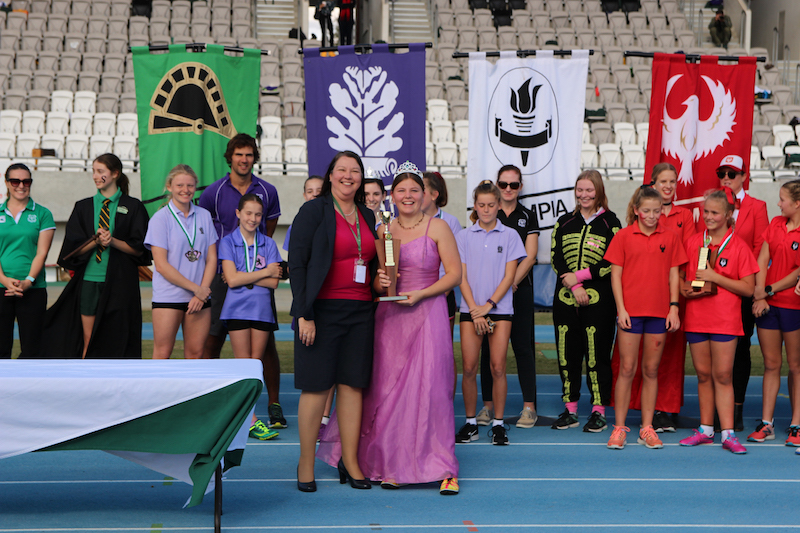 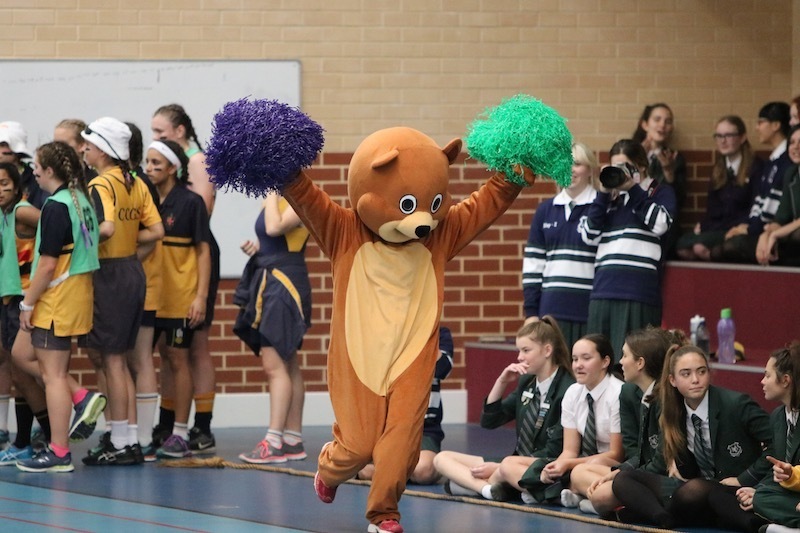 Our girls hosted a hair chop, Walkathon, Free Dress Day and a Do It In A Dress obstacle course to highlight service and support for Breast Cancer Care WA, Variety and One Girl. 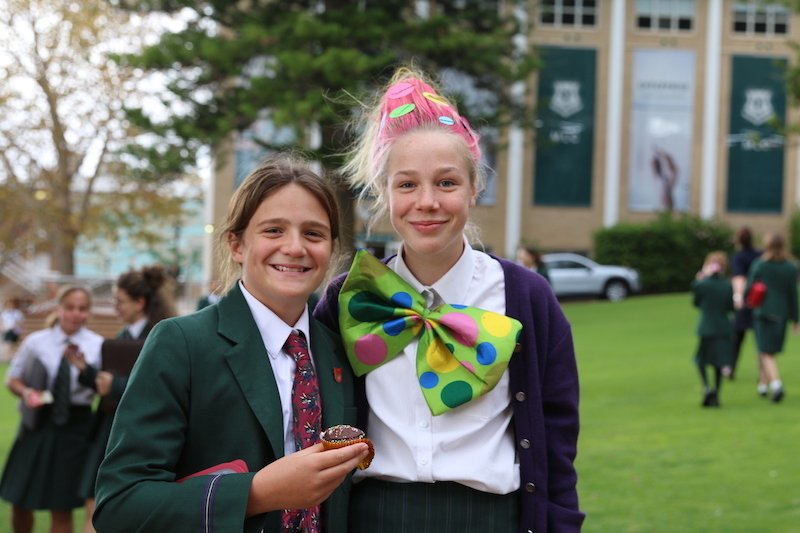 Our Year 7 students and parents were able to enjoy some quality time together at breakfast. 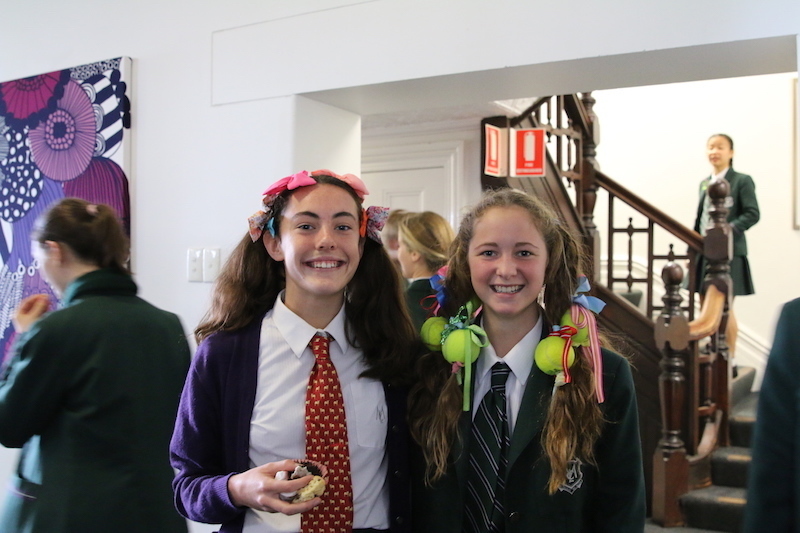 Our School Psychologist provided parents and the girls with some valuable insights into the Year 7 brain. 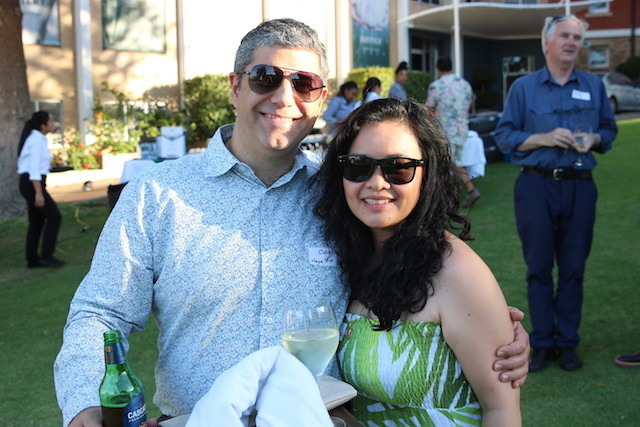 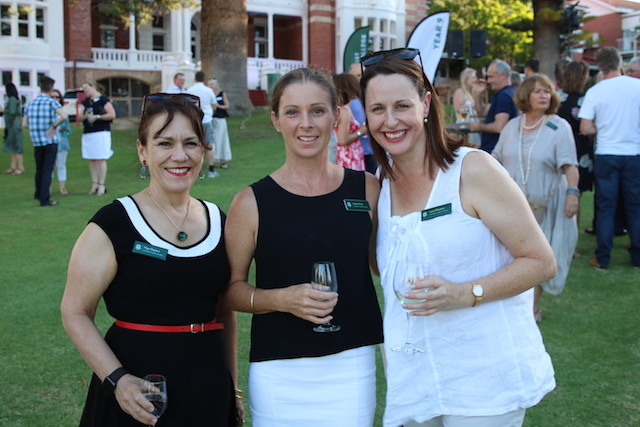 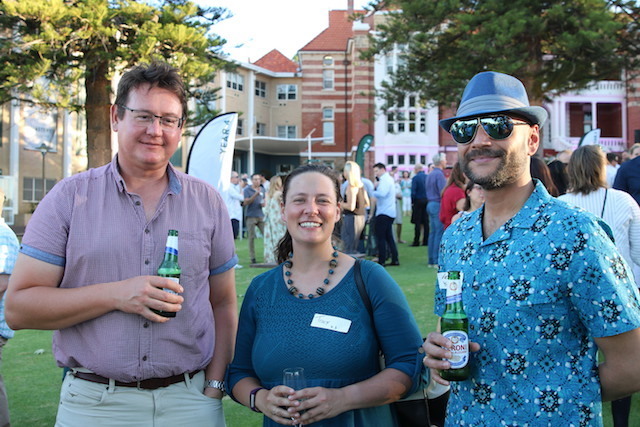 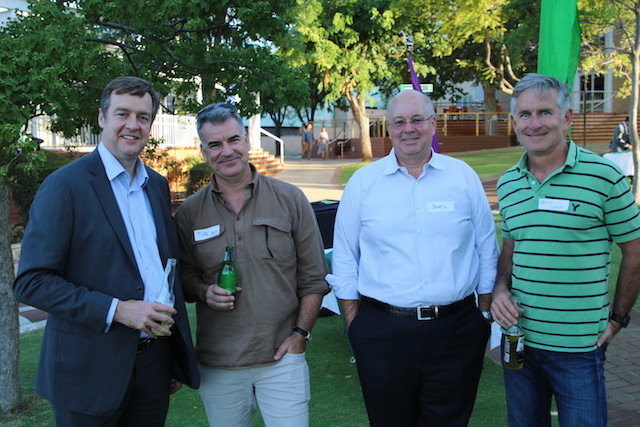 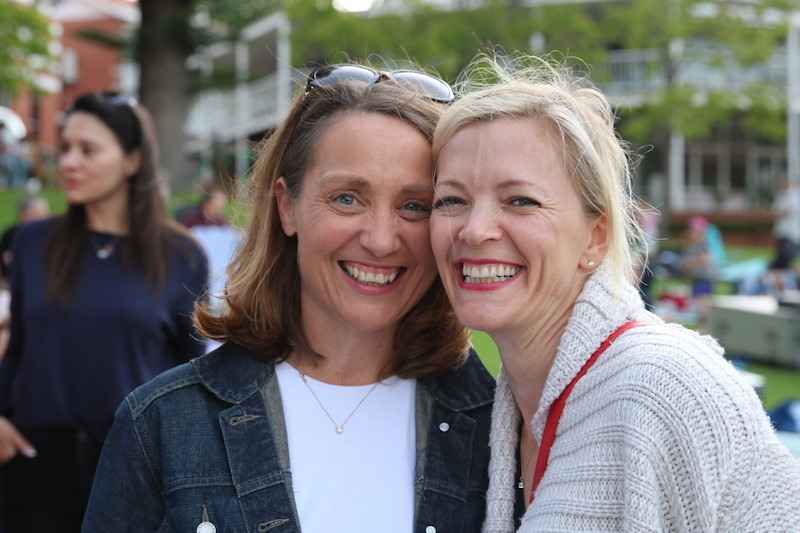 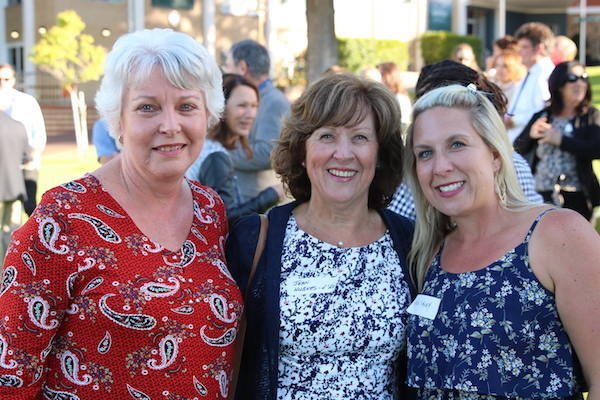 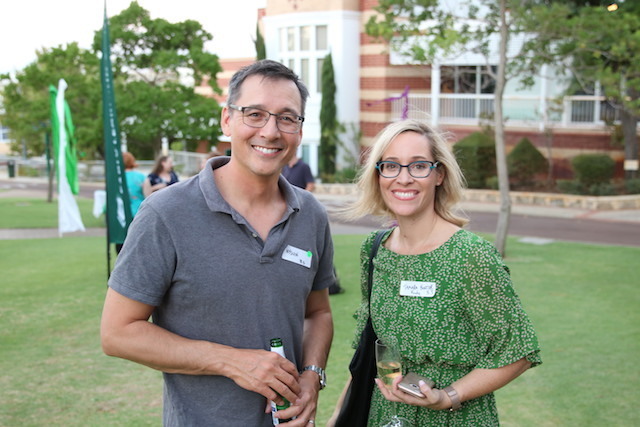 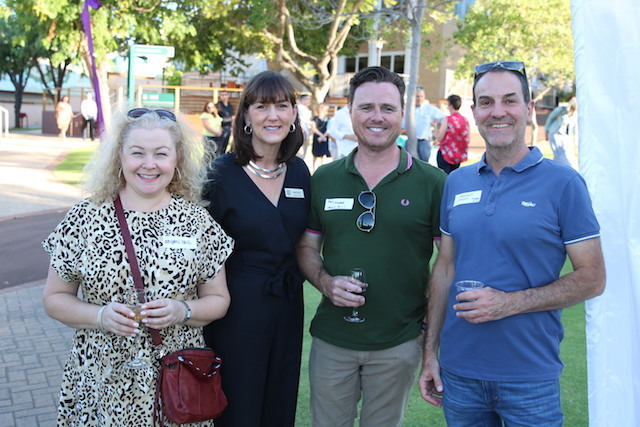 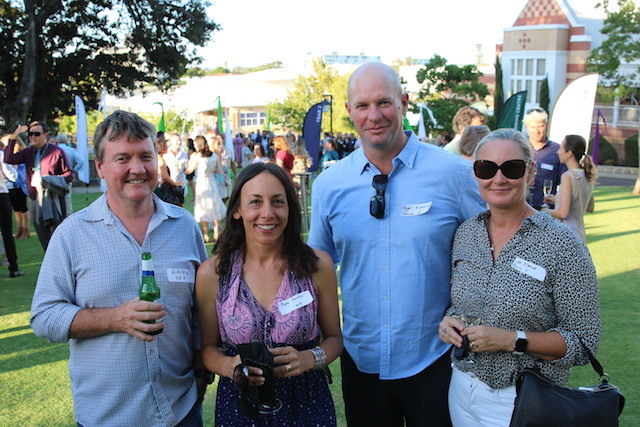 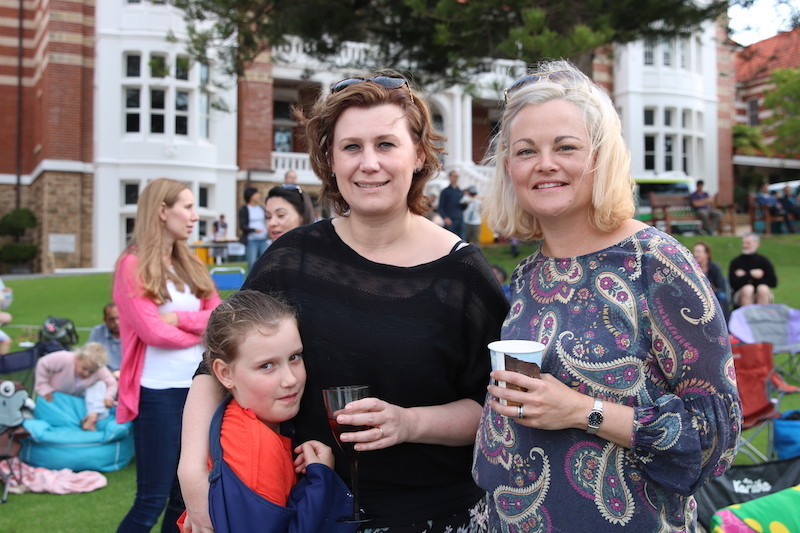 Our parents and staff came together to celebrate the start of the school year at Sunset on the Green. 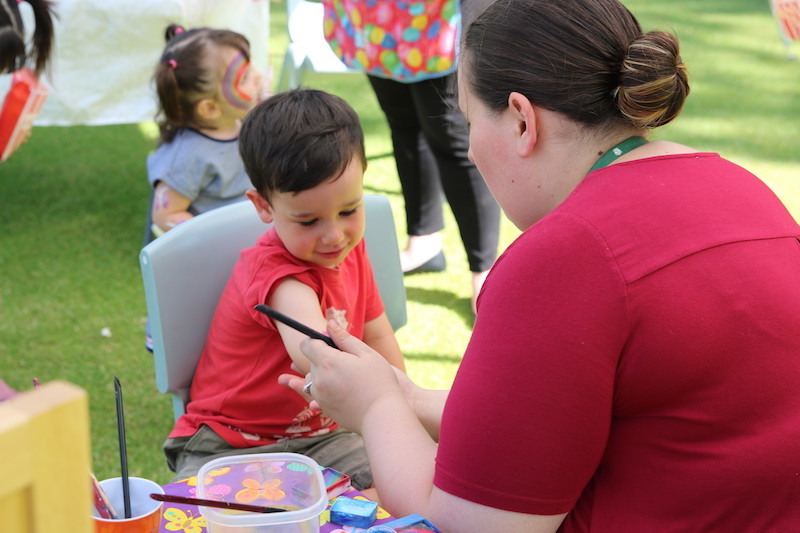 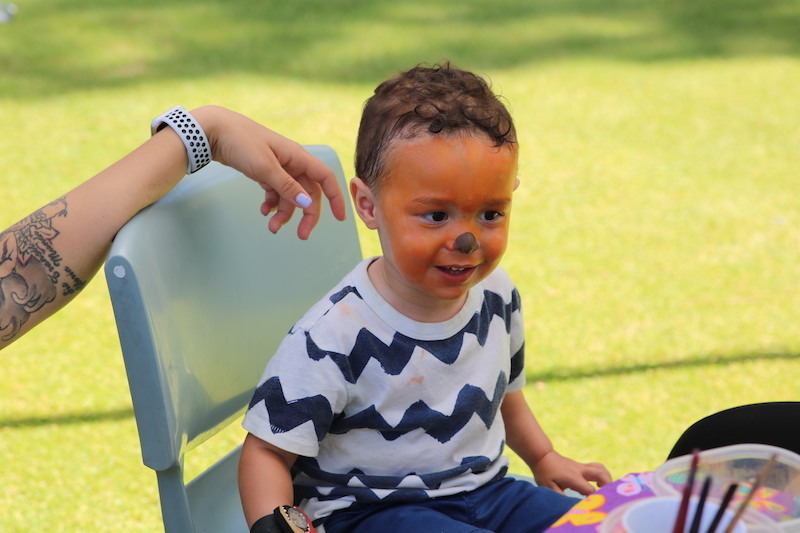 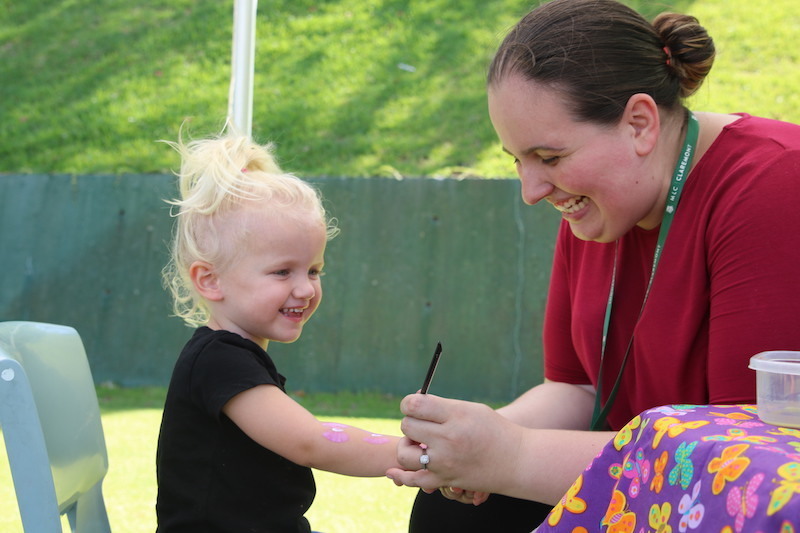 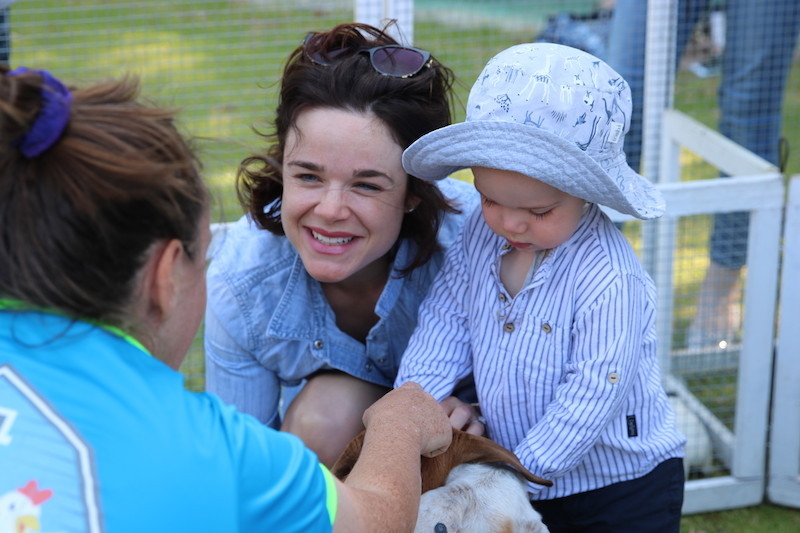 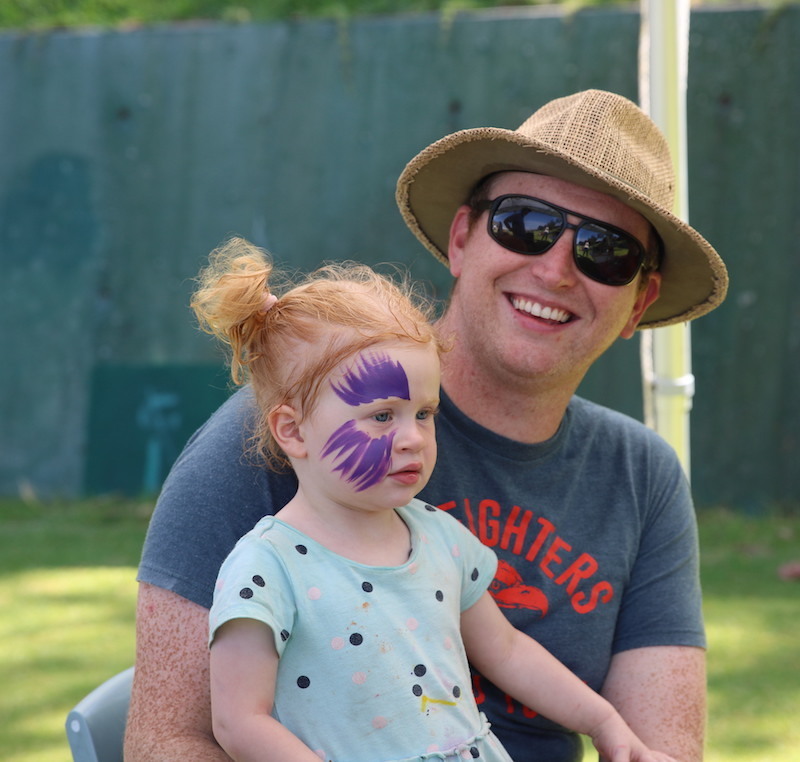 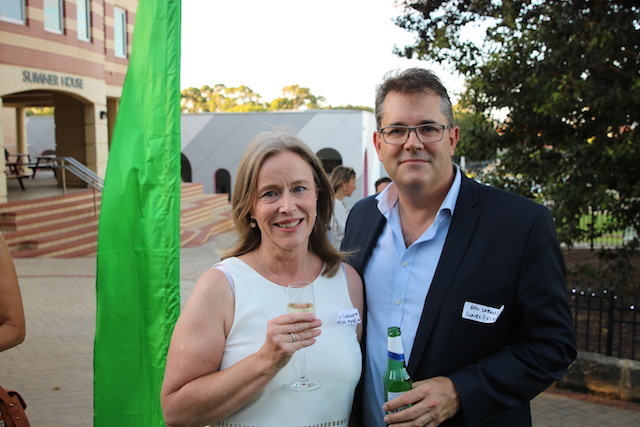 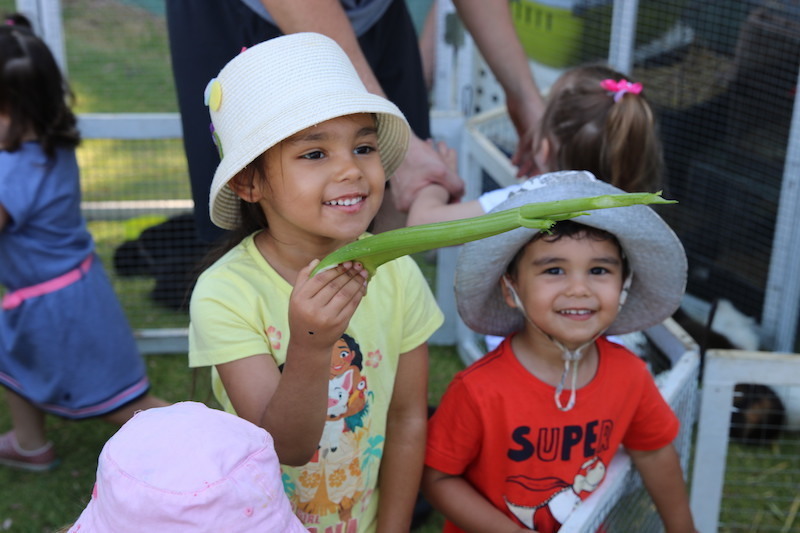 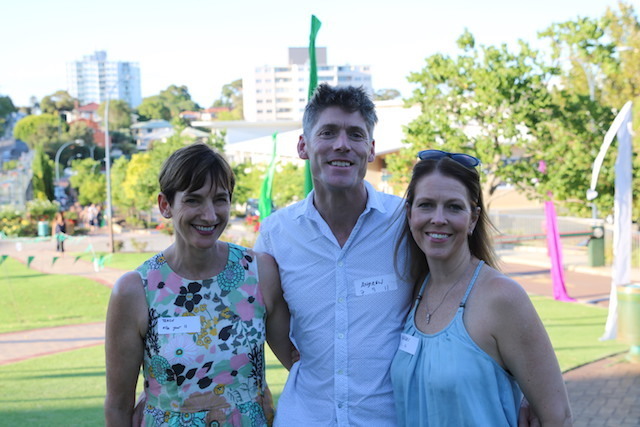 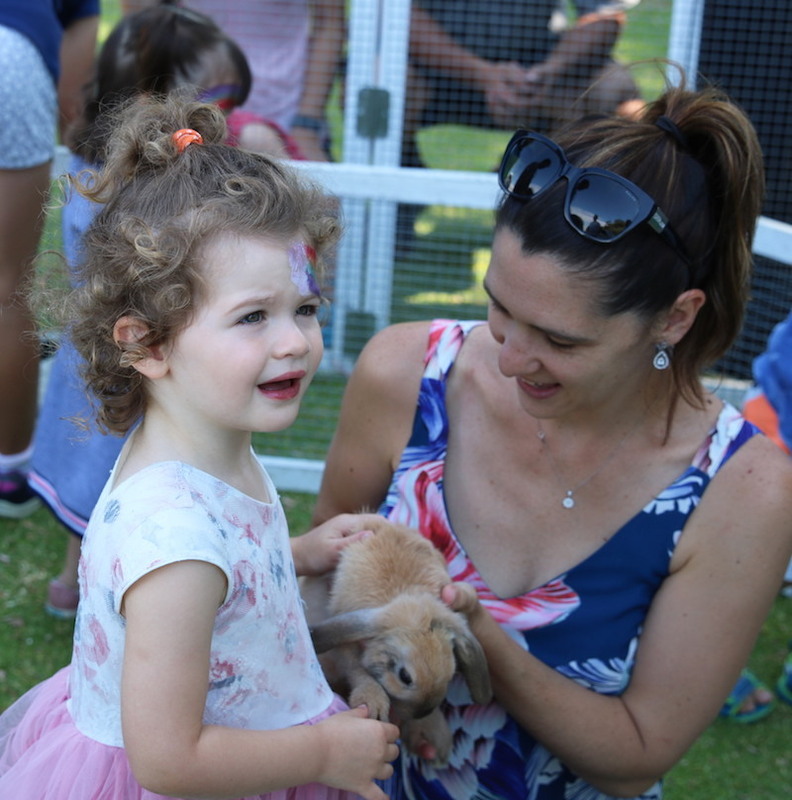 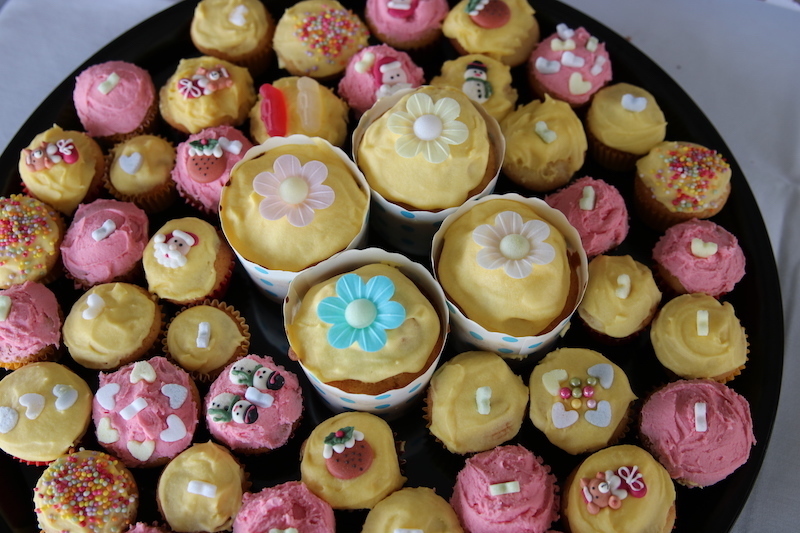 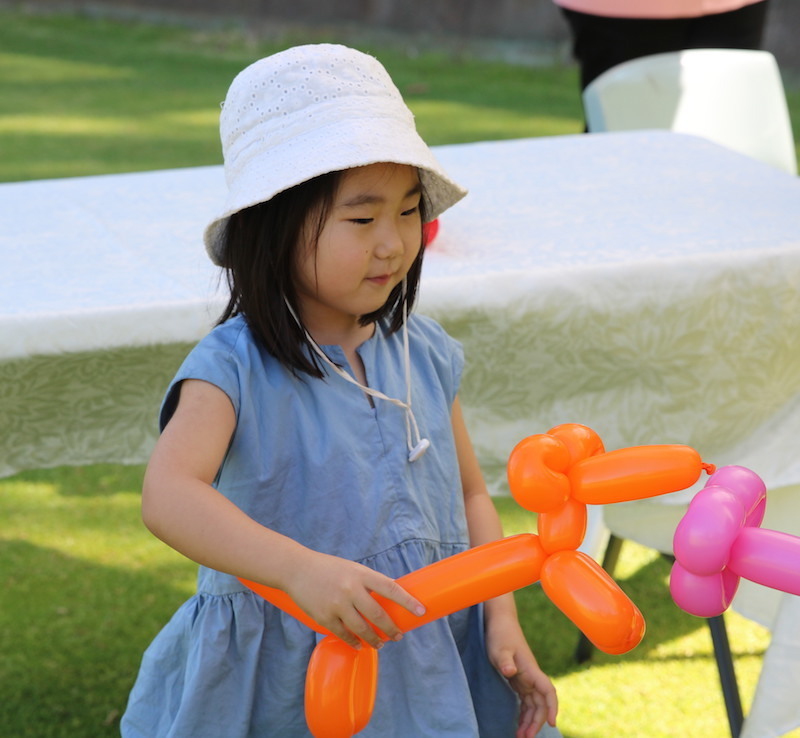 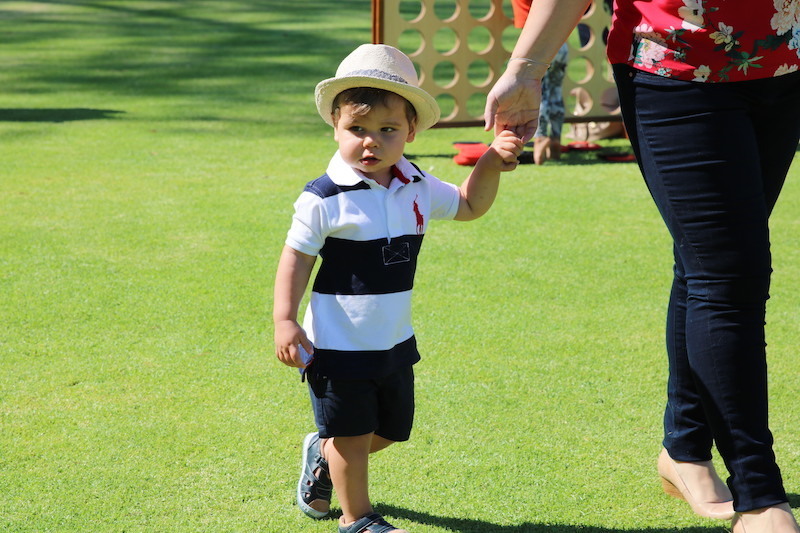 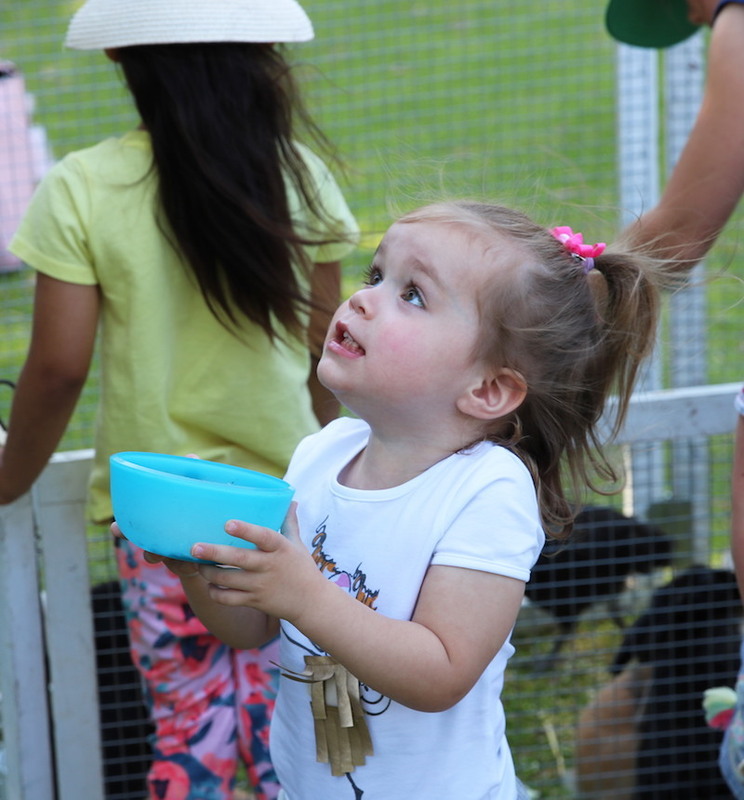 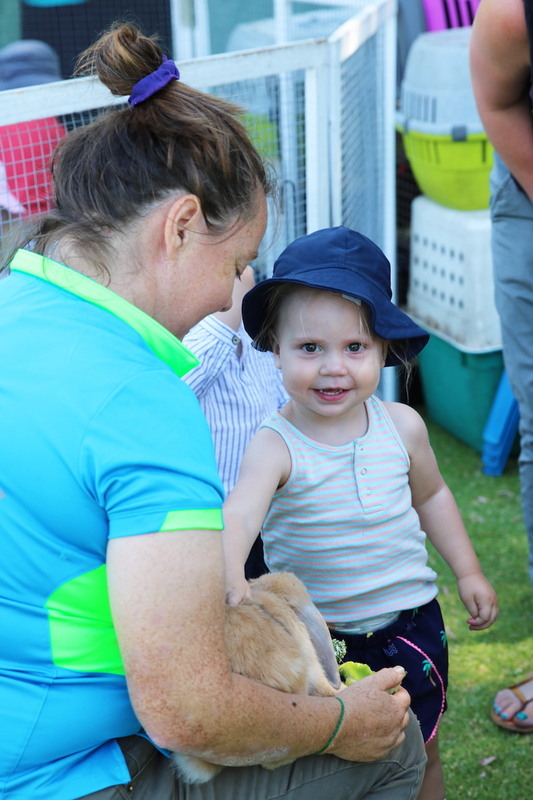 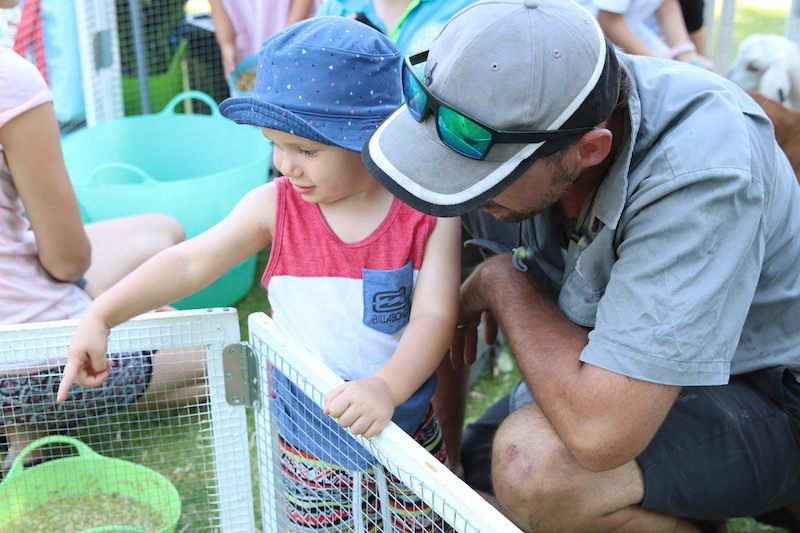 We celebrated our Early Learning Centre’s first birthday with a special party for our families. 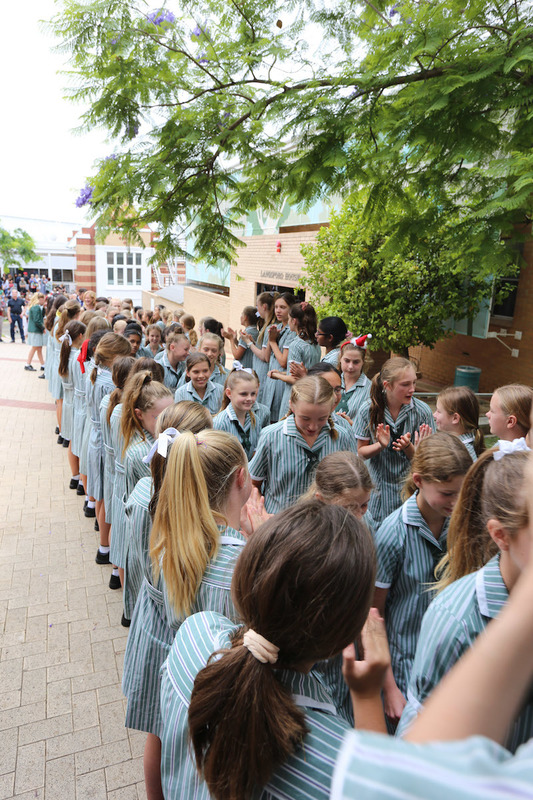 Following tradition, our Year 7s formed a guard of honour to officially welcome the Year 6s to the next step of their learning adventure. 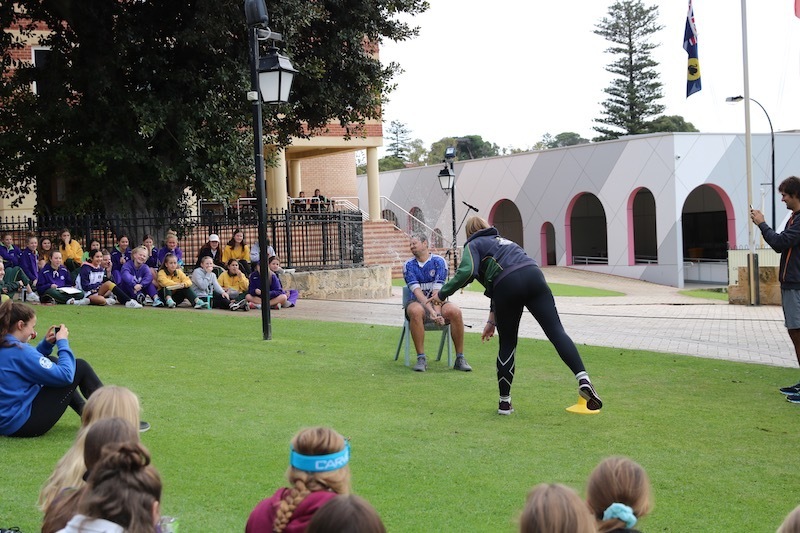 The girls cheered and passed on messages of encouragement and advice about the transition. 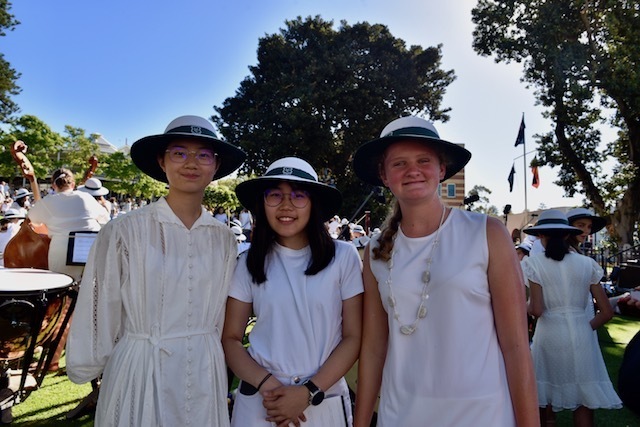 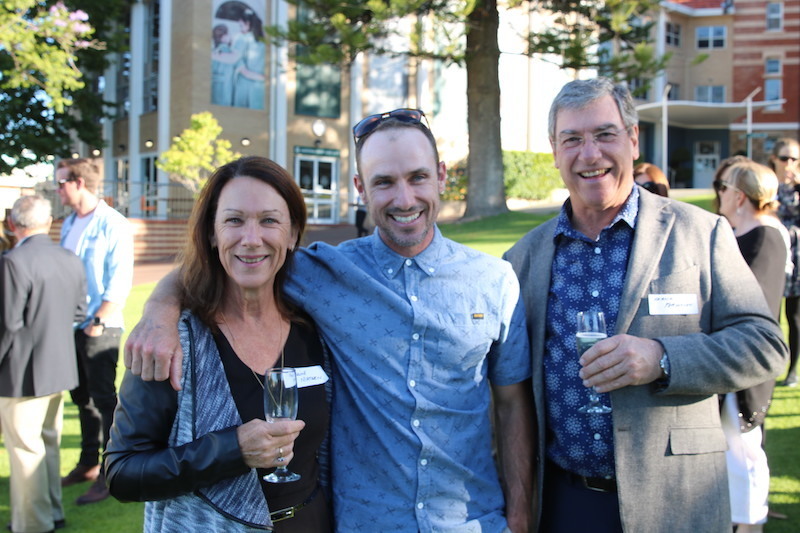 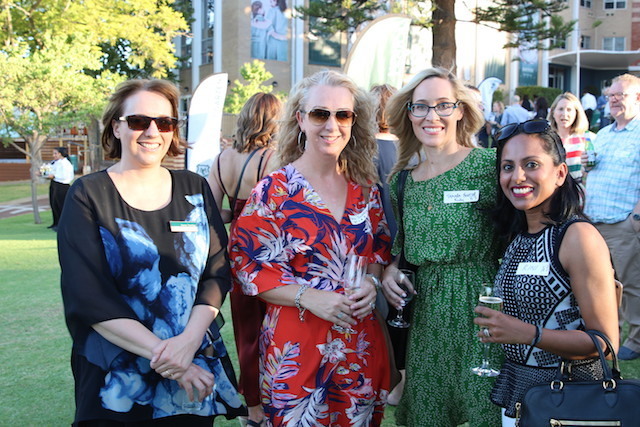 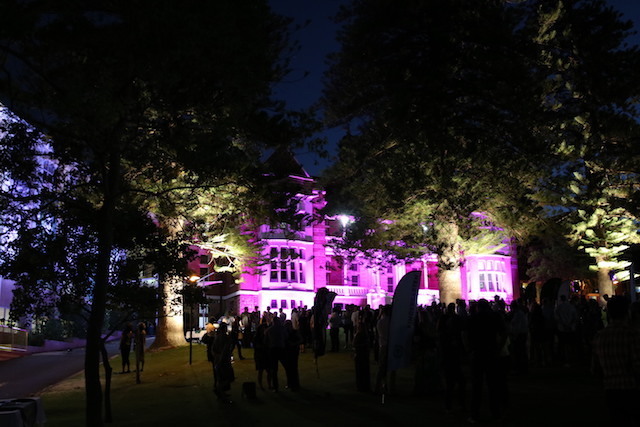 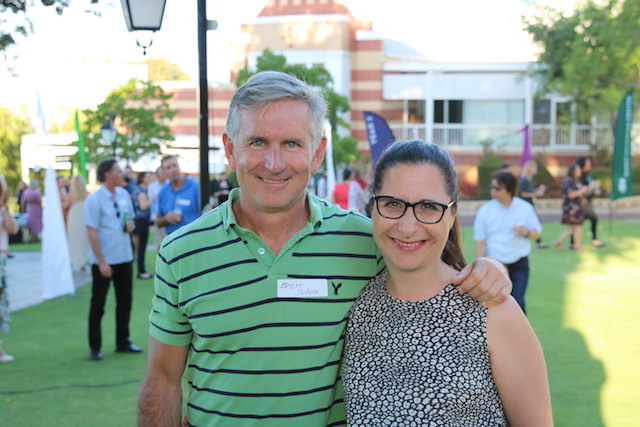 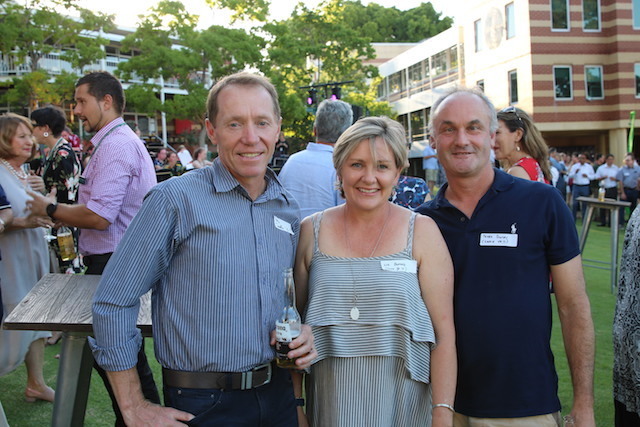 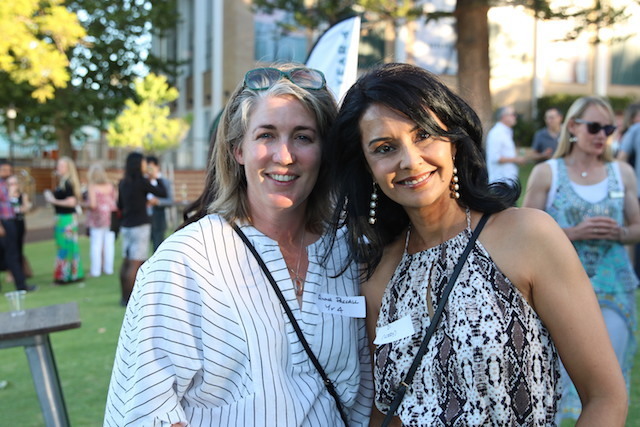 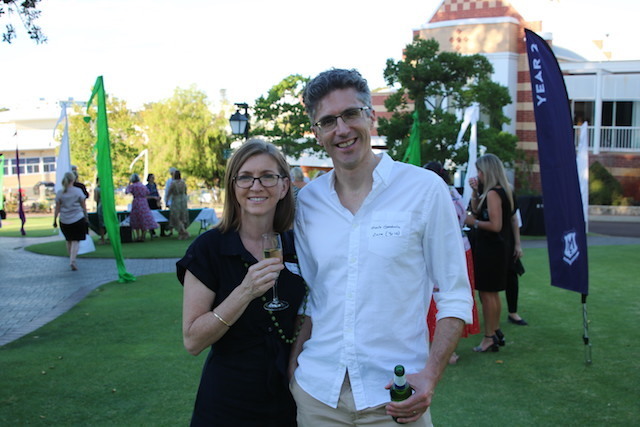 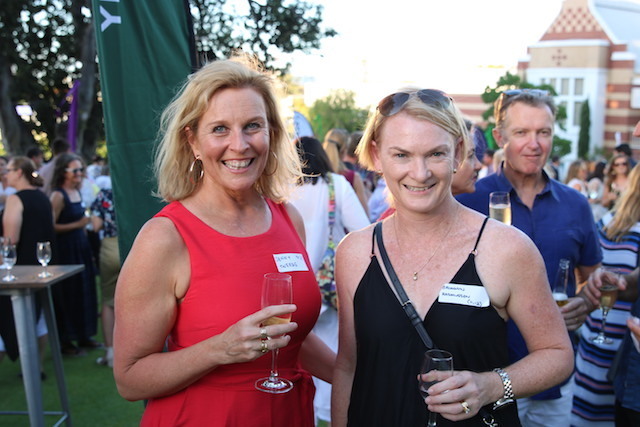 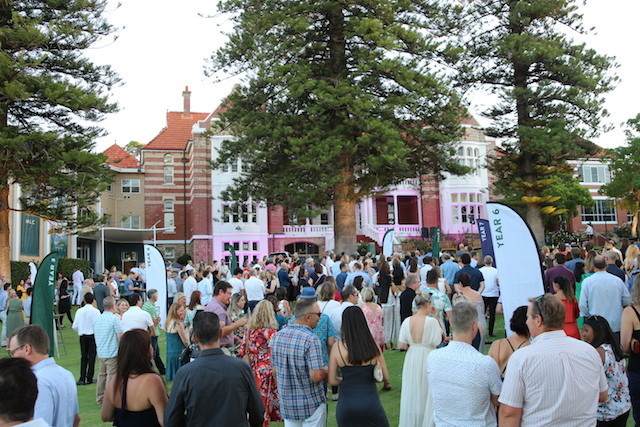 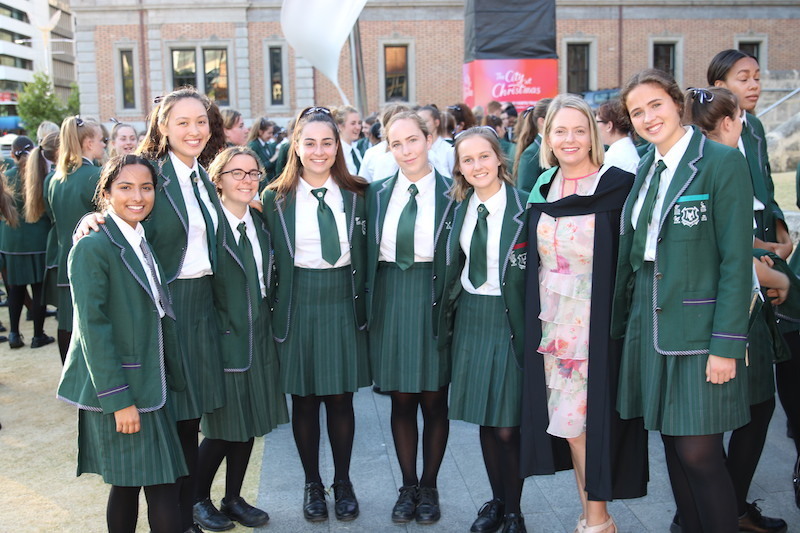 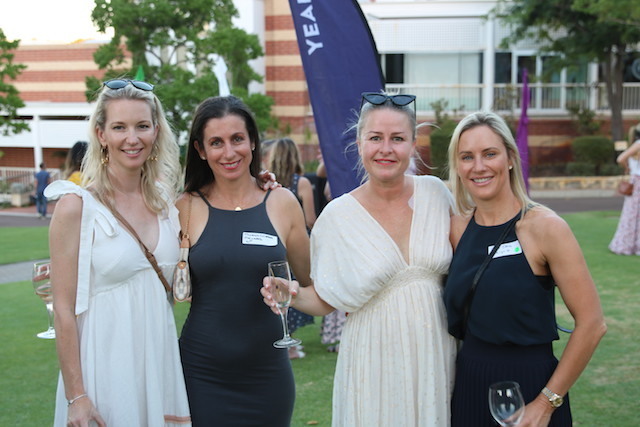 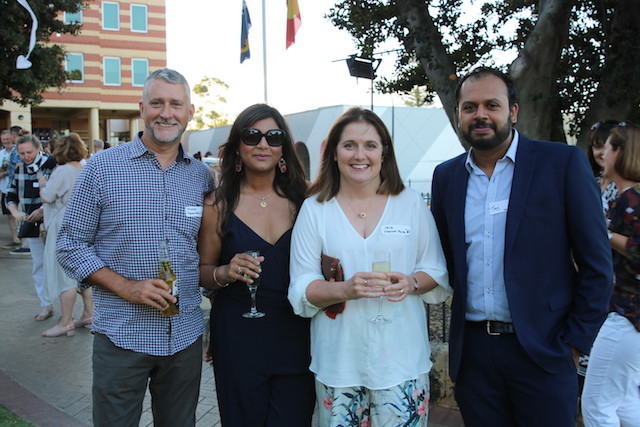 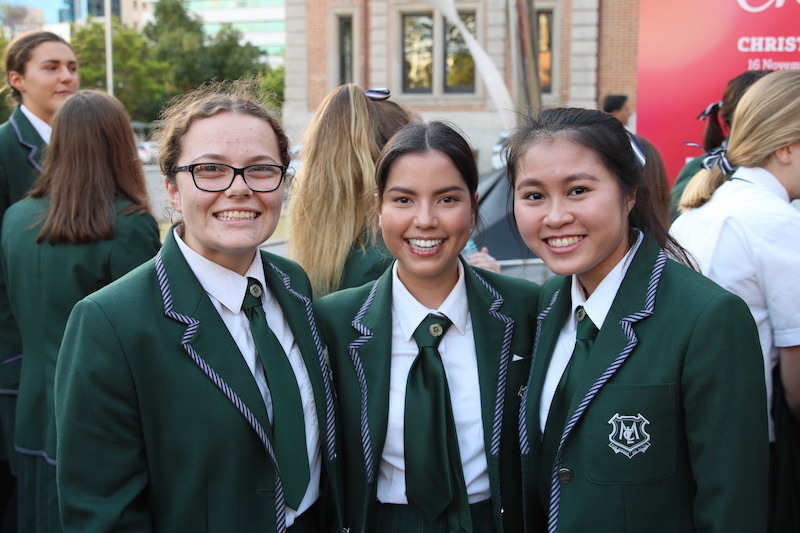 The Class of 2018 celebrated together at St George's Cathedral and the Perth Exhibition and Convention Centre. 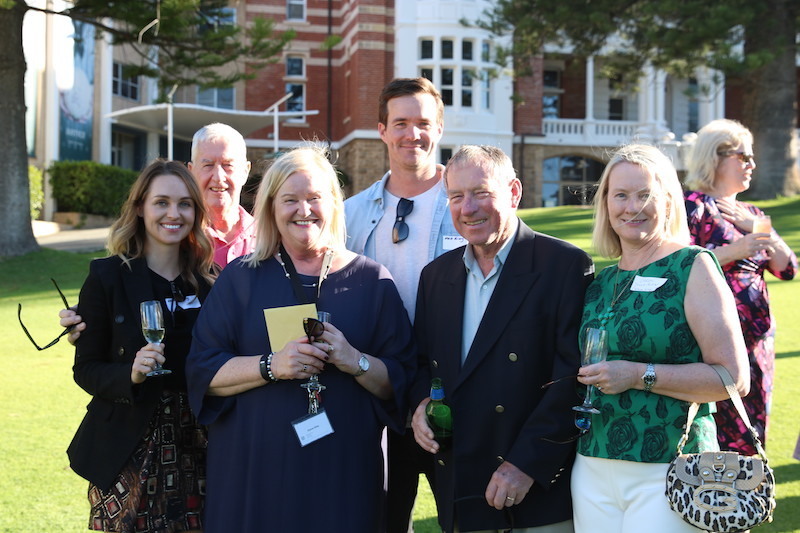 We formally thanked our volunteers and long-serving leaving staff members at our annual Evening of Thanks. 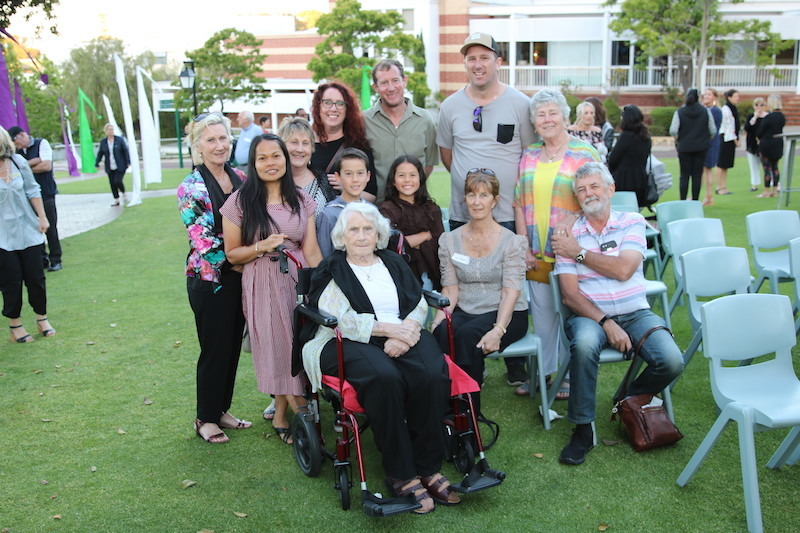 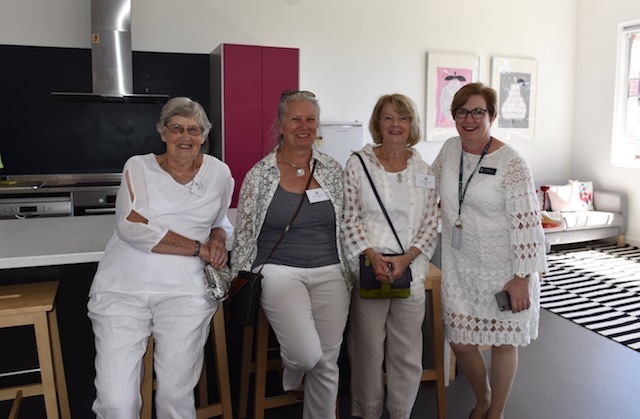 Mrs Dilkes, Mrs Riley, Nola Riddell, Jean Hughes d’Aeth and Peter O’Sullivan were farewelled and thanked for their exceptional service to MLC of nearly 100 years collectively. 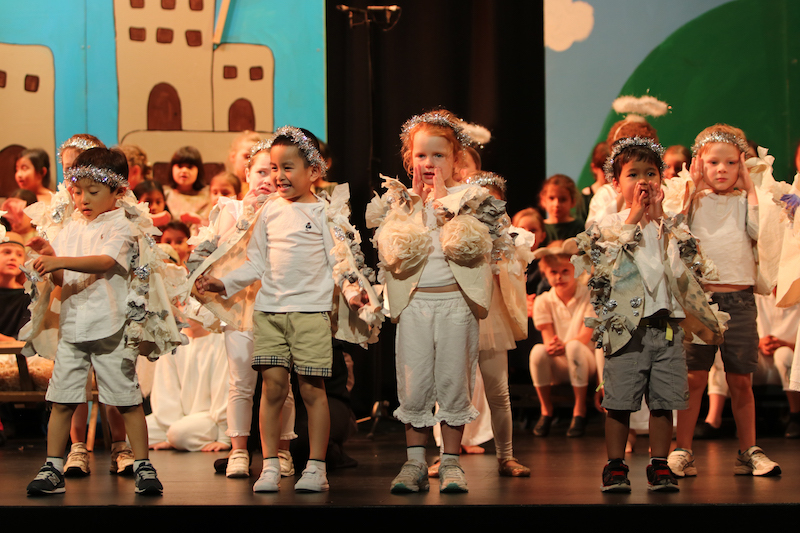 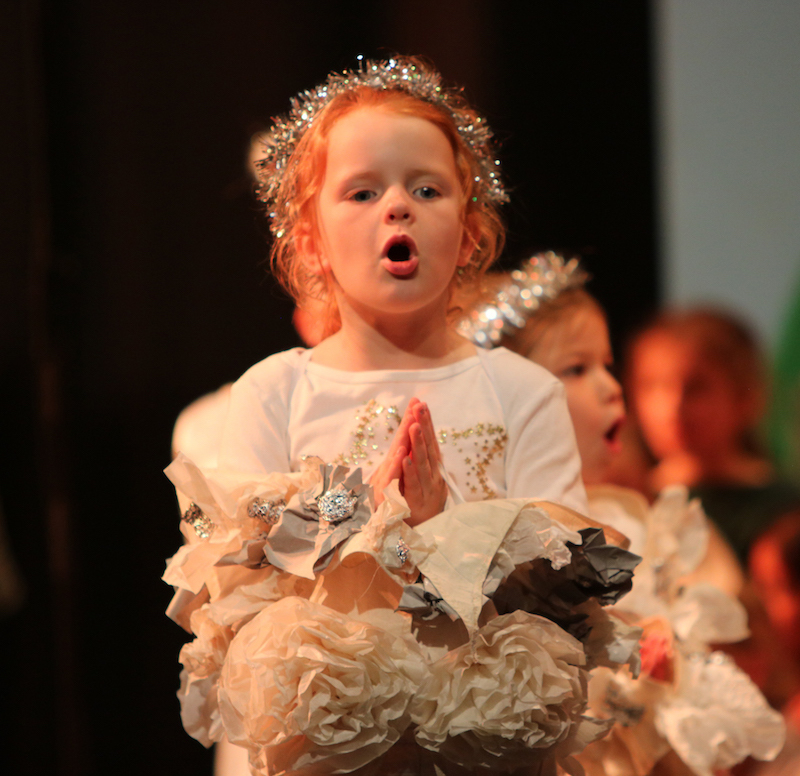 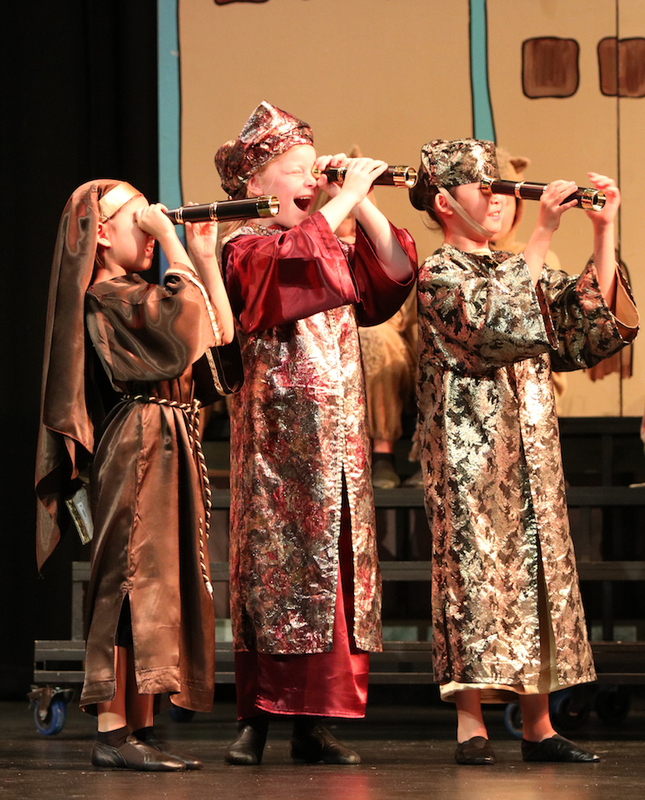 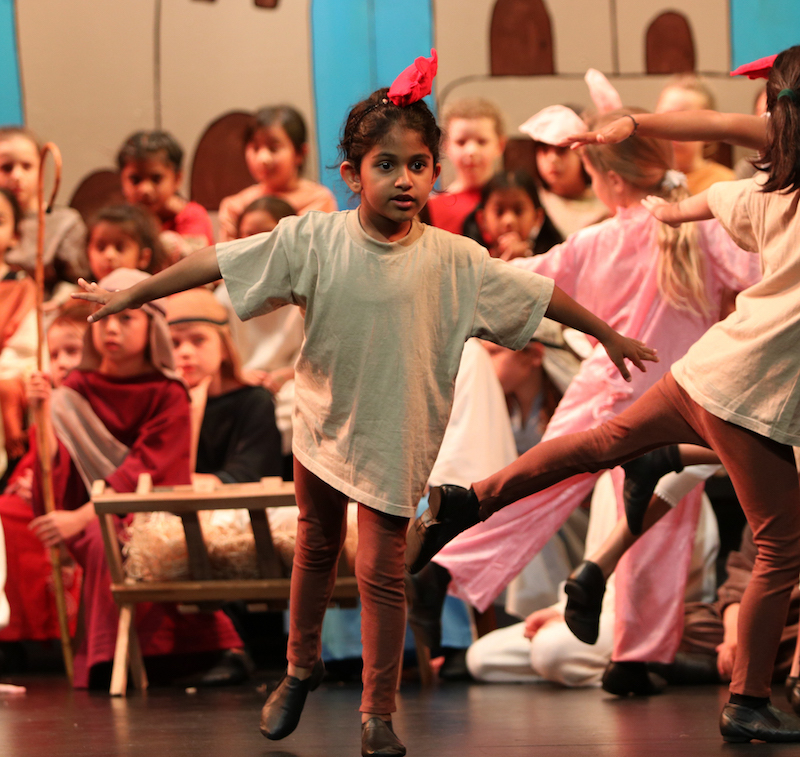 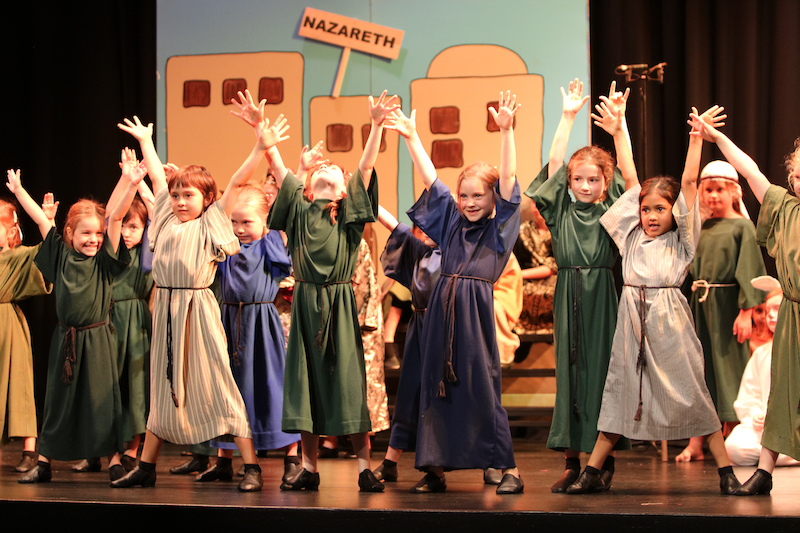 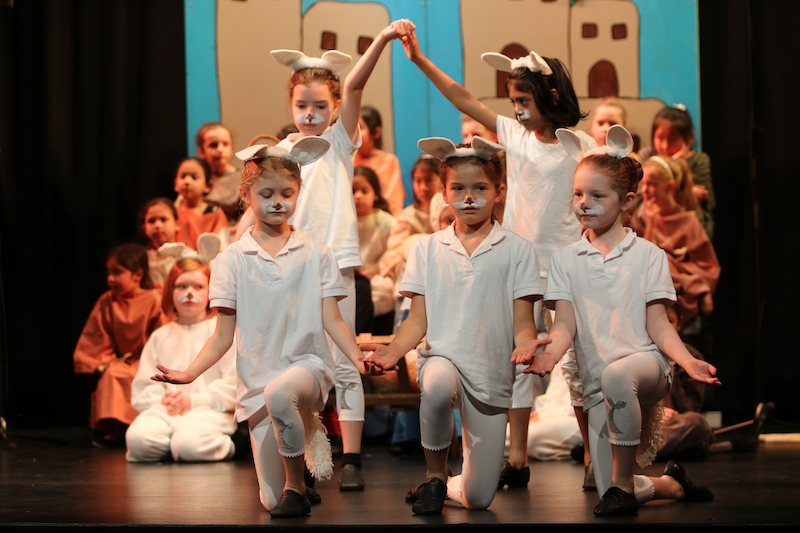 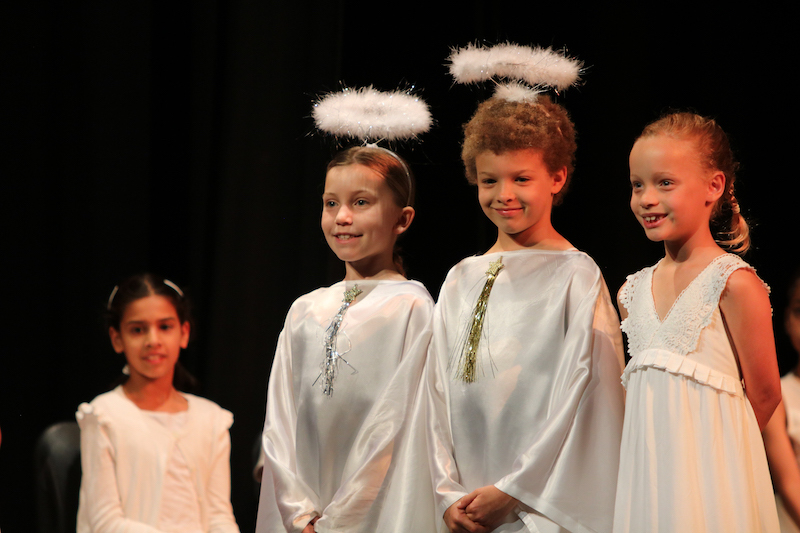 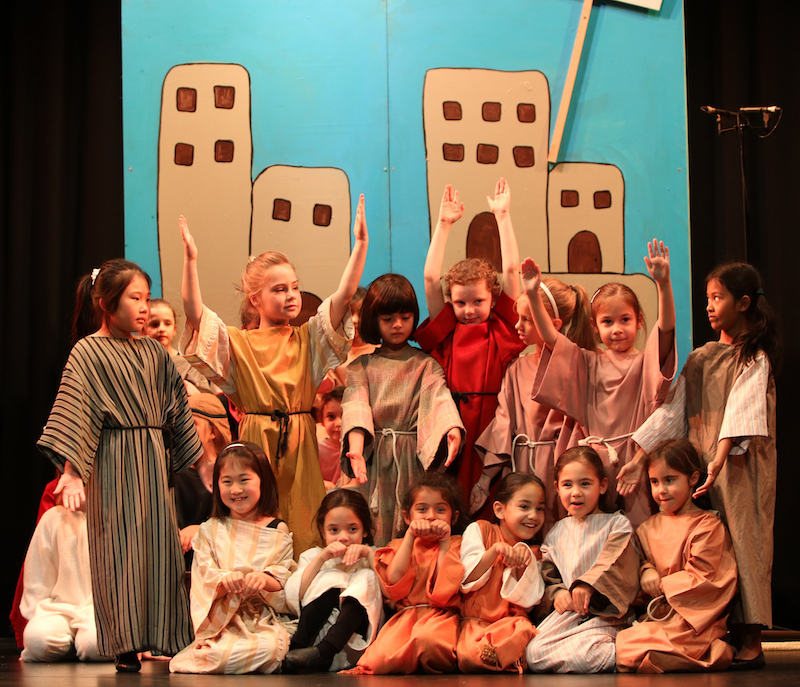 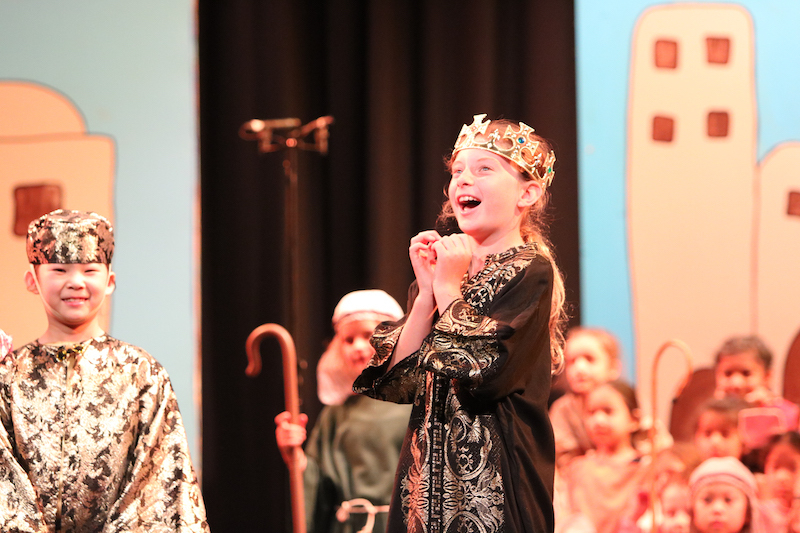 Our Kindergarten-Year 2 girls and boys kept the crowd entertained with their beautiful singing and animated acting at their Christmas Concert. 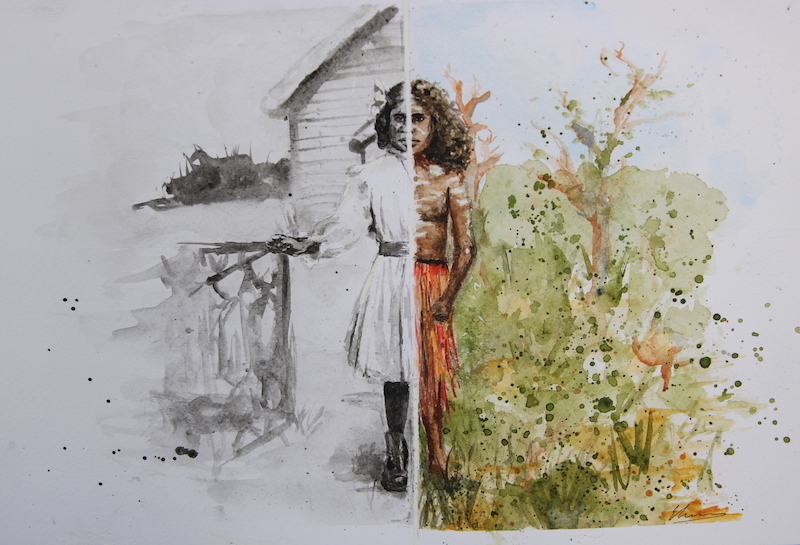 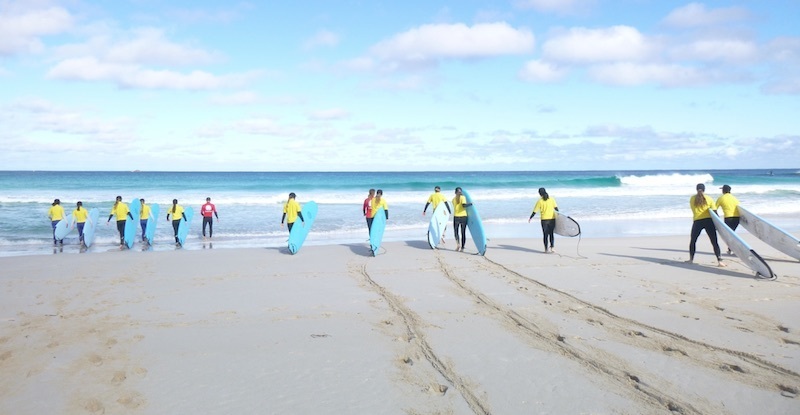 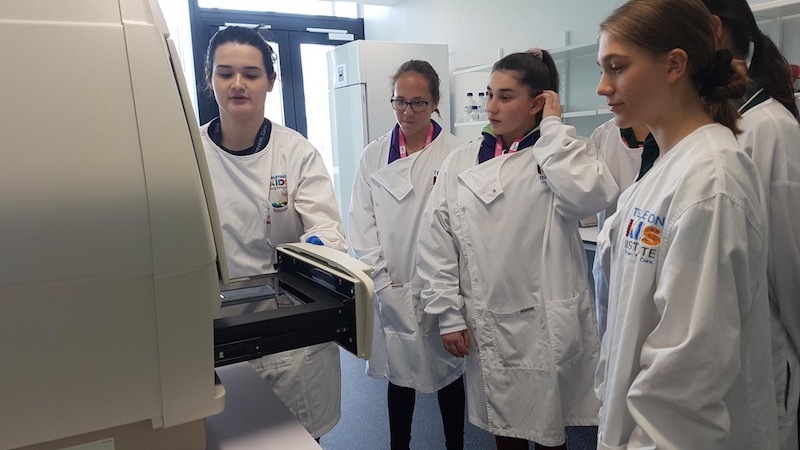 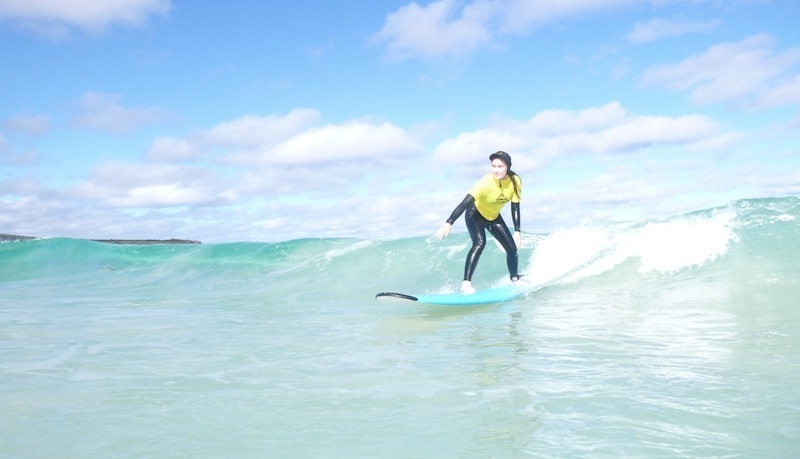 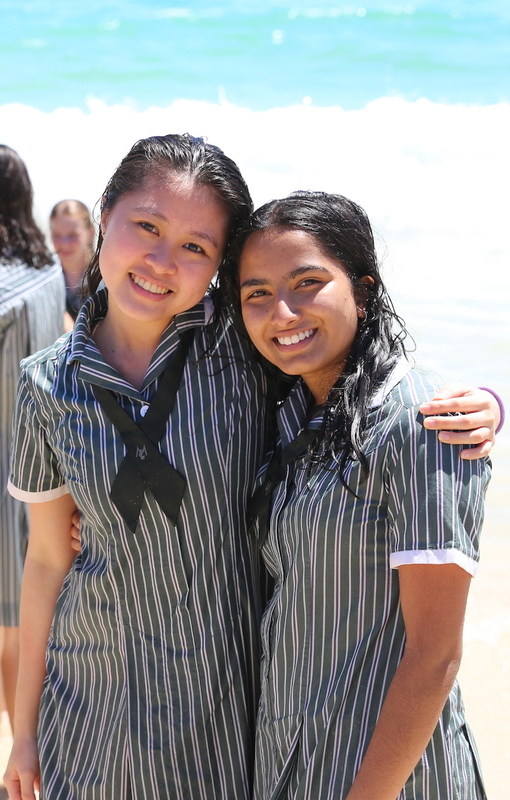 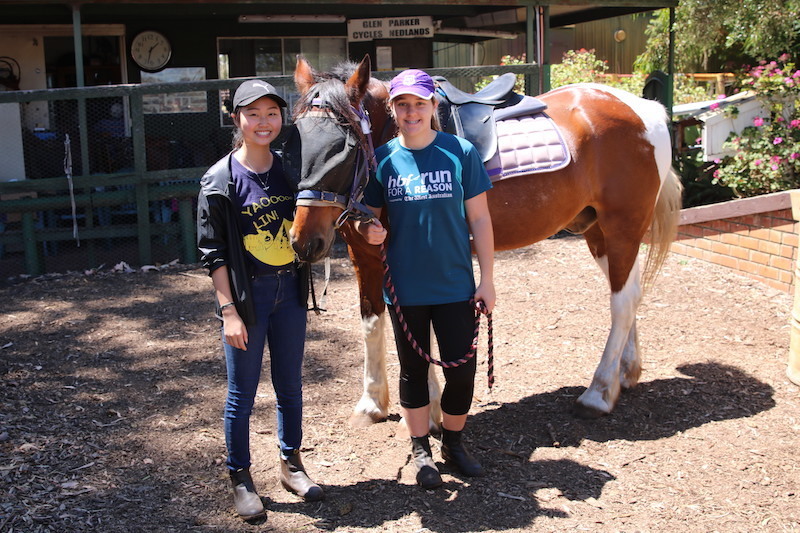 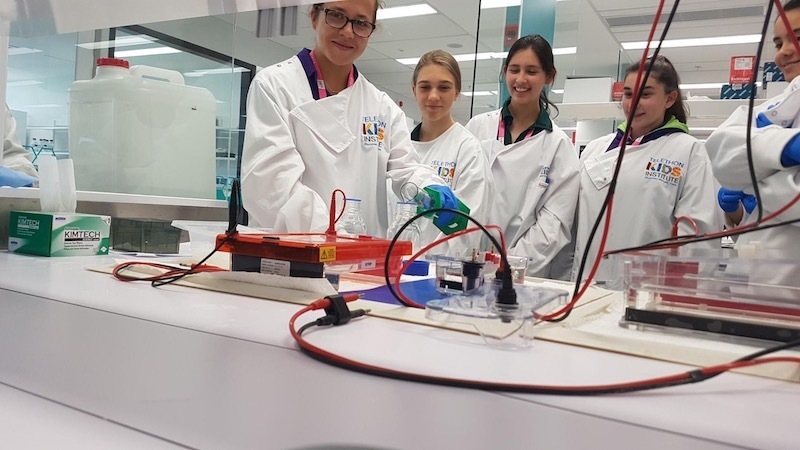 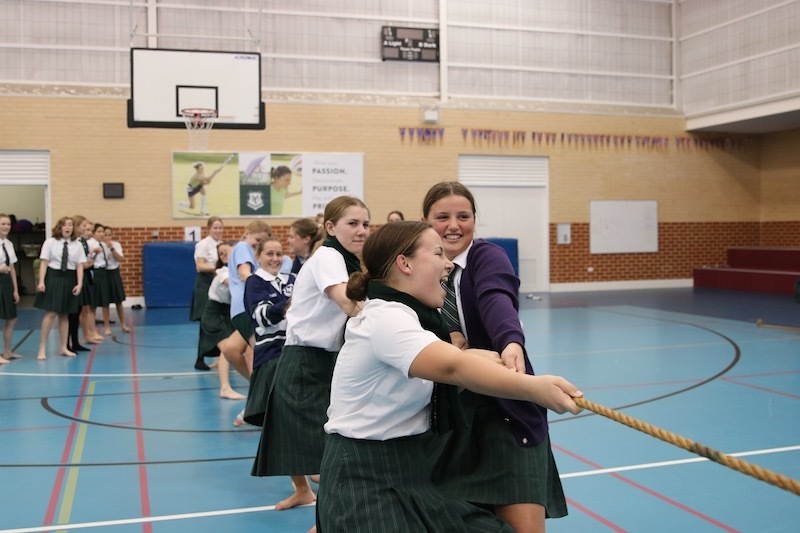 Our Year 10s spent a week completely immersed in a range of activities designed to inspire and engage them. 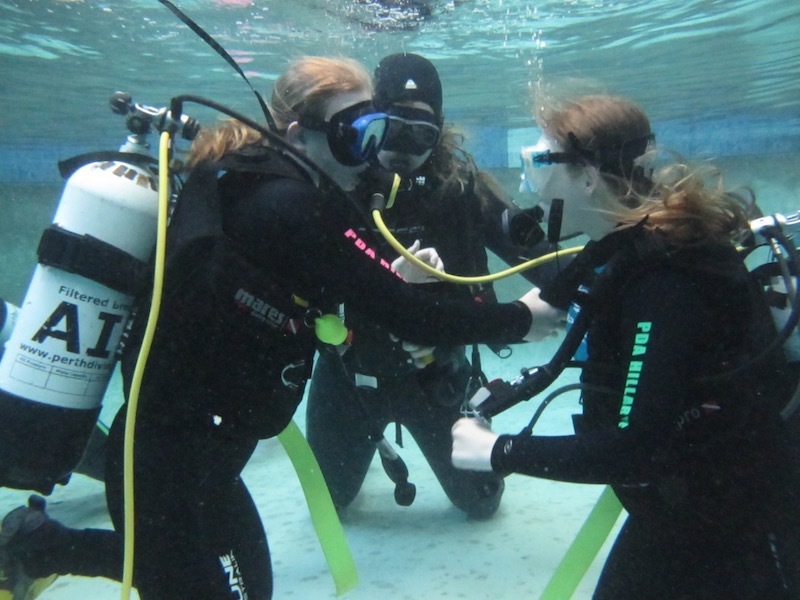 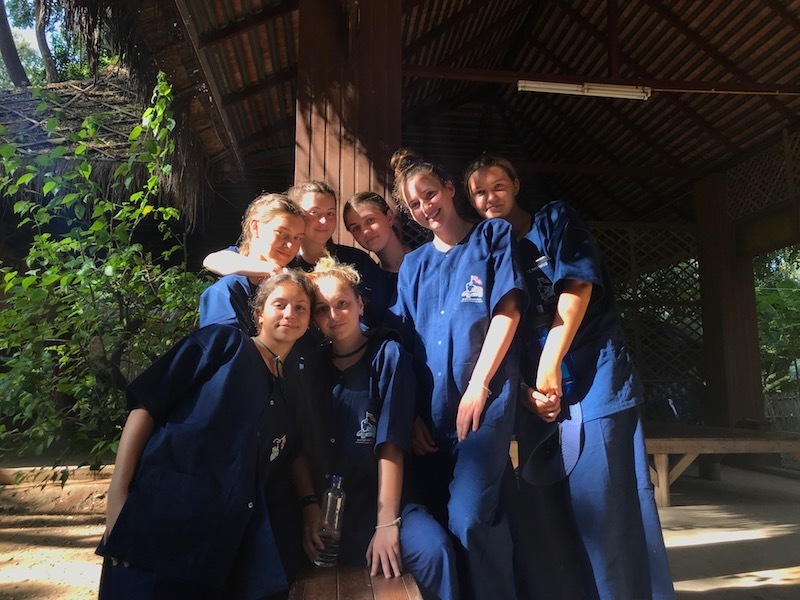 The activities included volunteering, scuba diving, surfing, obtaining a skipper's ticket or pursuing a passion with a self-organised activity. 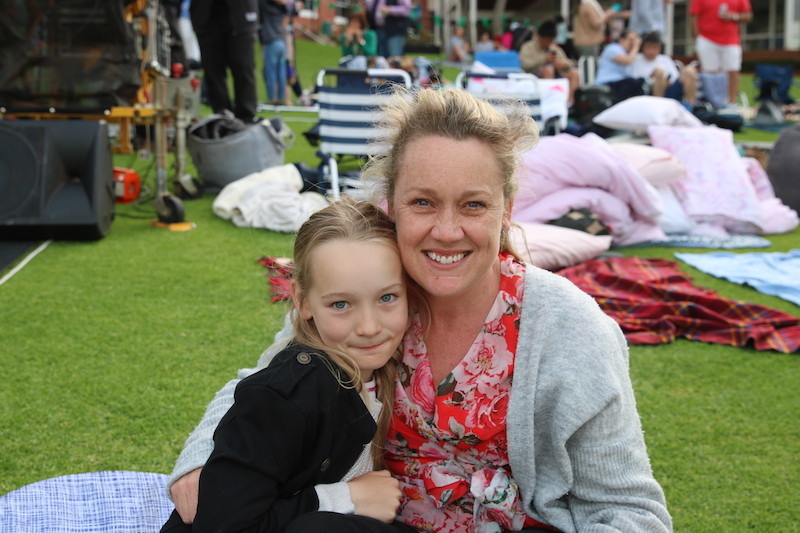 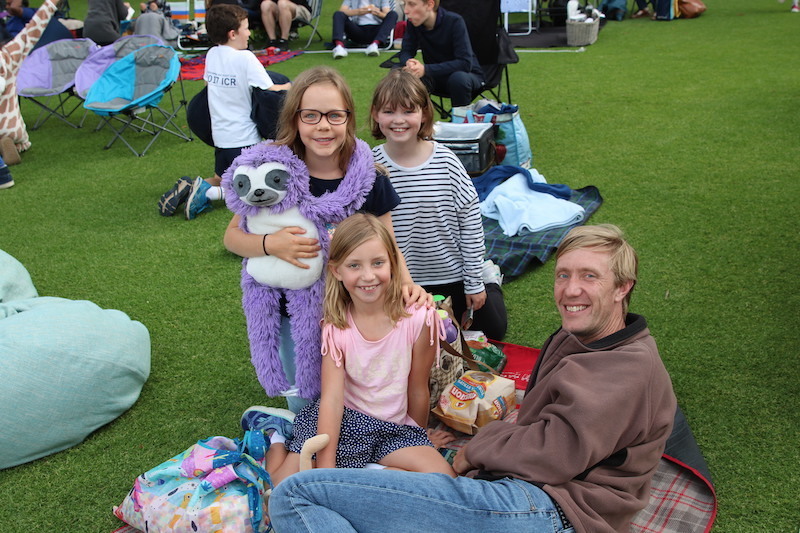 Our community enjoyed a screening of Disney's Christopher Robin under the stars on the Great Court. 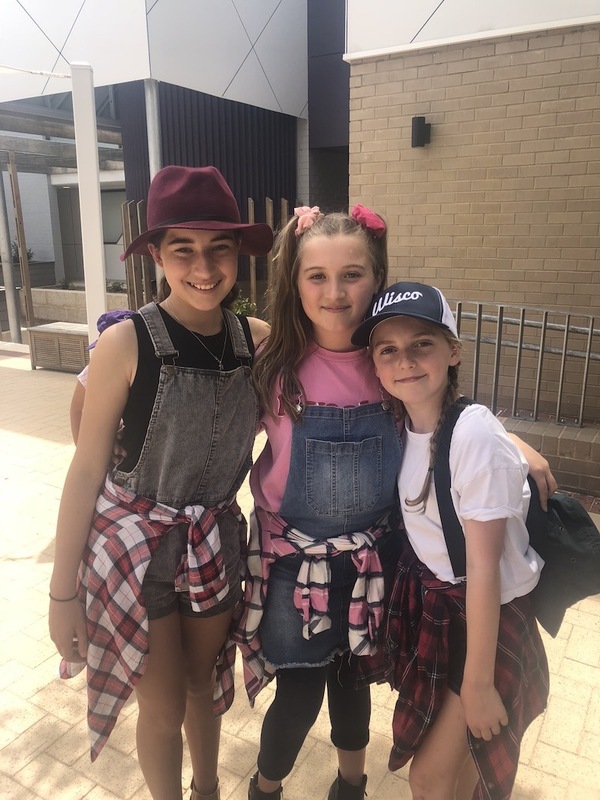 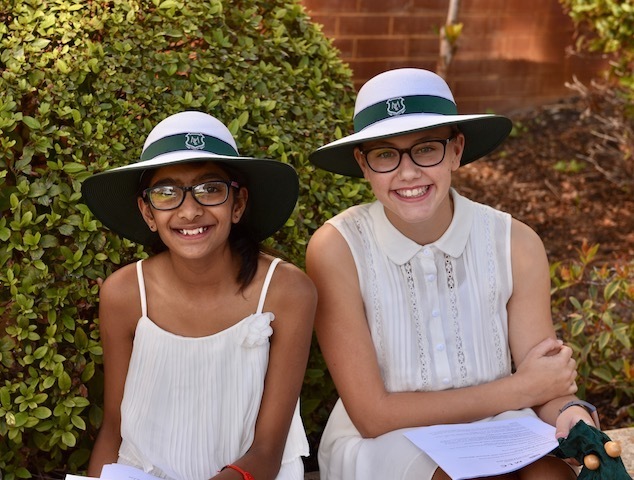 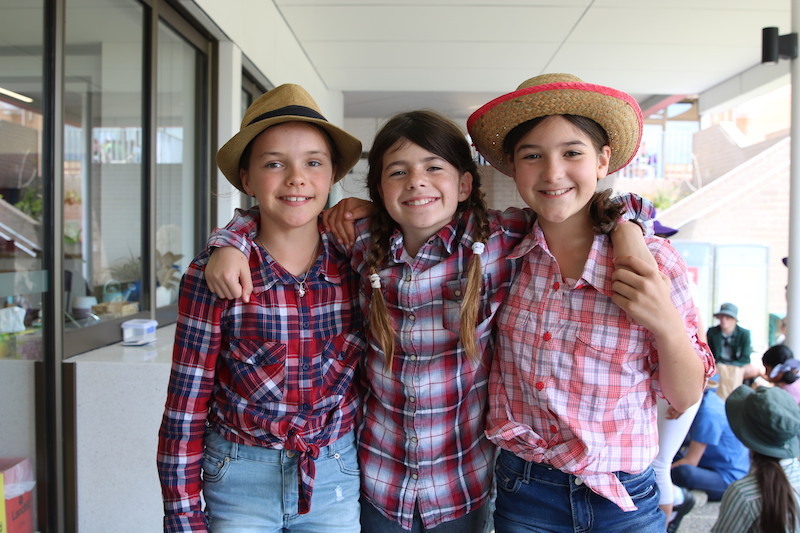 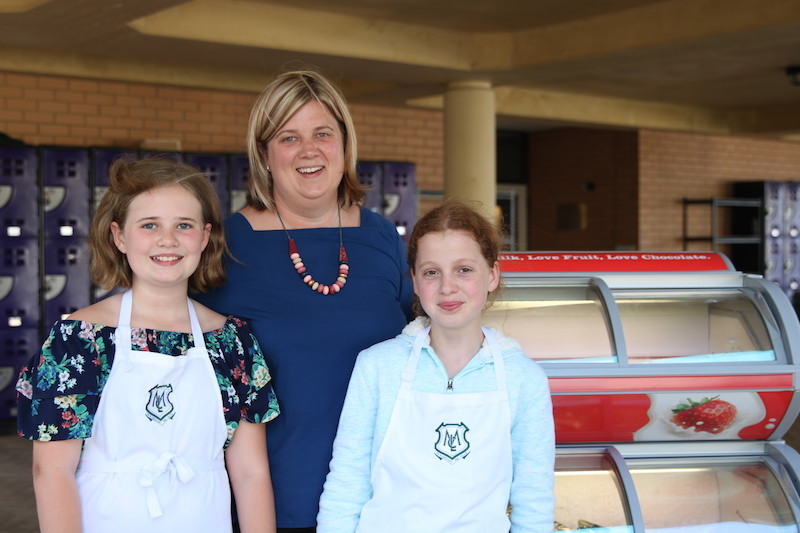 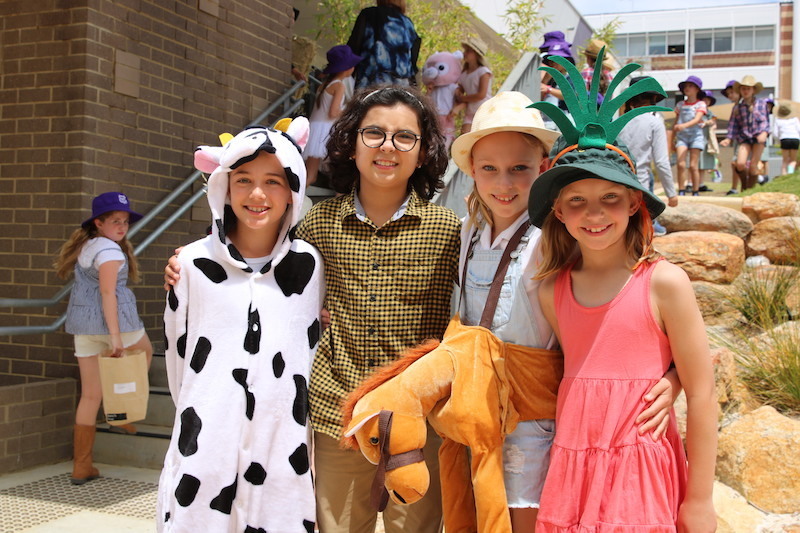 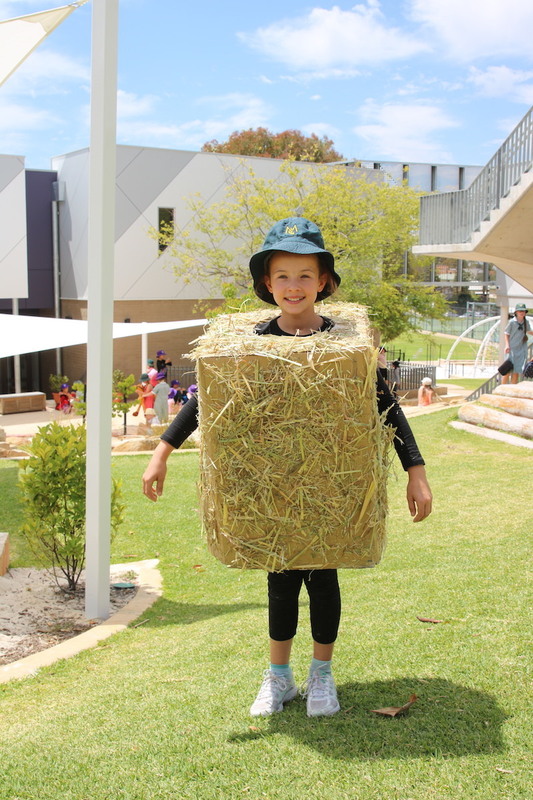 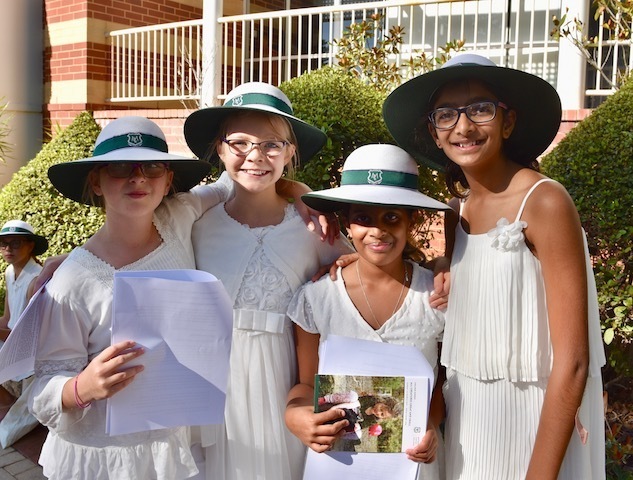 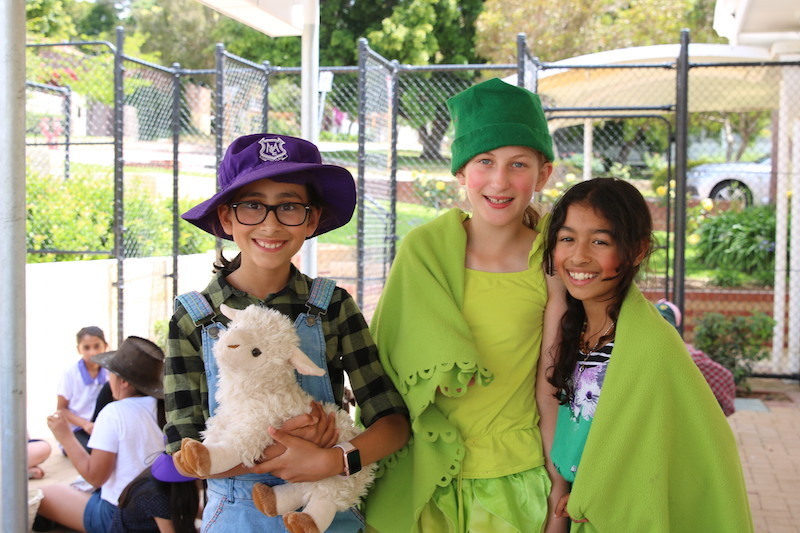 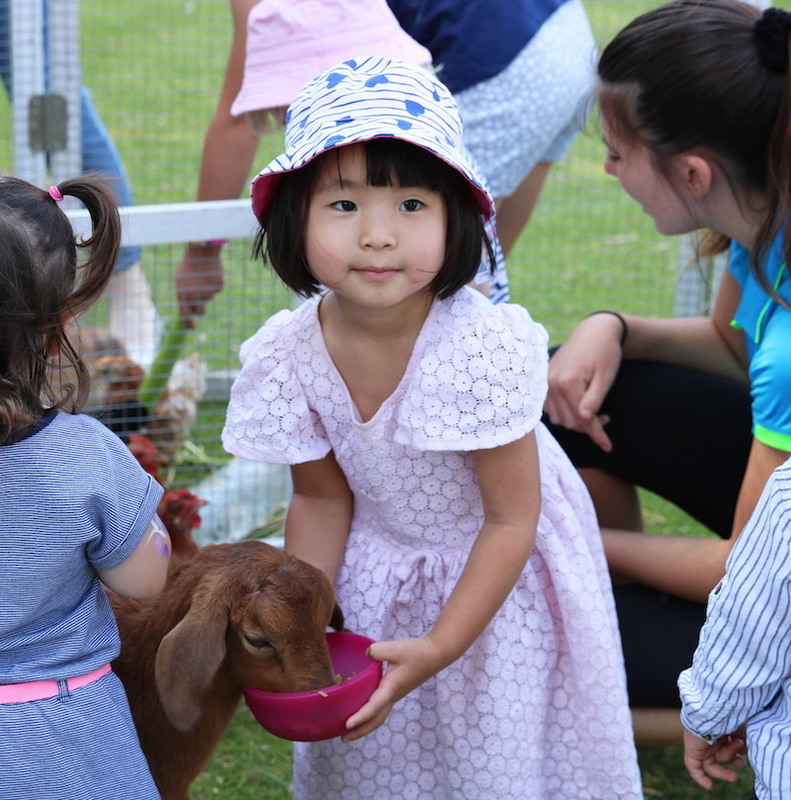 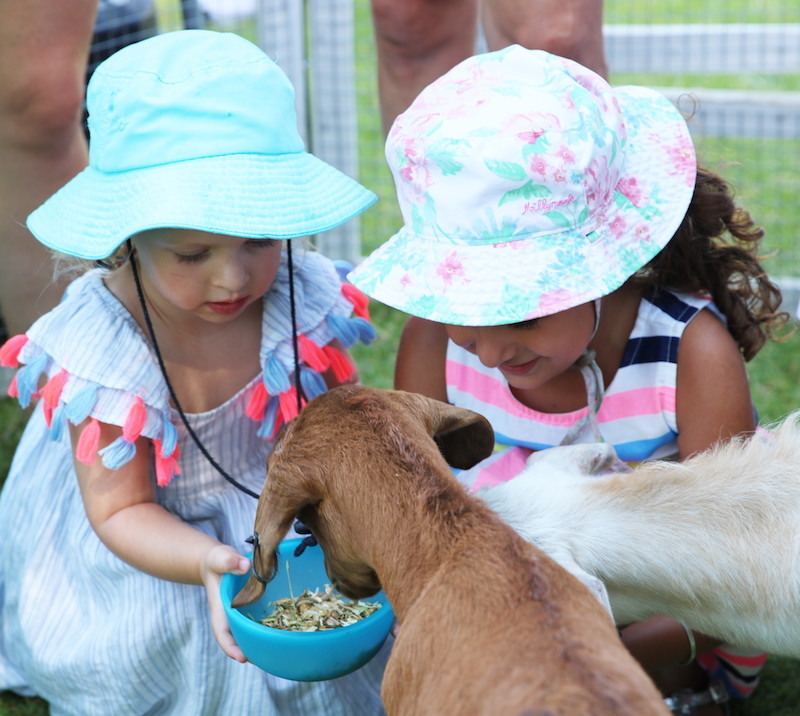 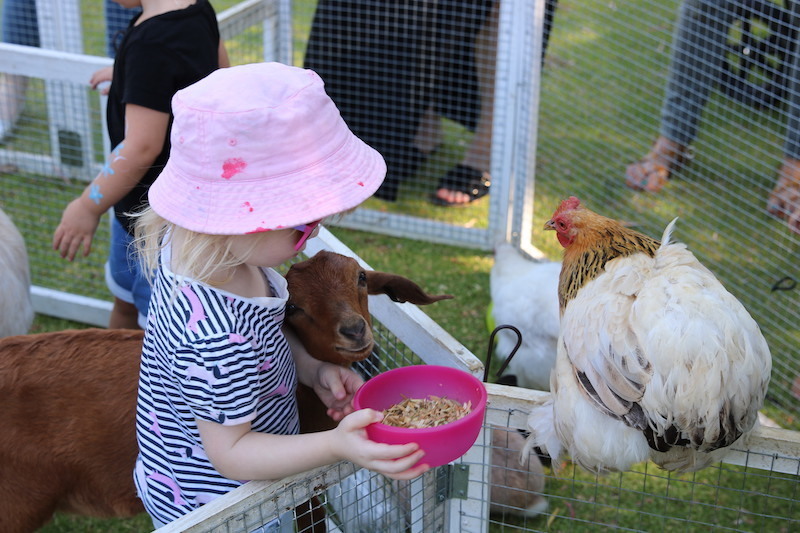 Our youngest Student Council members decided that their dress up day for Term 4 should be farm-related with each students’ $2 donations going to Drought Angels to support farmers in NSW and QLD suffering from the drought. 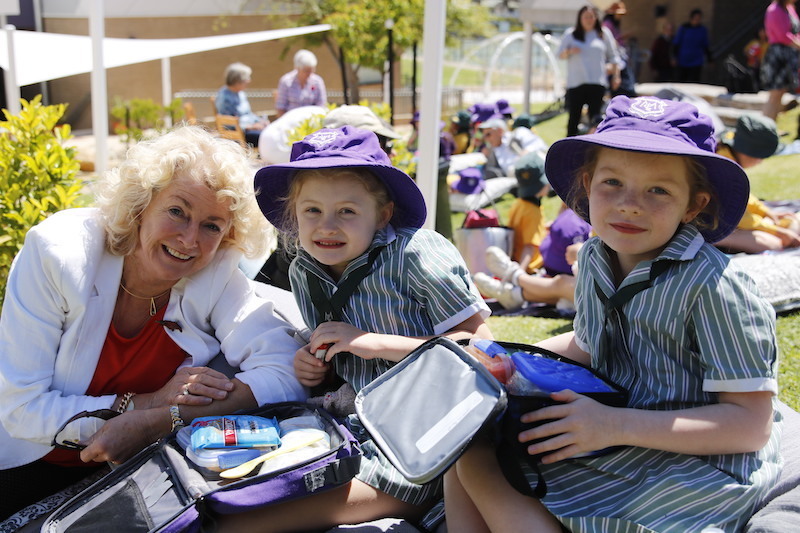 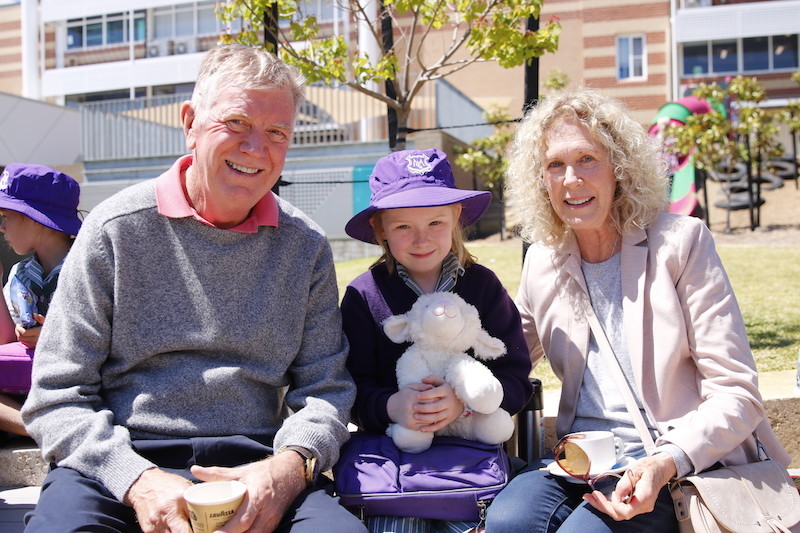 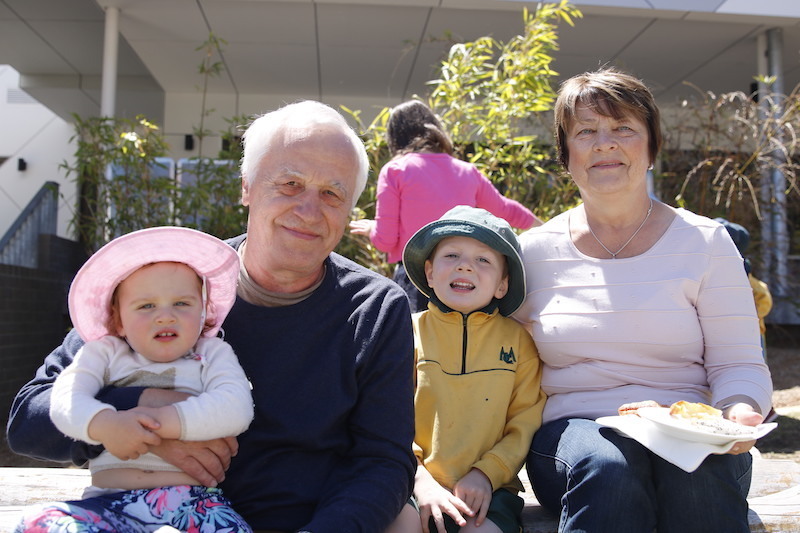 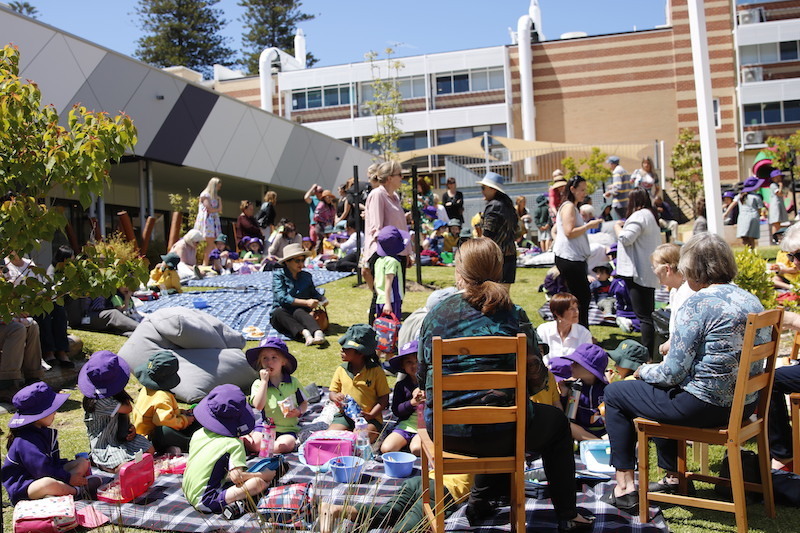 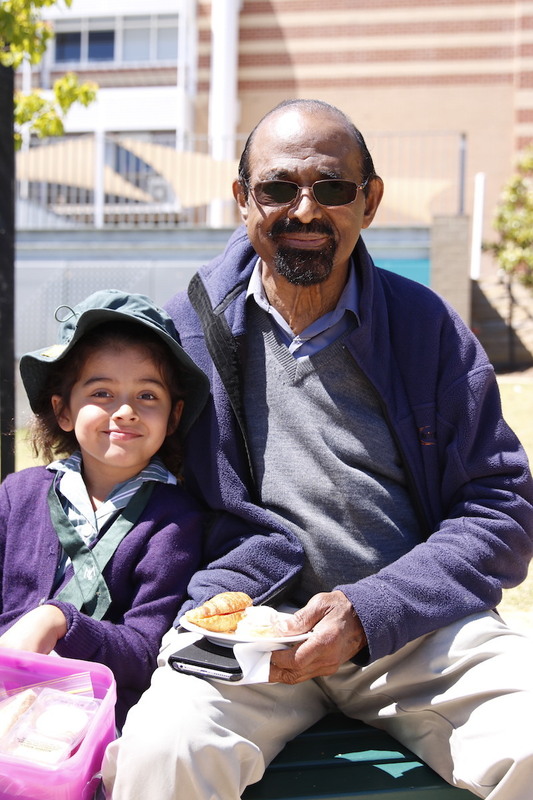 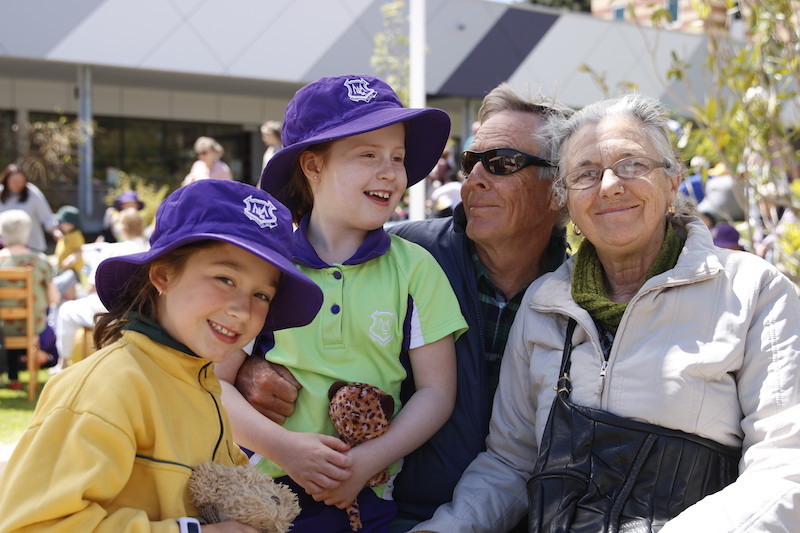 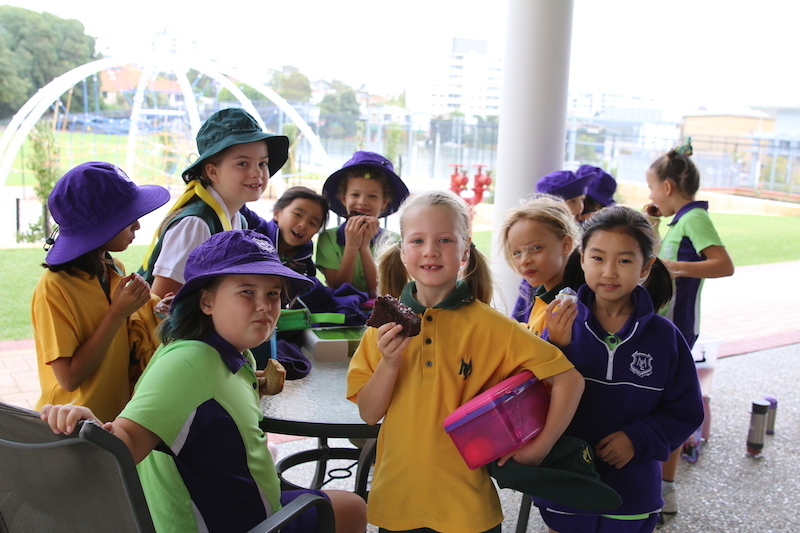 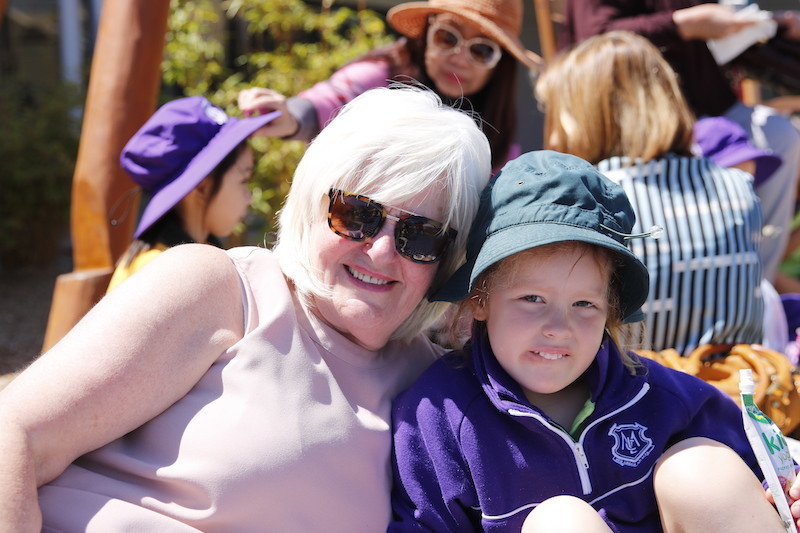 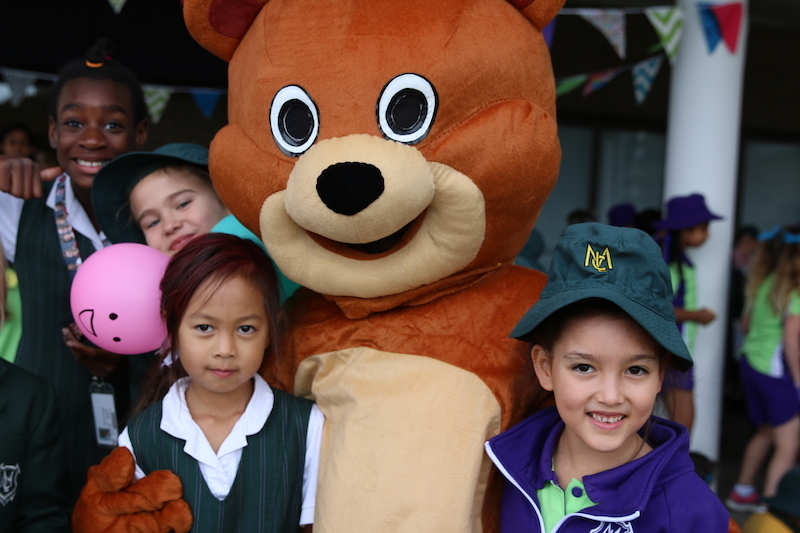 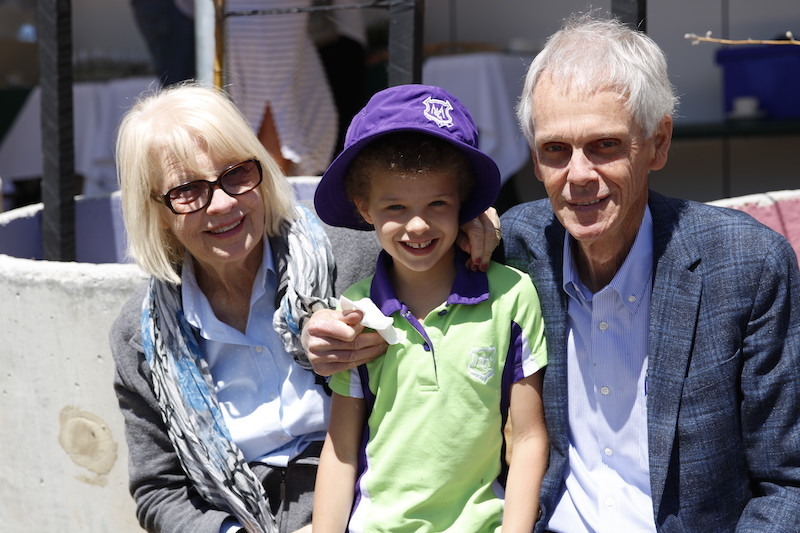 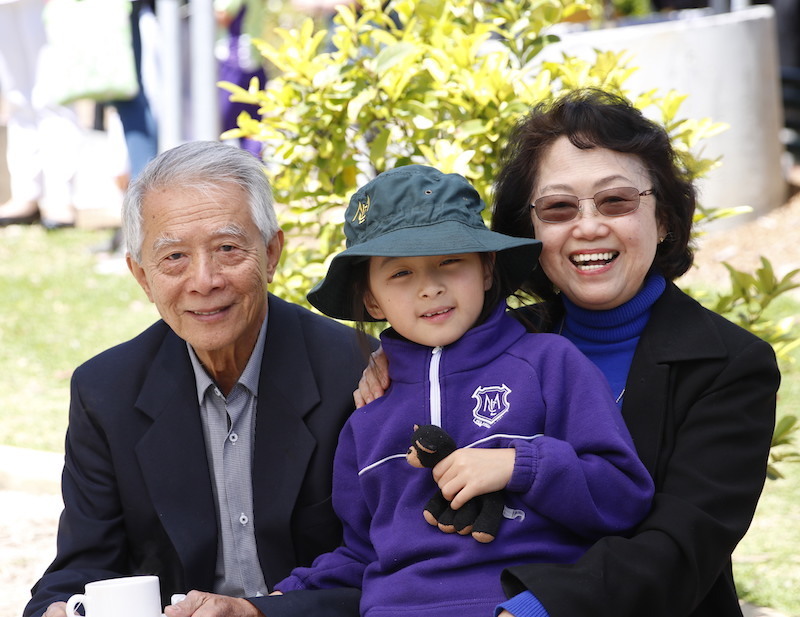 Grandparents and special friends of our Kindergarten-Year 2 students visited MLC for a picnic in the playground. 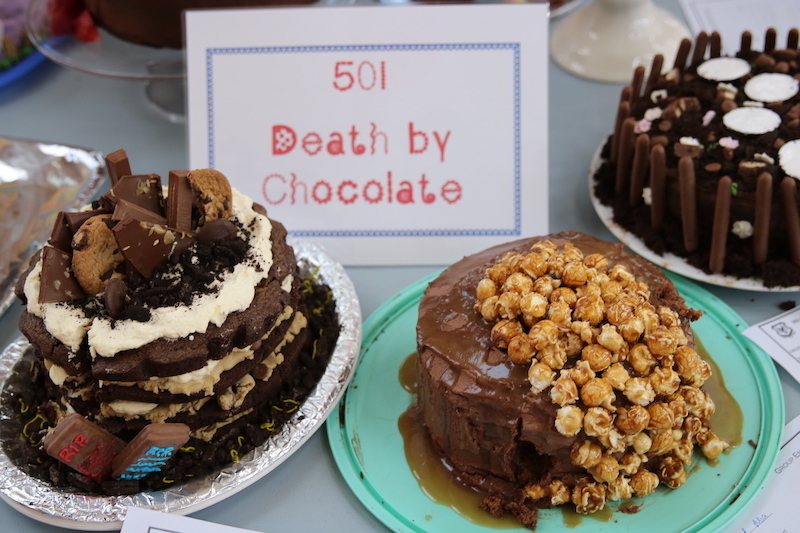 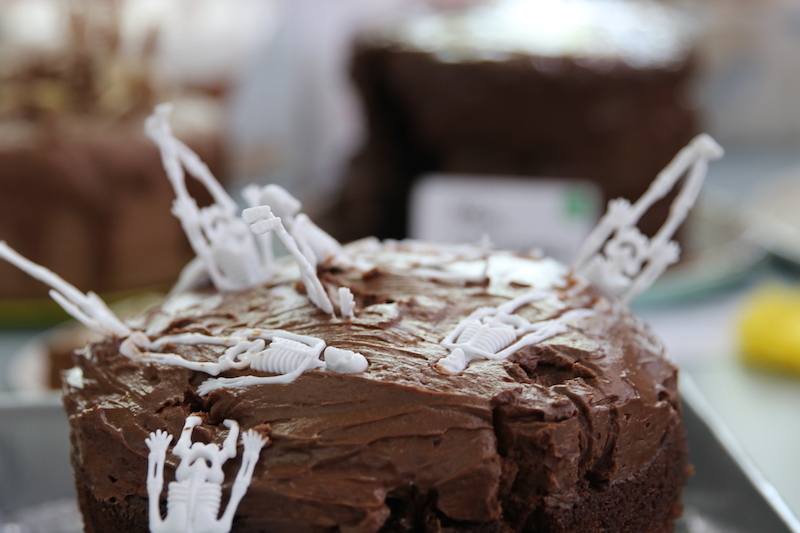 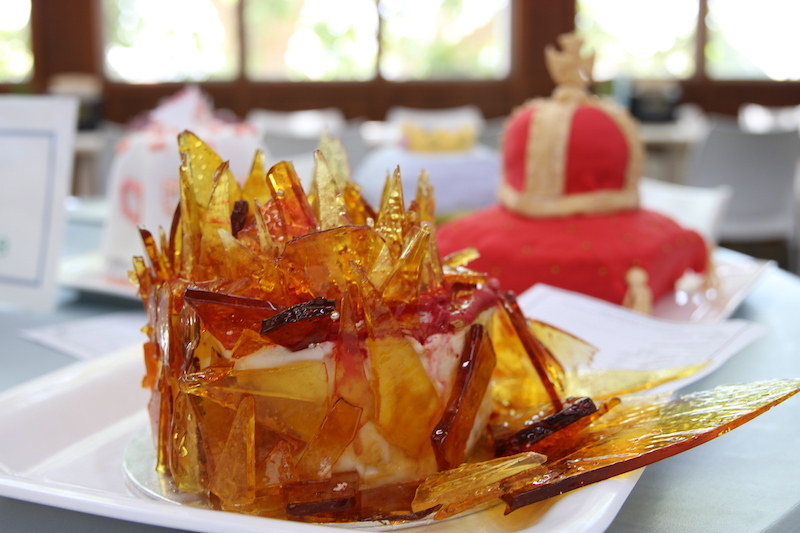 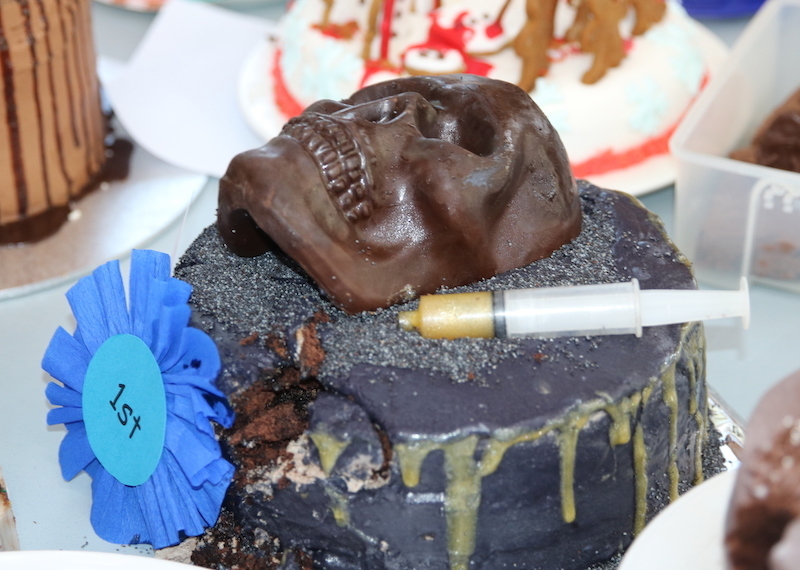 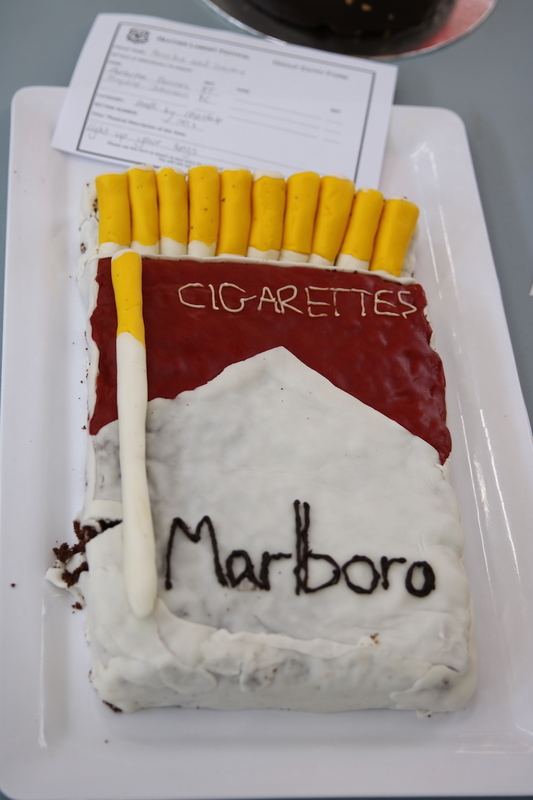 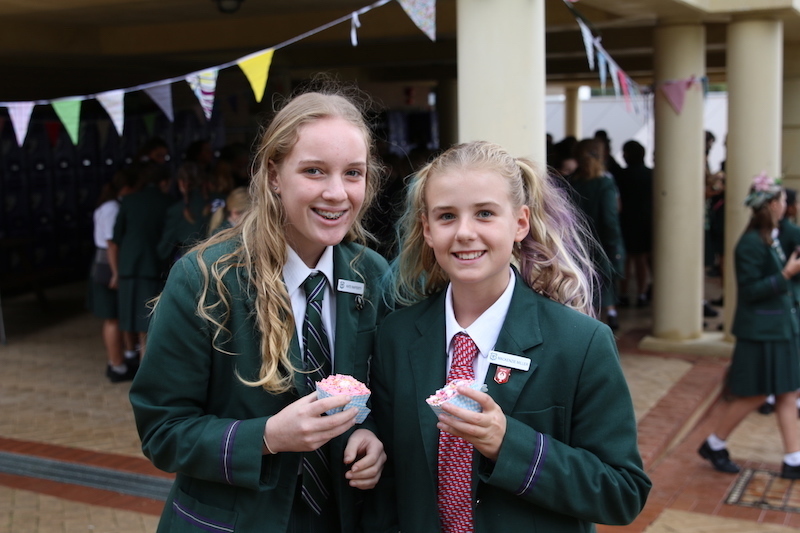 From dance to photography, cake decorating to recycled fashion, Heather Lamont is a day to celebrate creativity and the Arts at MLC. 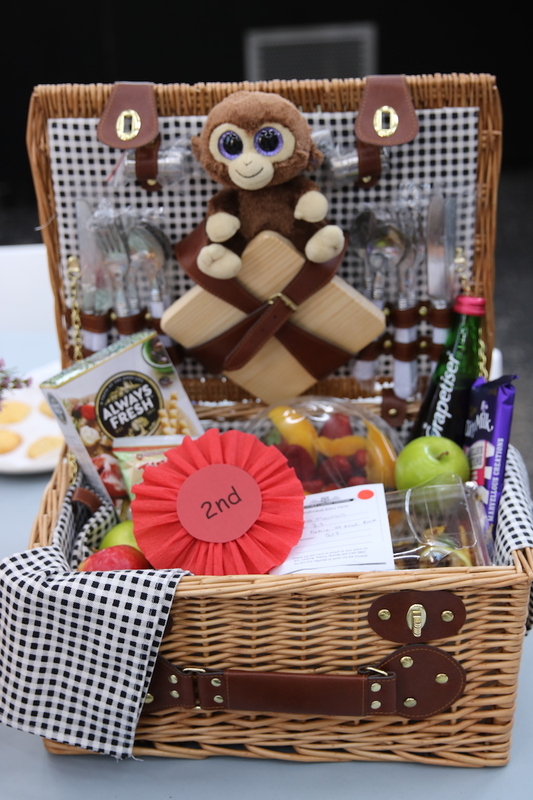 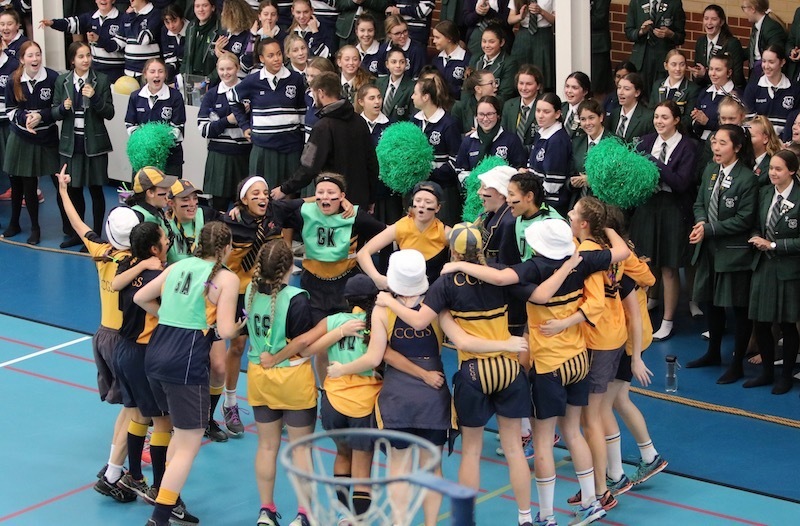 Congratulations to all our girls (and staff) who entered an item or performed in one of the many categories today. 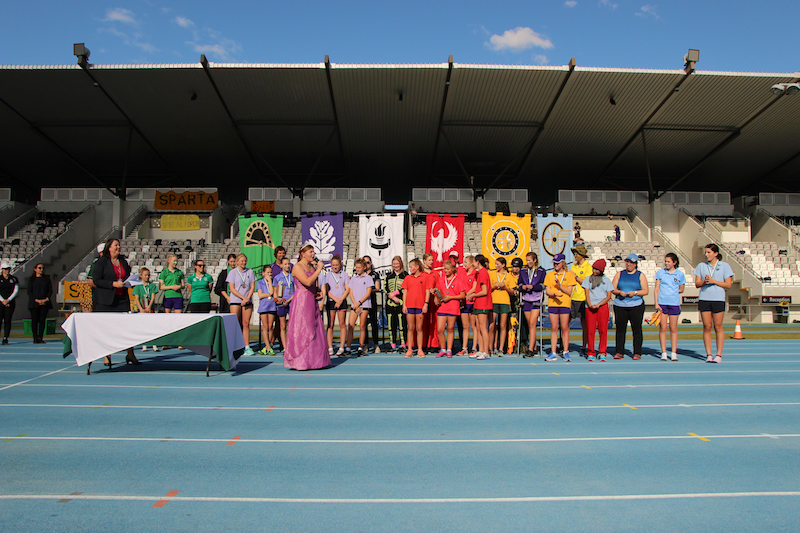 A special congratulations to Rome who were the overall champion House and Troy for receiving the Spirit Cape. 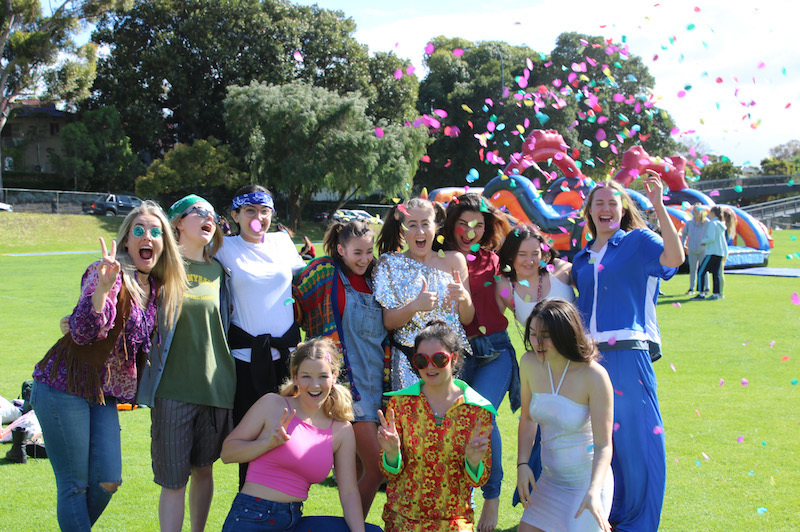 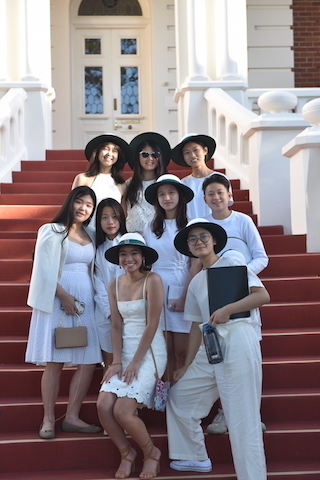 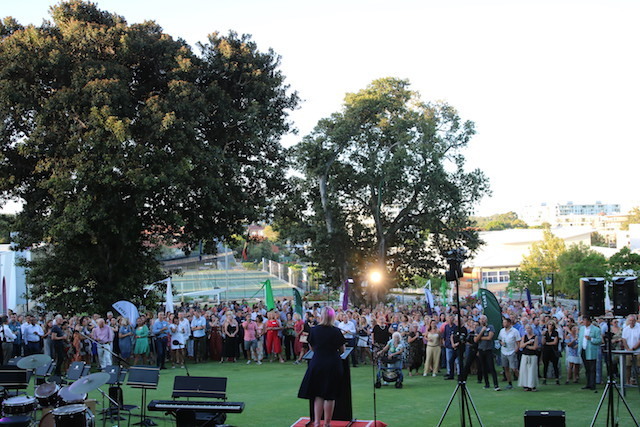 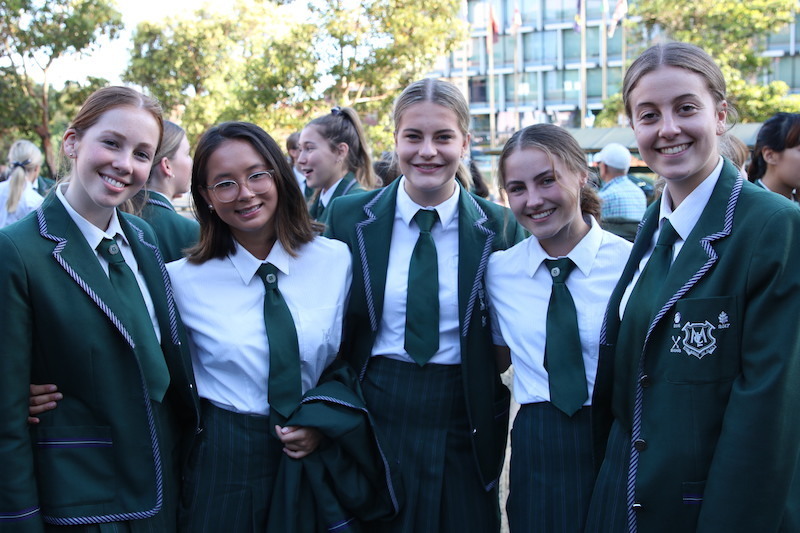 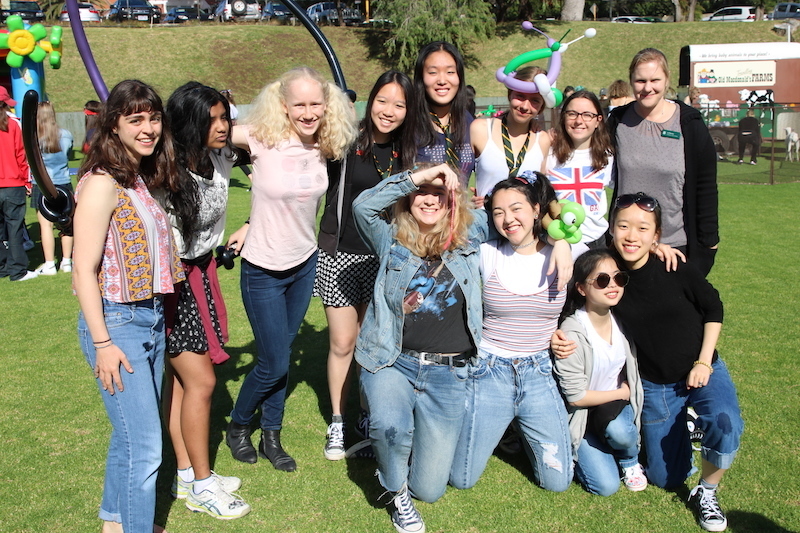 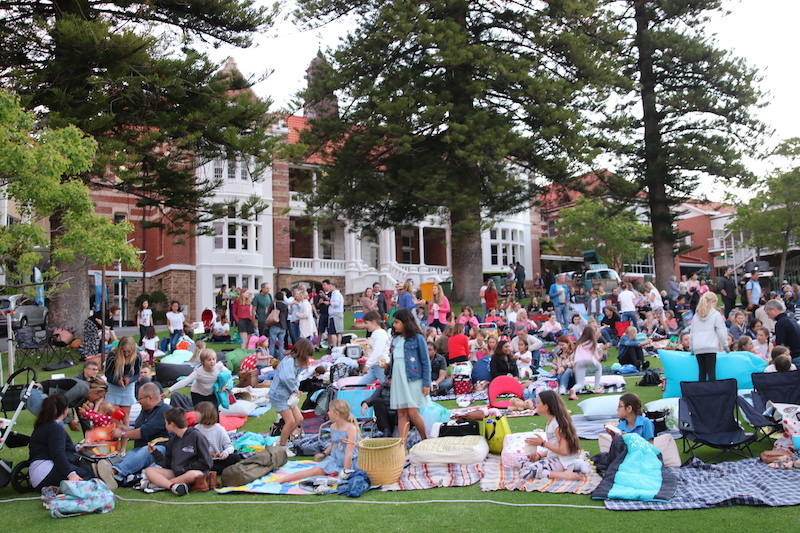 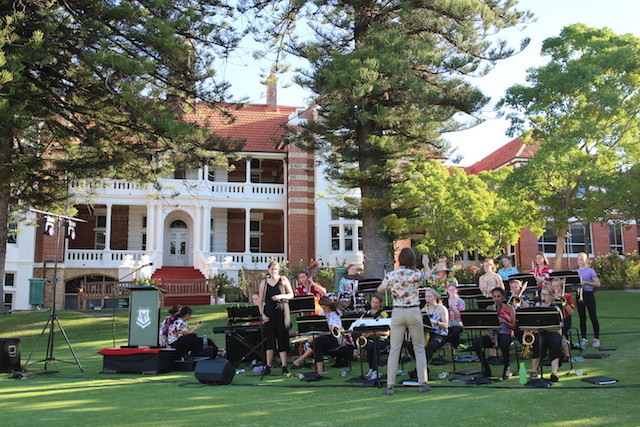 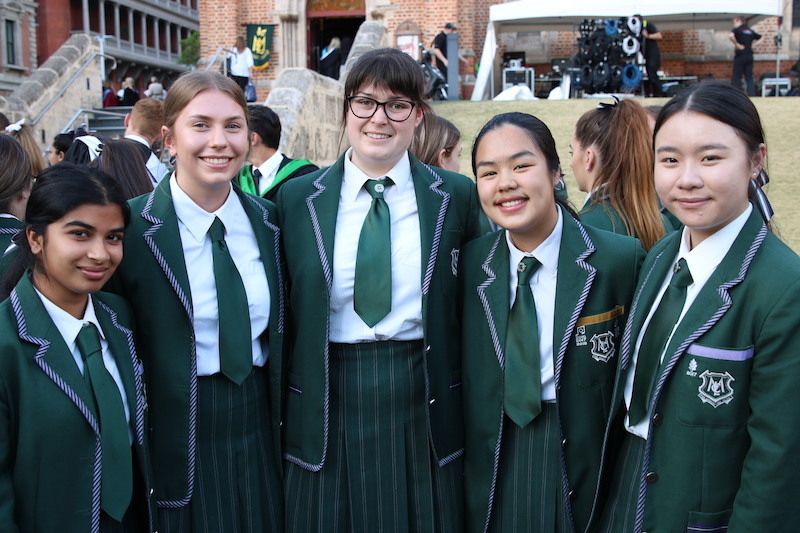 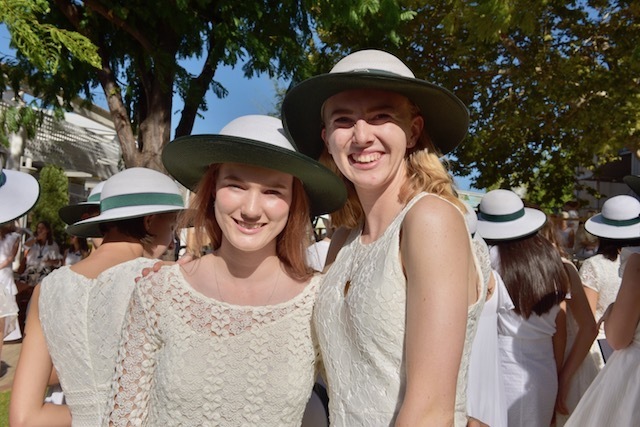 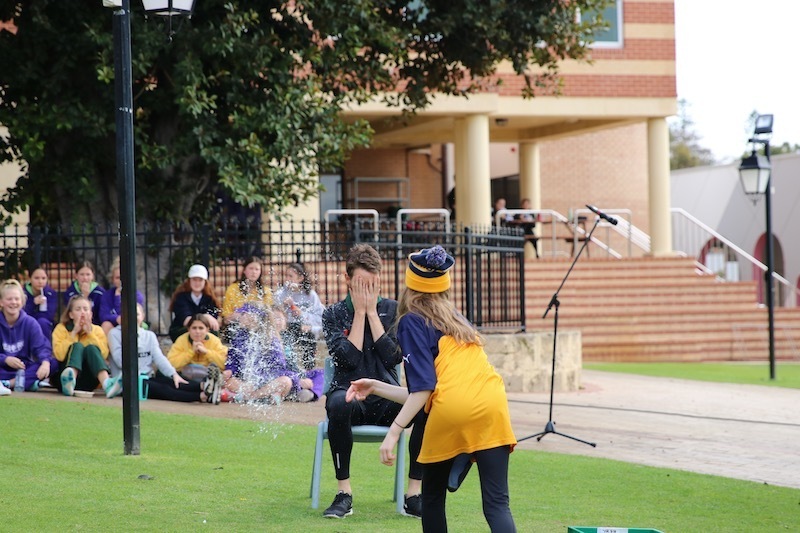 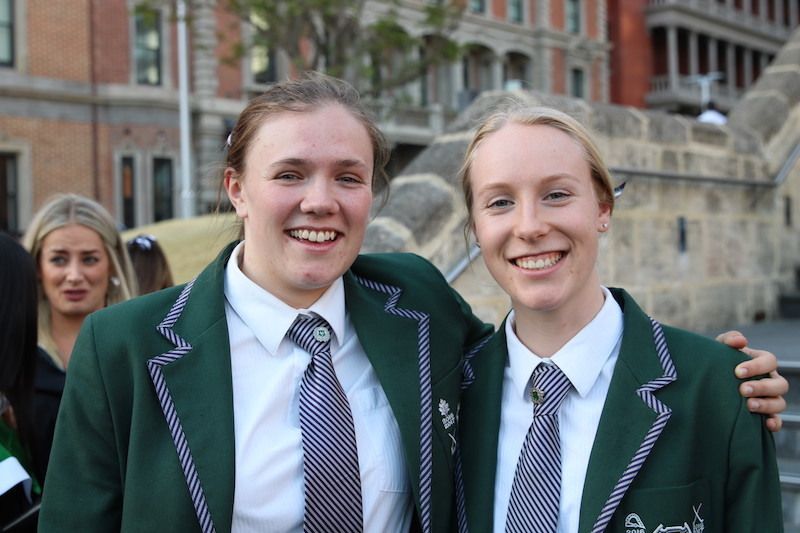 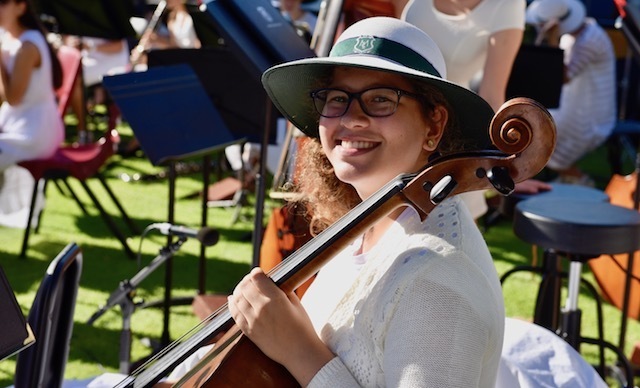 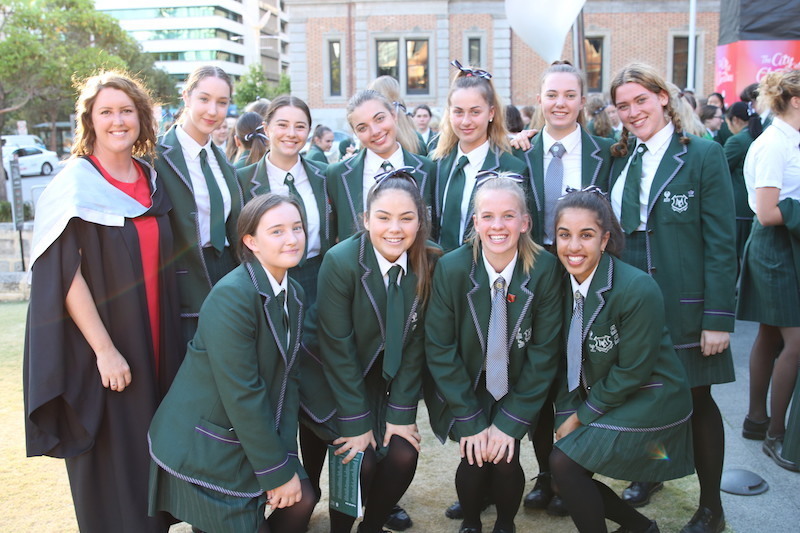 Our Year 12s celebrated their final day of formal schooling with a party on the oval followed by the Satirical and their final Farewell Assembly. 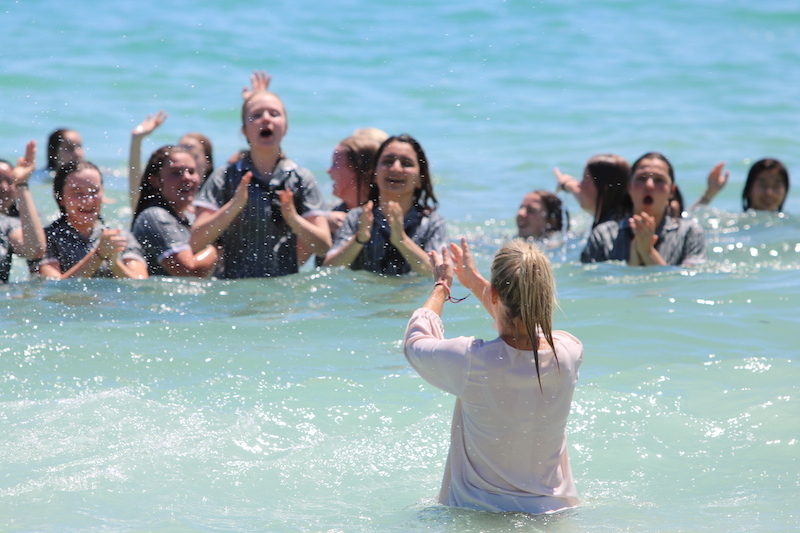 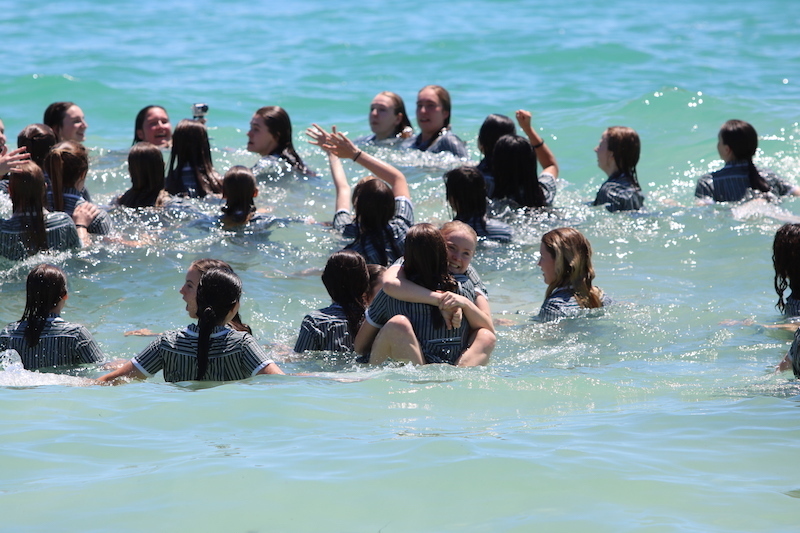 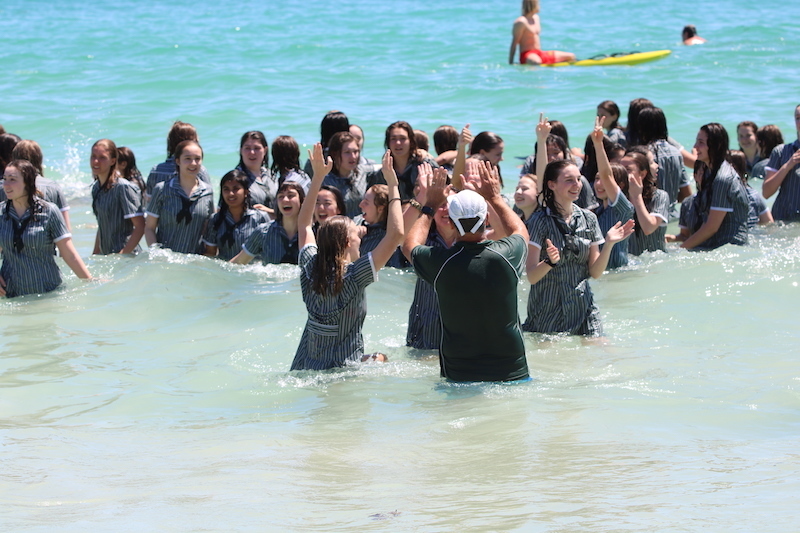 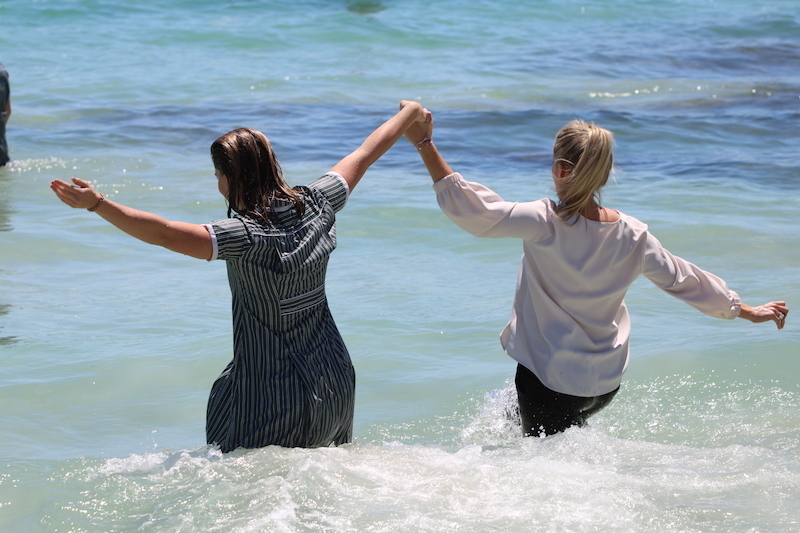 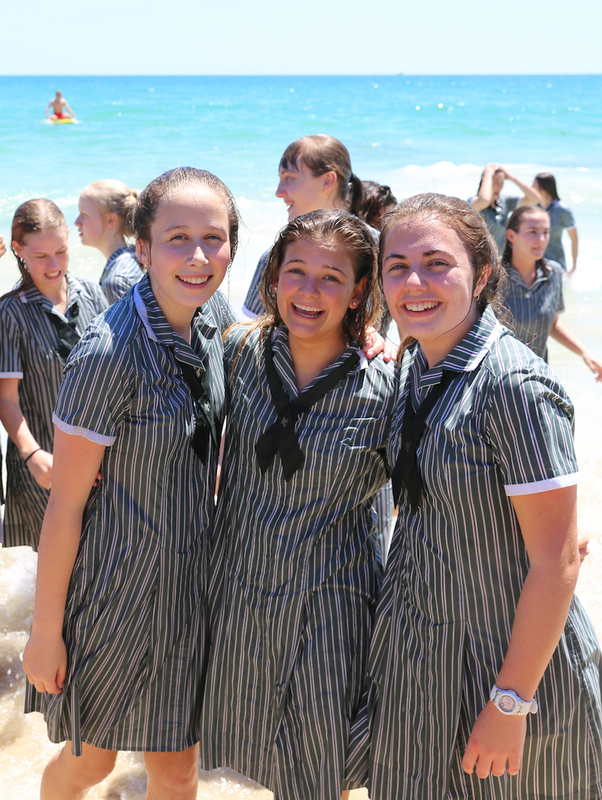 Cottesloe Beach was filled with squeals of joy as our 2018 Leavers took part in their Beach Swim. 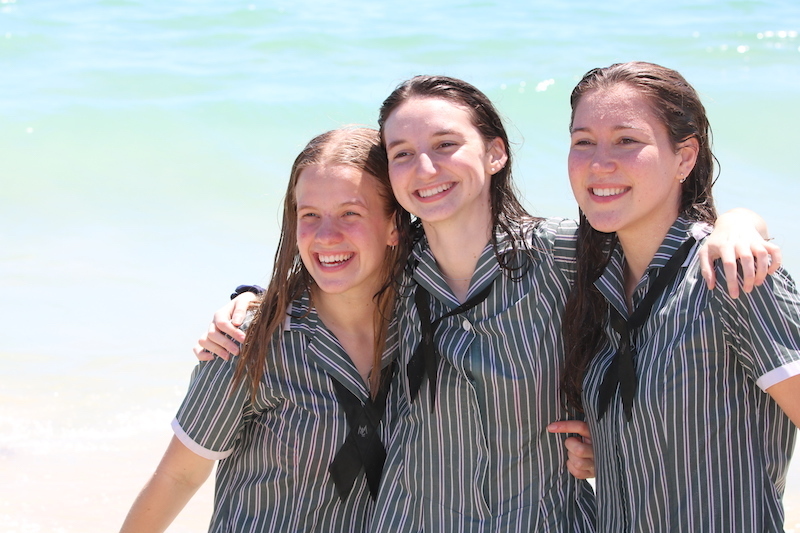 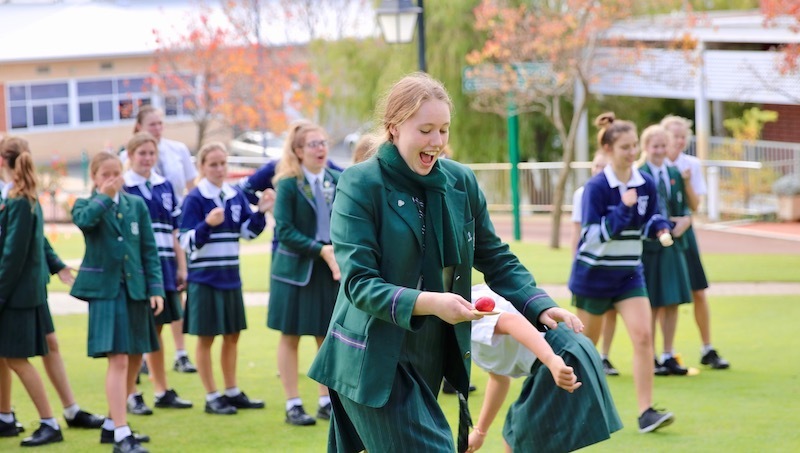 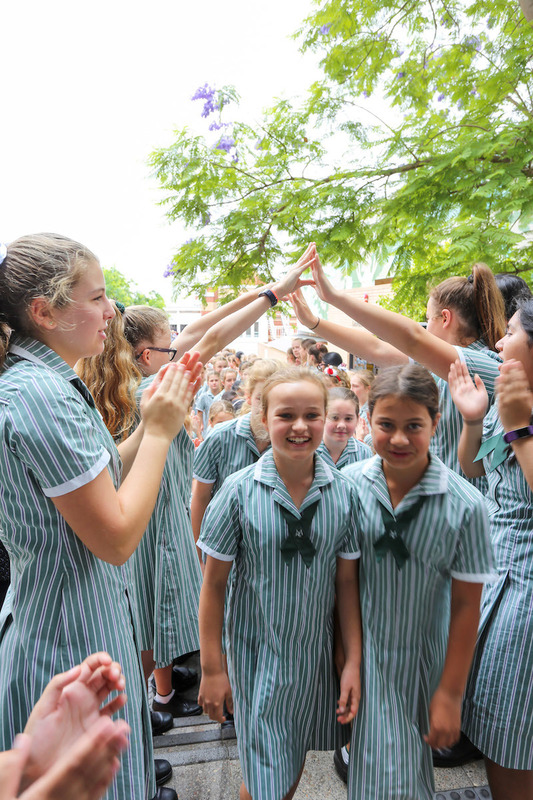 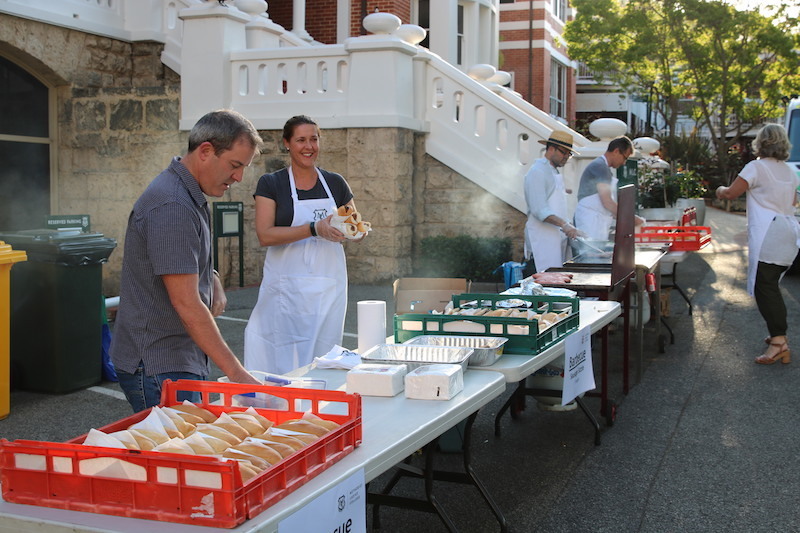 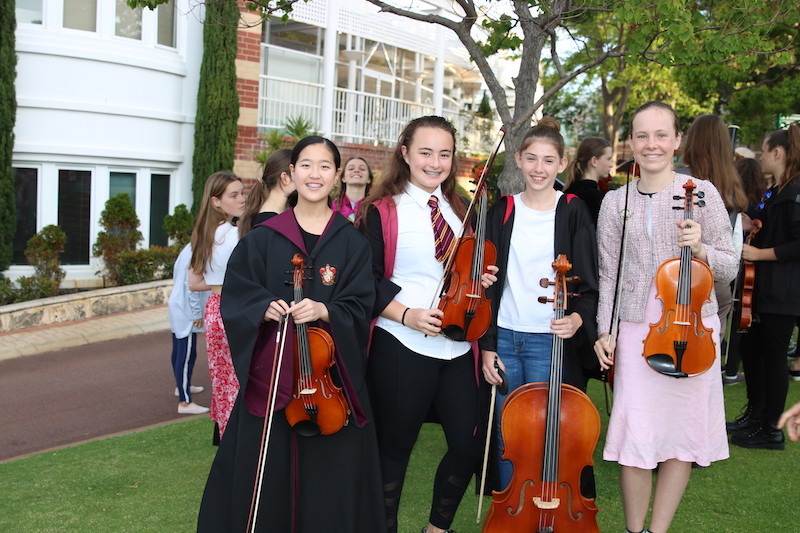 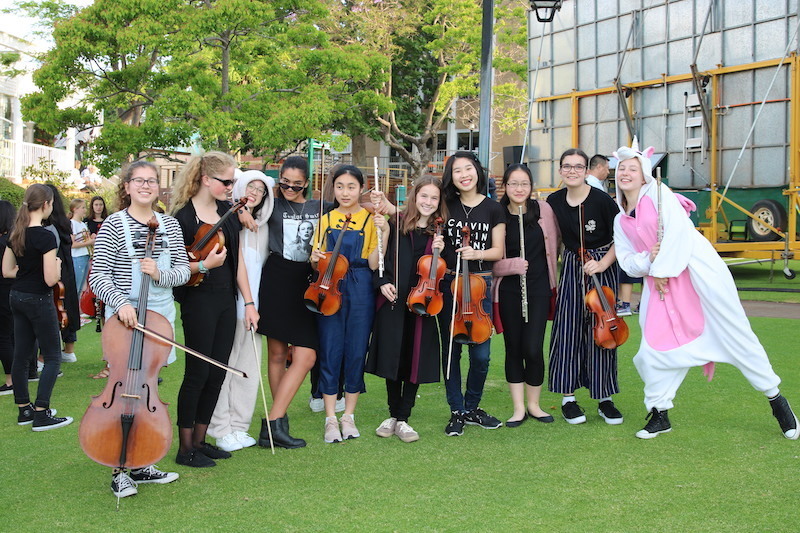 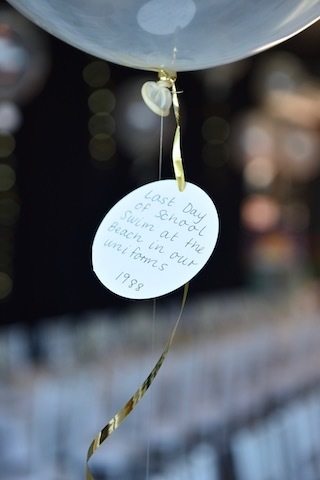 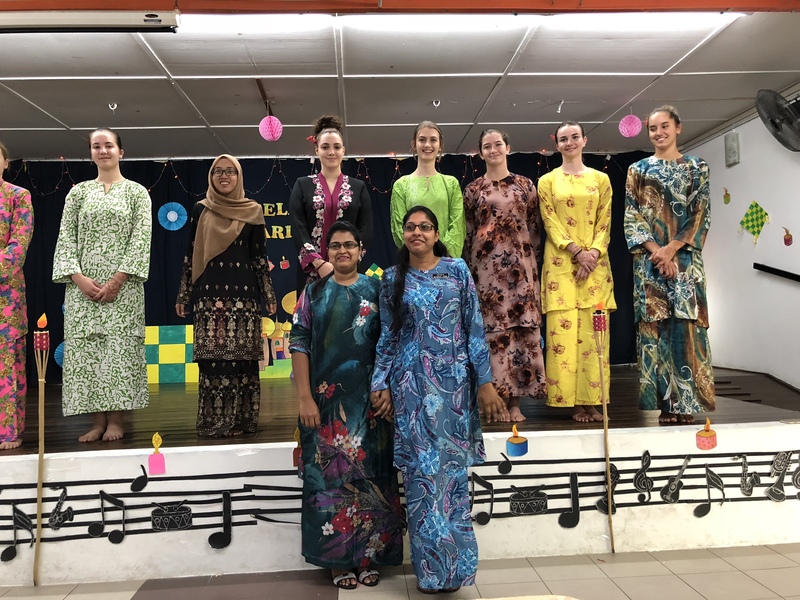 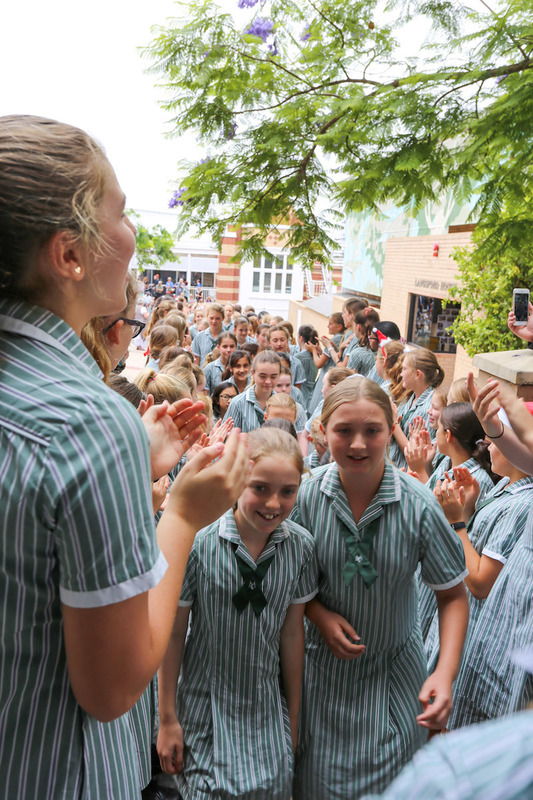 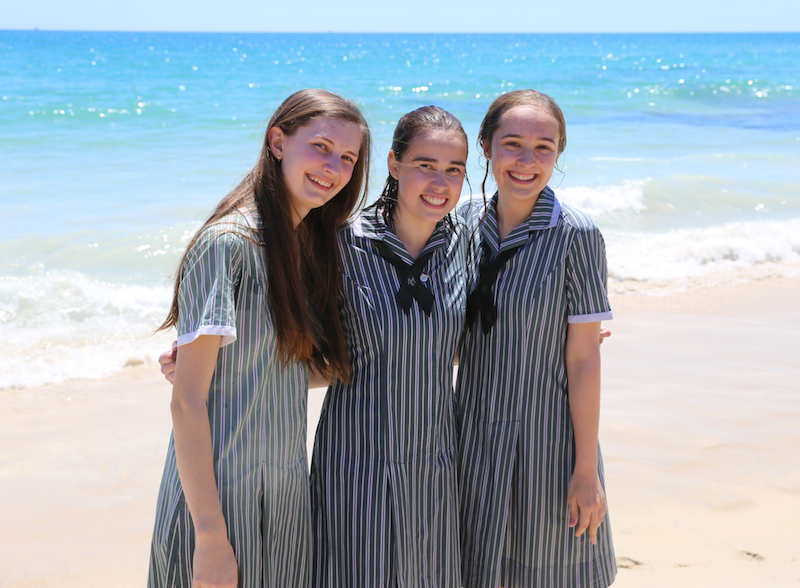 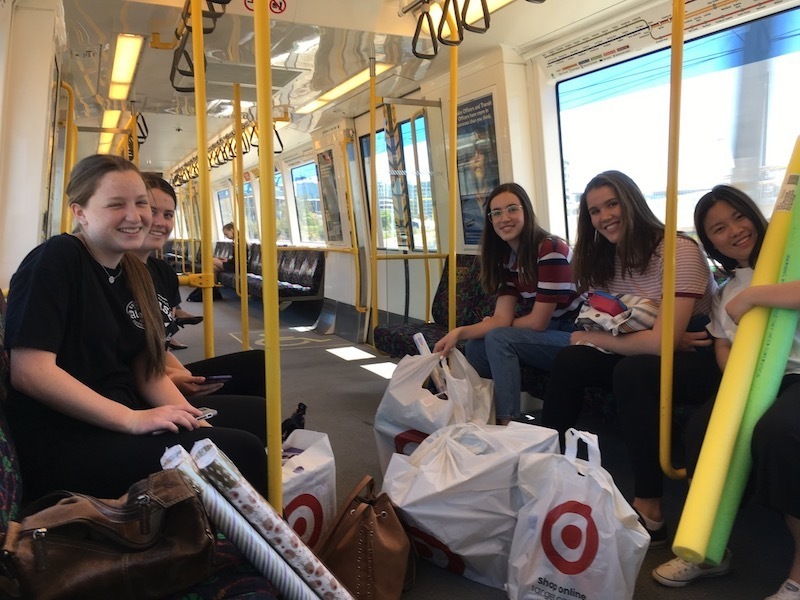 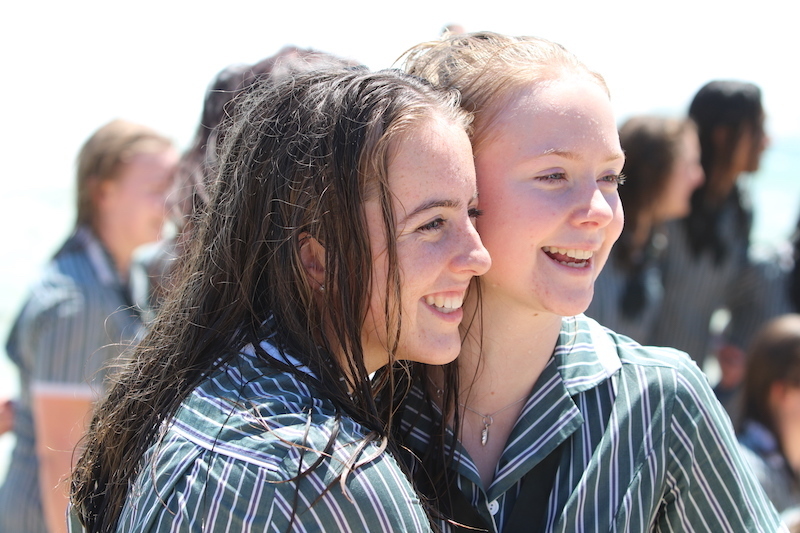 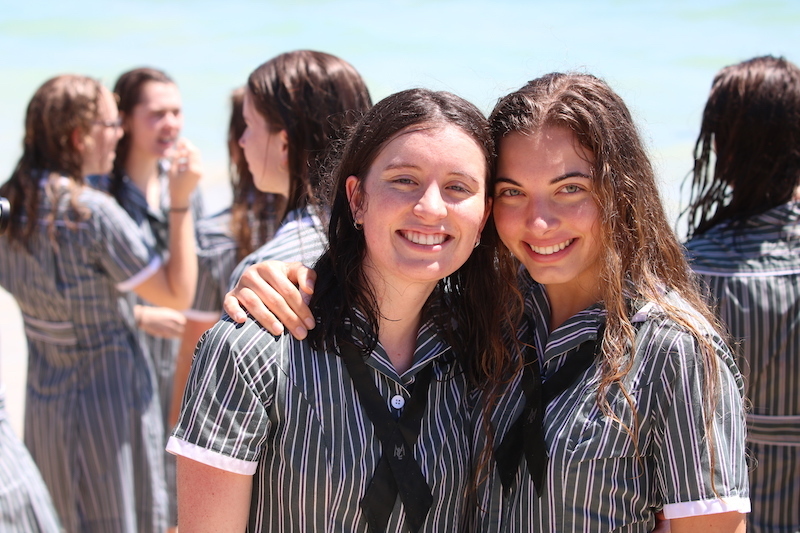 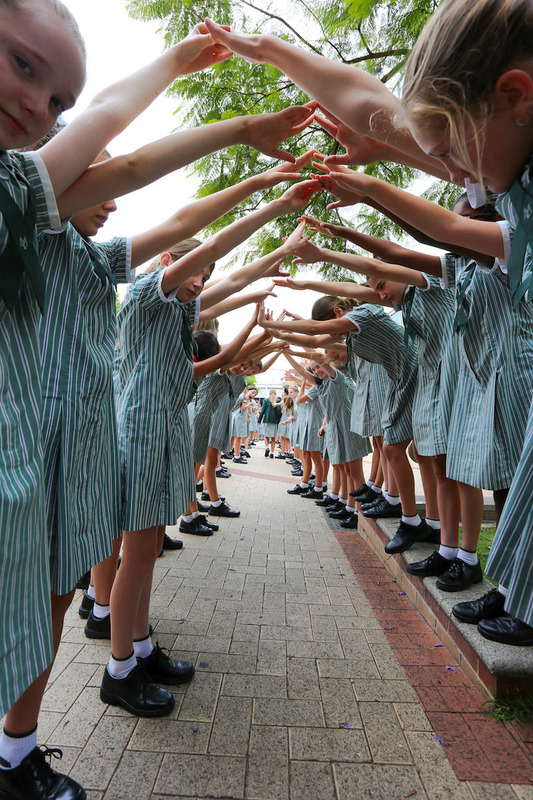 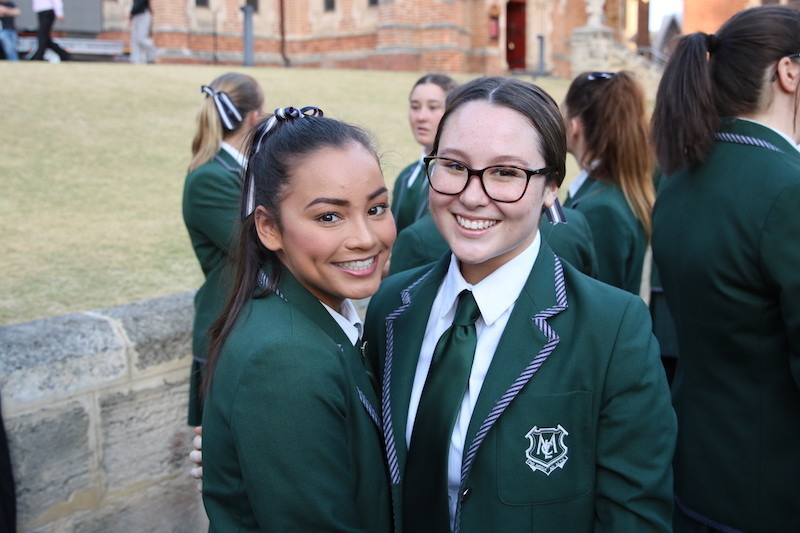 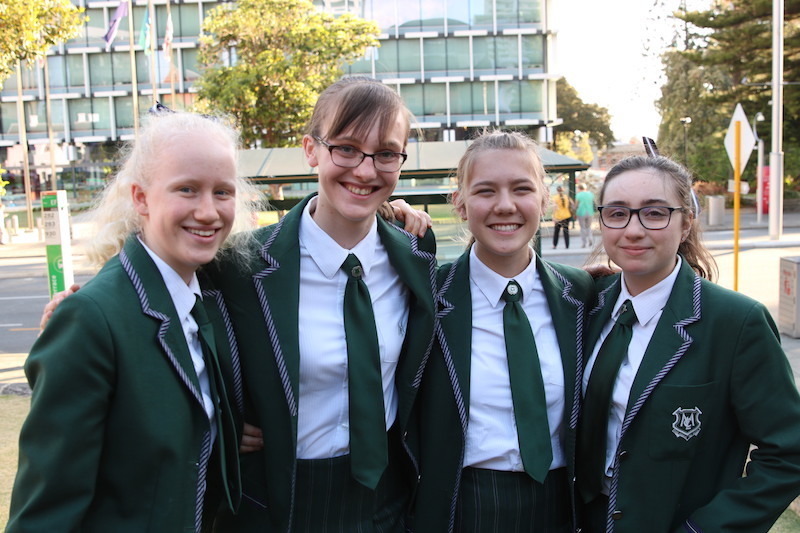 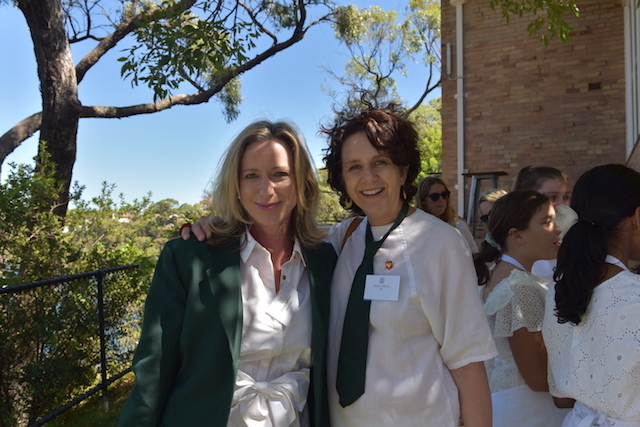 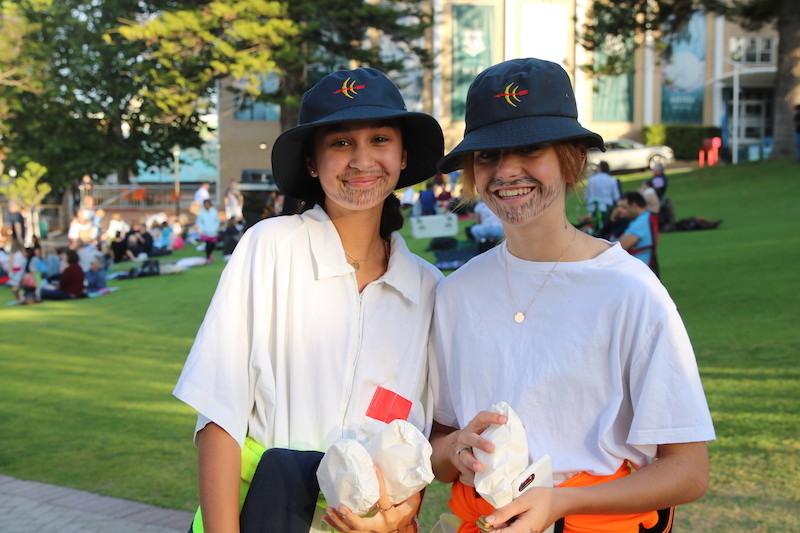 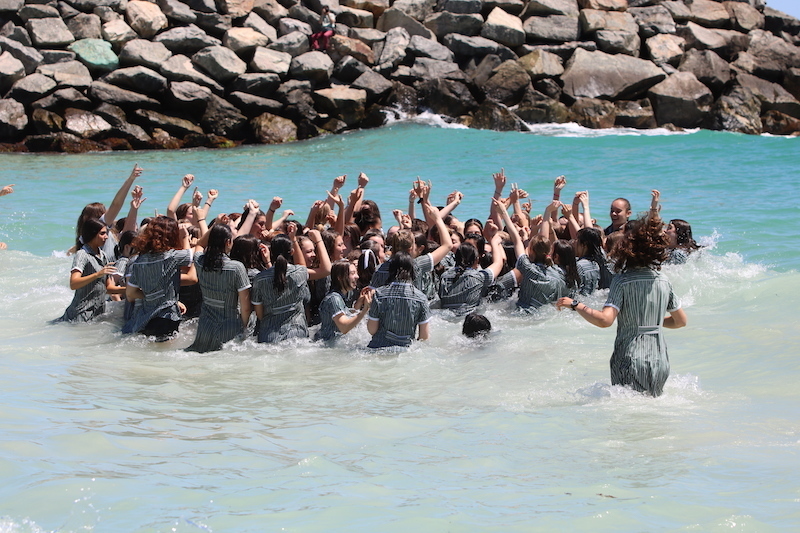 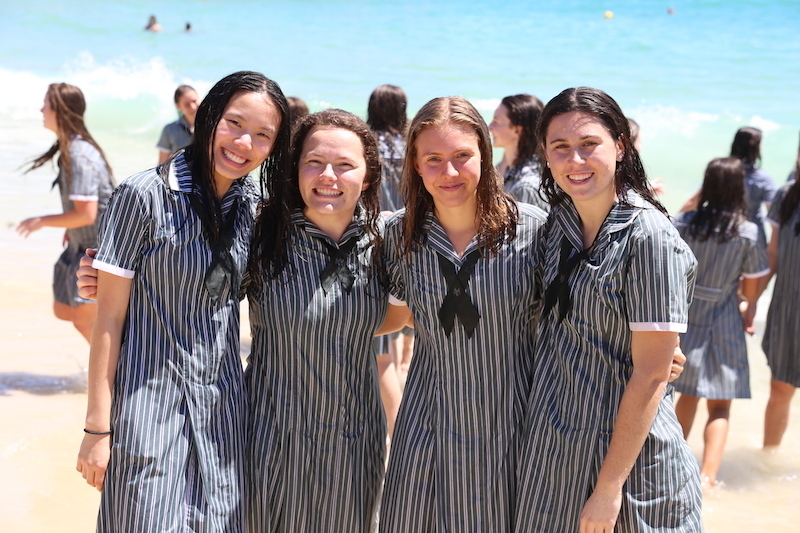 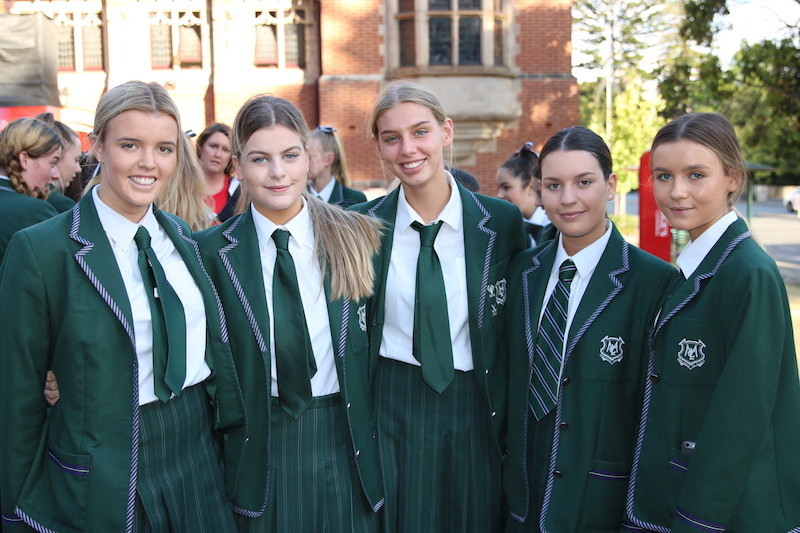 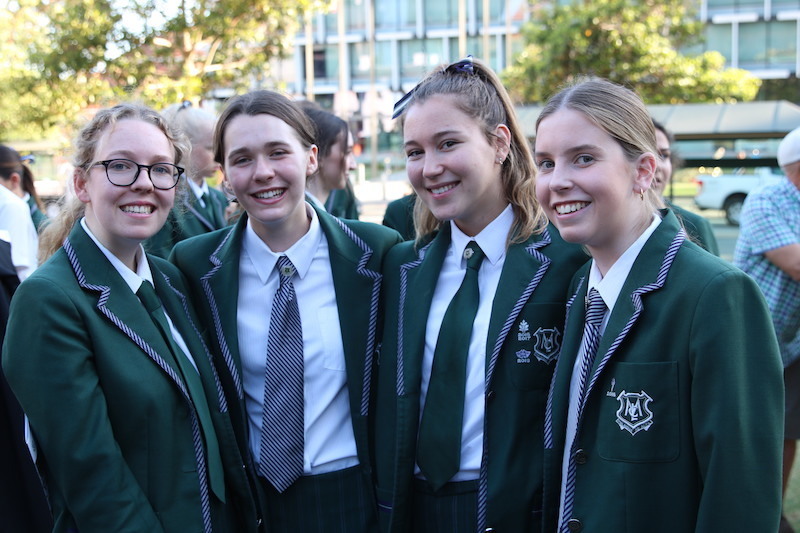 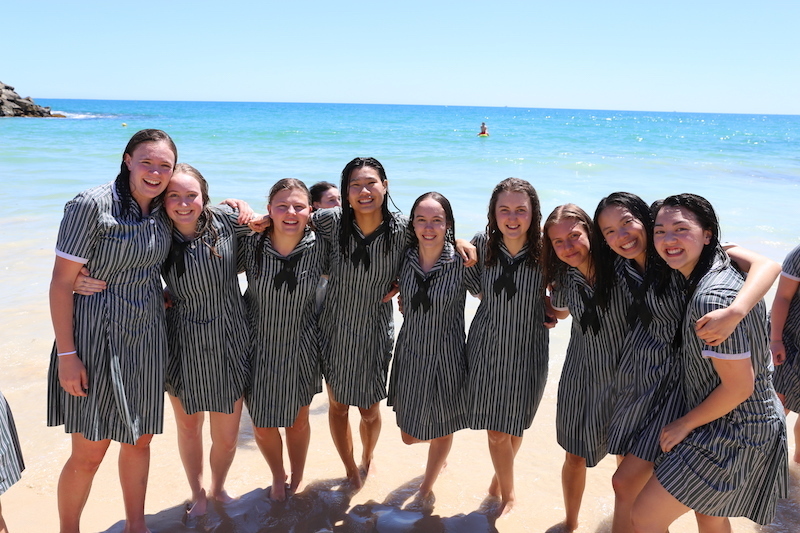 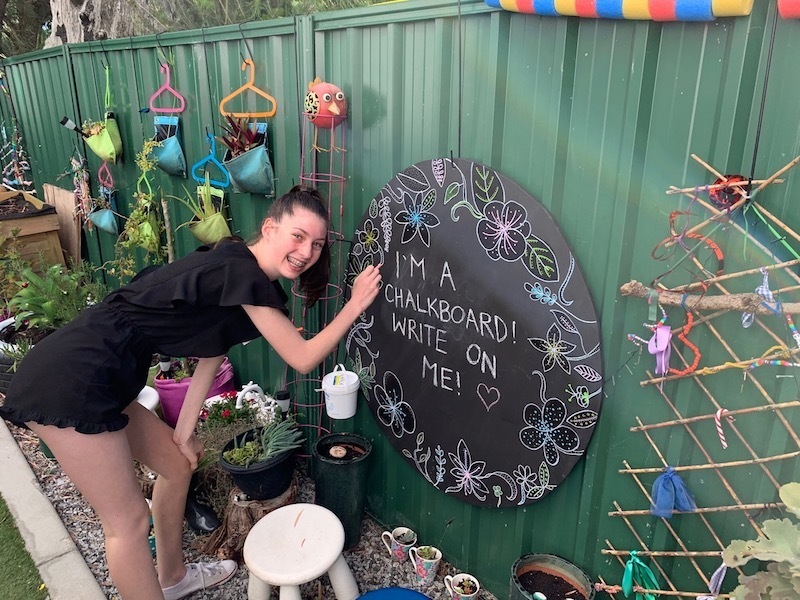 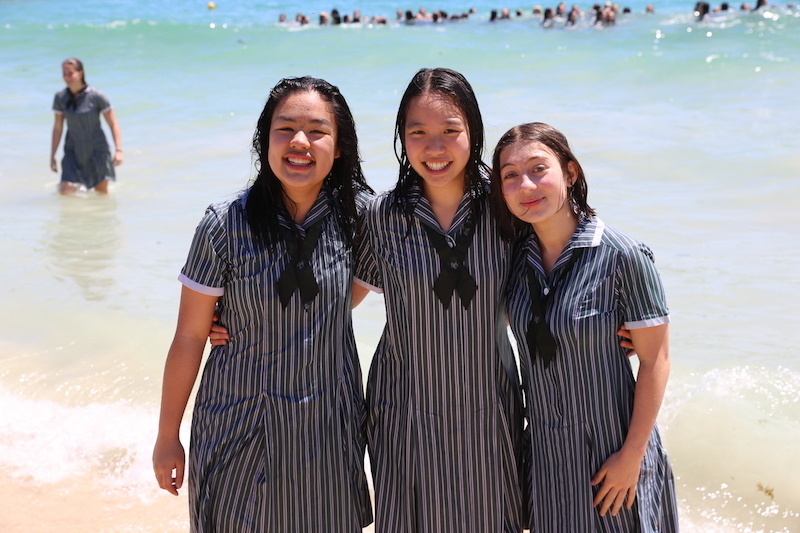 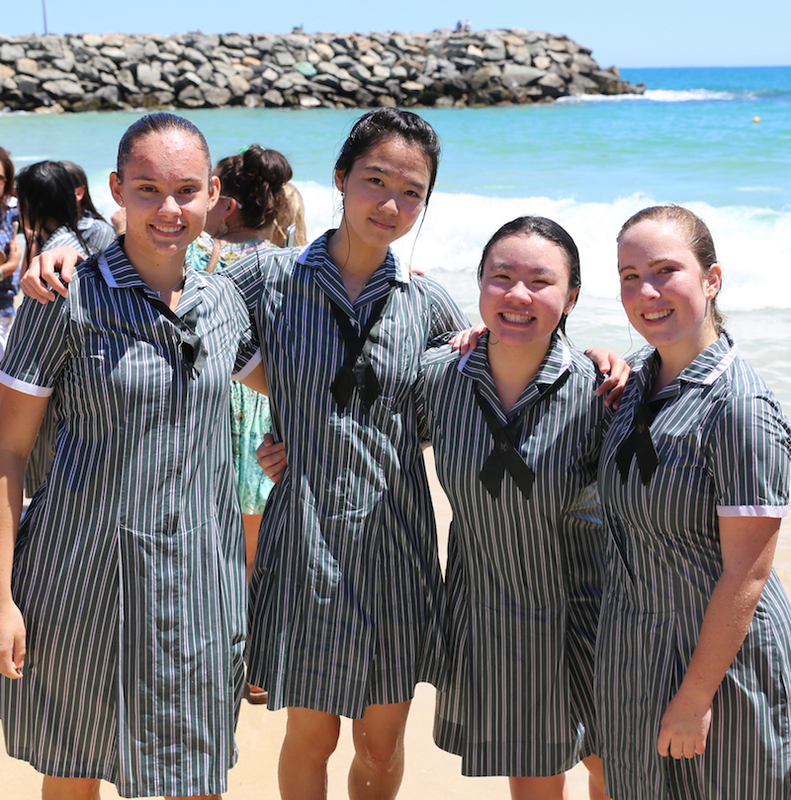 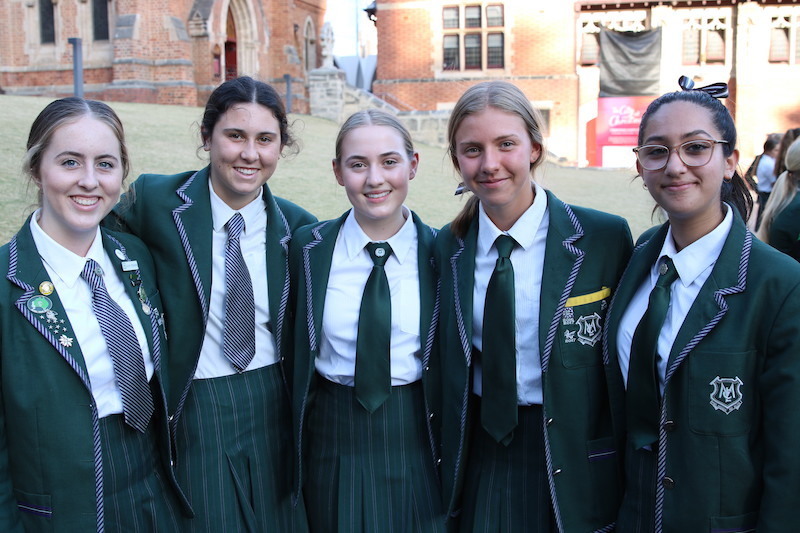 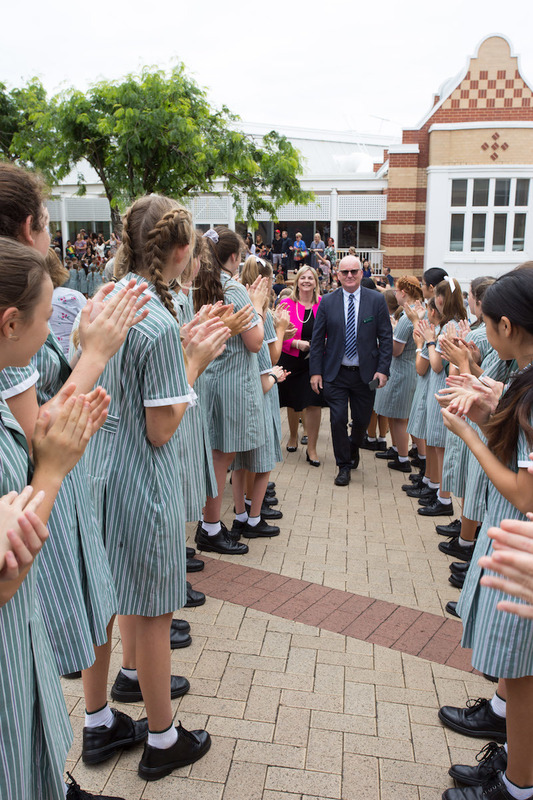 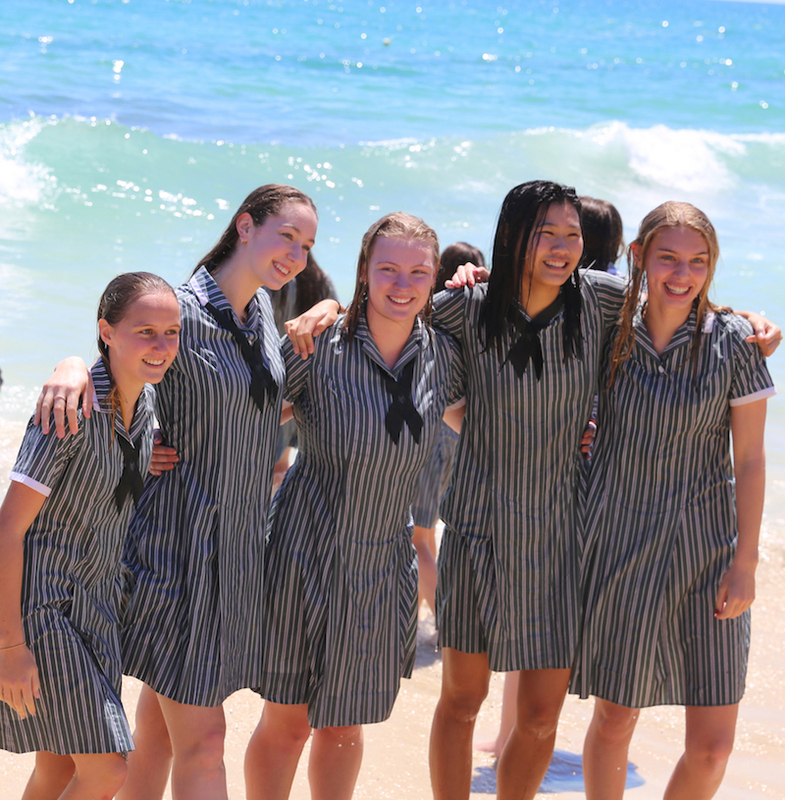 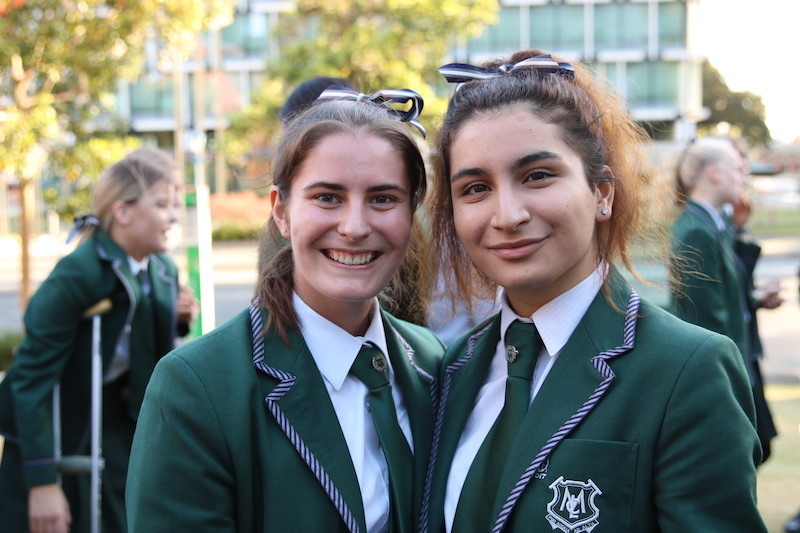 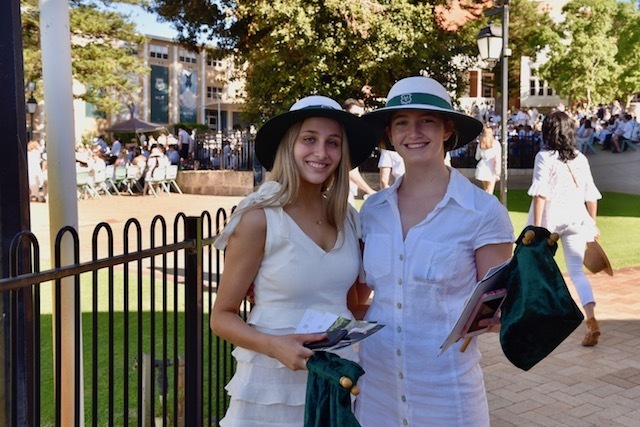 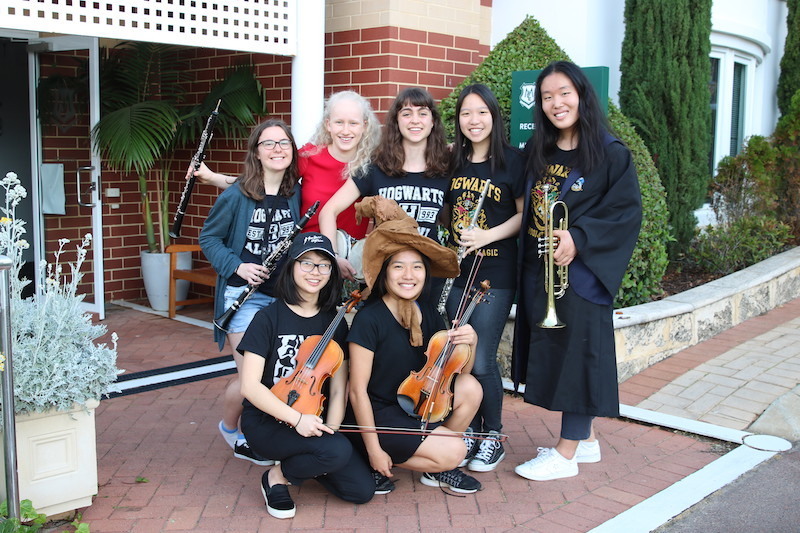 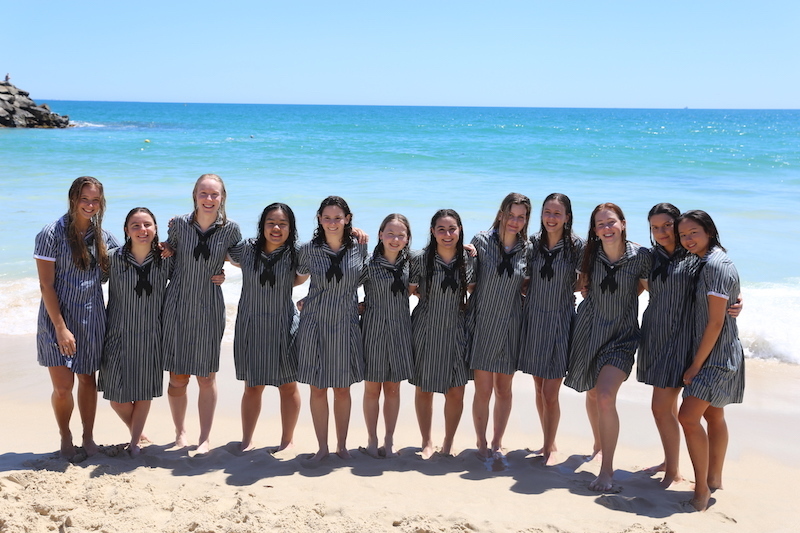 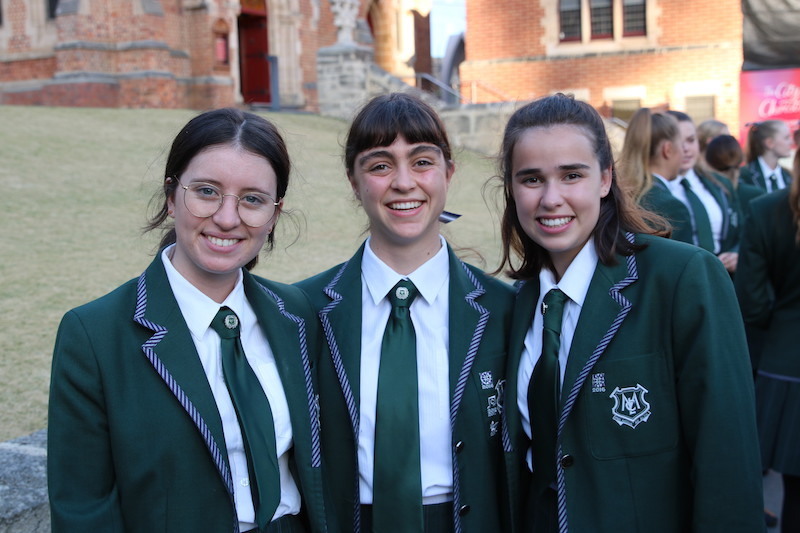 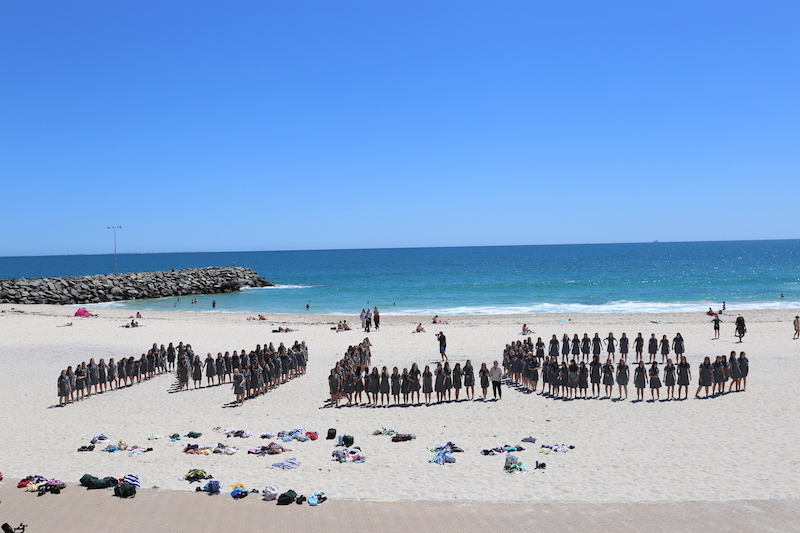 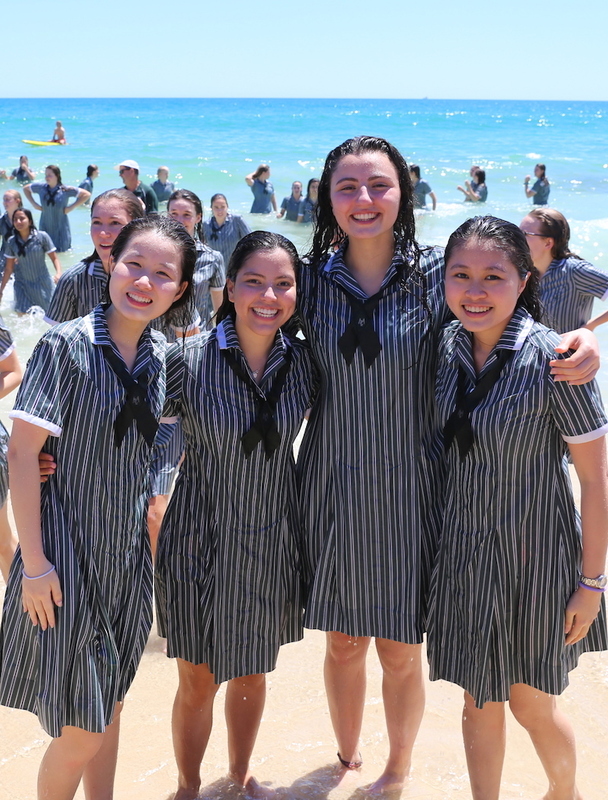 This special tradition started in the 1970s and has now become a much anticipated rite of passage for the Year 12s during their final week of school. 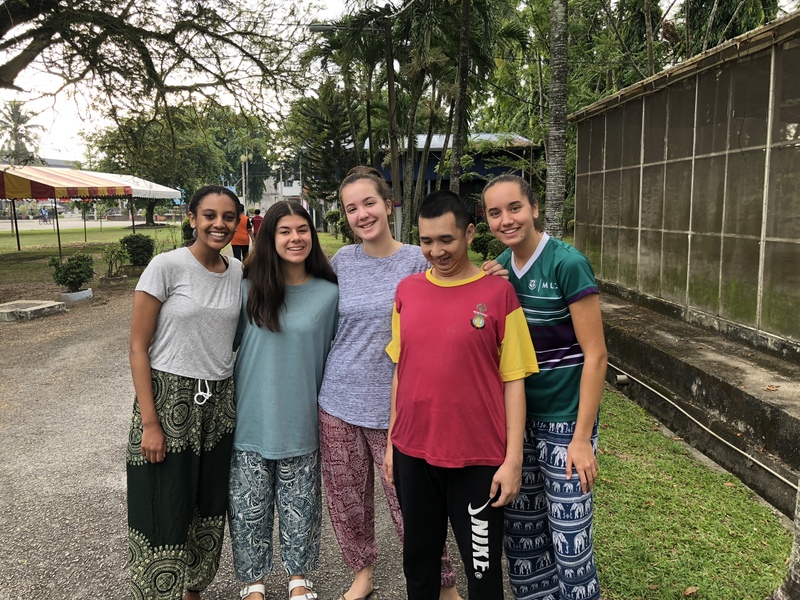 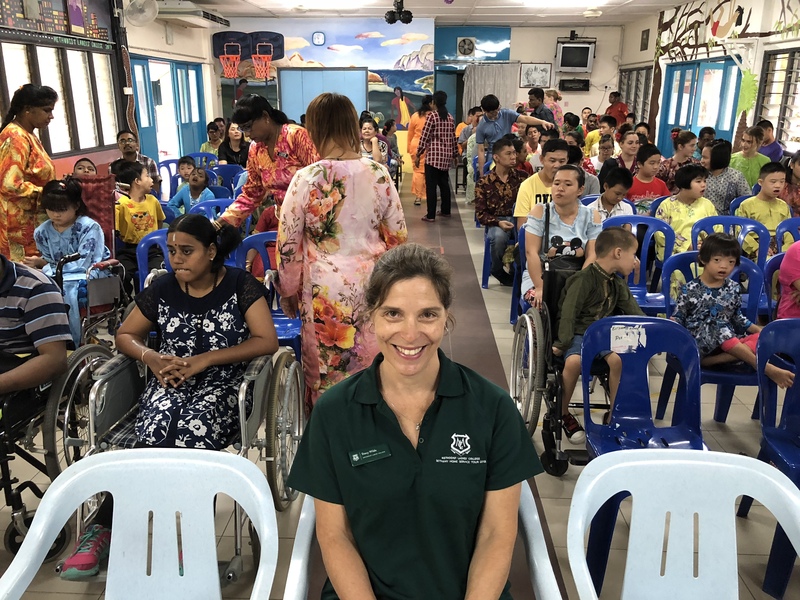 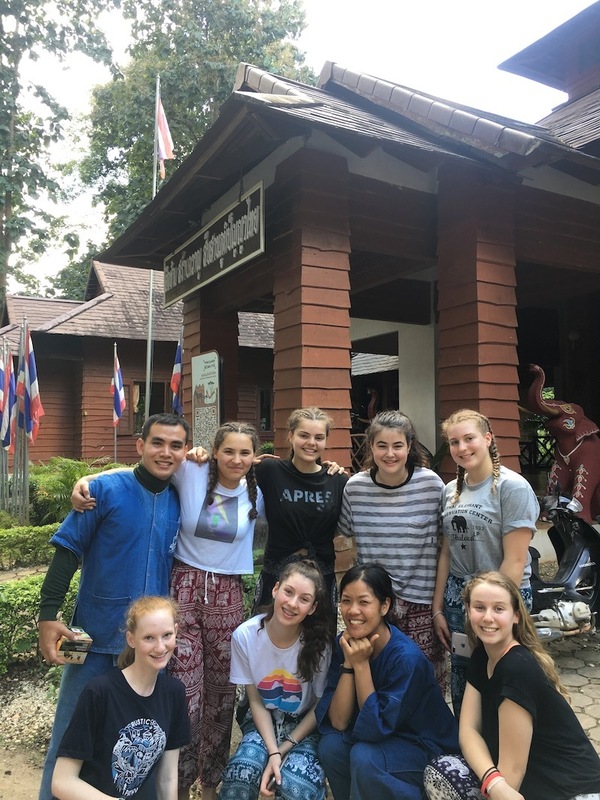 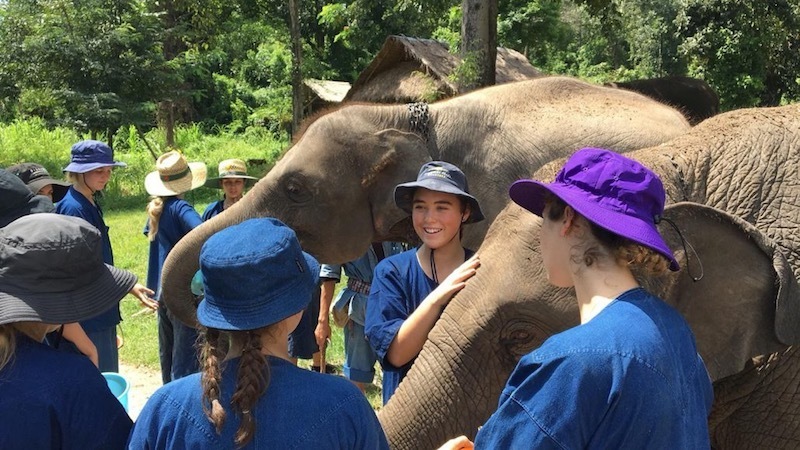 Our girls had the opportunity to experience an up close and personal week with the elephants on the Thailand Elephant Conservation service tour. 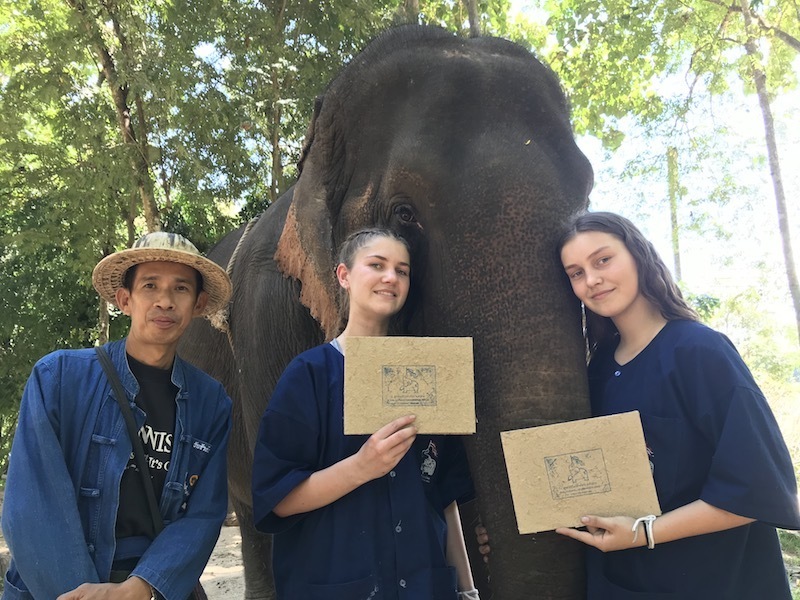 They have returned with amazing knowledge and stories of the gentle giants and a greater understanding of Thai culture. 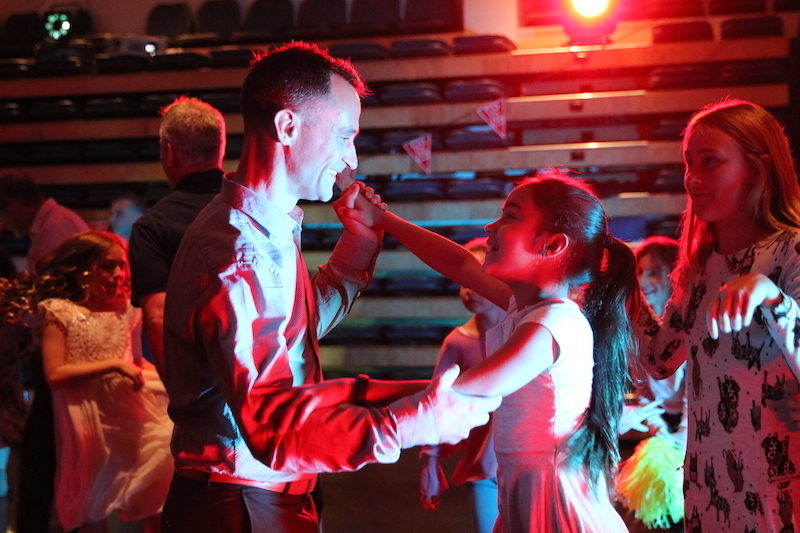 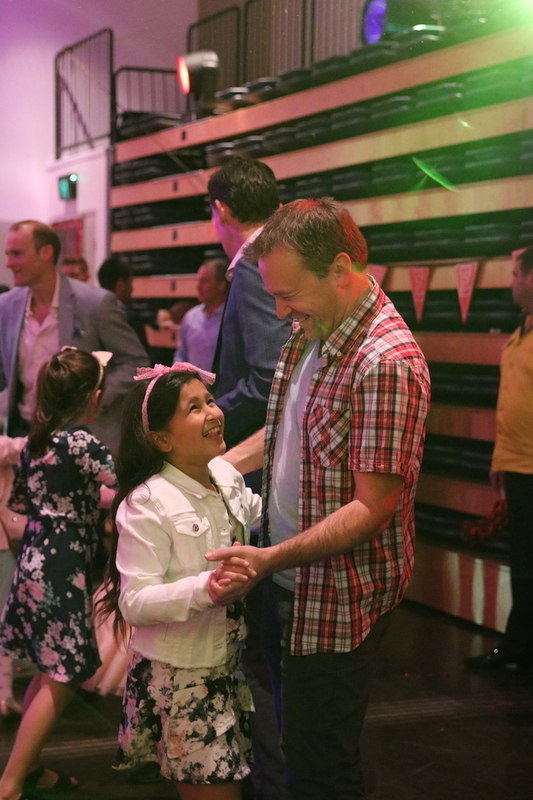 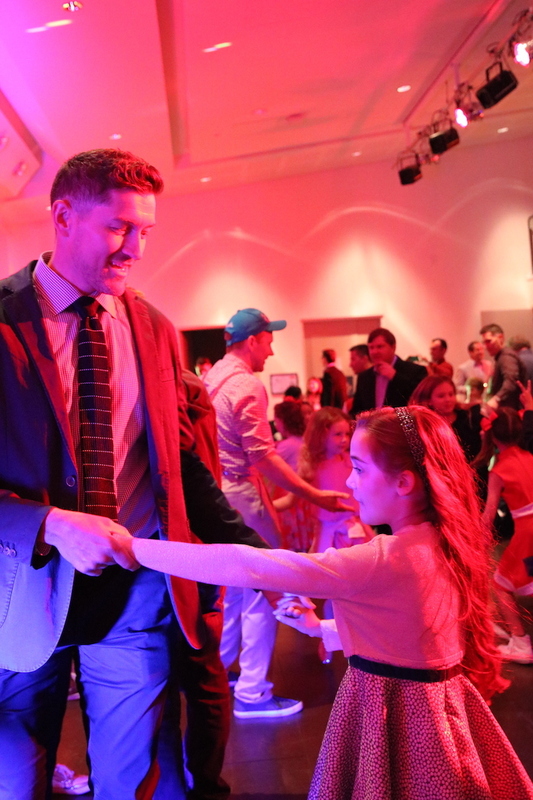 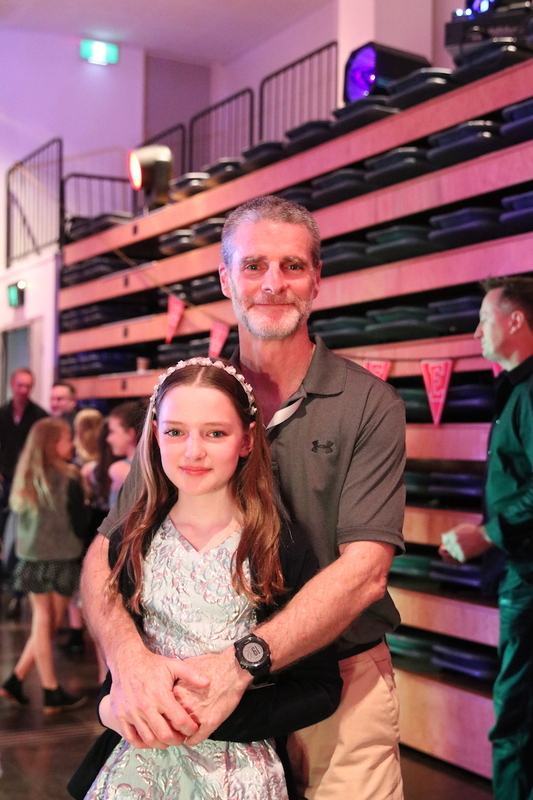 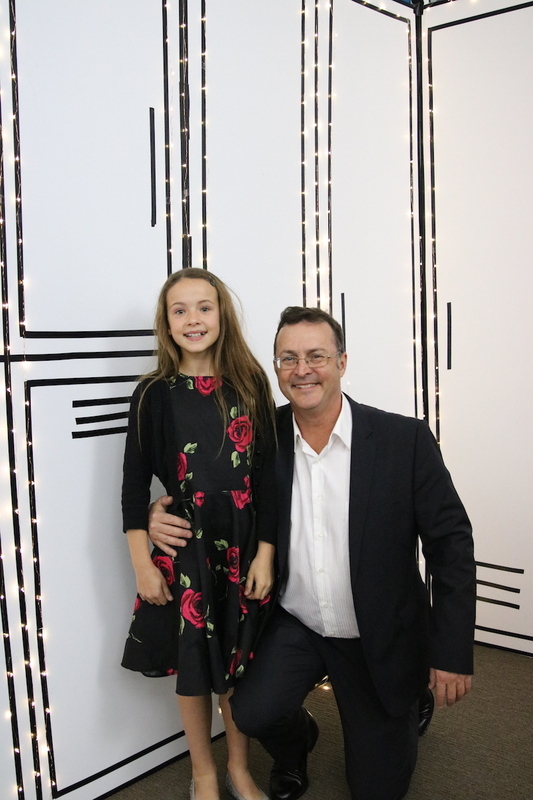 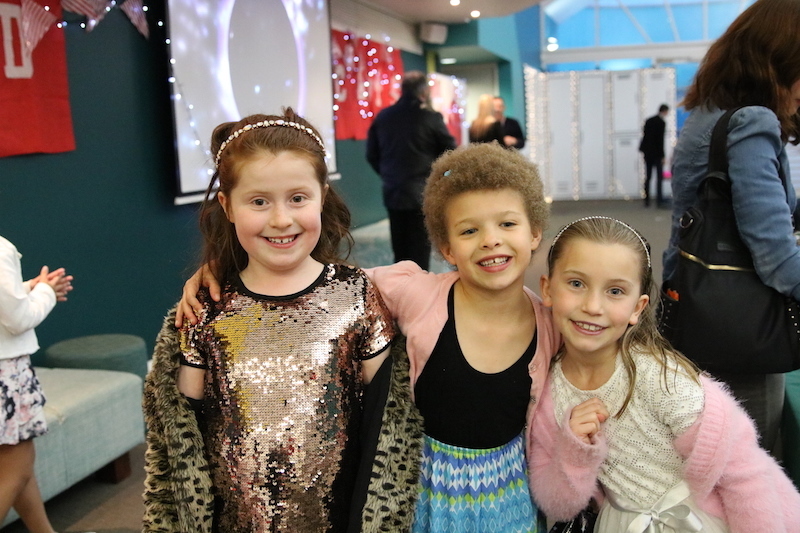 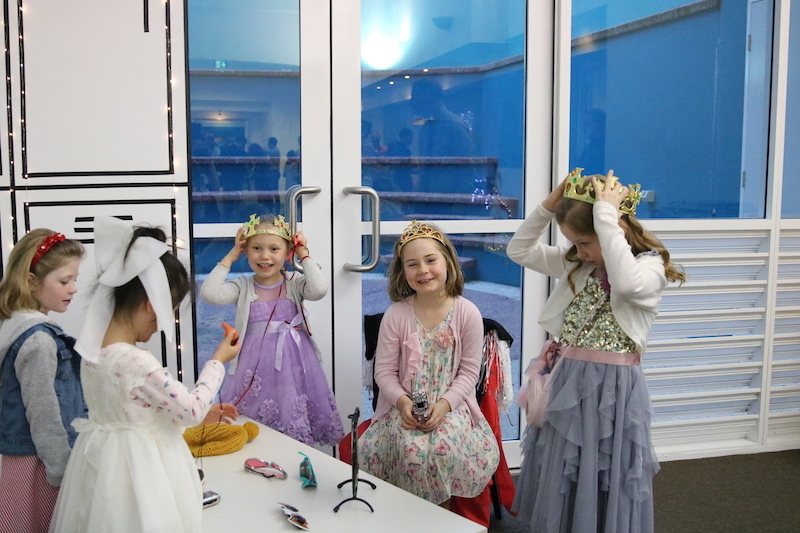 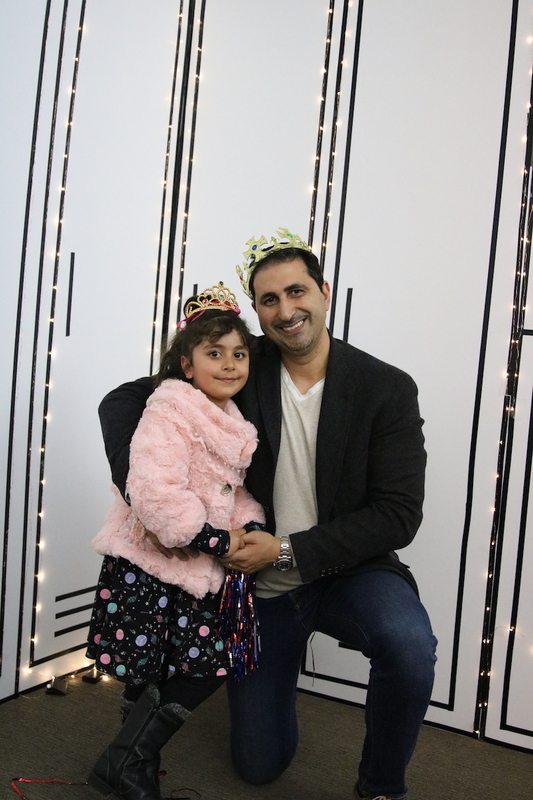 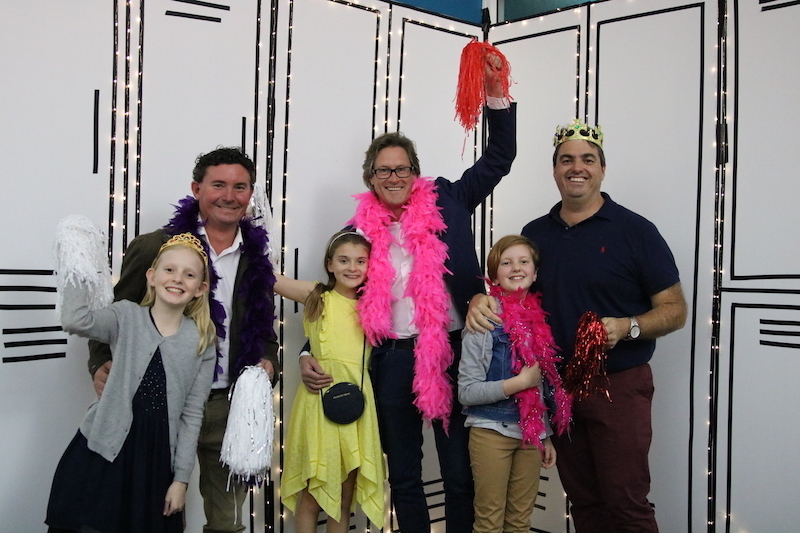 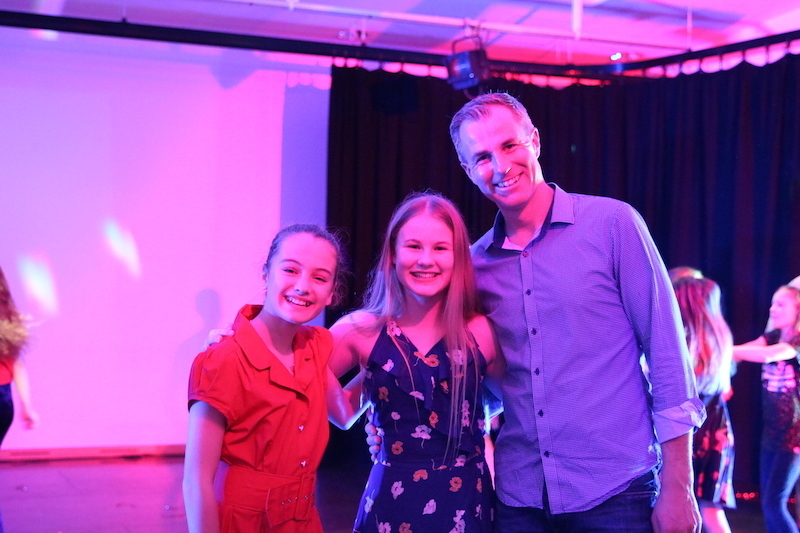 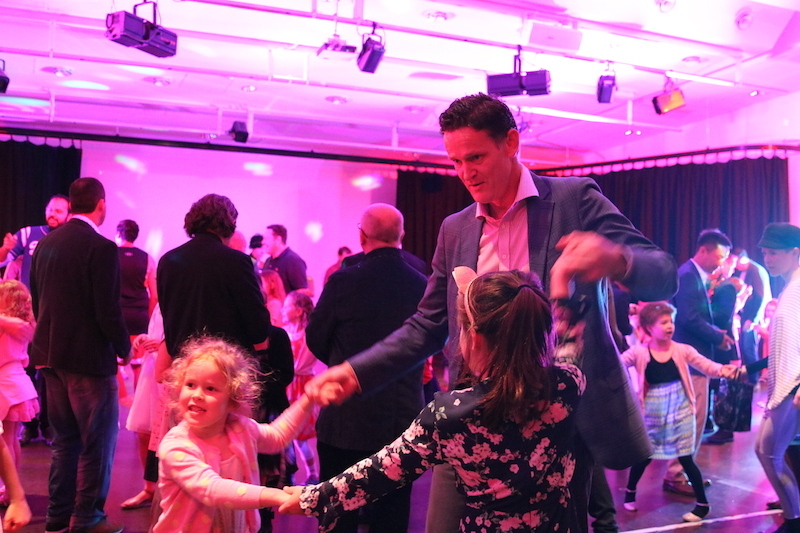 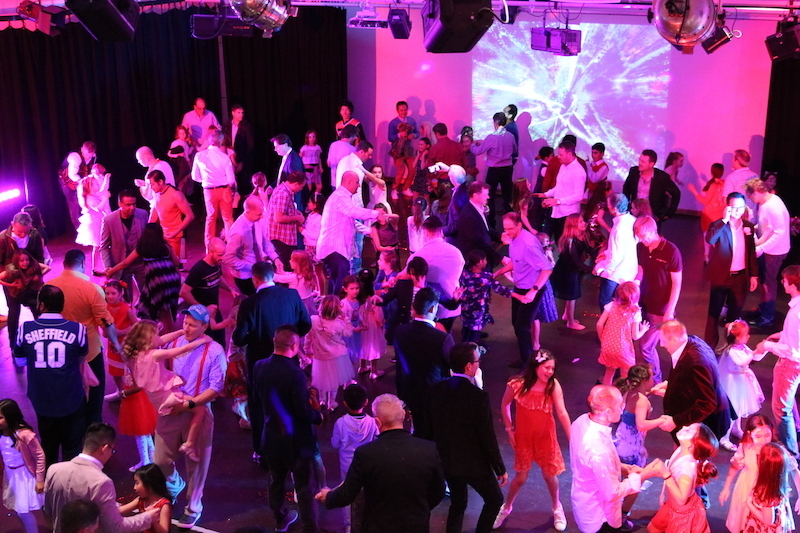 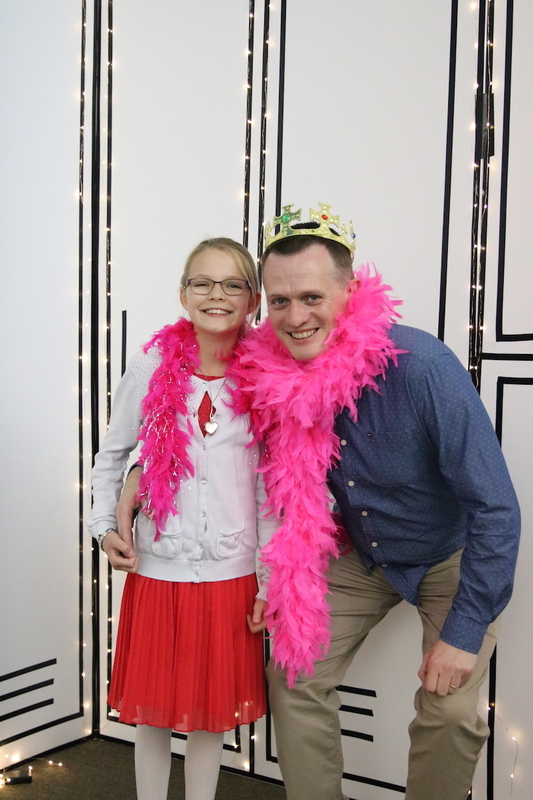 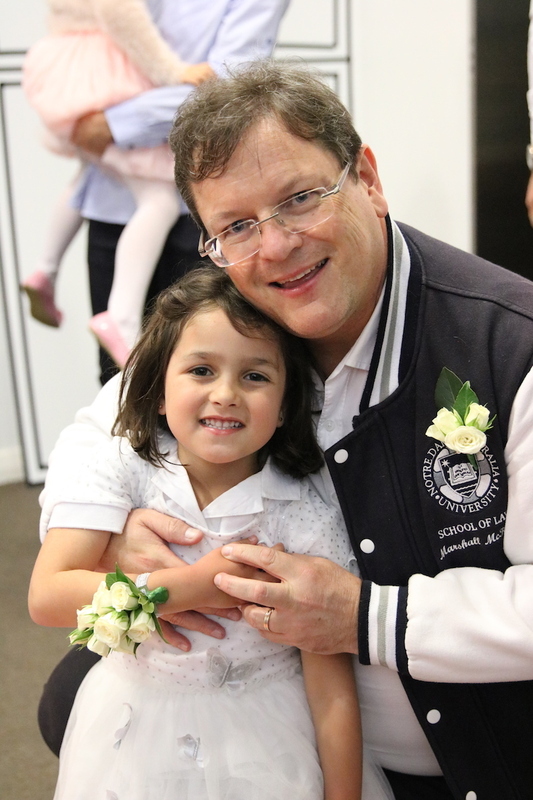 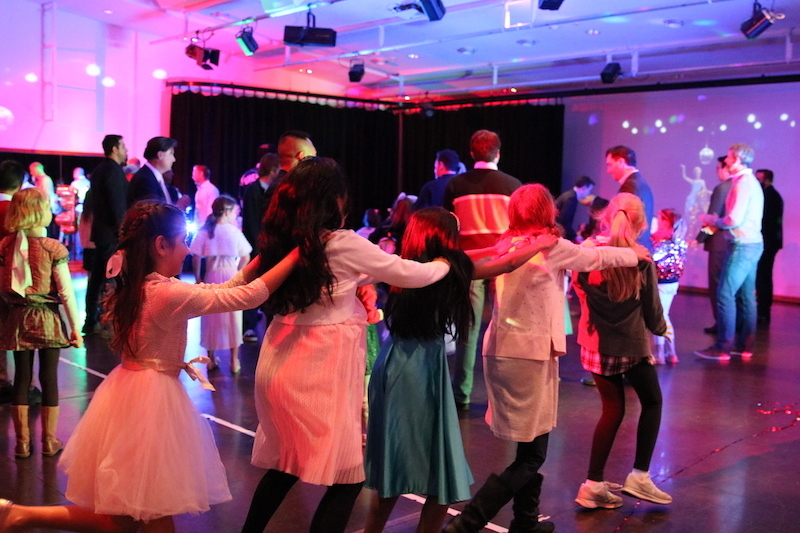 Our Years 1-6 girls had a ball with their dads at our annual Father-Daughter Dance. 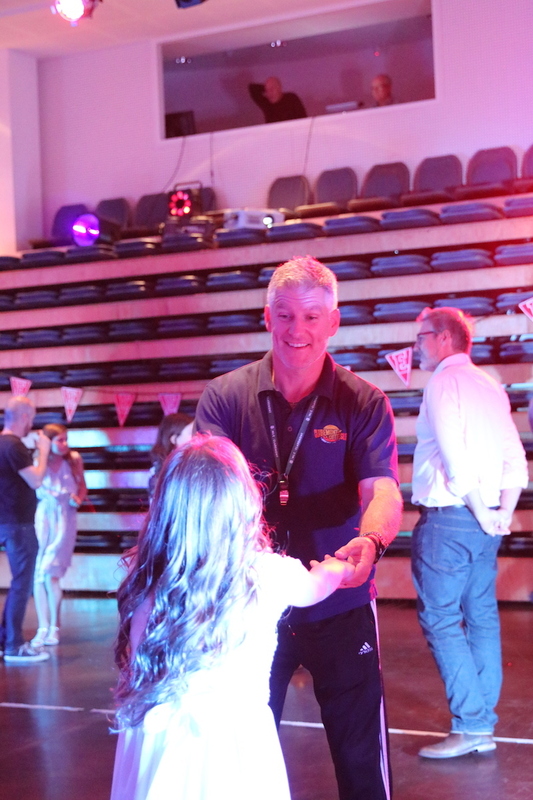 Some pretty impressive moves were attempted on the d-floor and there were smiles on every face. 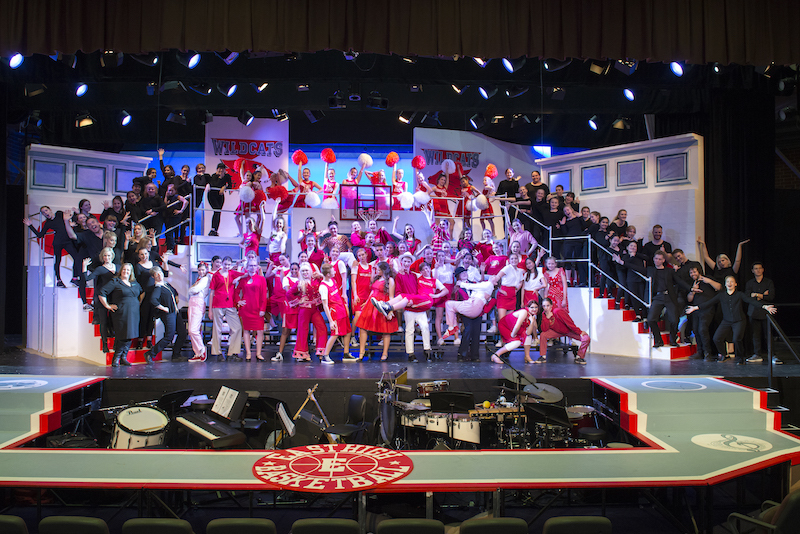 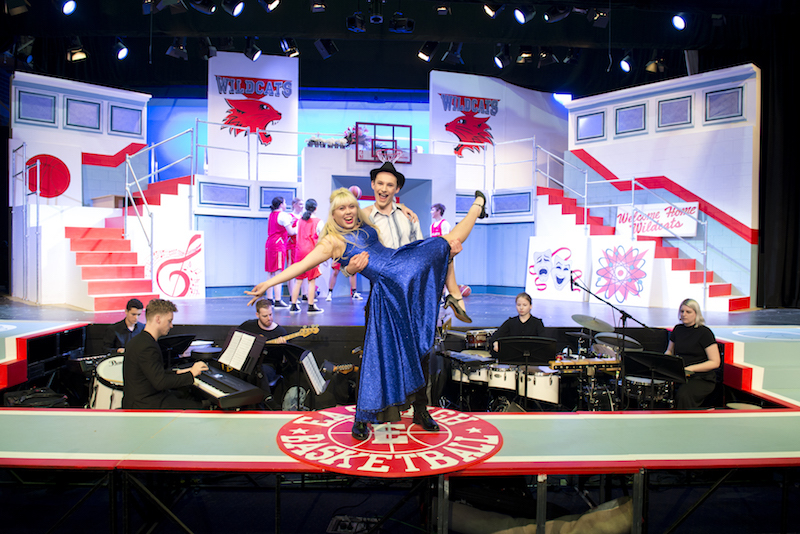 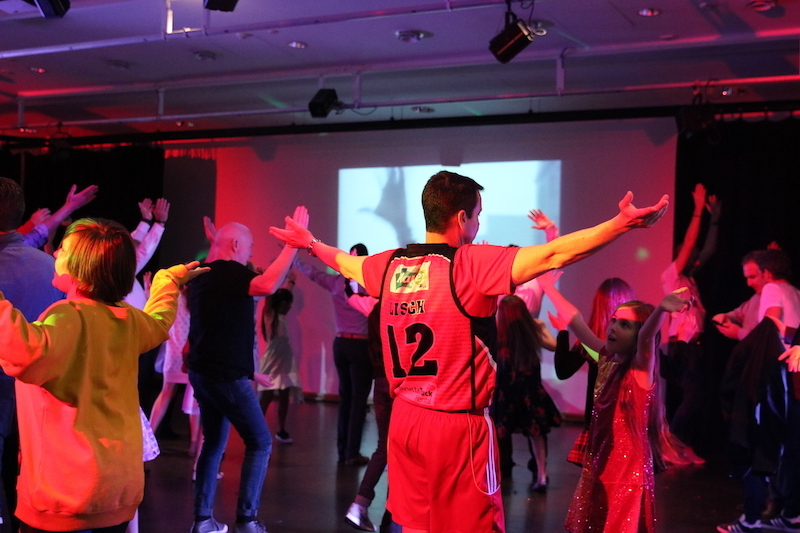 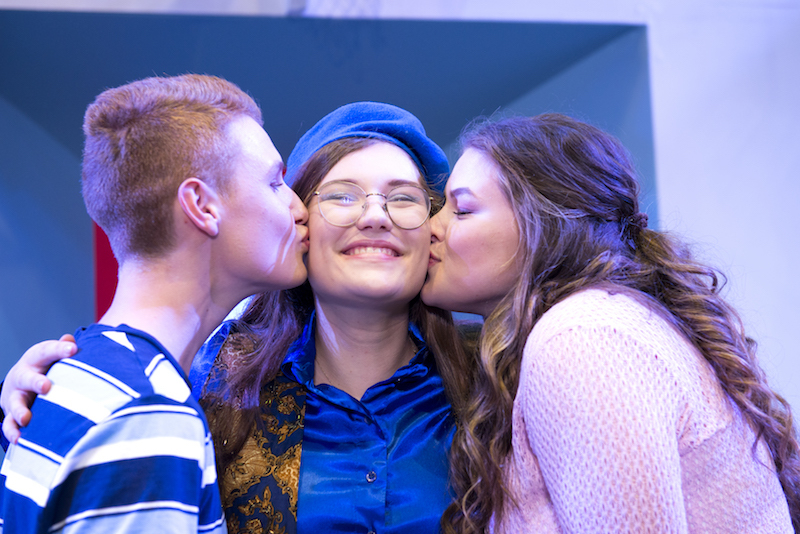 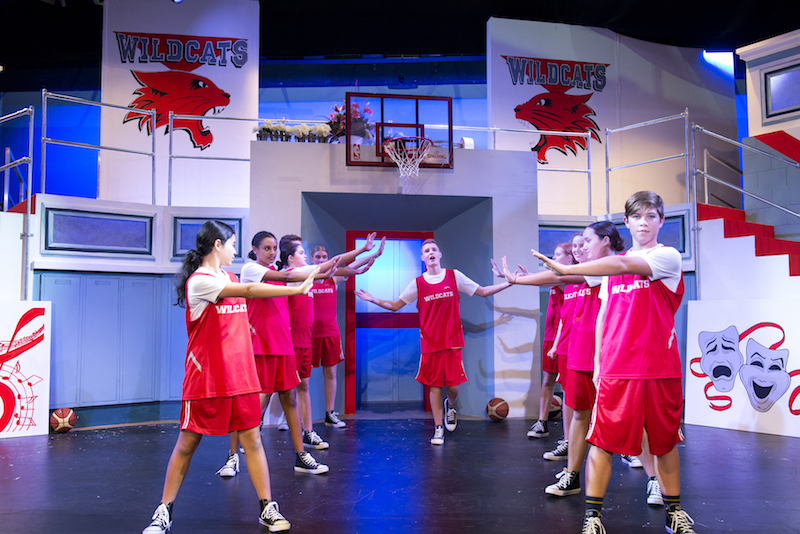 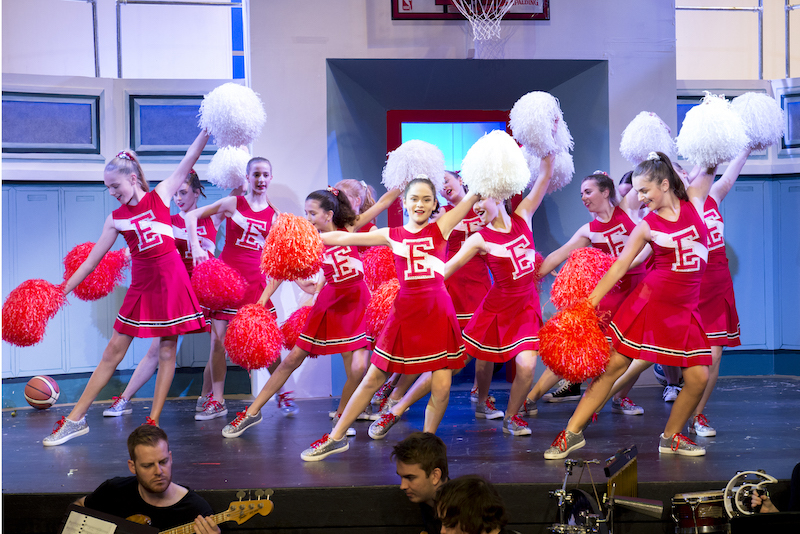 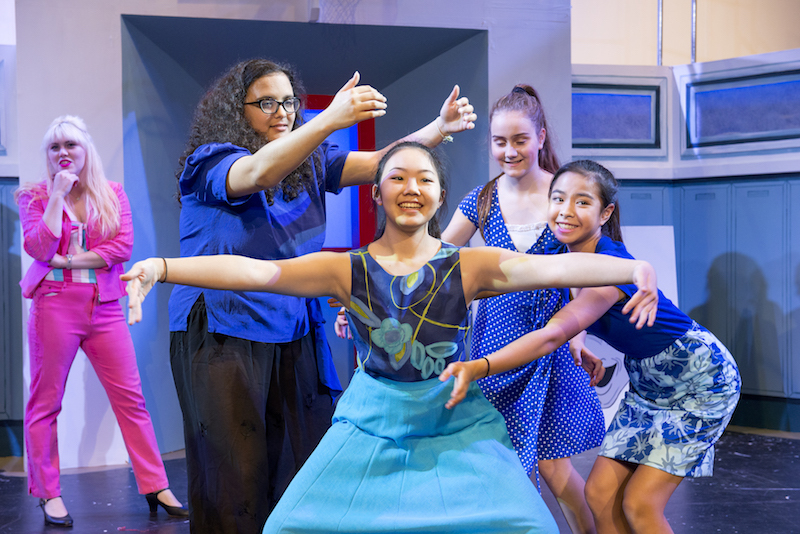 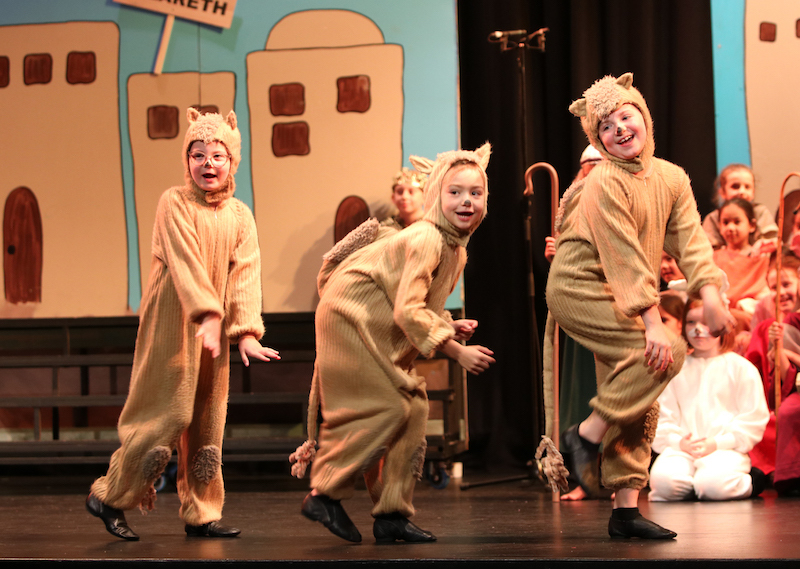 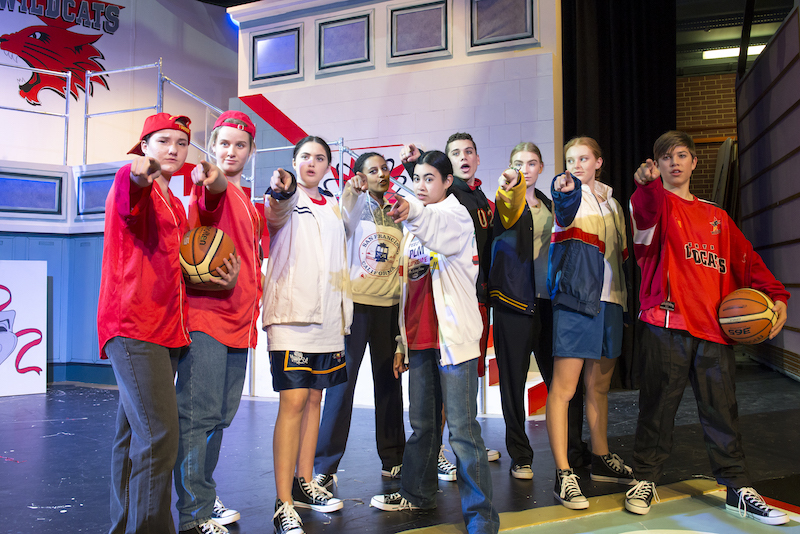 This year’s production of Disney’s High School Musical was a crowd pleaser! 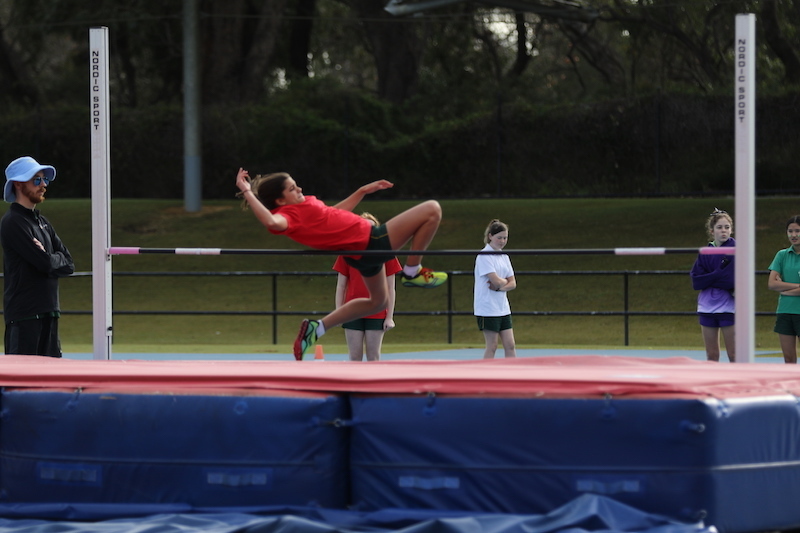 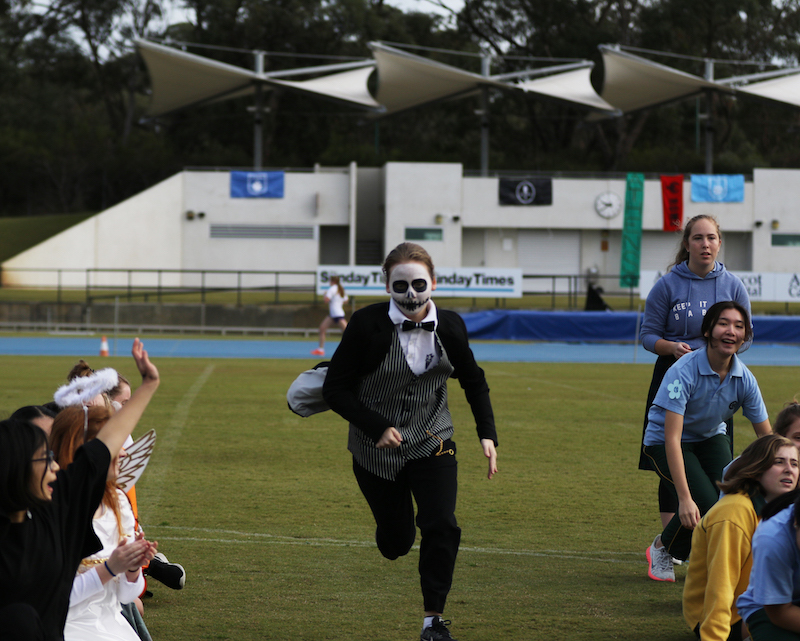 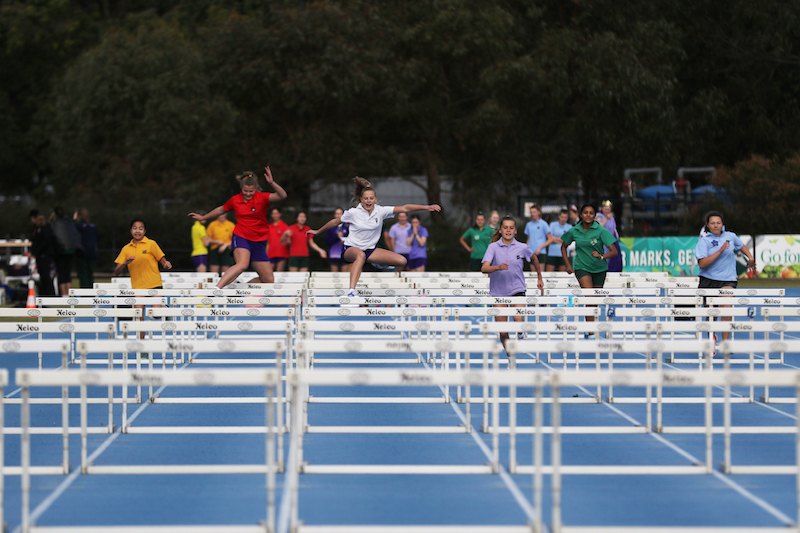 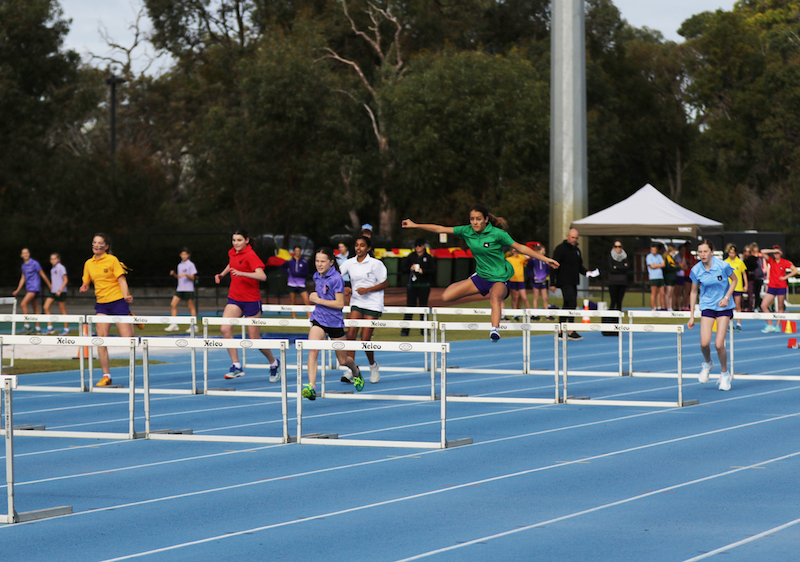 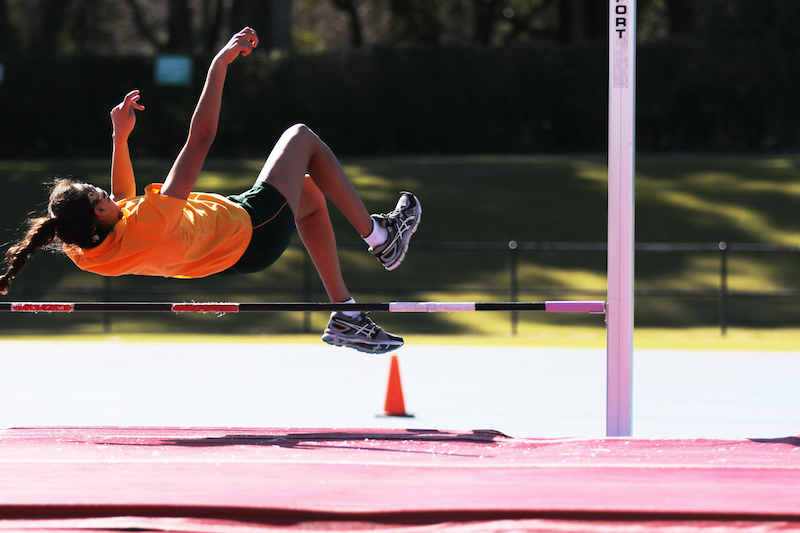 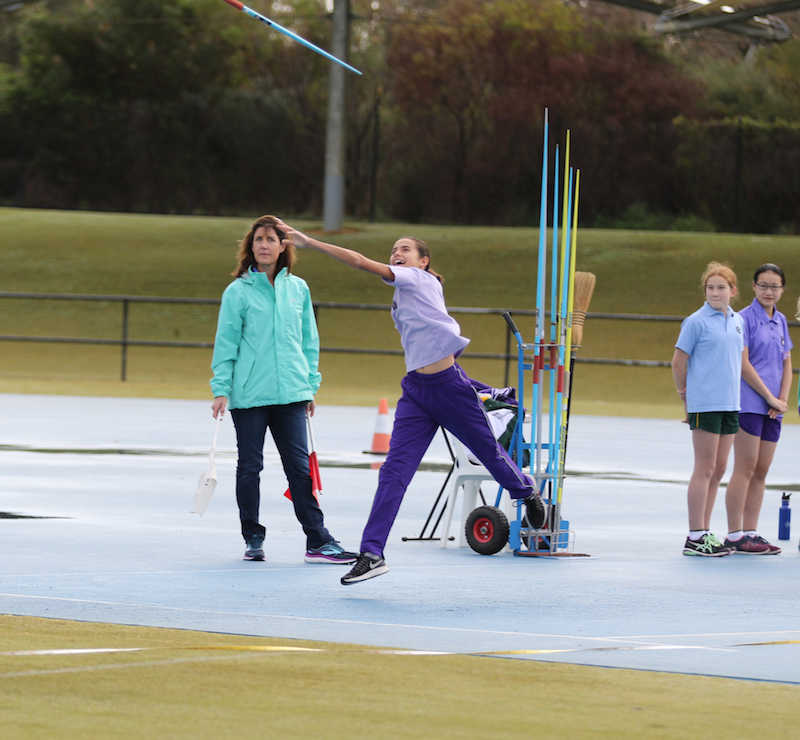 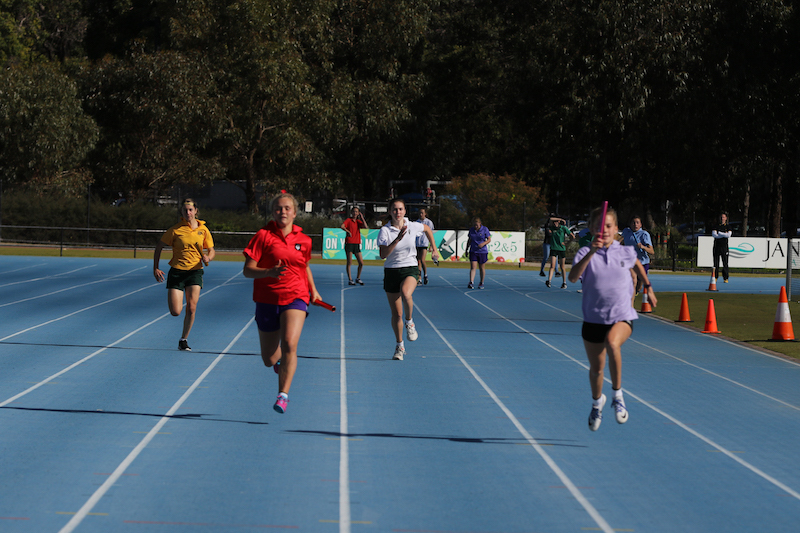 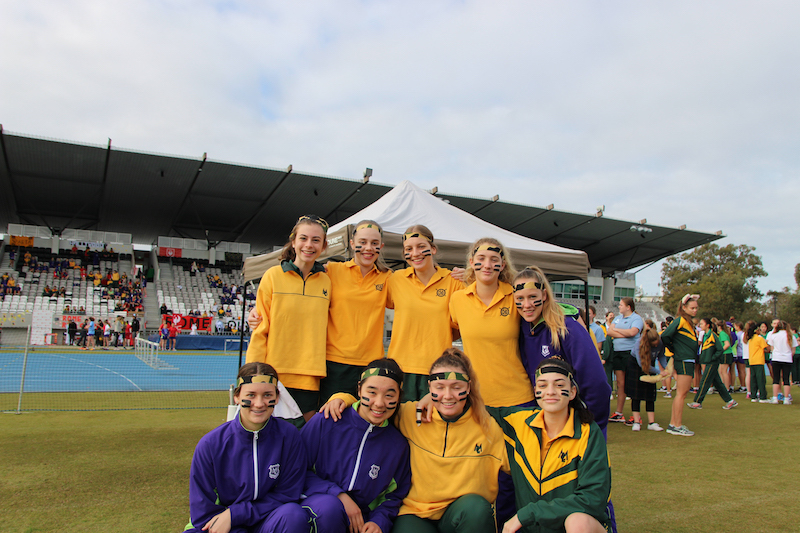 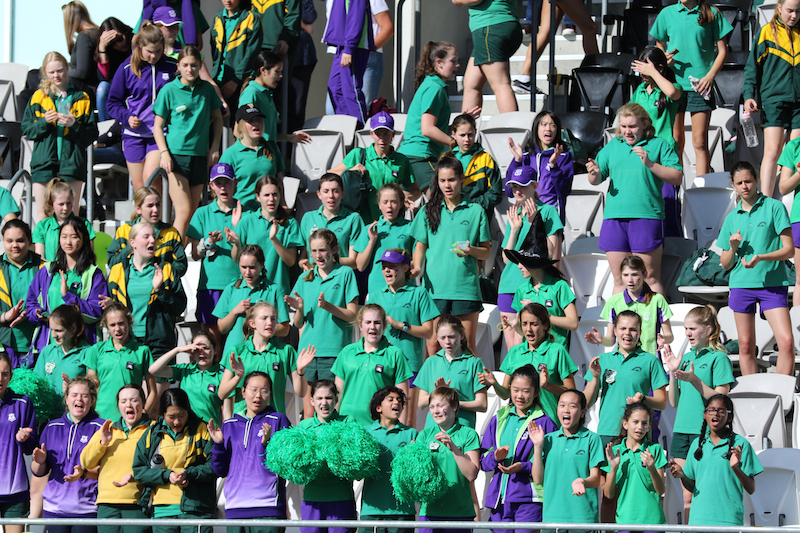 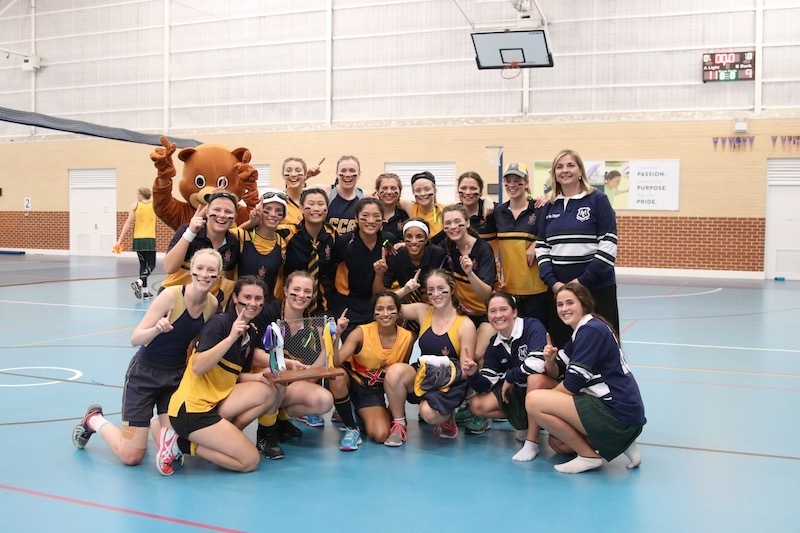 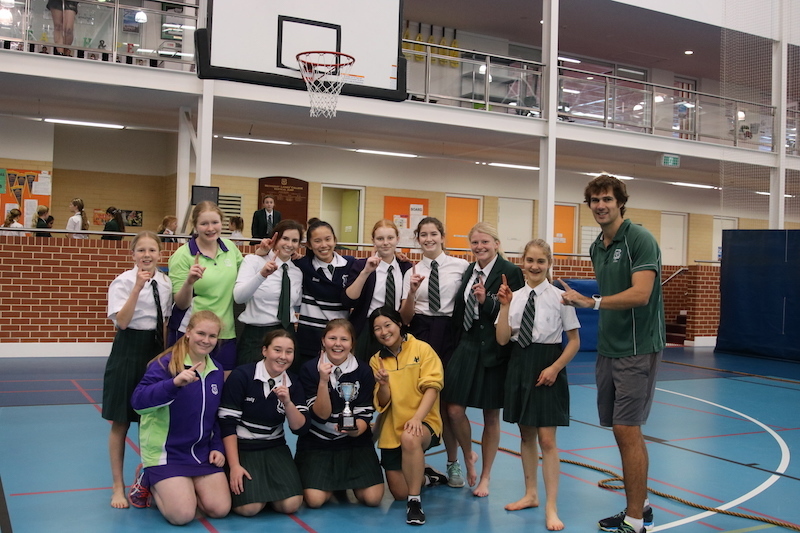 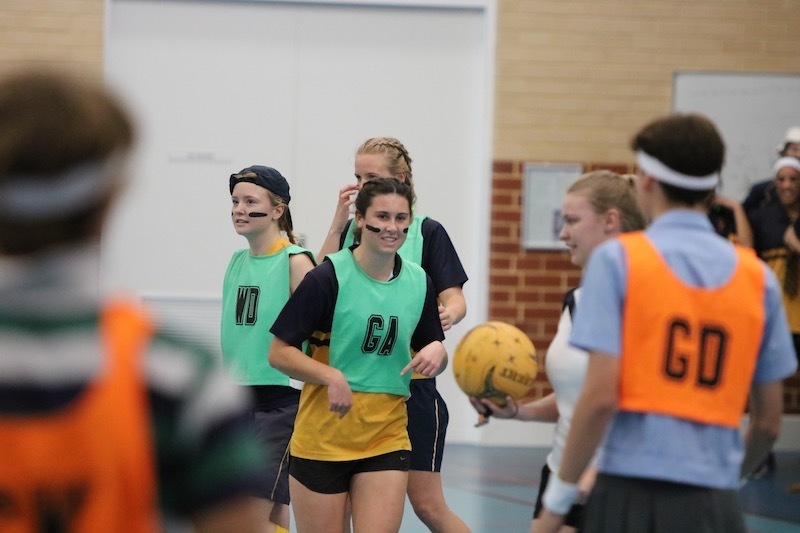 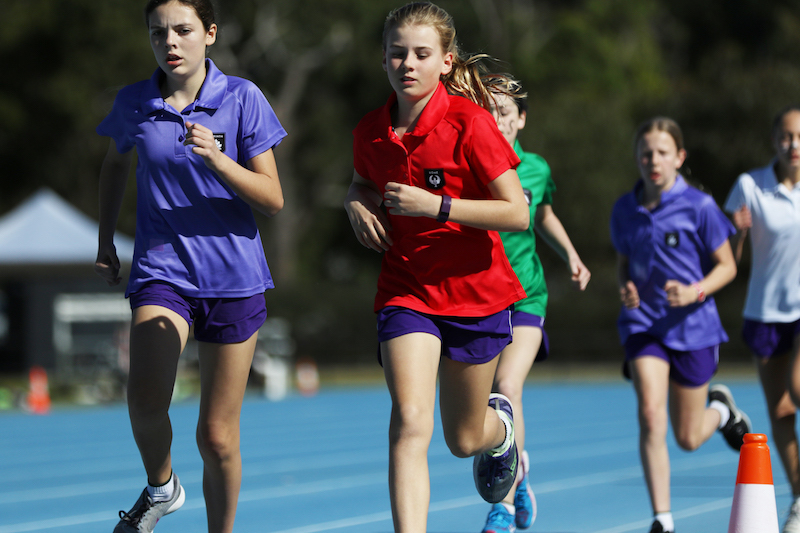 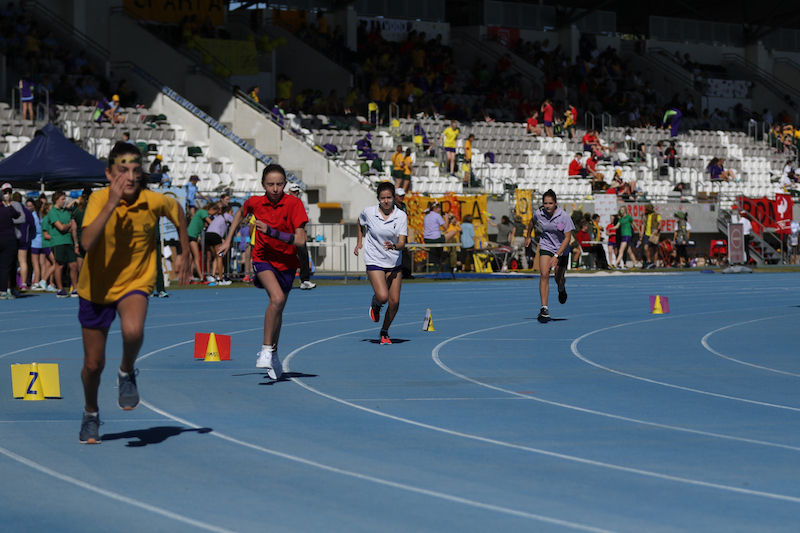 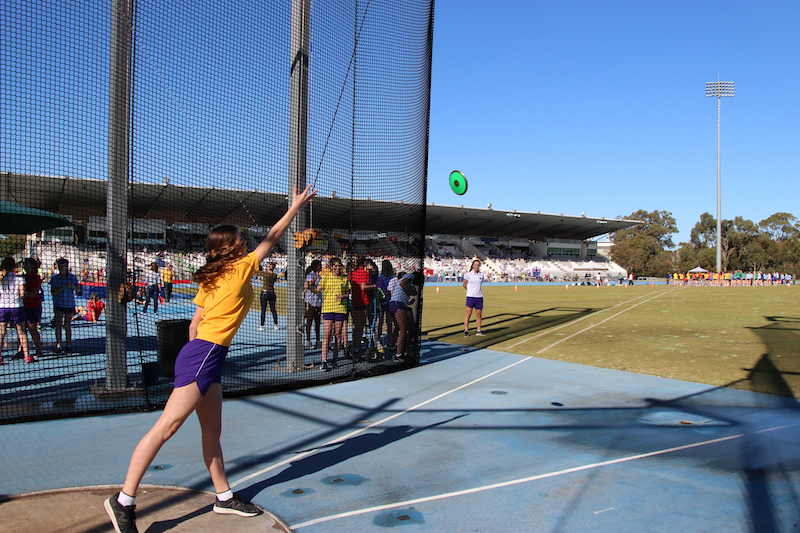 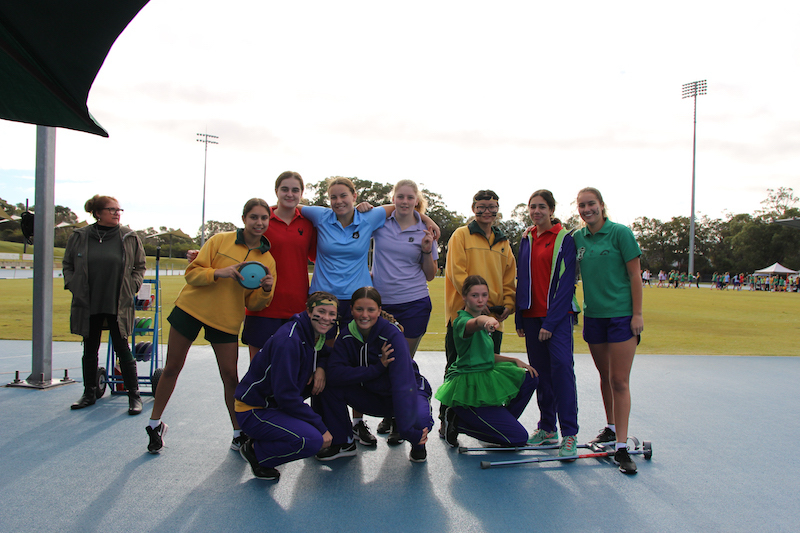 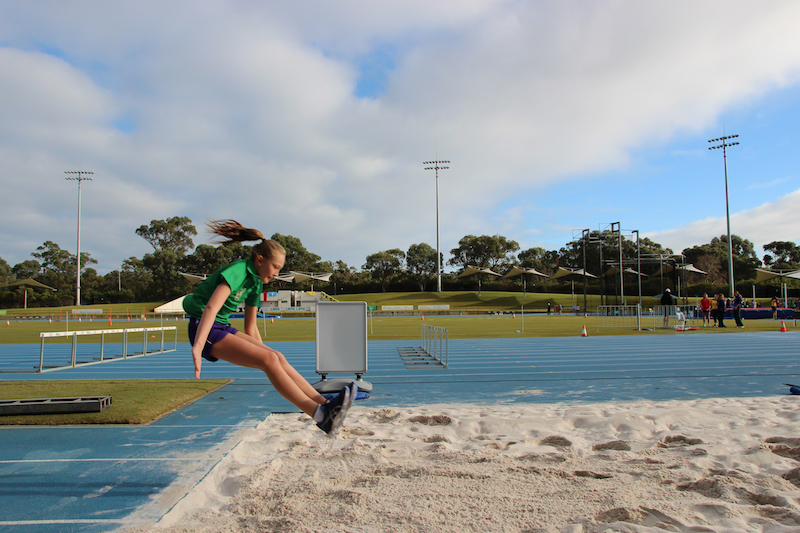 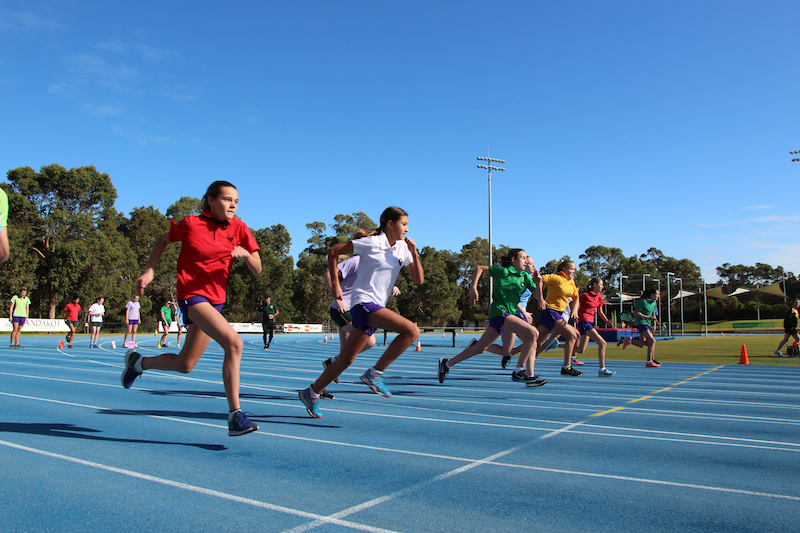 Our Years 7-12 girls participated in their annual Athletics Carnival with incredible enthusiasm. 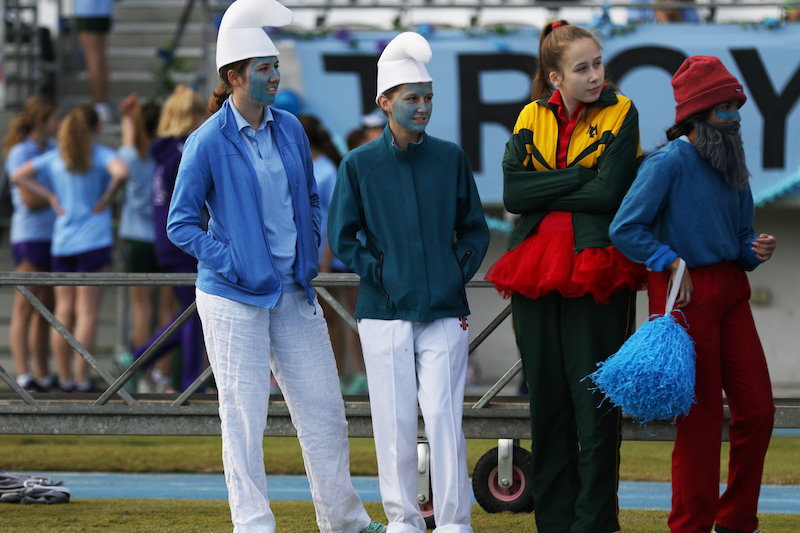 Sparta won the Spirit Cape for their loud cheering, but Corinth couldn’t be beaten and was awarded first place. 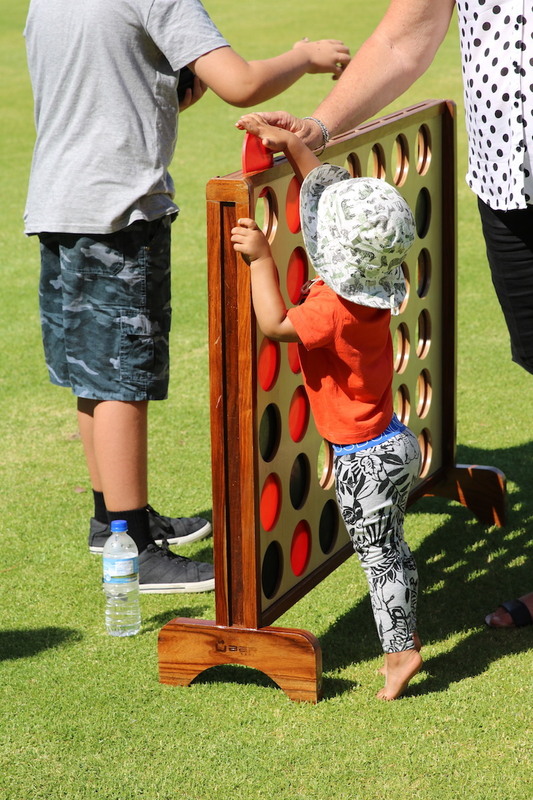 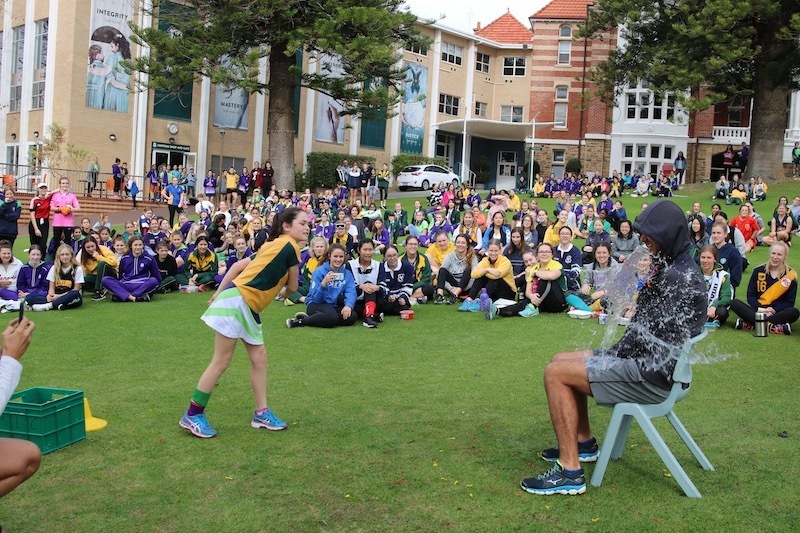 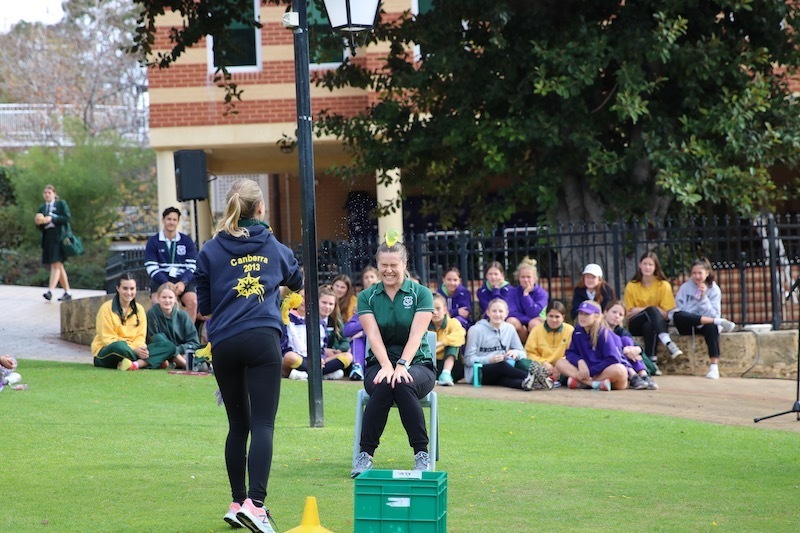 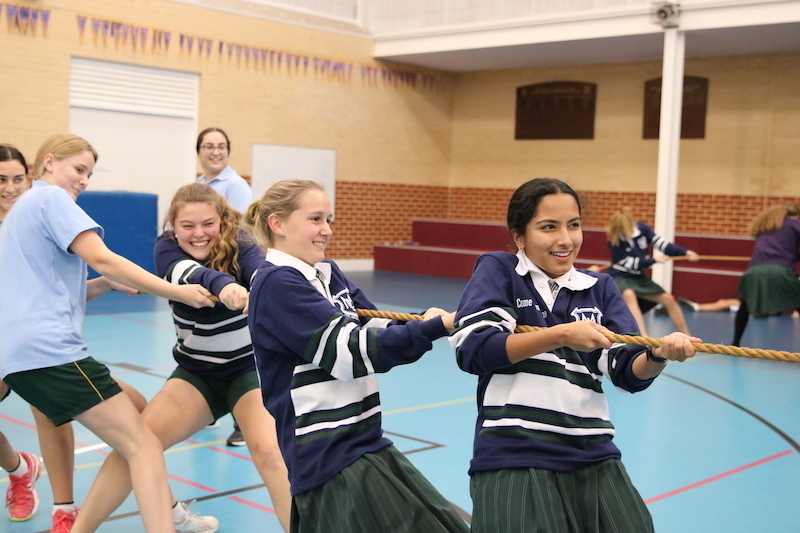 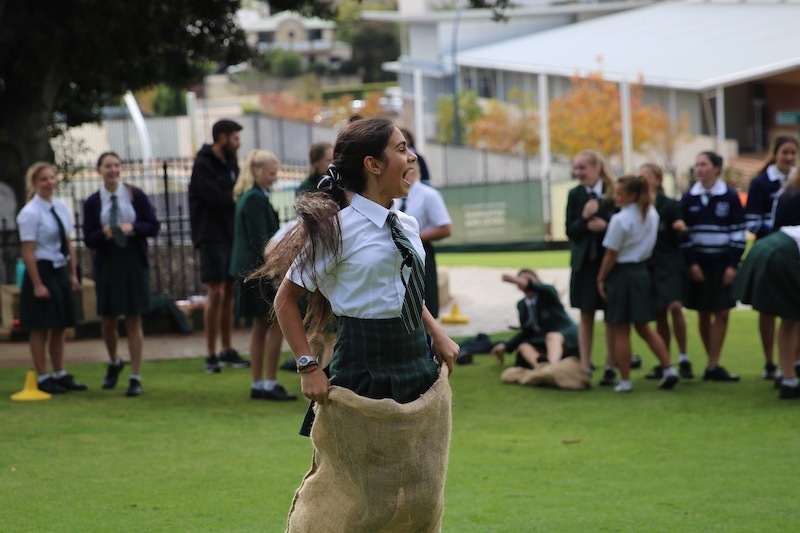 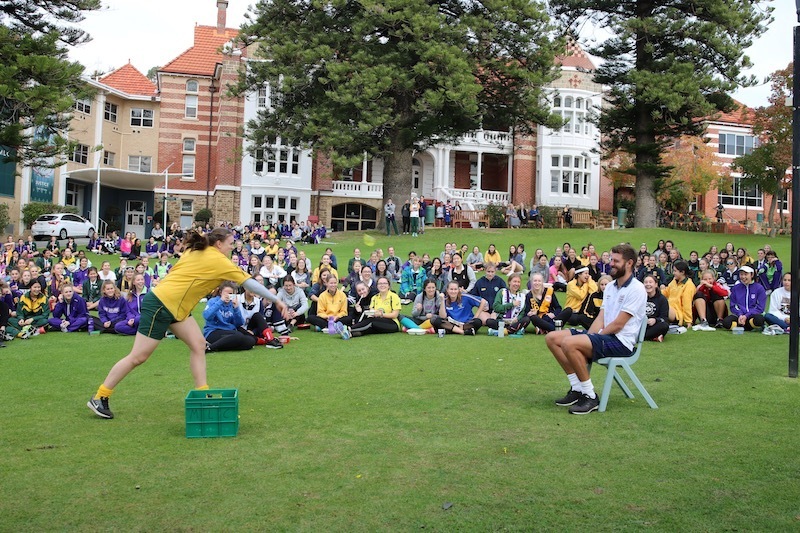 Sports Week consisted of tug-of-war competitions, sack races, egg-and-spoon races and the Great Divide Netball match against Christ Church Grammar School. 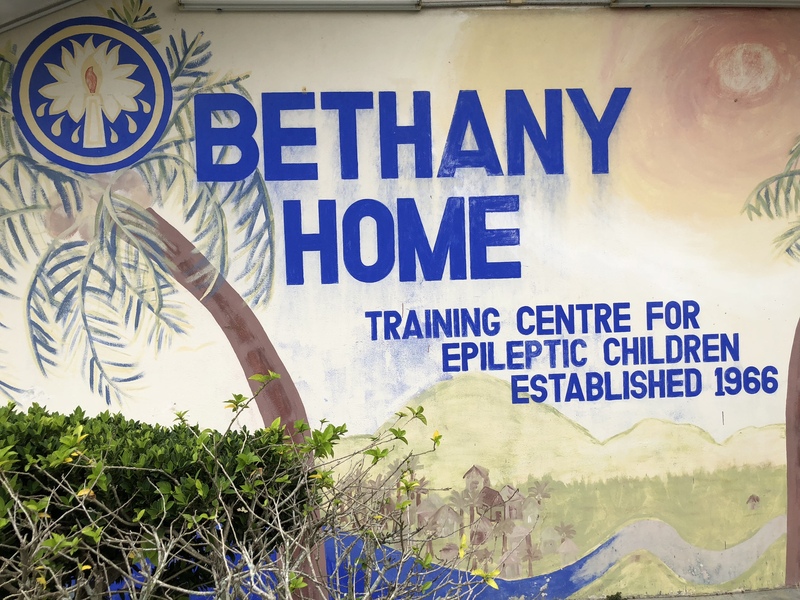 A group of our girls had an incredible two-week experience serving the community at Bethany Home. 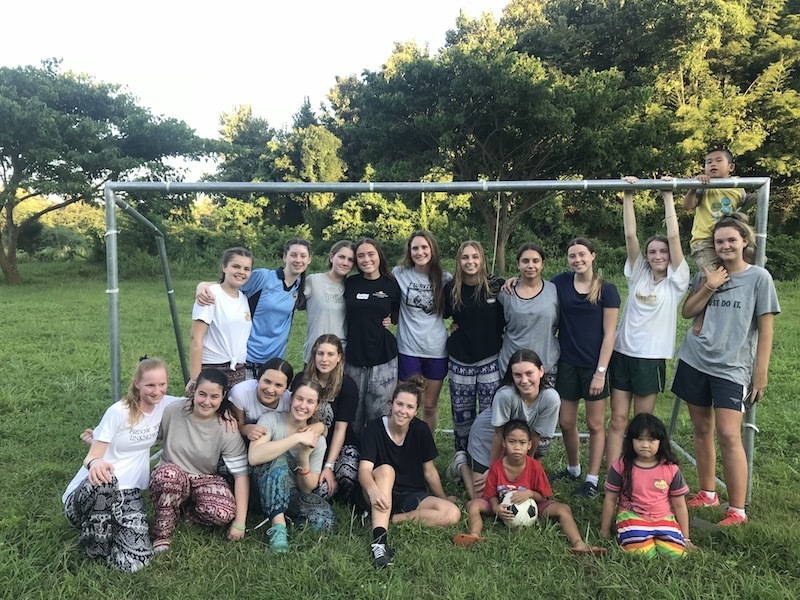 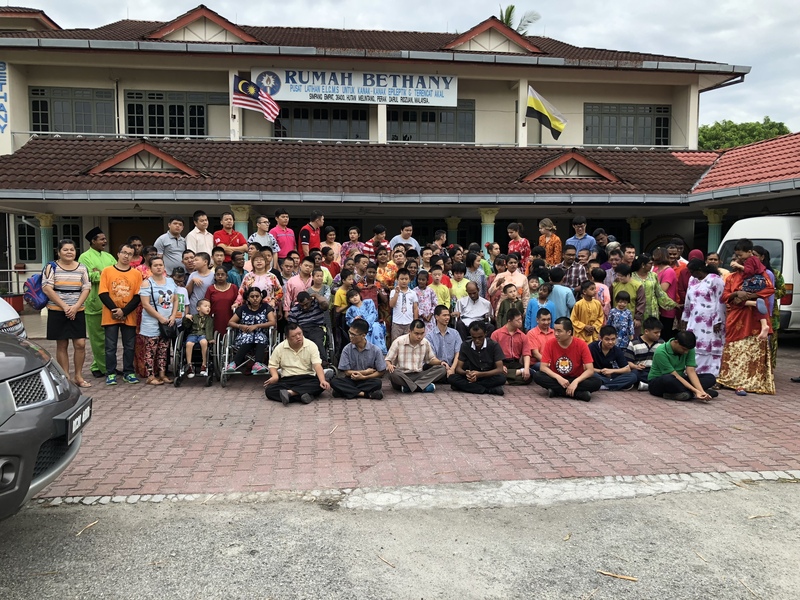 The girls assisted the Bethany visitors with their physiotherapy, exercises and learning, and also supported the annual Bethany Carnival. 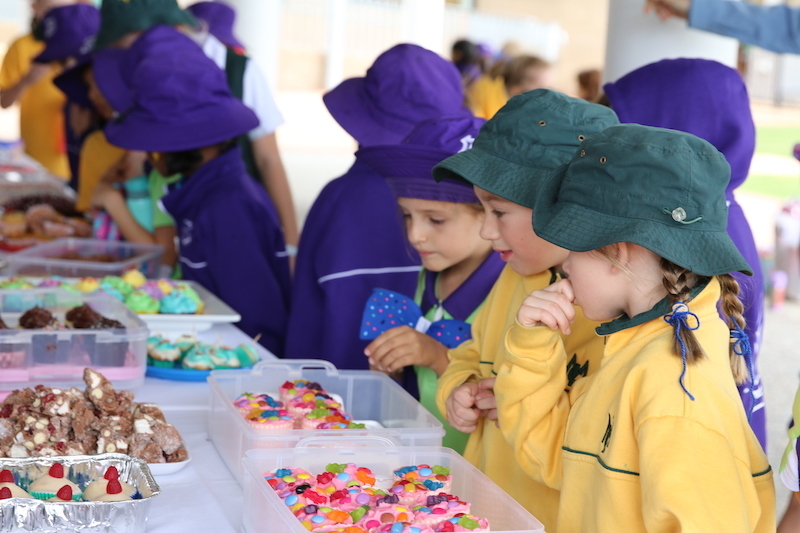 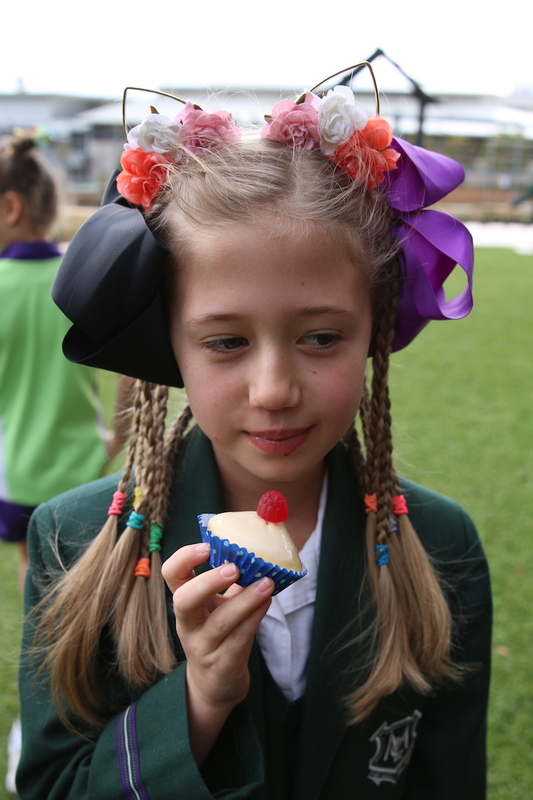 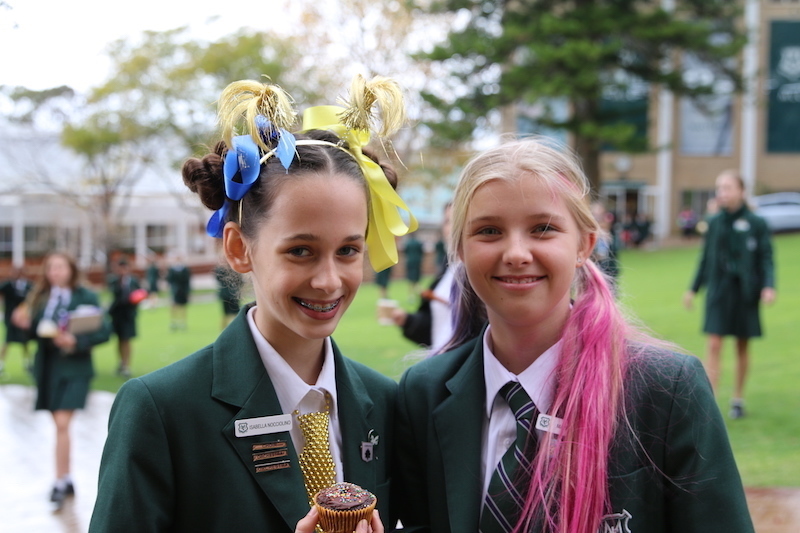 Our girls and community donned crazy ties and hair dos and came together for a cuppa and cake in support of The Cancer Council. 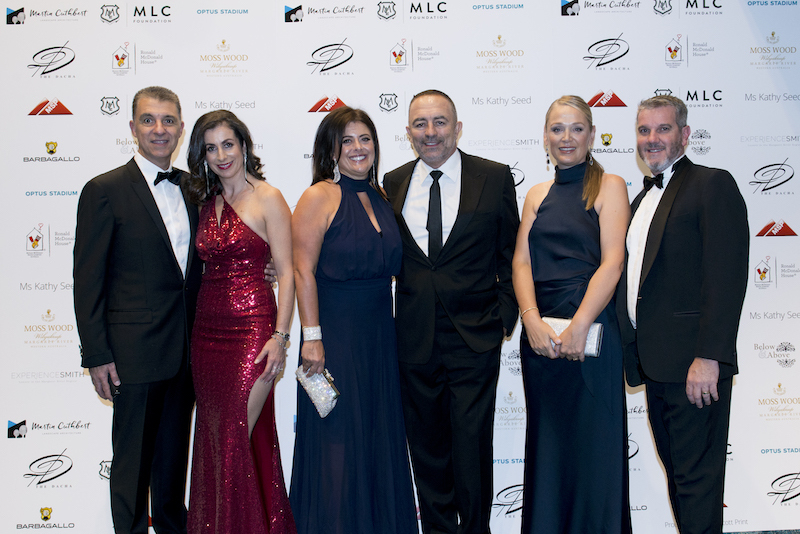 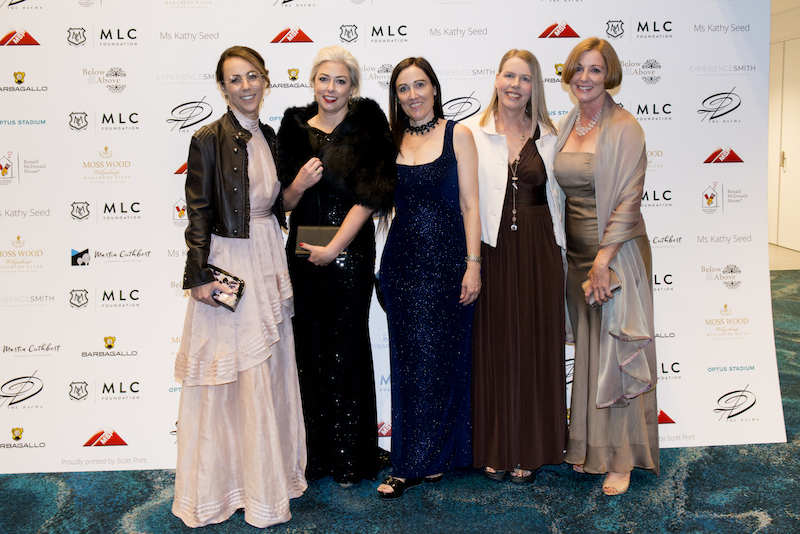 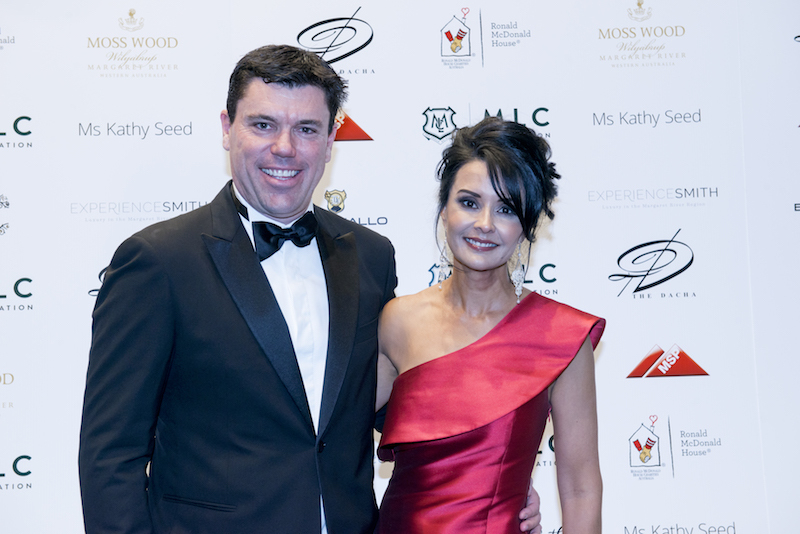 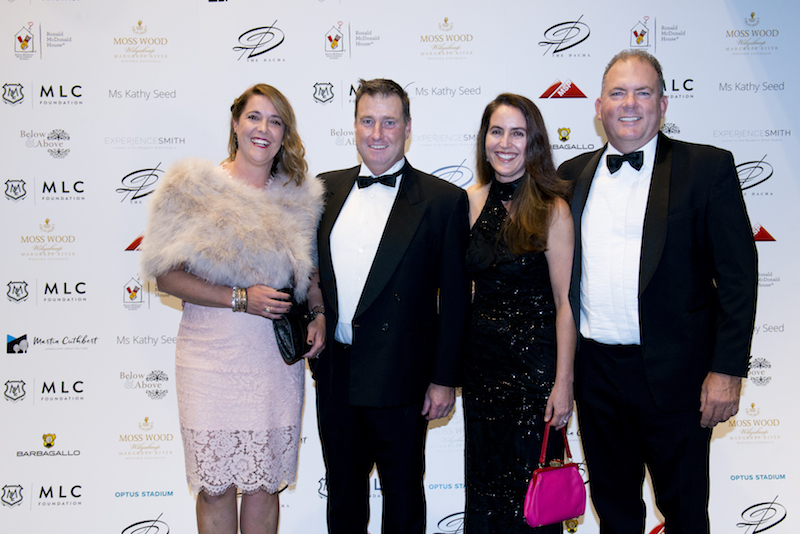 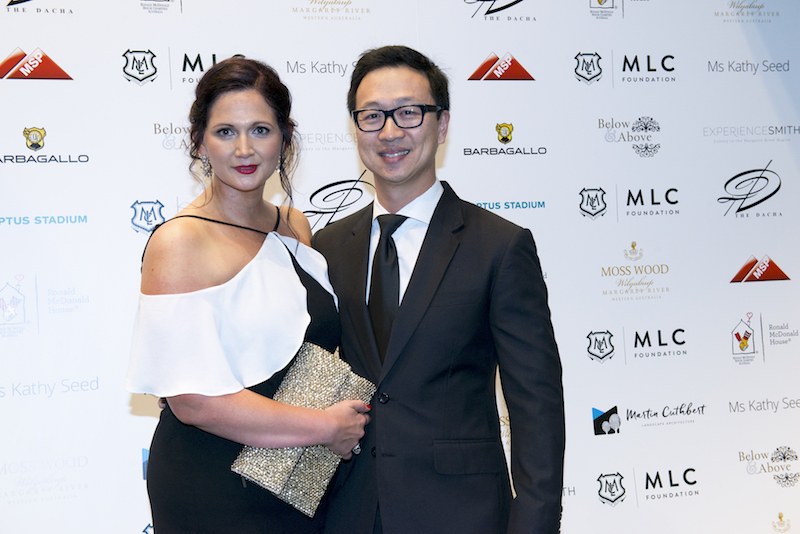 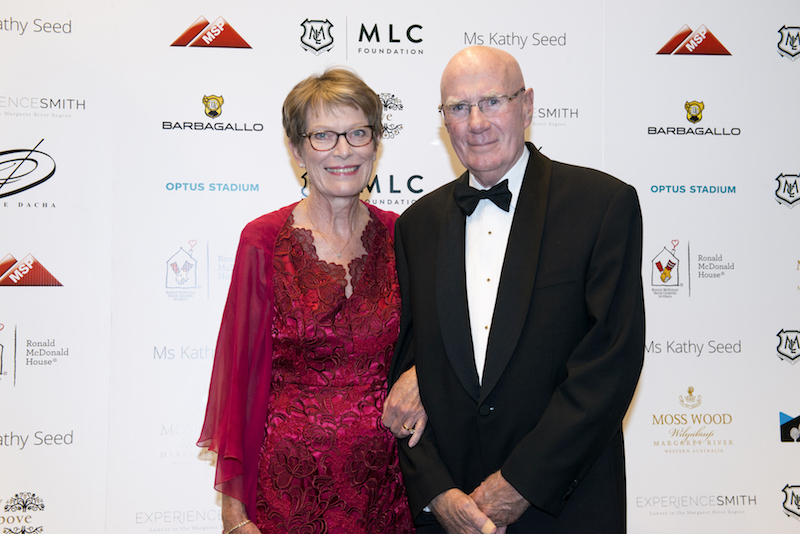 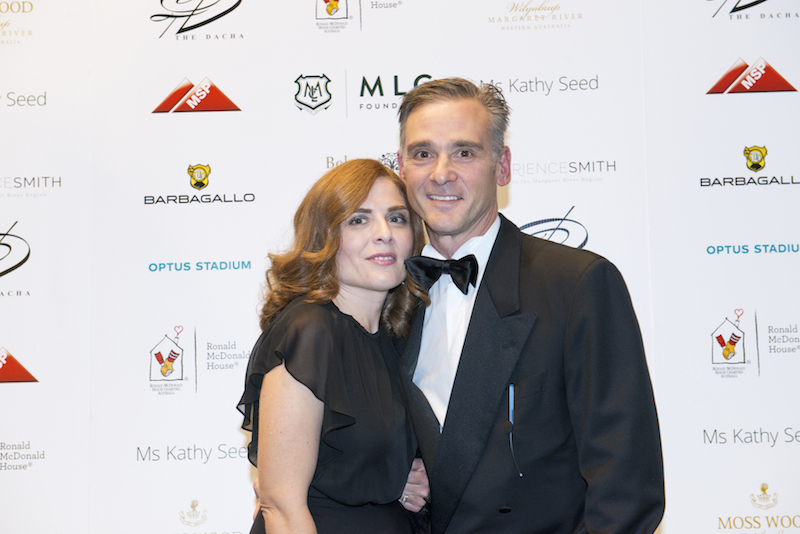 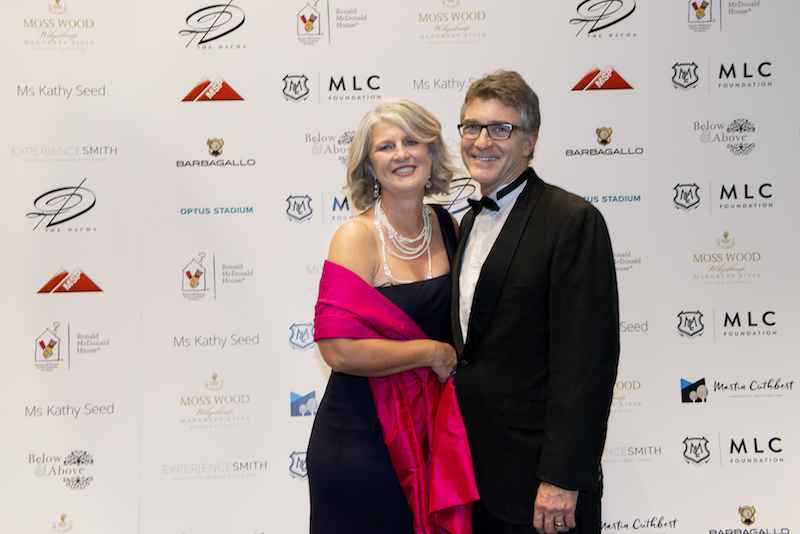 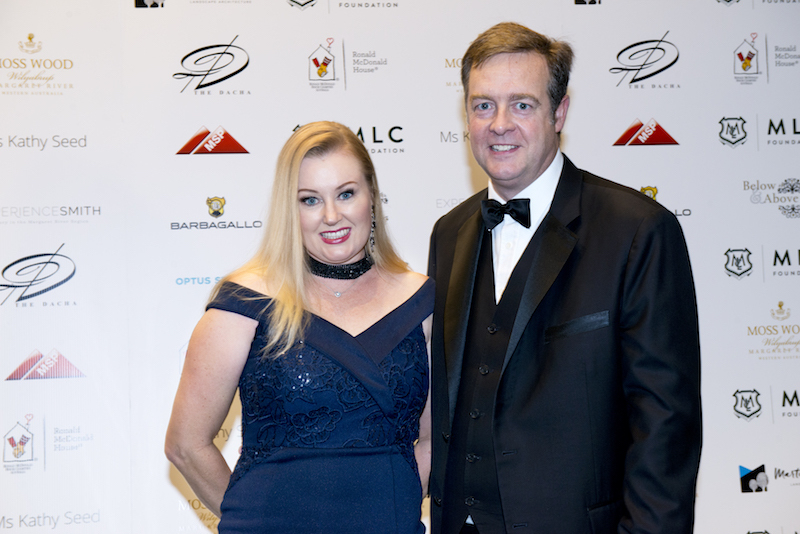 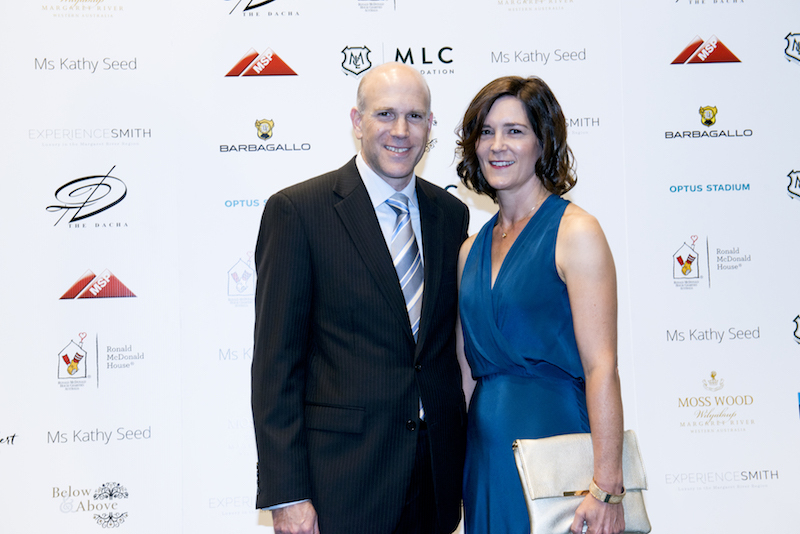 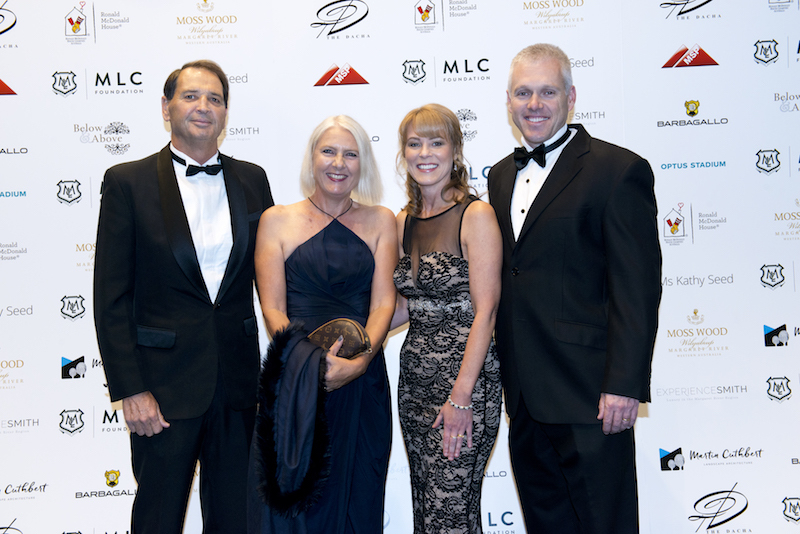 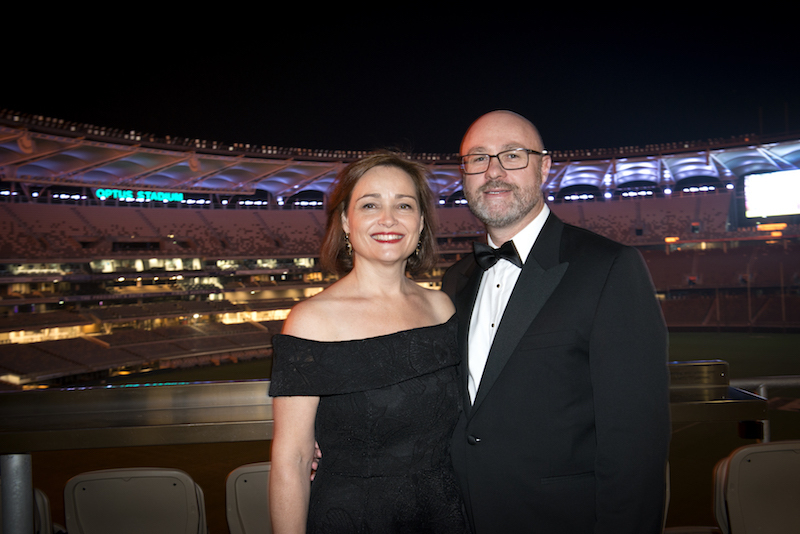 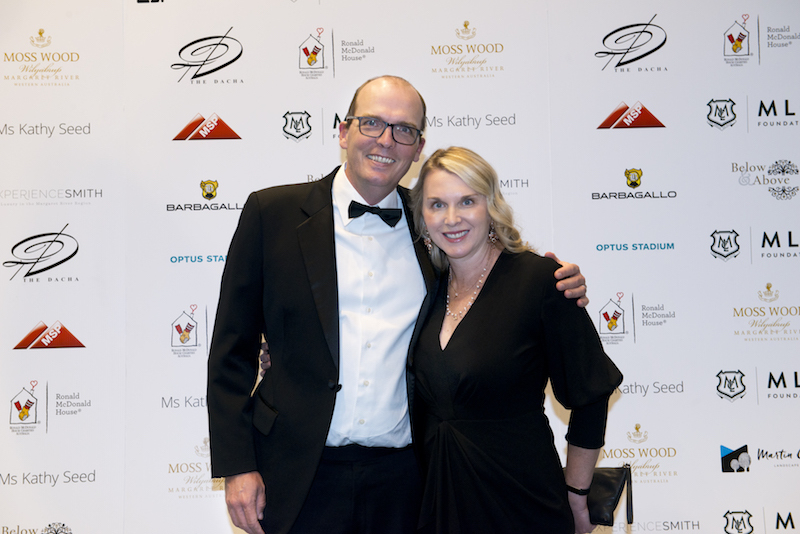 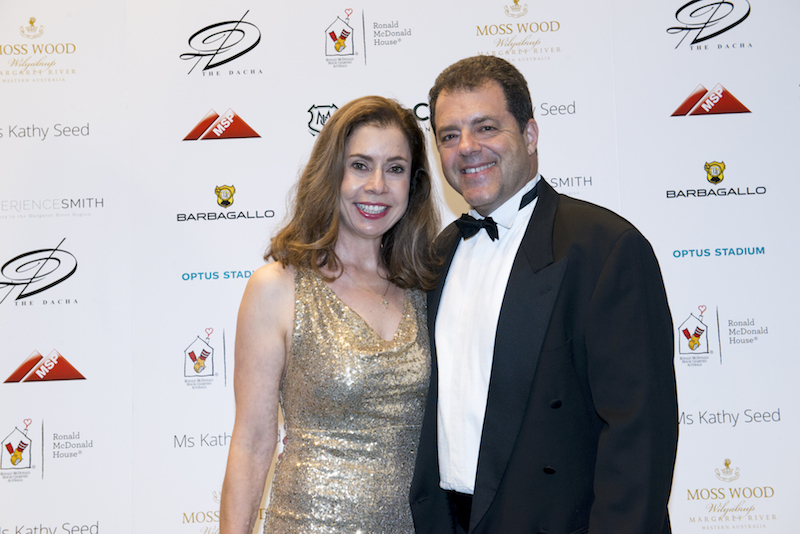 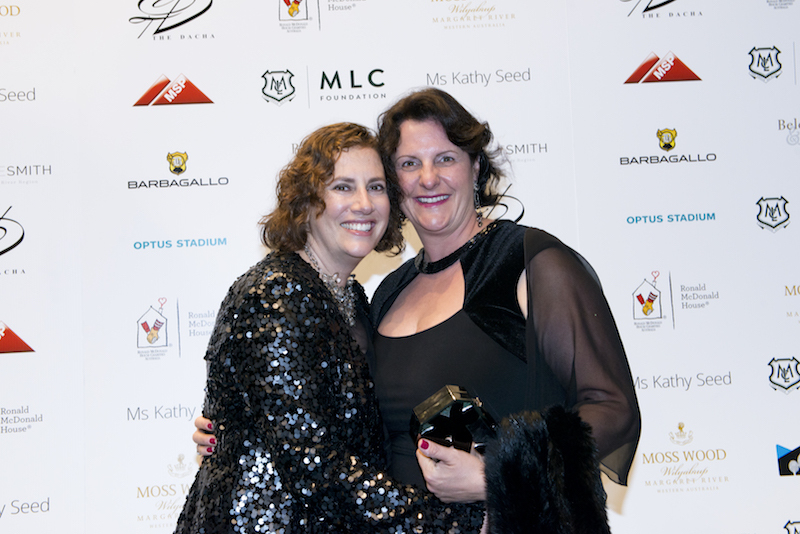 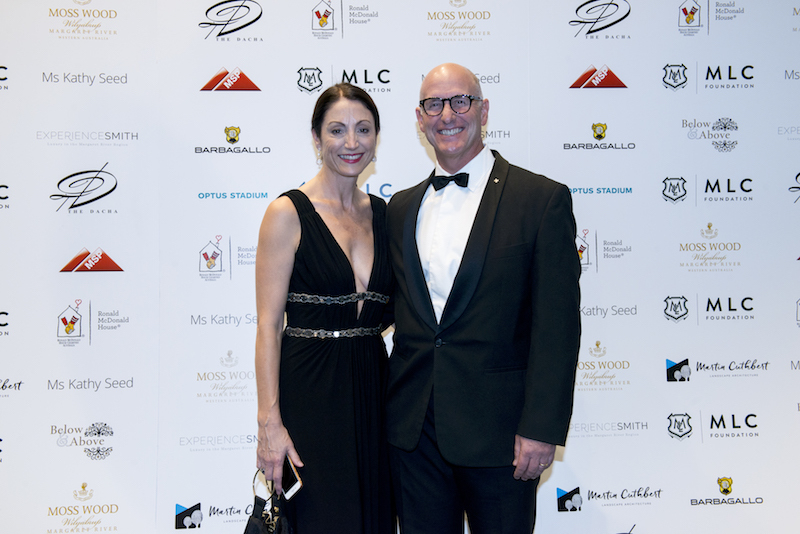 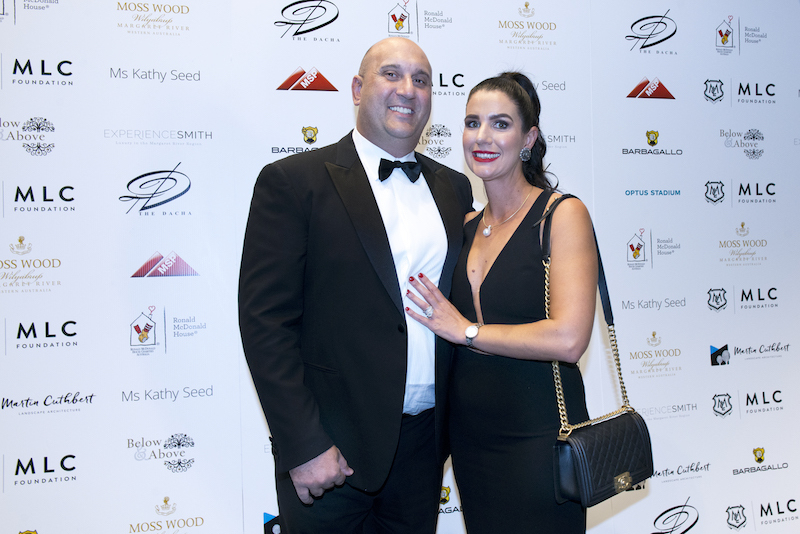 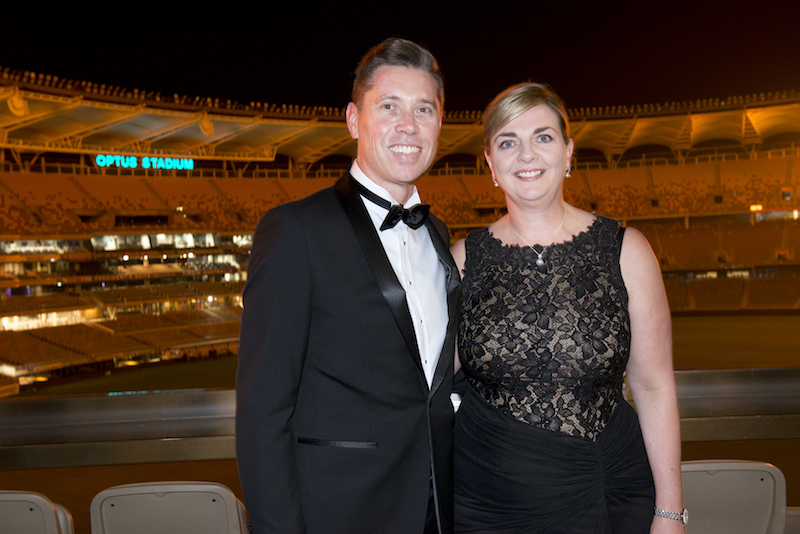 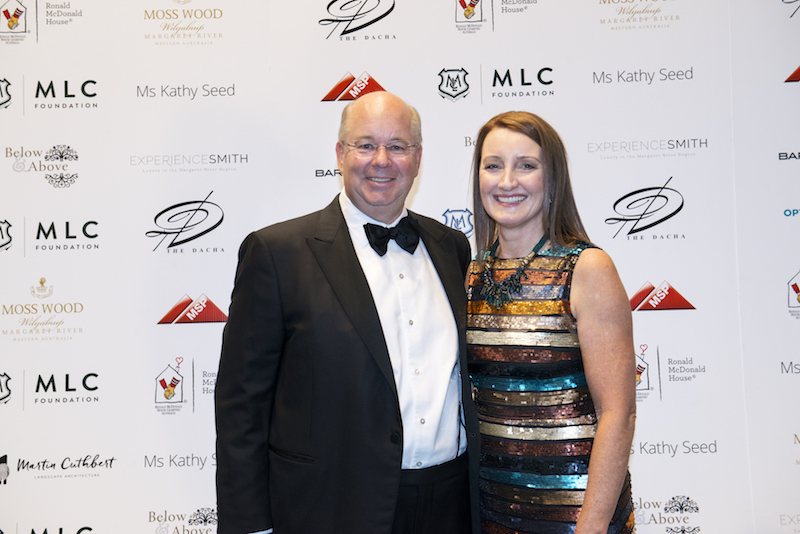 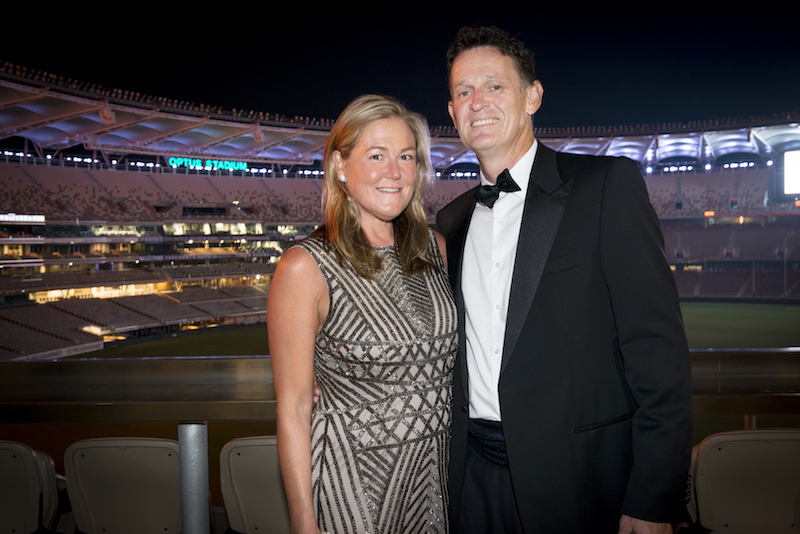 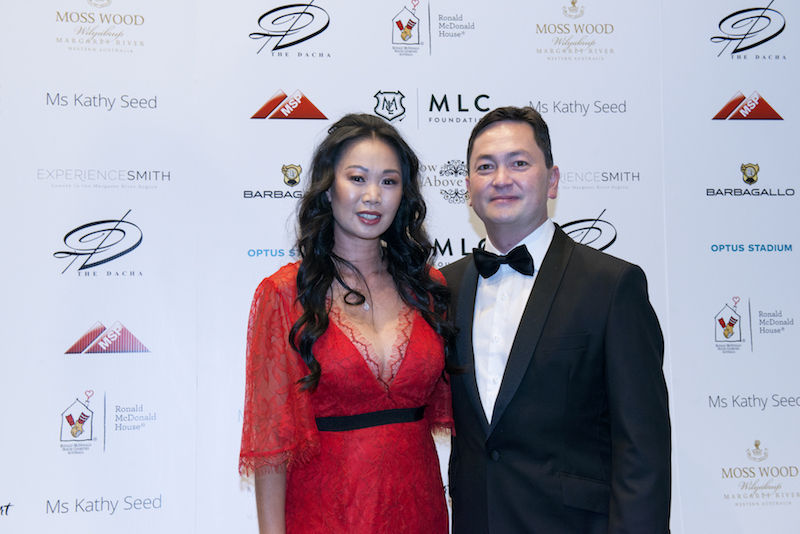 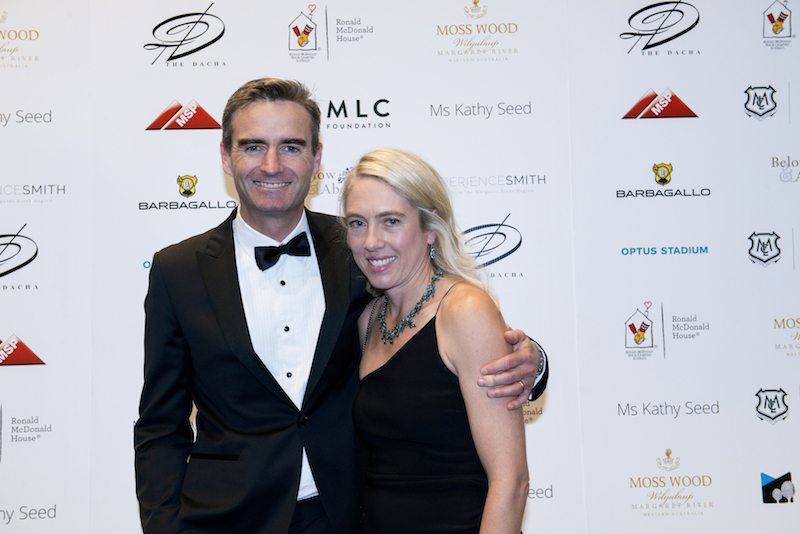 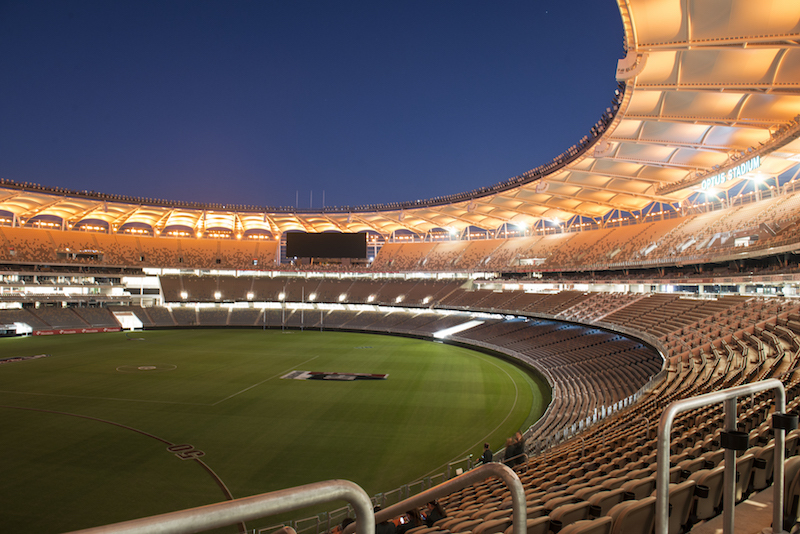 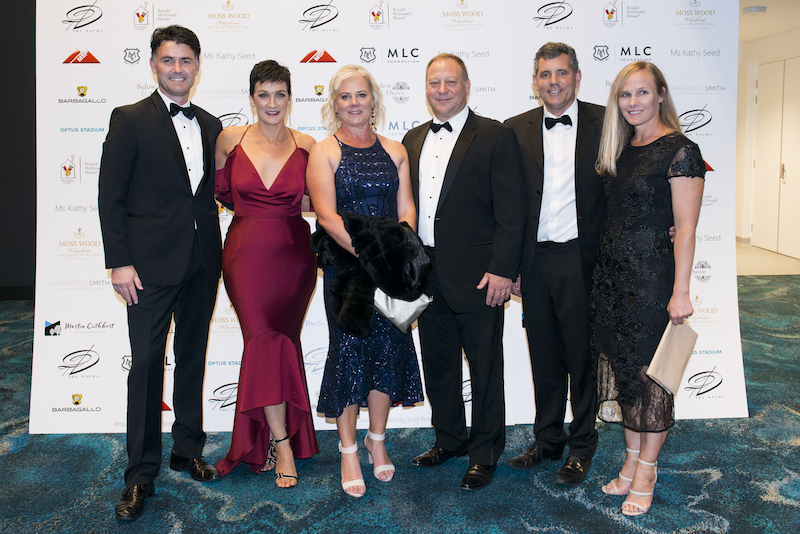 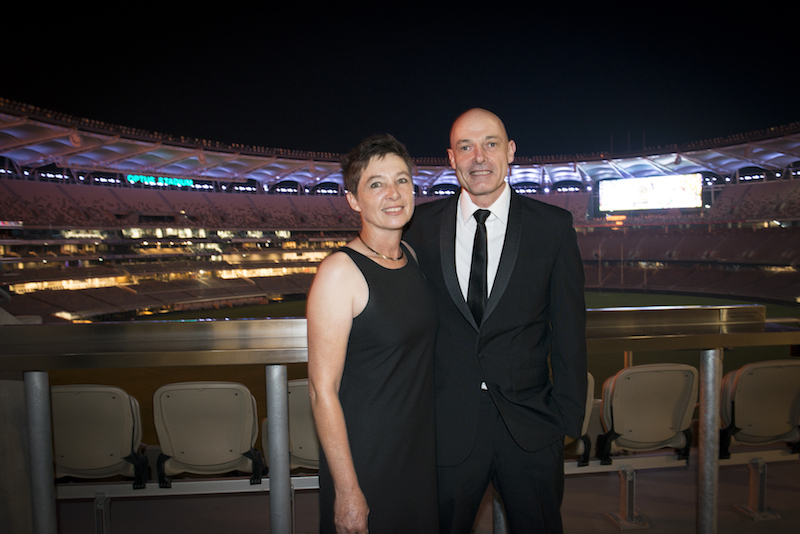 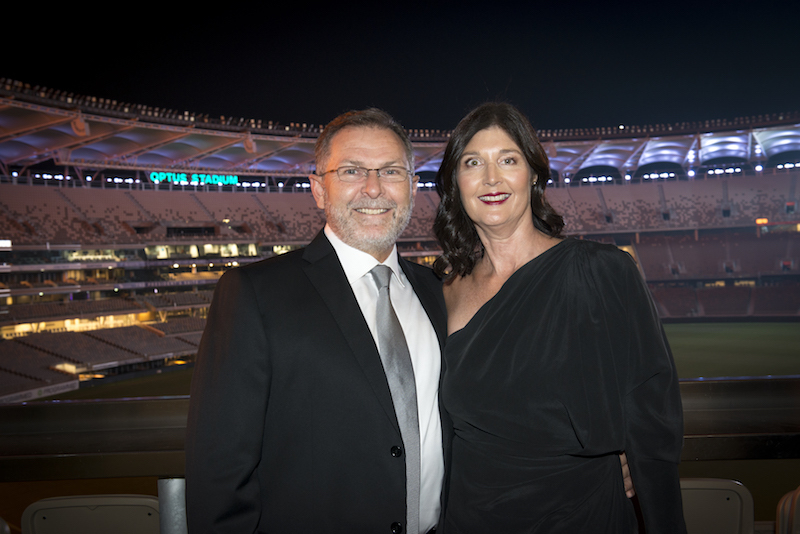 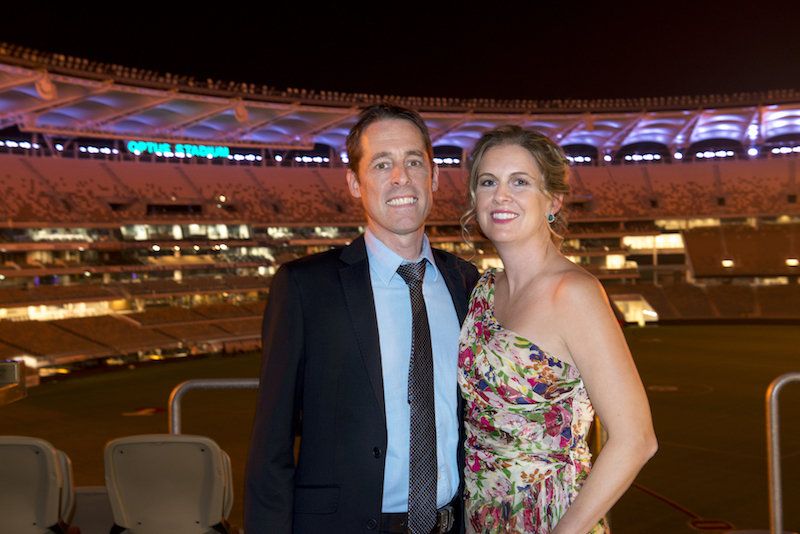 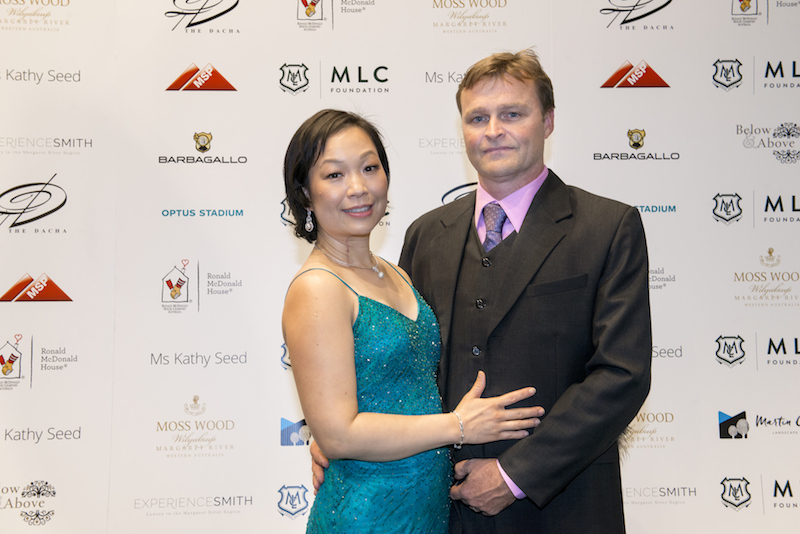 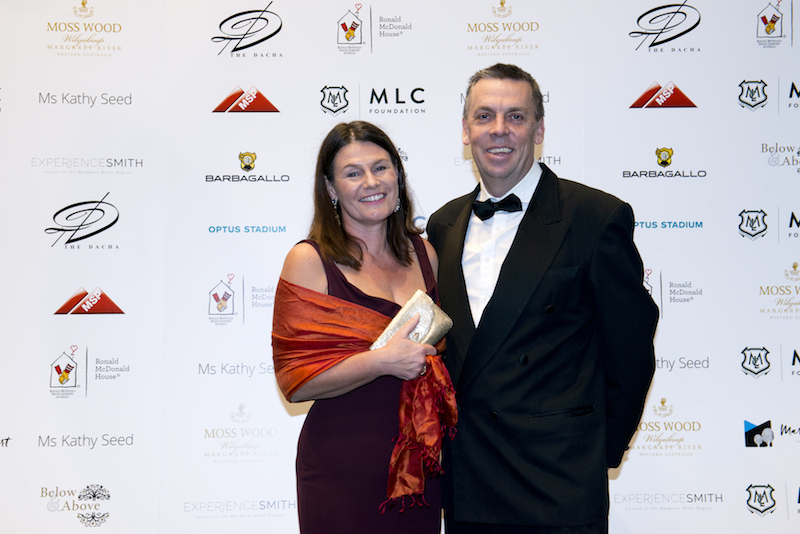 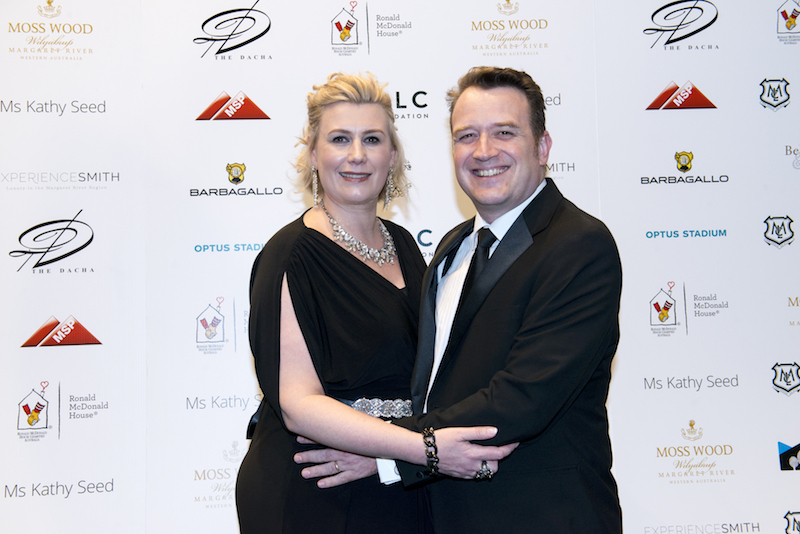 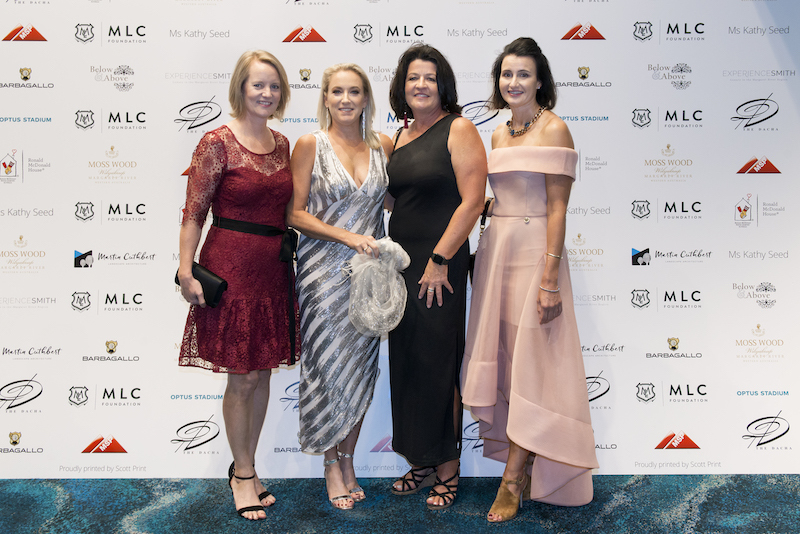 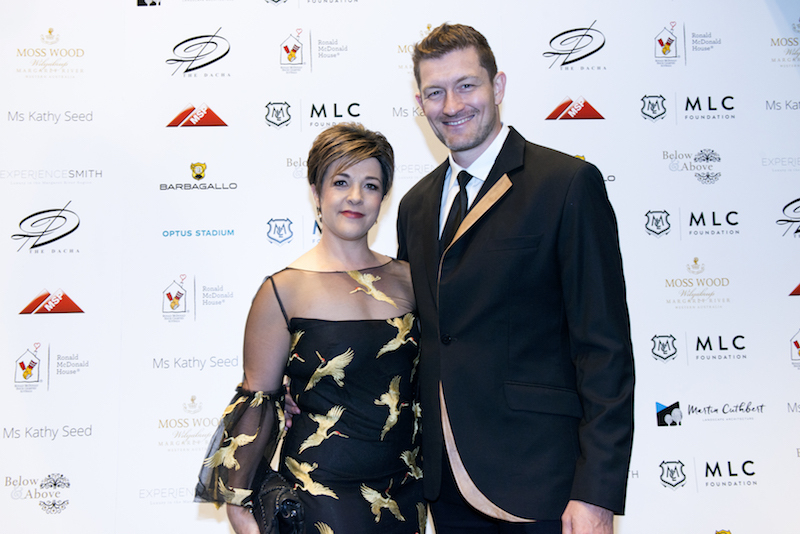 Optus Stadium was lit up in MLC colours as our community donned their most glamorous attire and gathered for an evening of fun and fundraising. 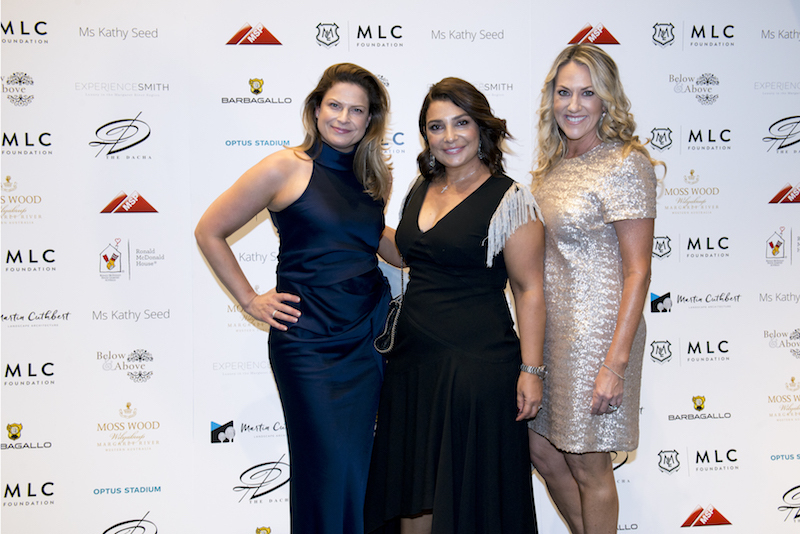 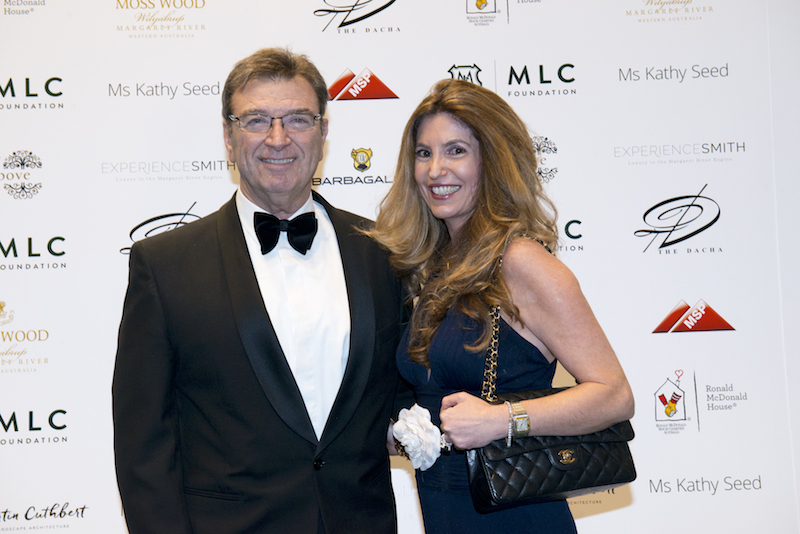 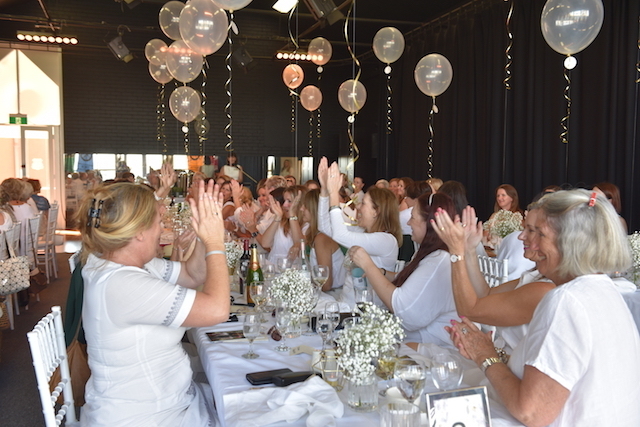 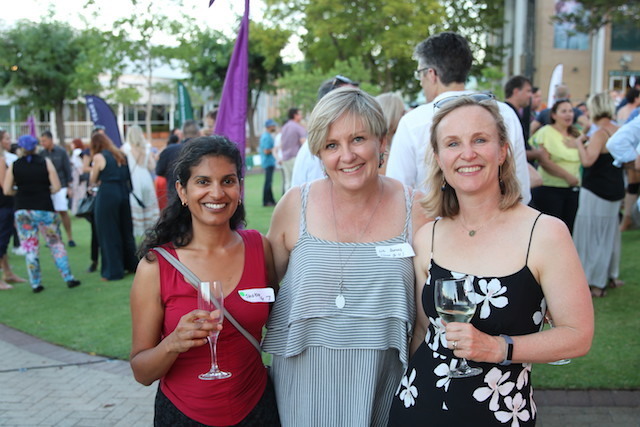 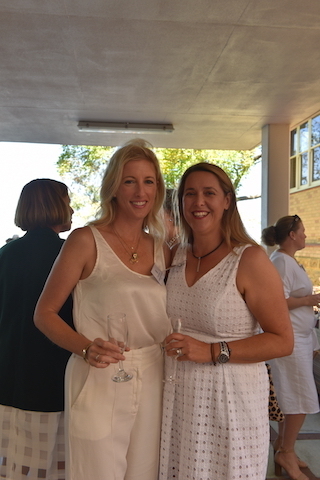 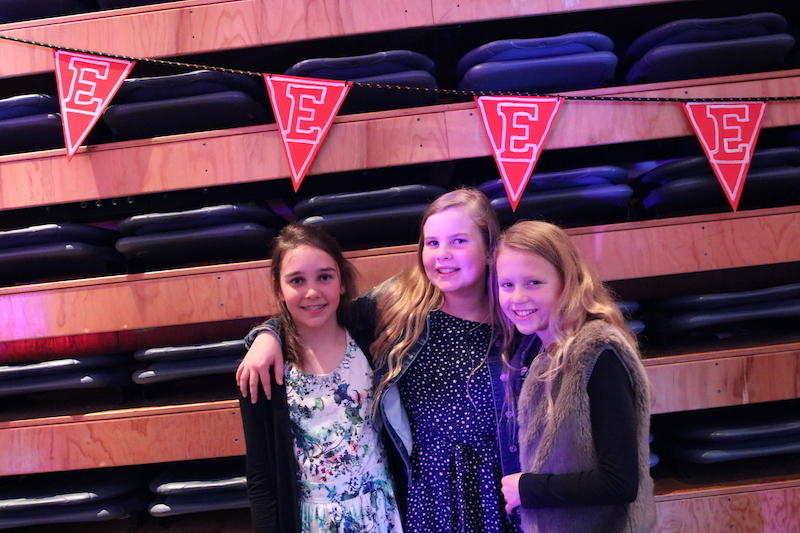 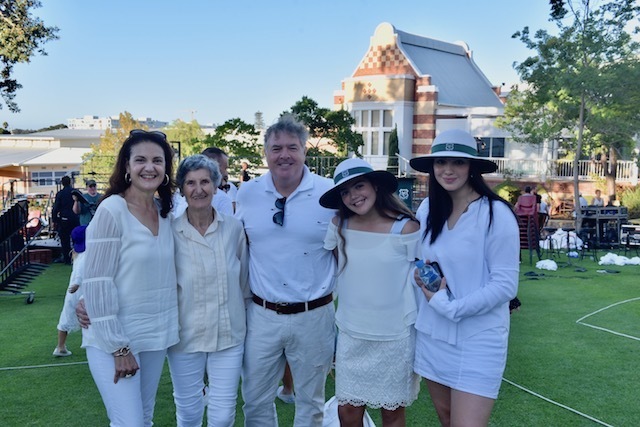 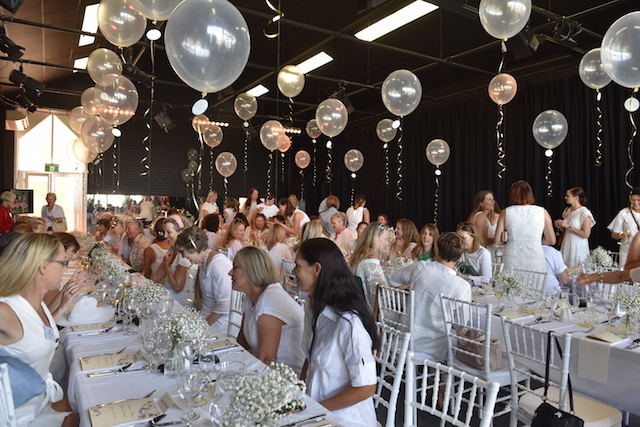 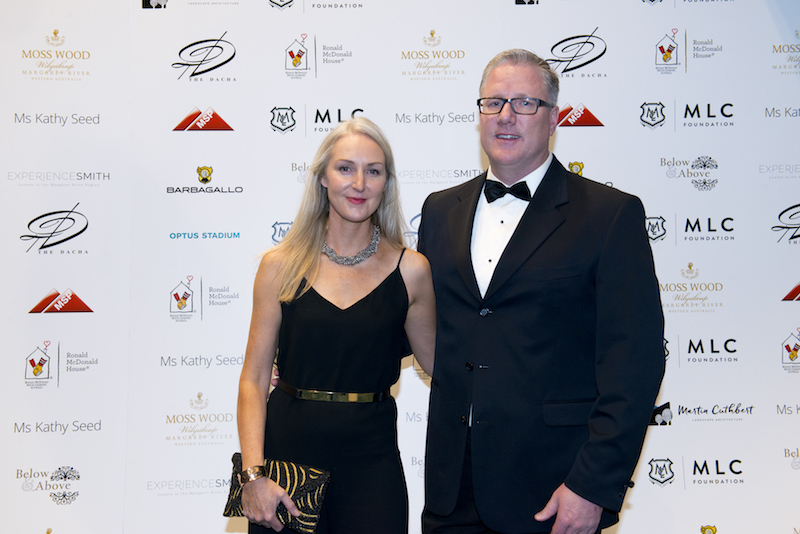 Thank you to everyone who attended, sponsored or supported this event in some way as we raised significant funds to benefit our girls’ educational experience.